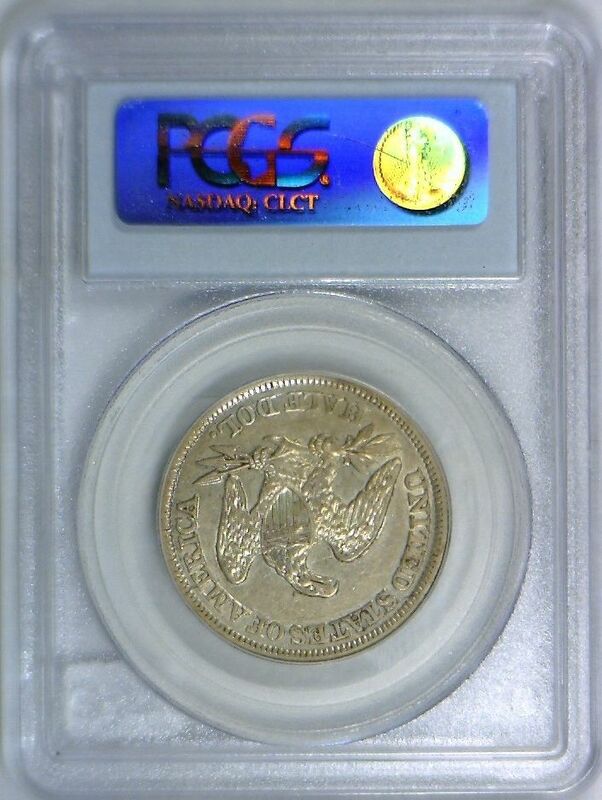 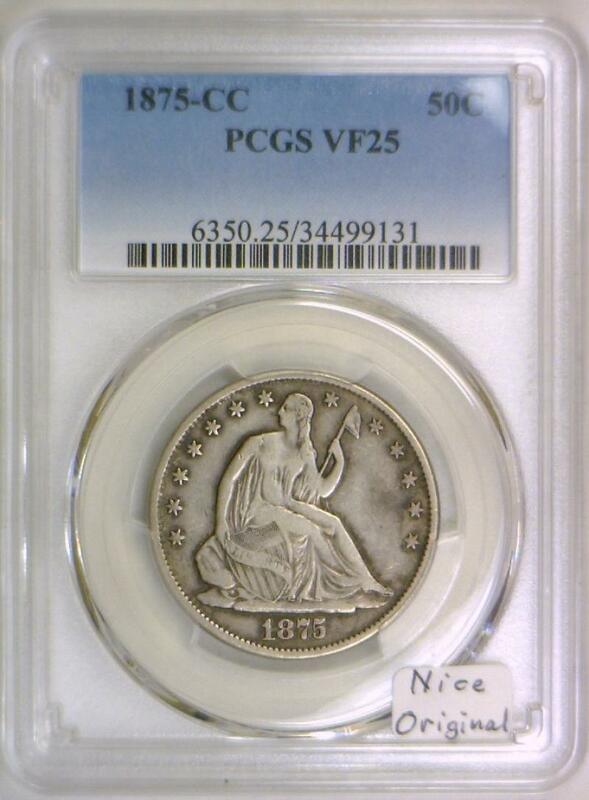 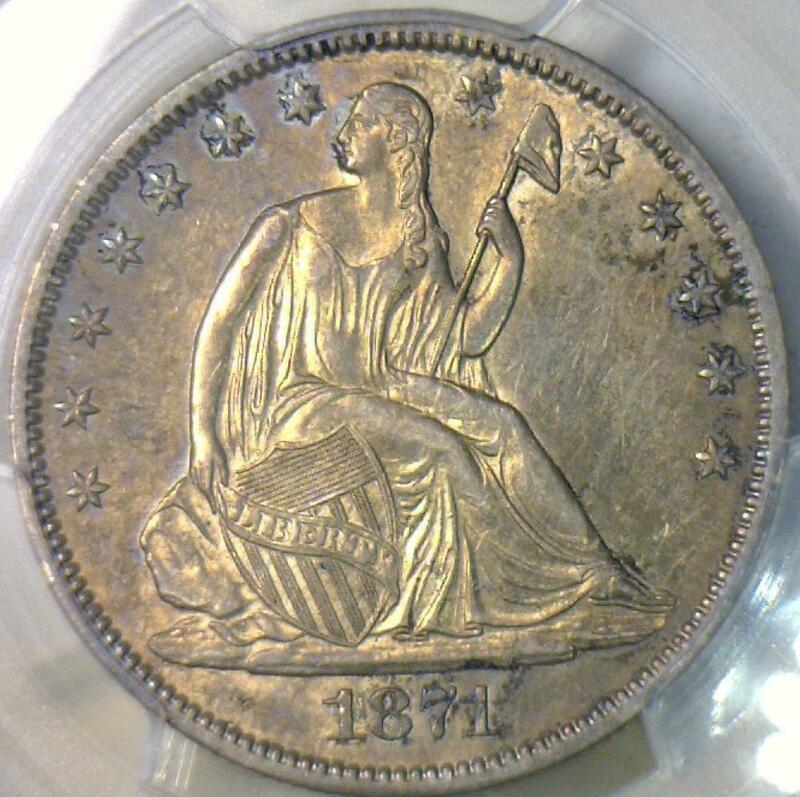 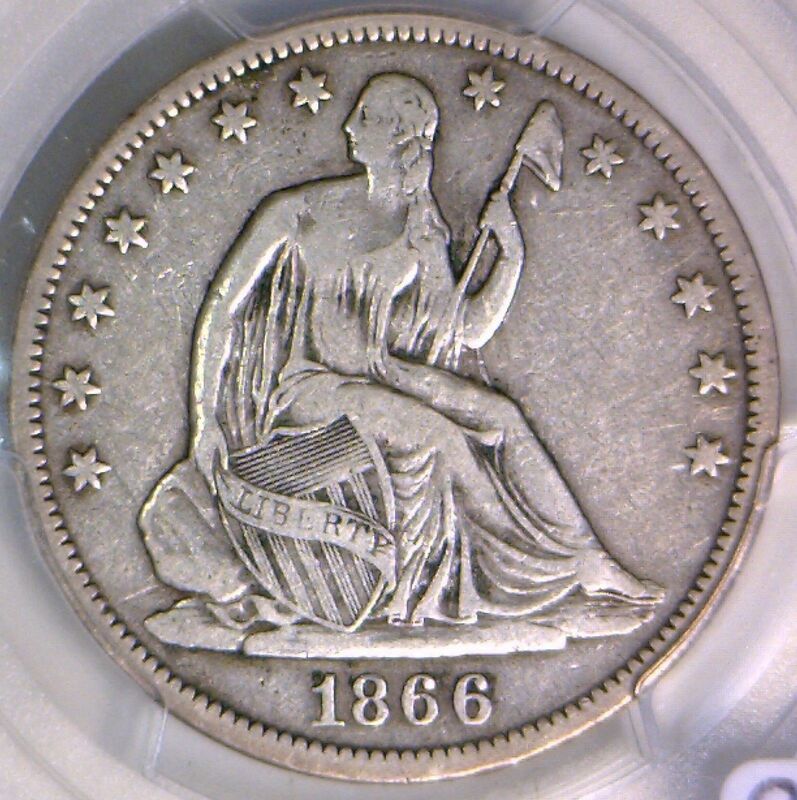 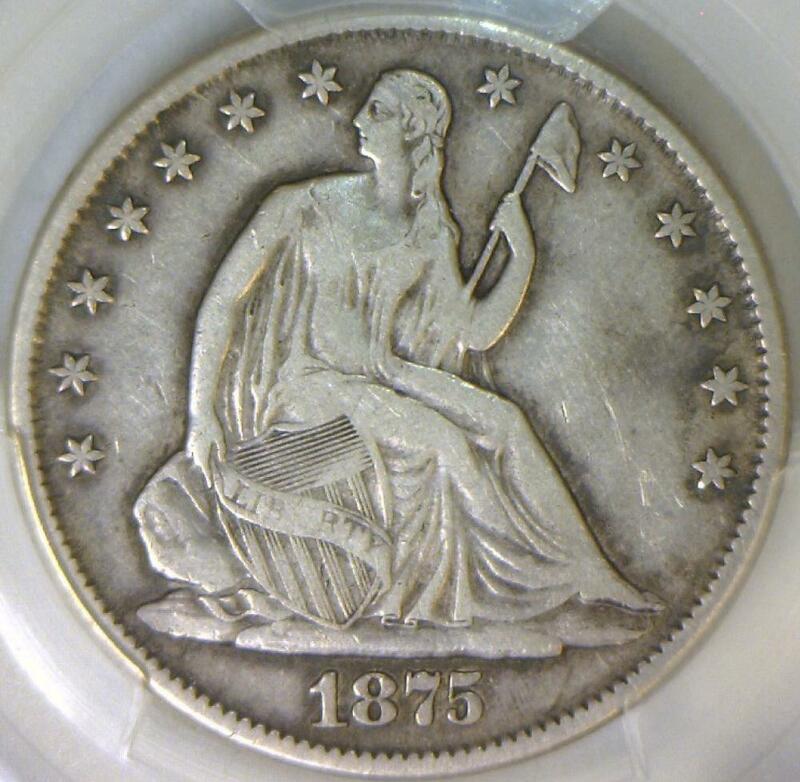 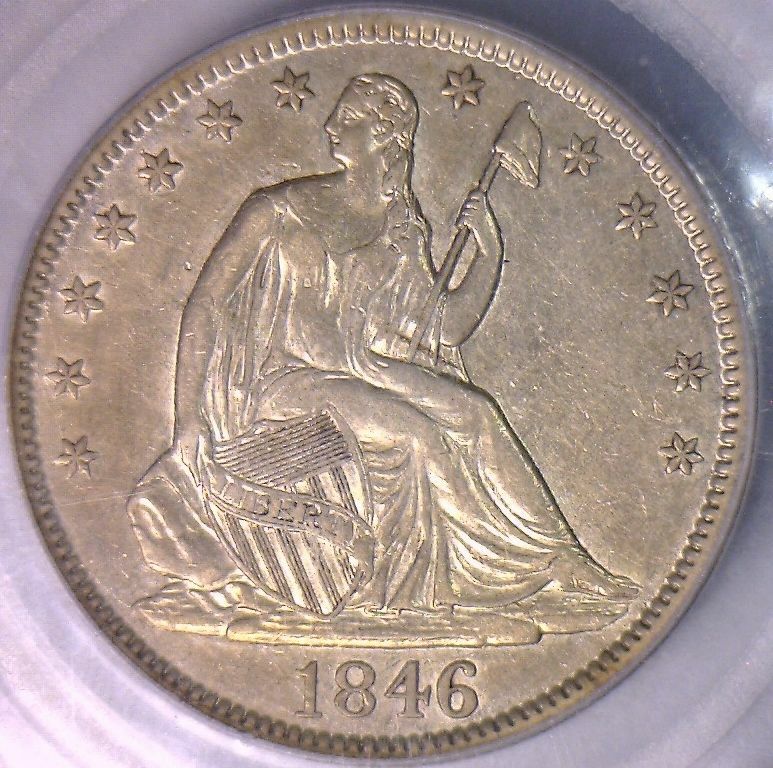 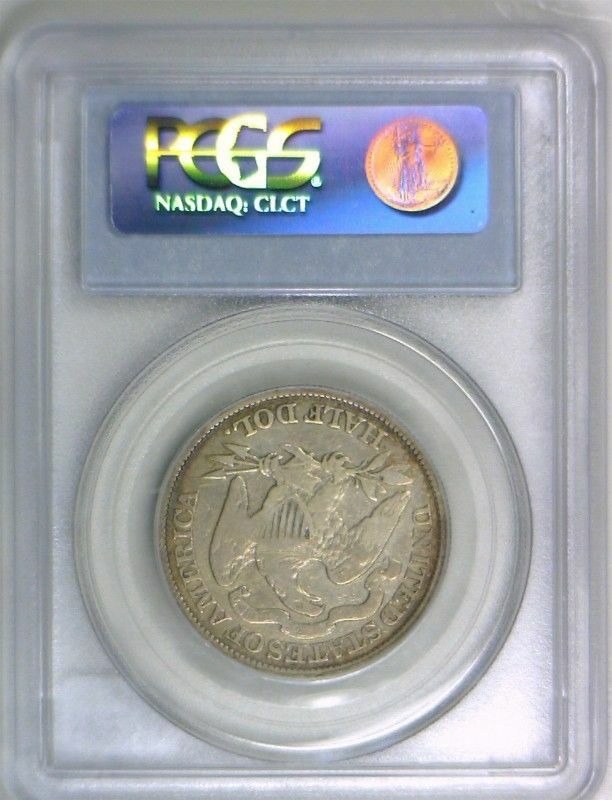 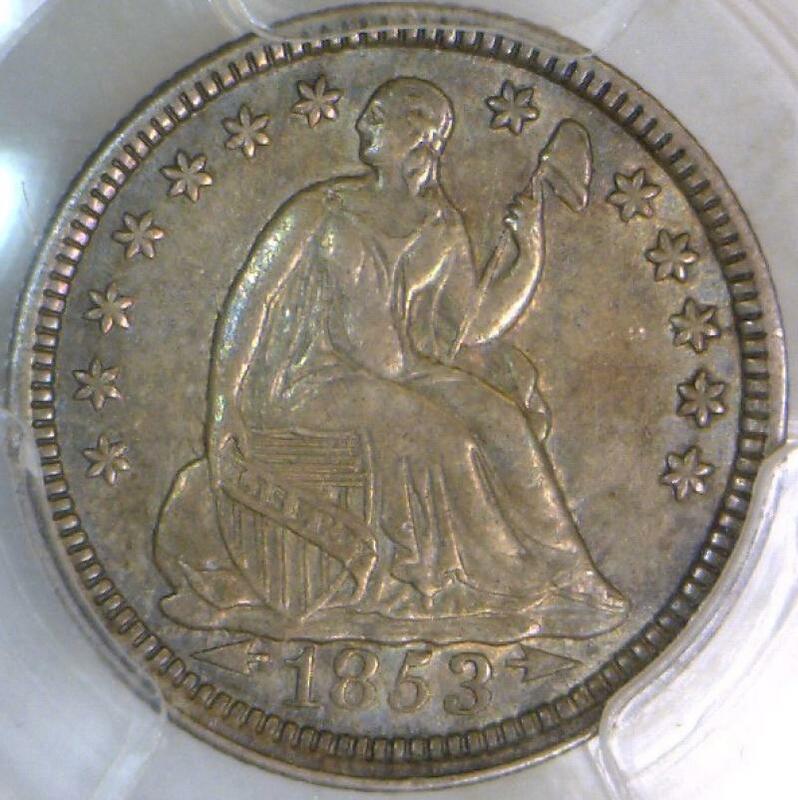 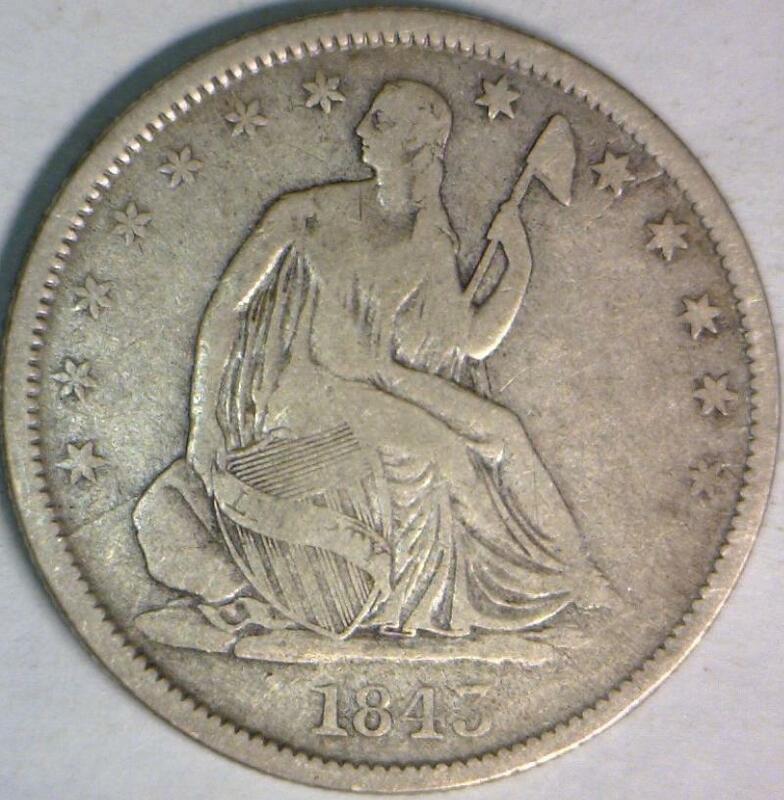 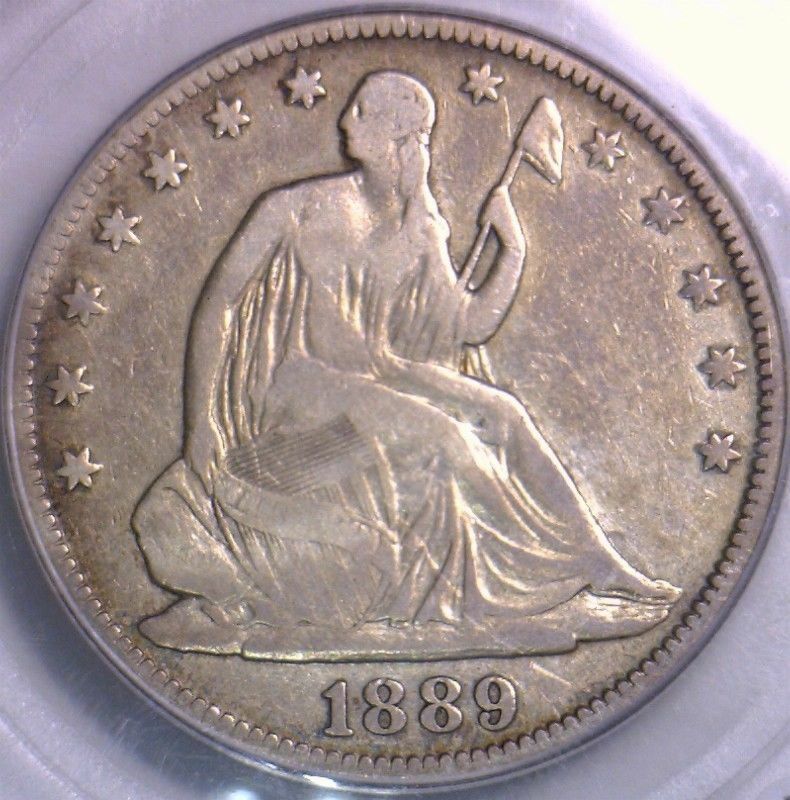 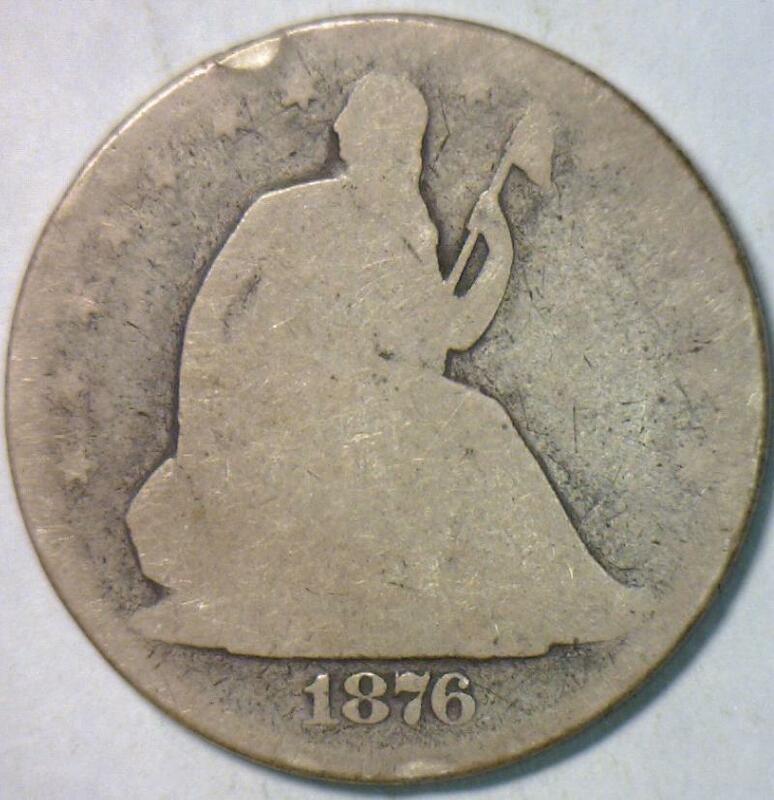 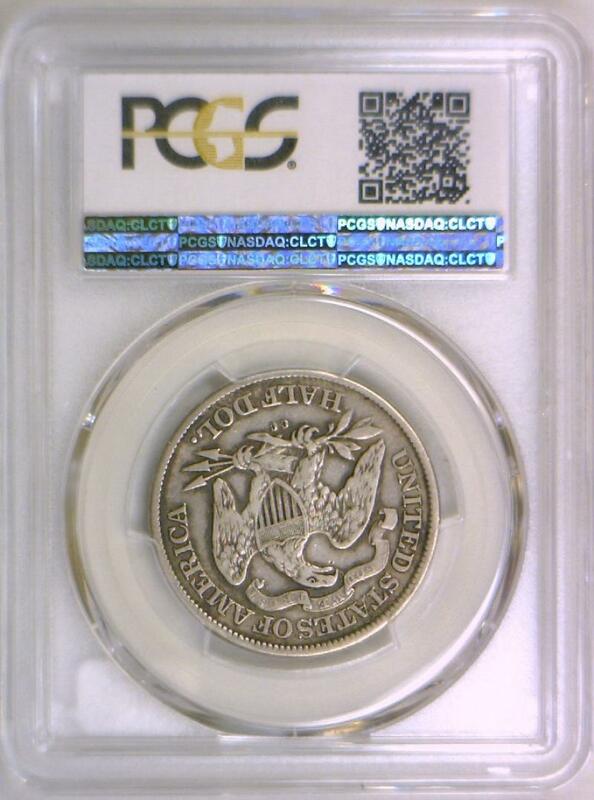 1875-CC Seated Liberty Half Dollar PCGS VF-25; Nice Original! 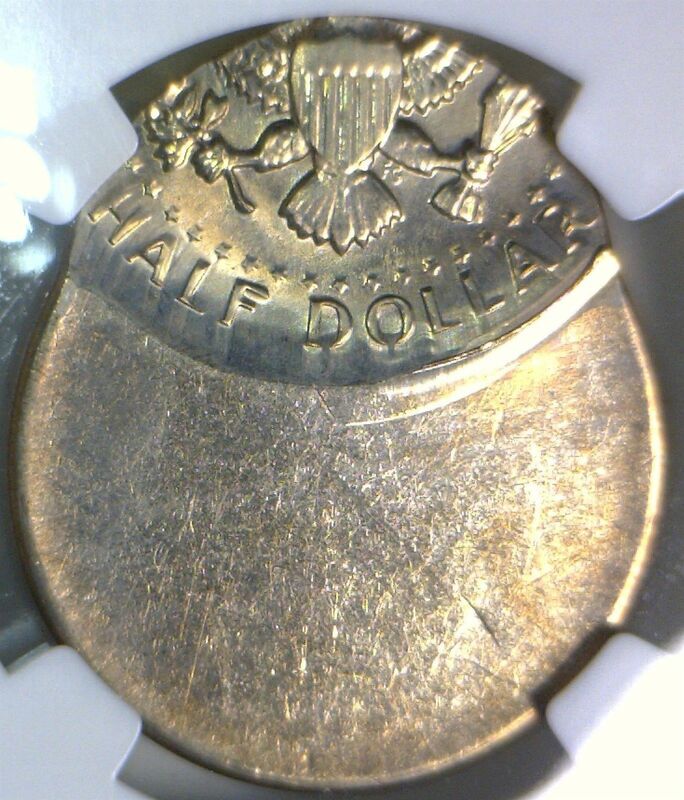 1955 "Bugs Bunny" Franklin Half Dollar ICG MS-64; Frosty White! 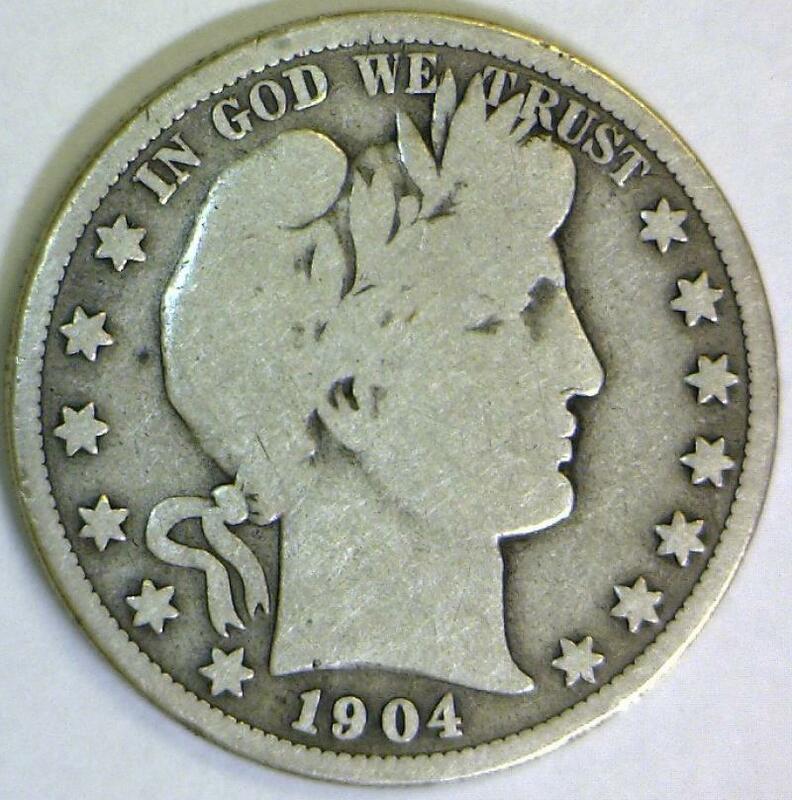 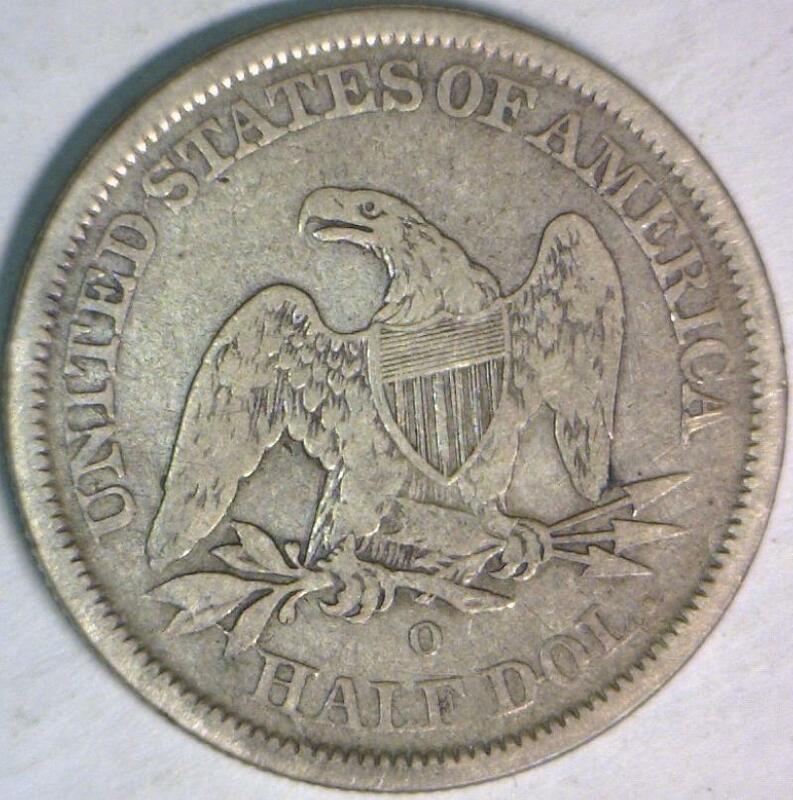 1904-S Barber Half Dollar; Choice Original VG; Key Date! 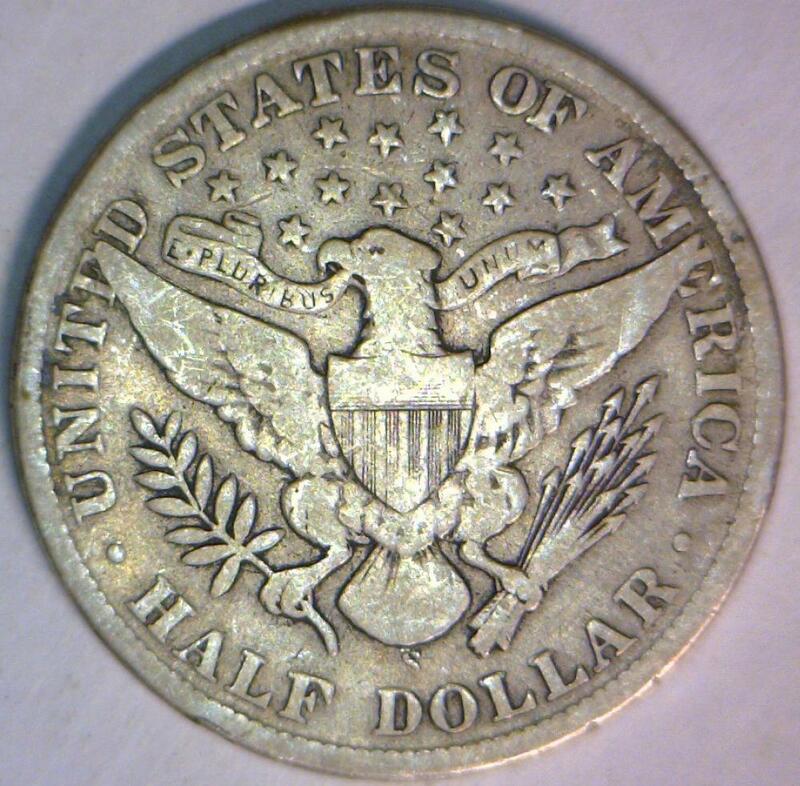 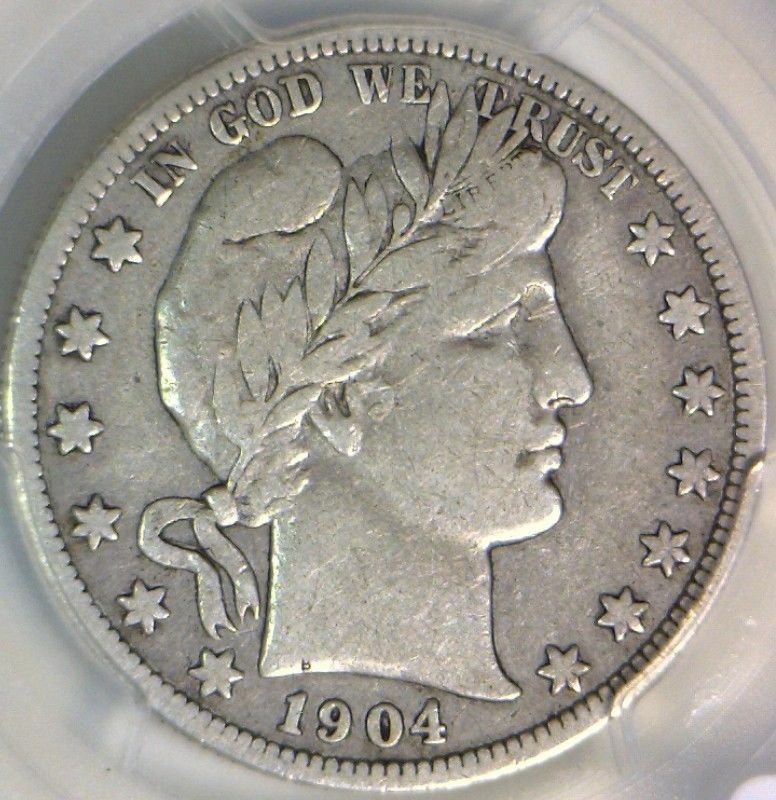 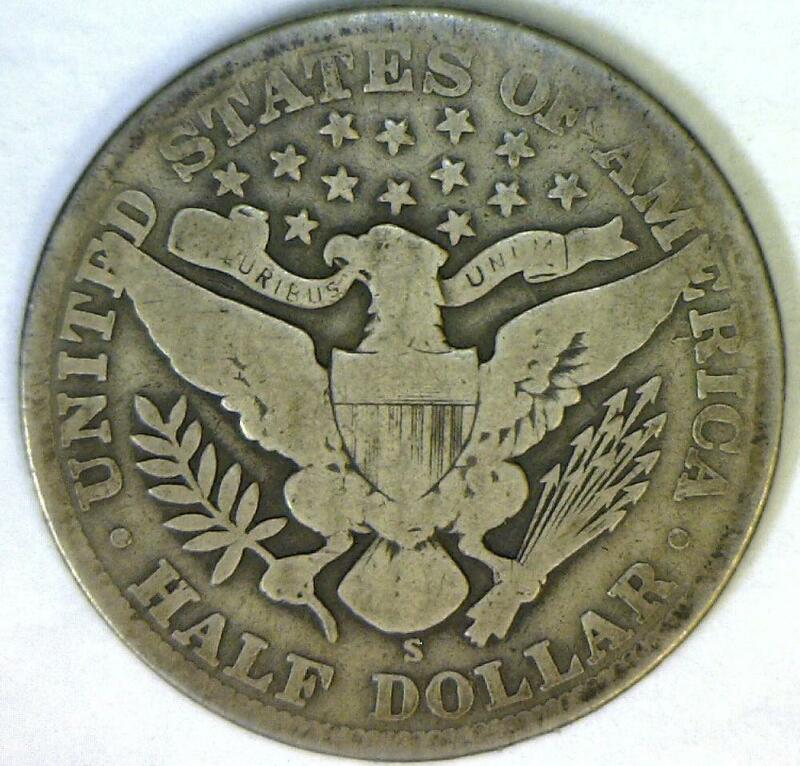 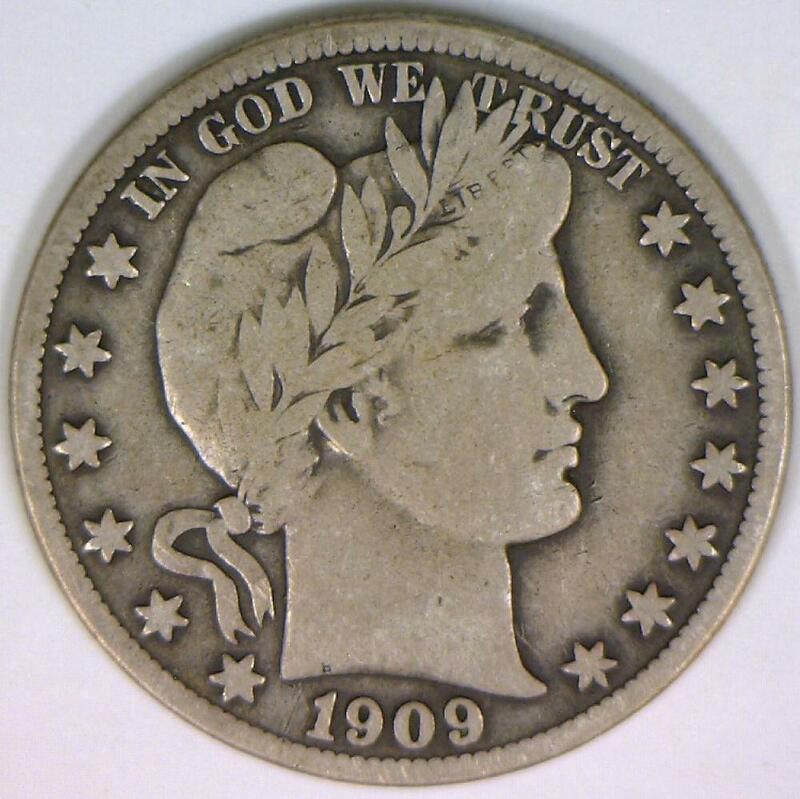 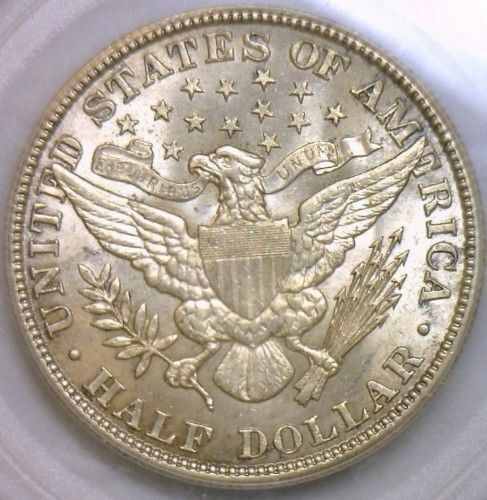 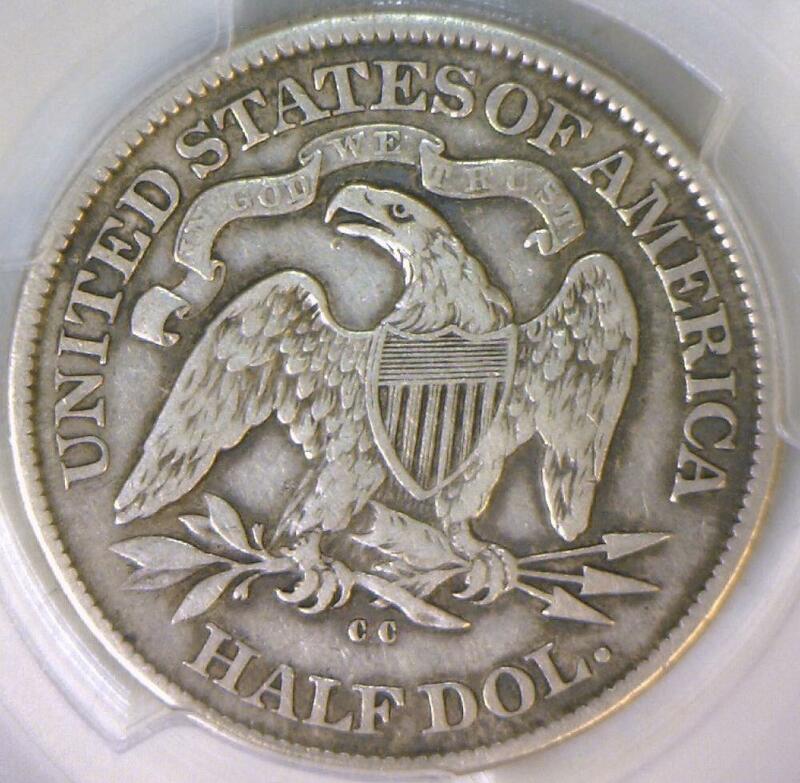 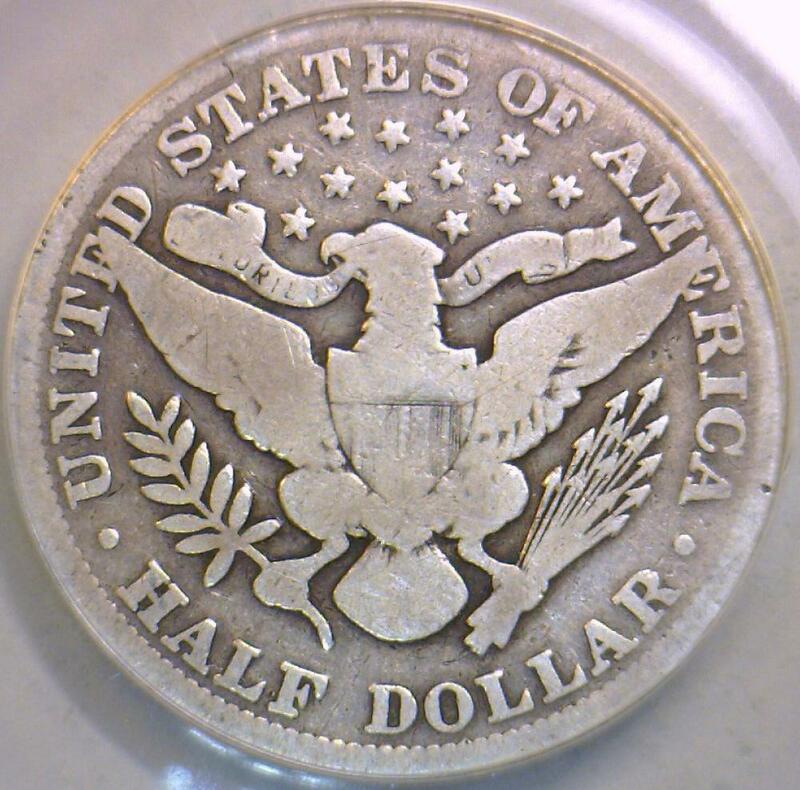 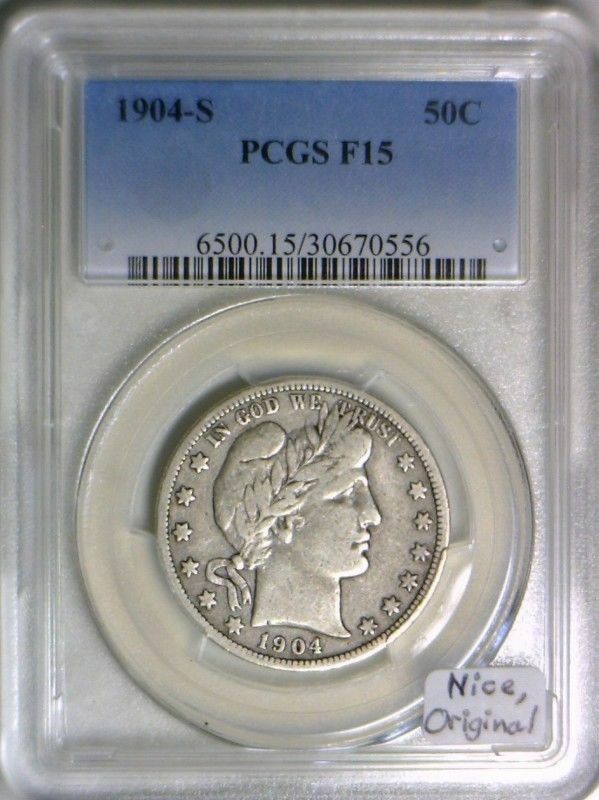 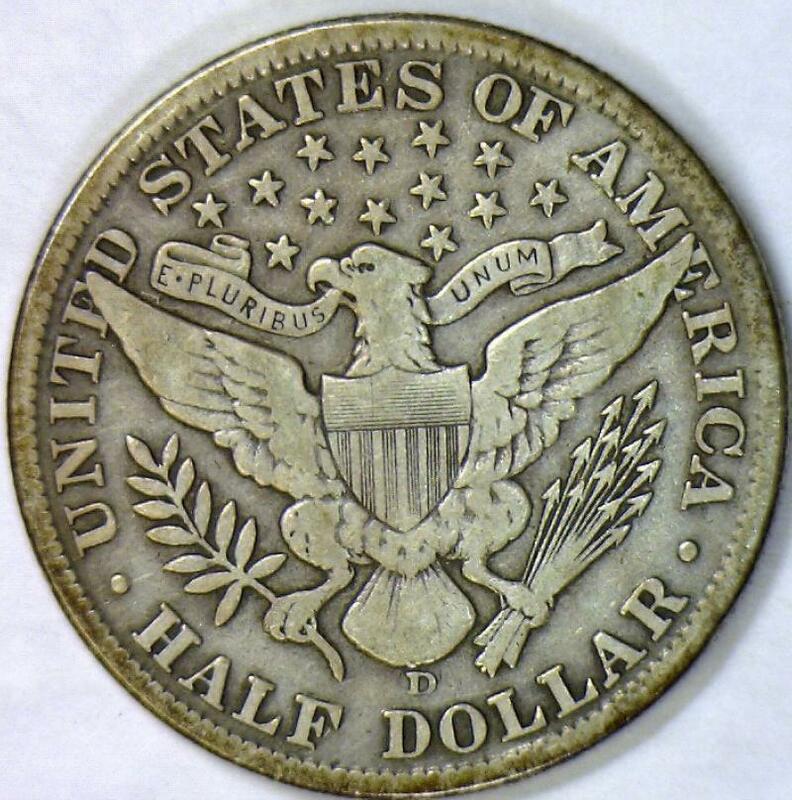 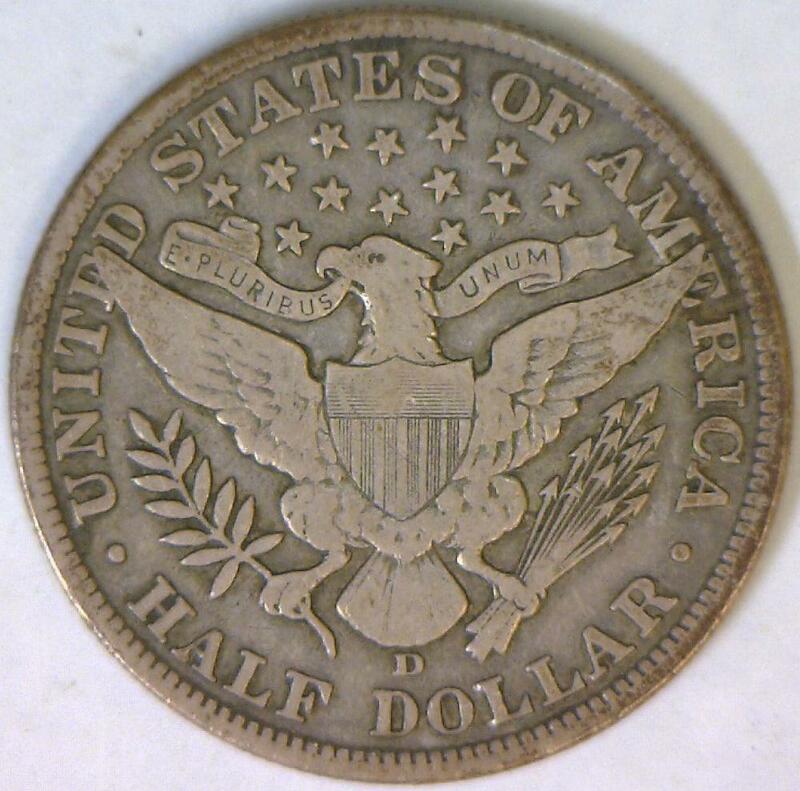 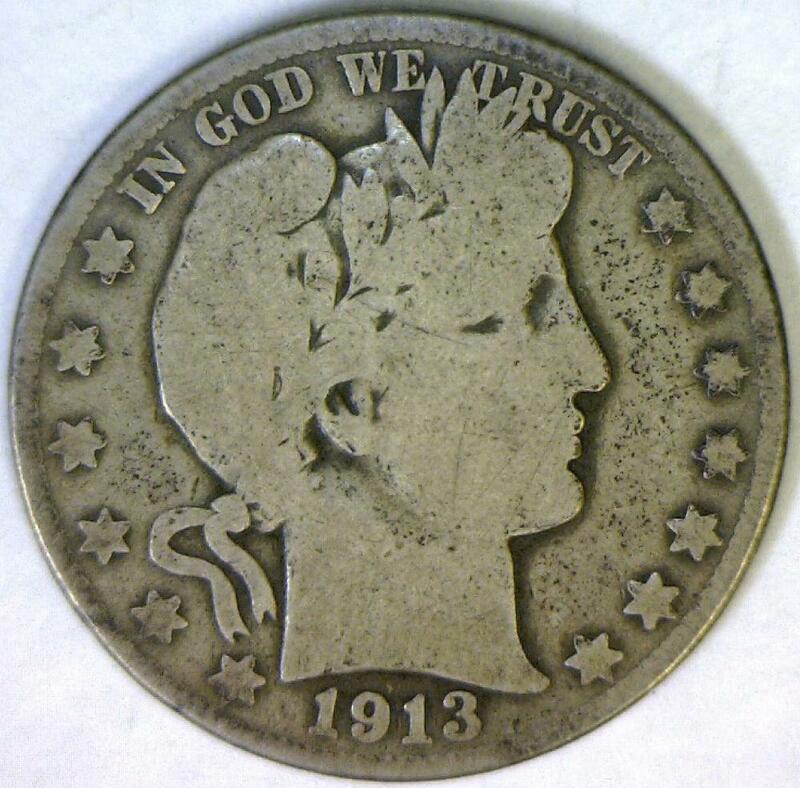 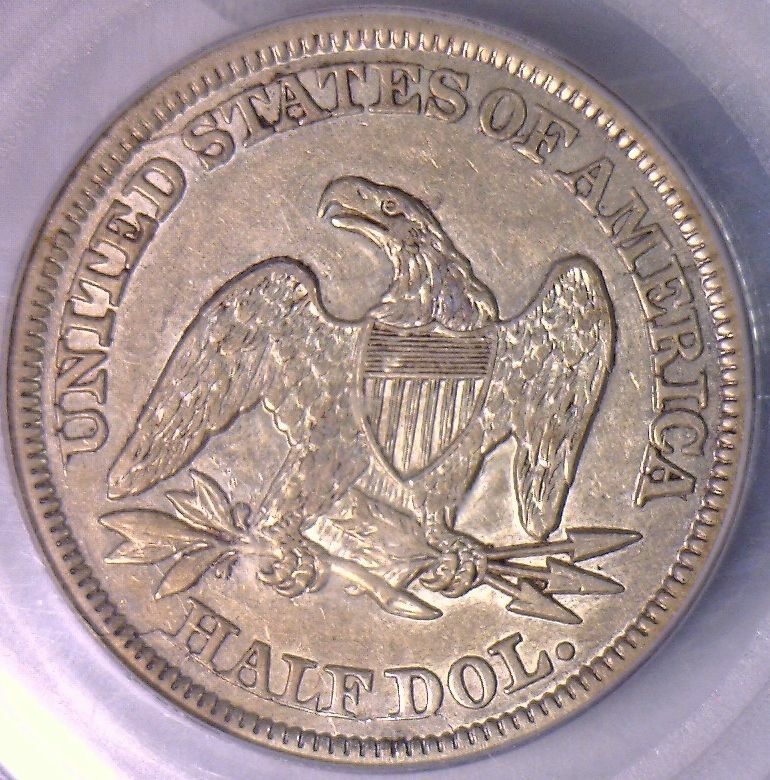 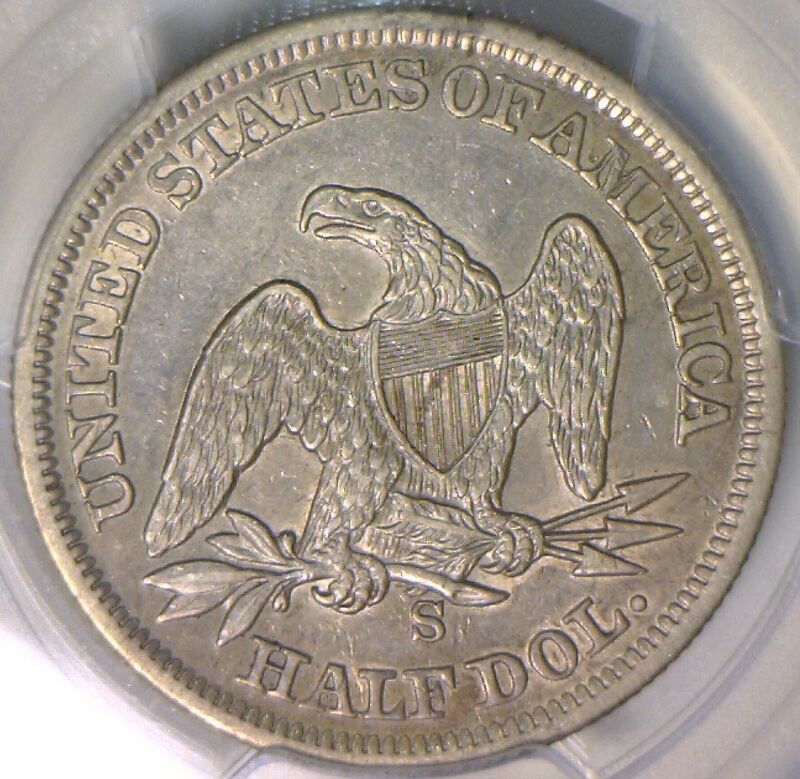 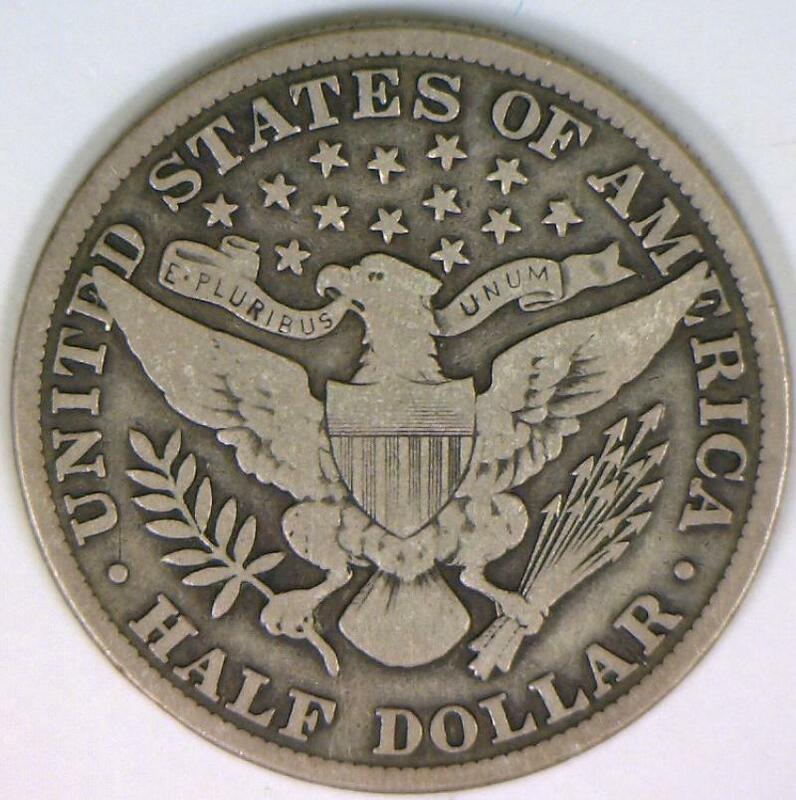 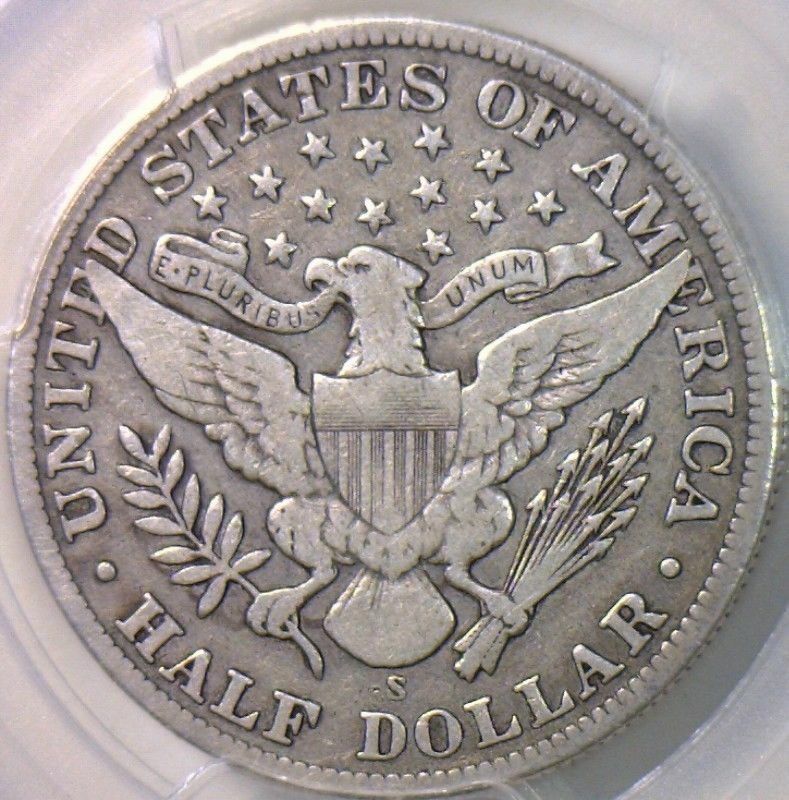 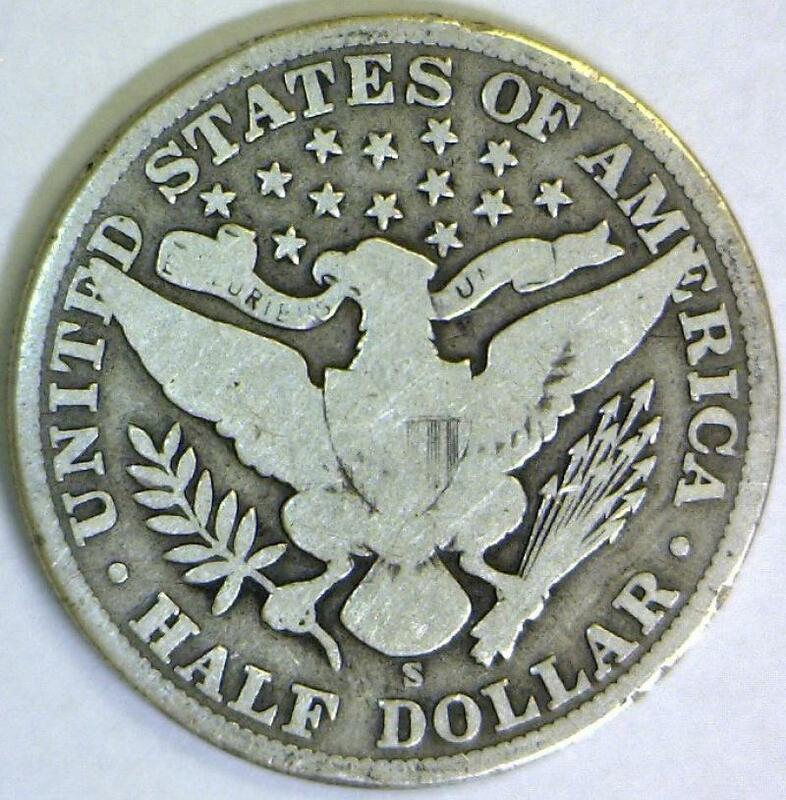 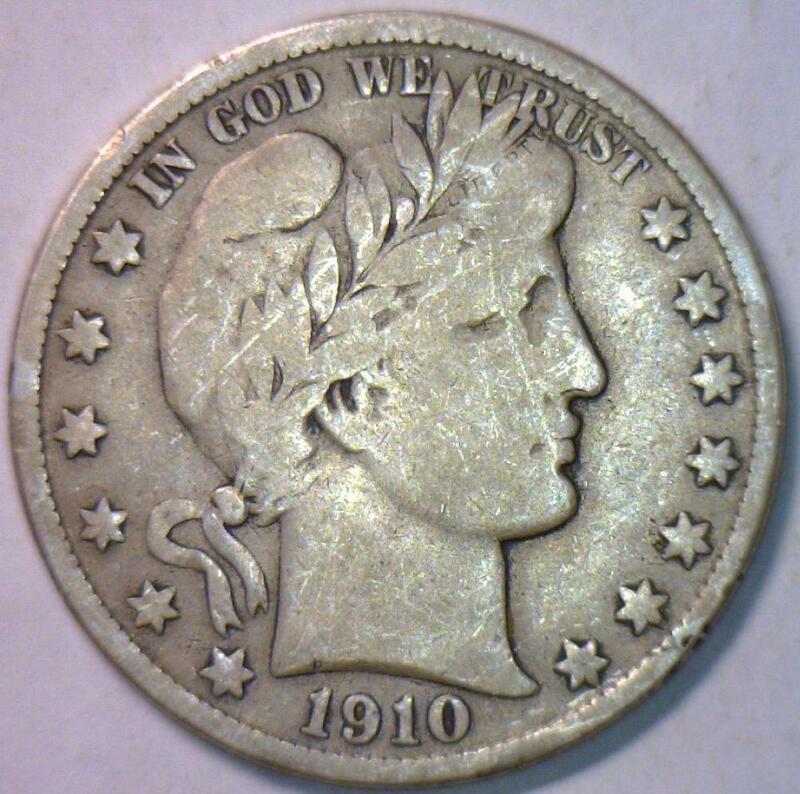 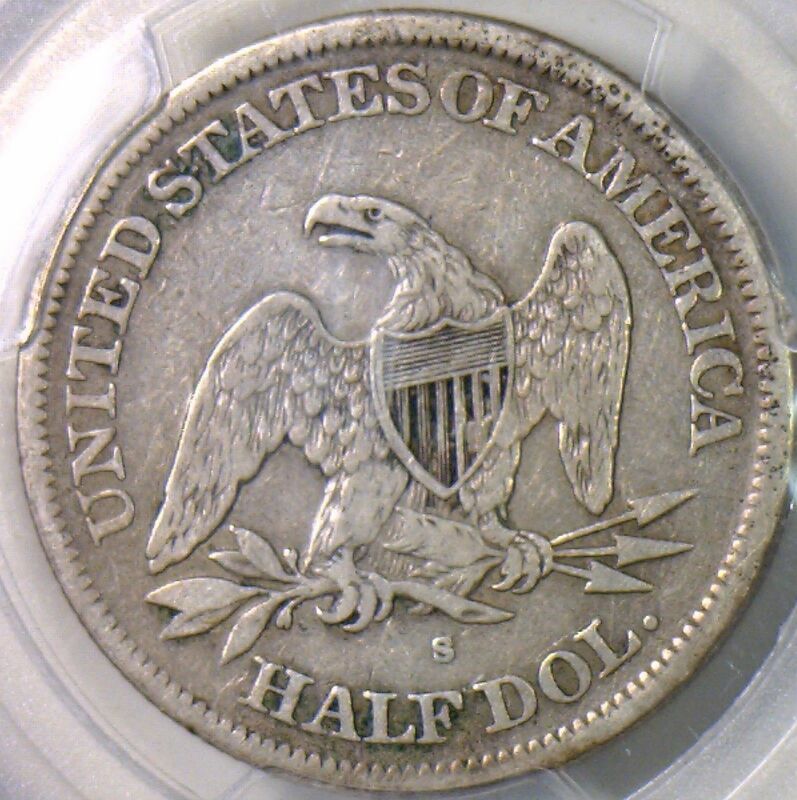 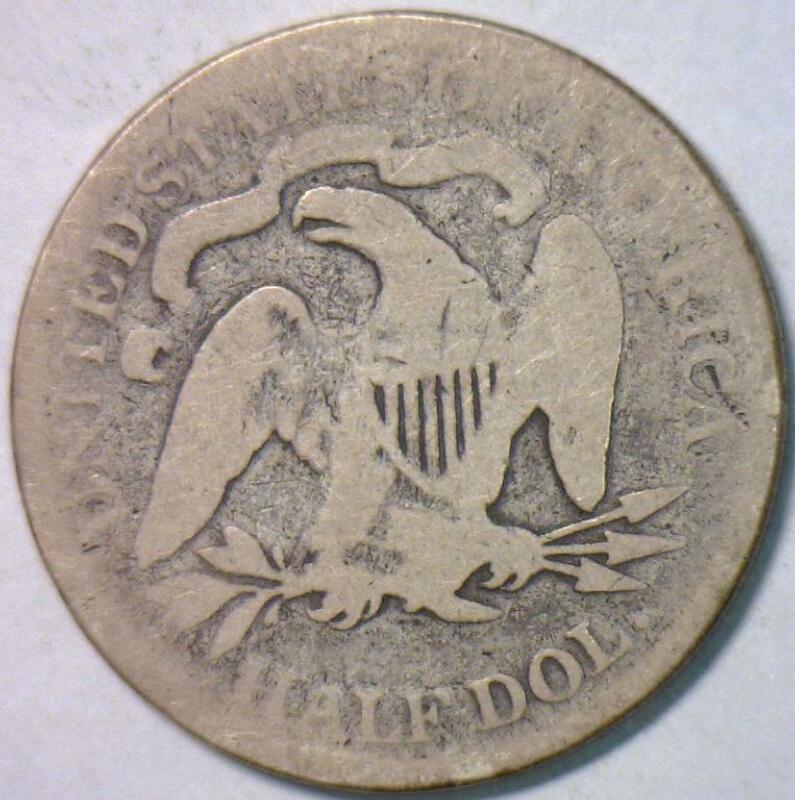 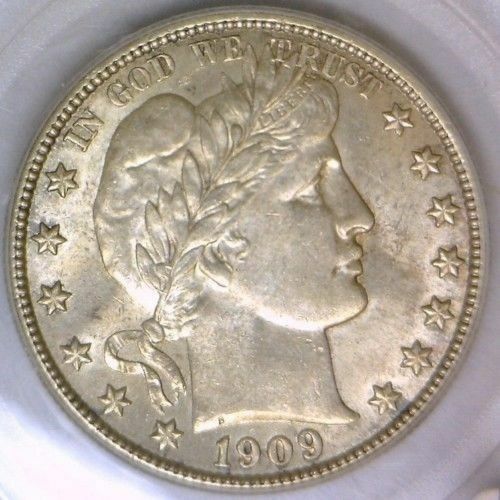 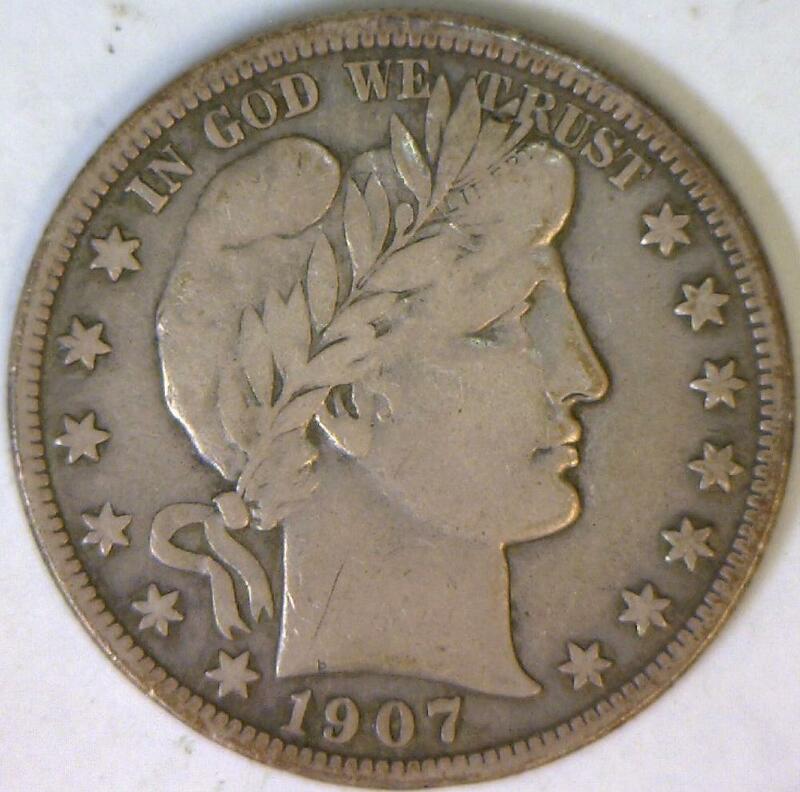 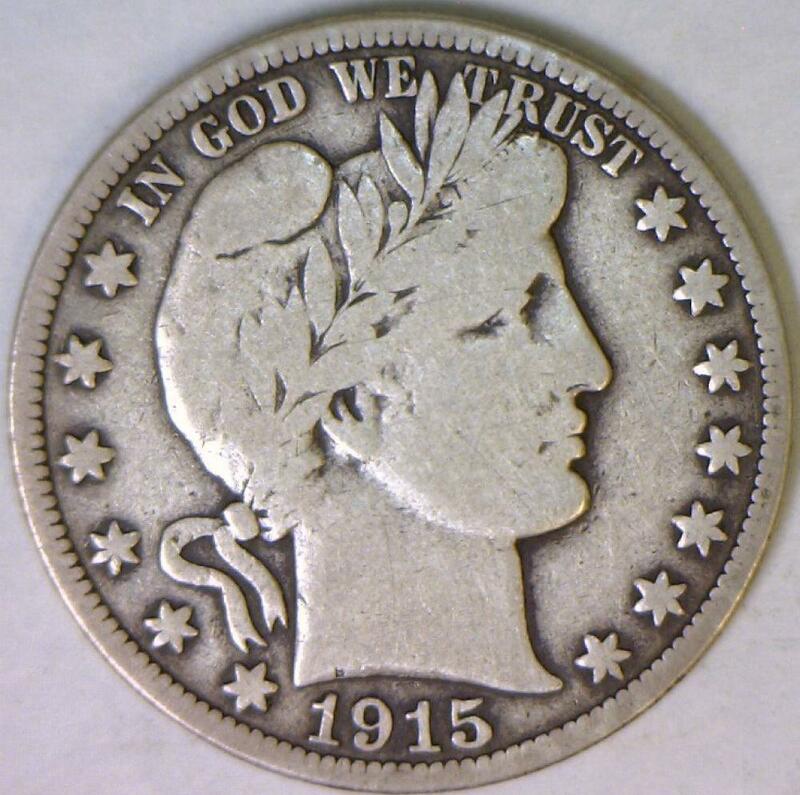 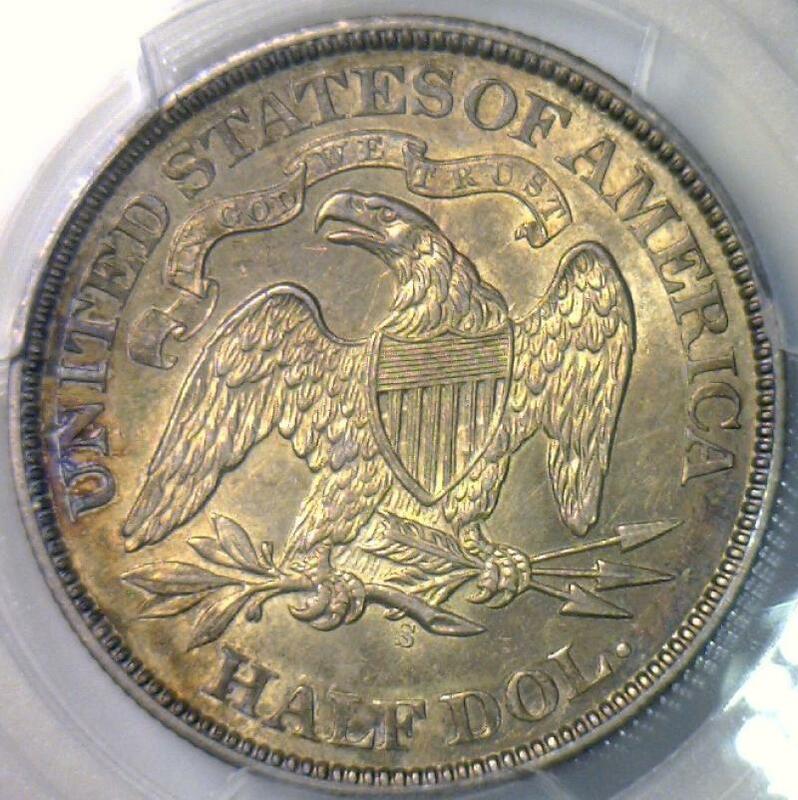 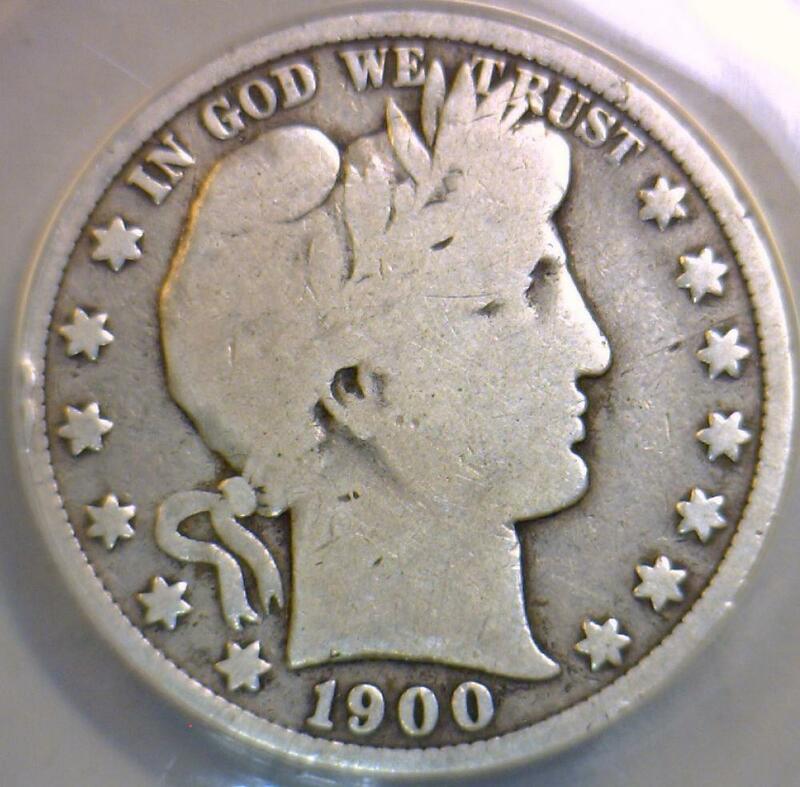 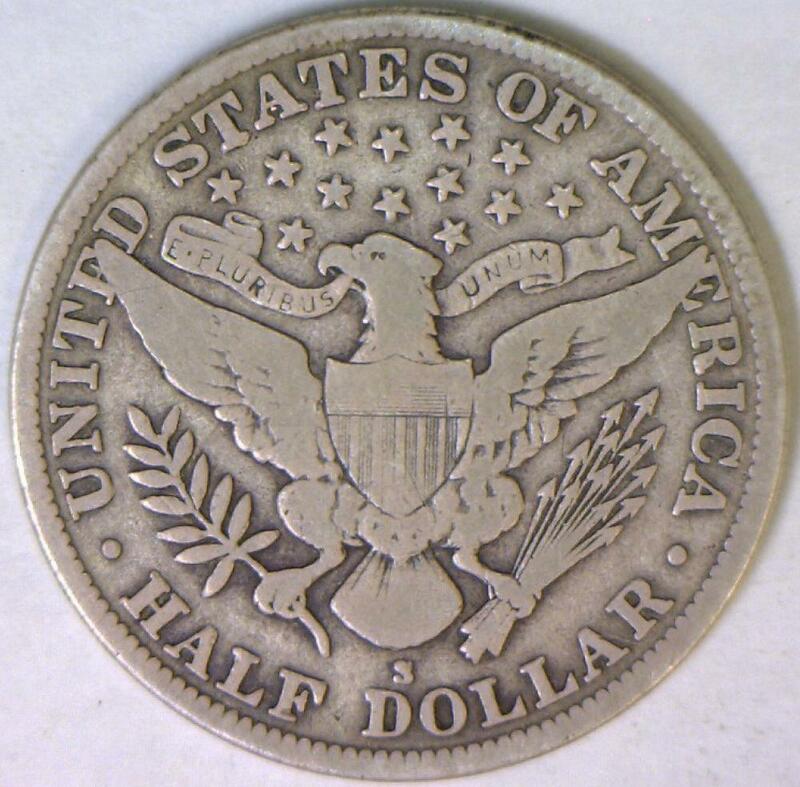 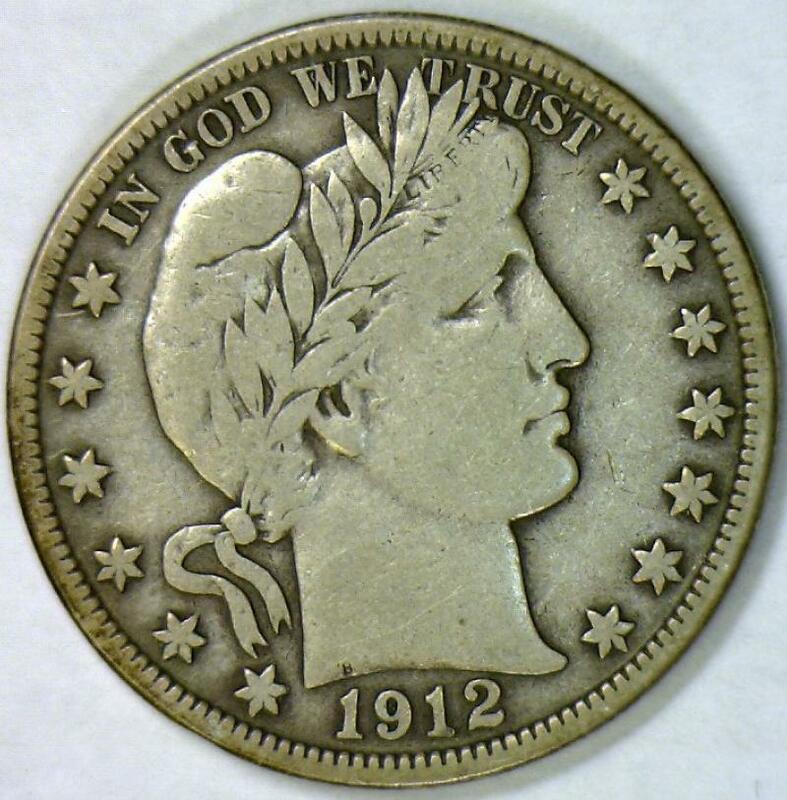 1909 Barber Half Dollar F; Nice Original! 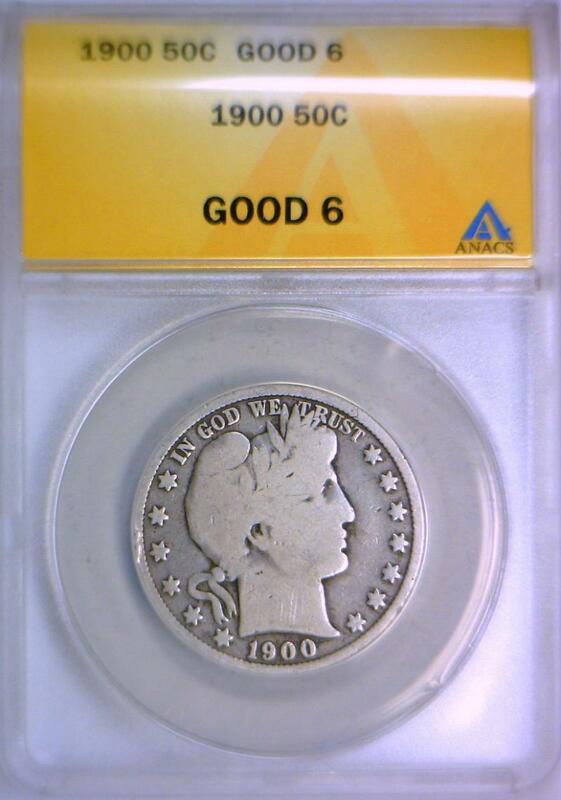 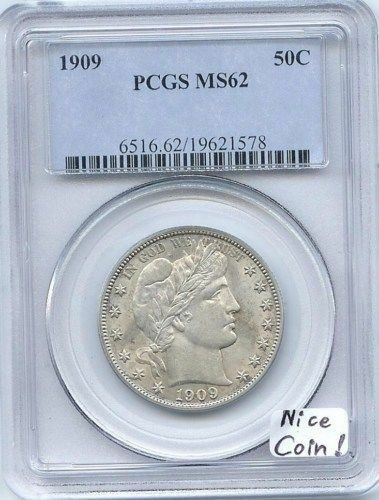 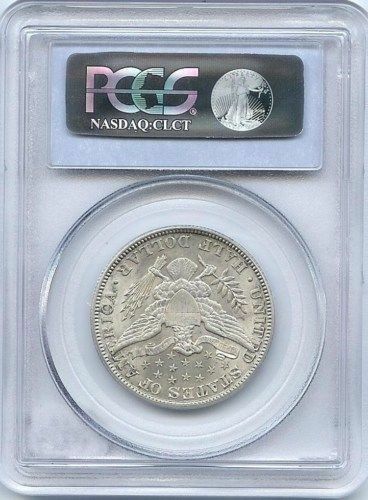 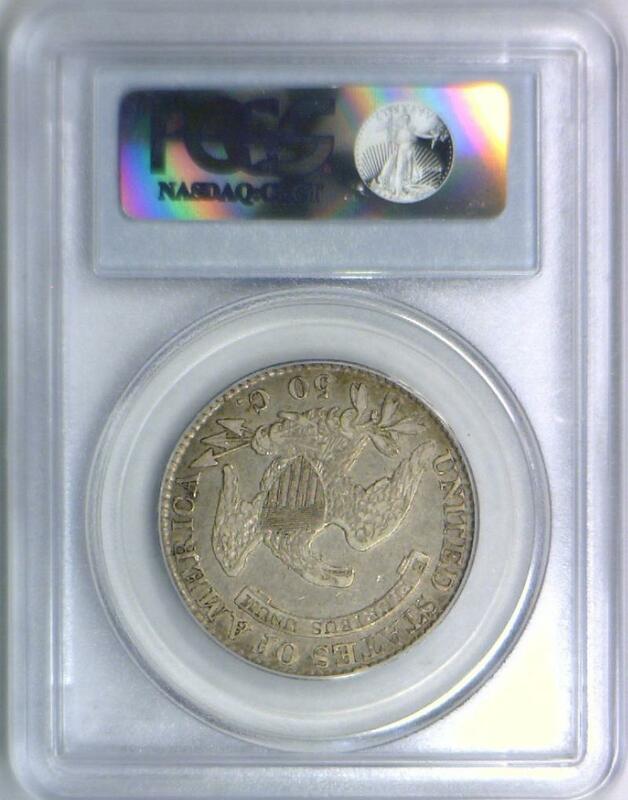 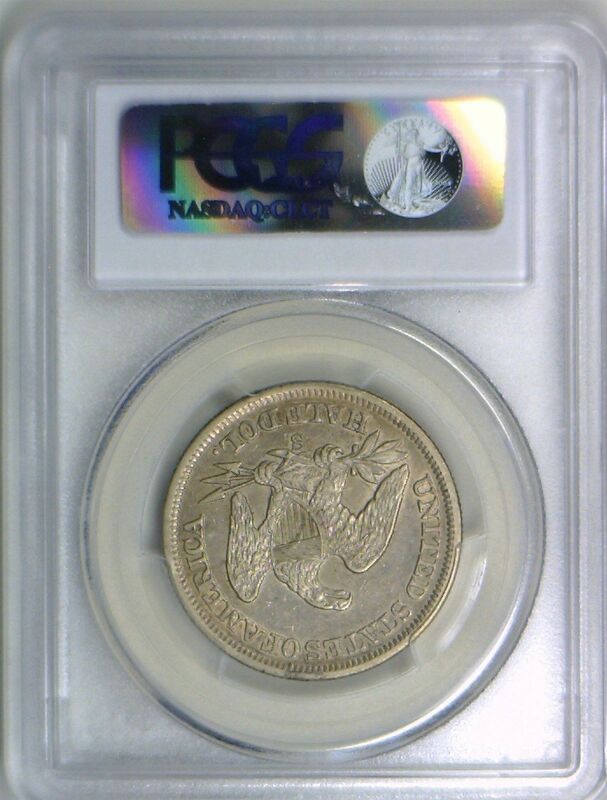 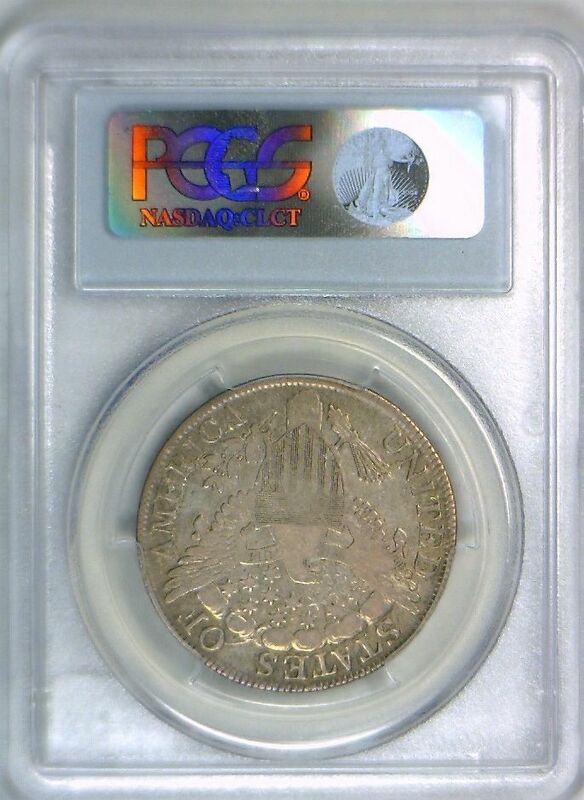 1909 Barber Half Dollar PCGS MS-62 Nice Coin! 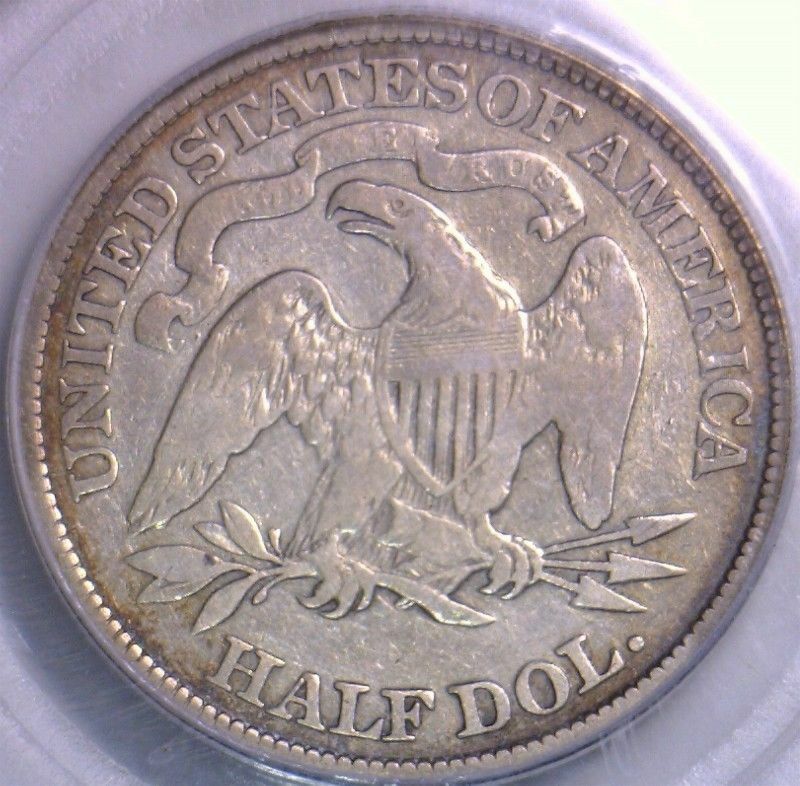 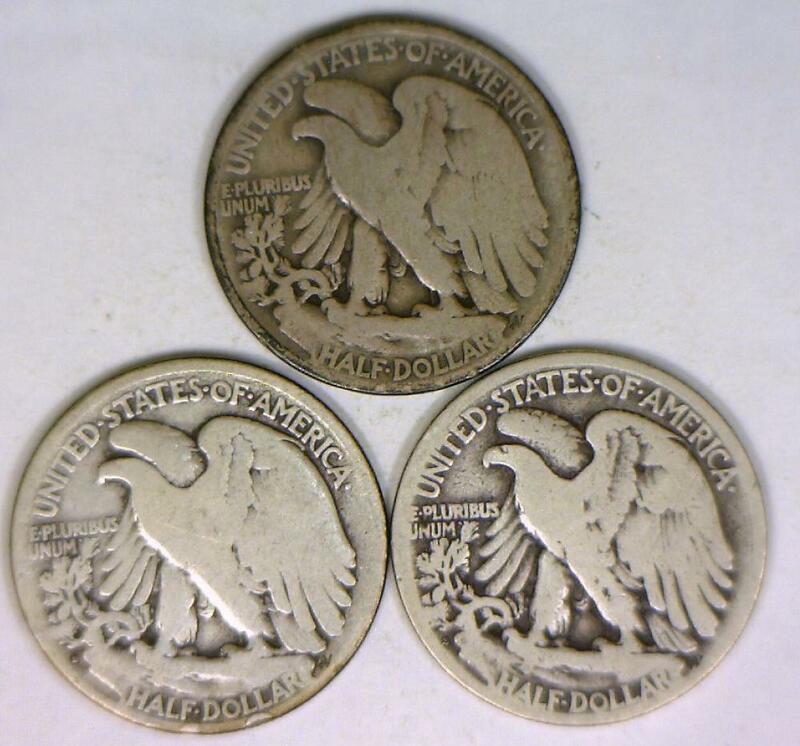 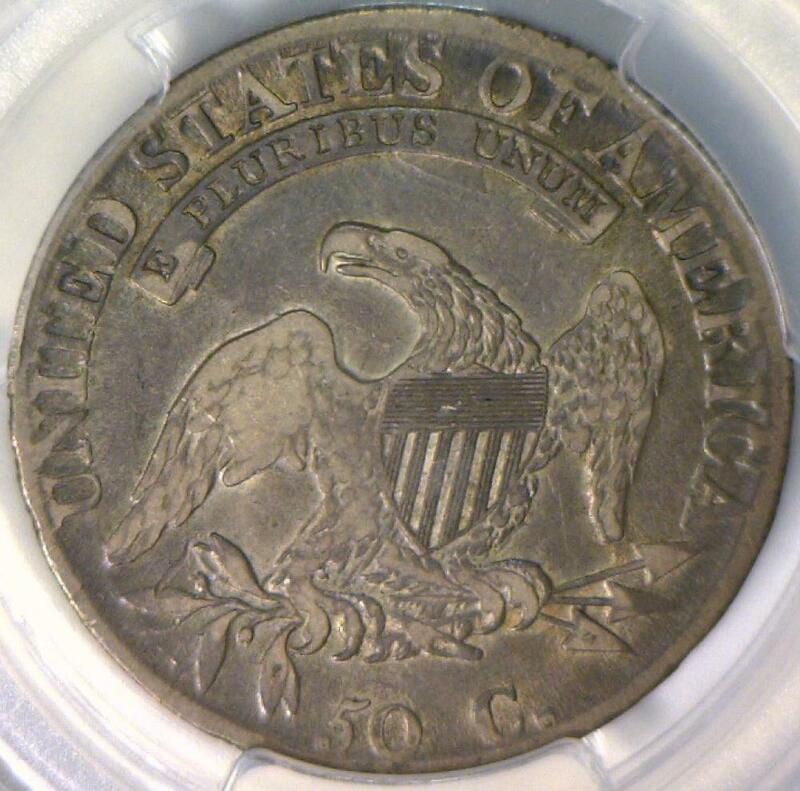 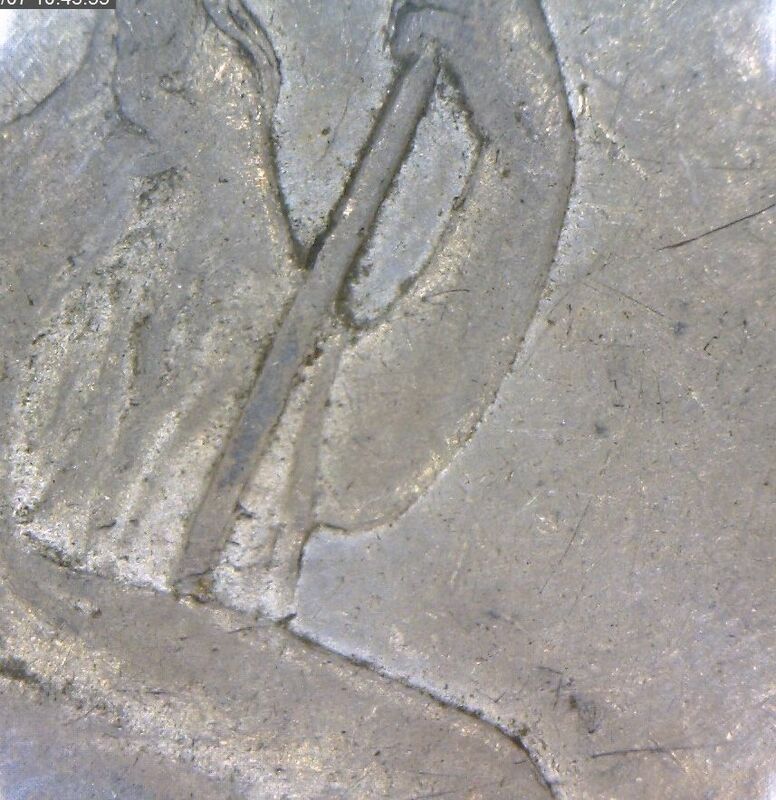 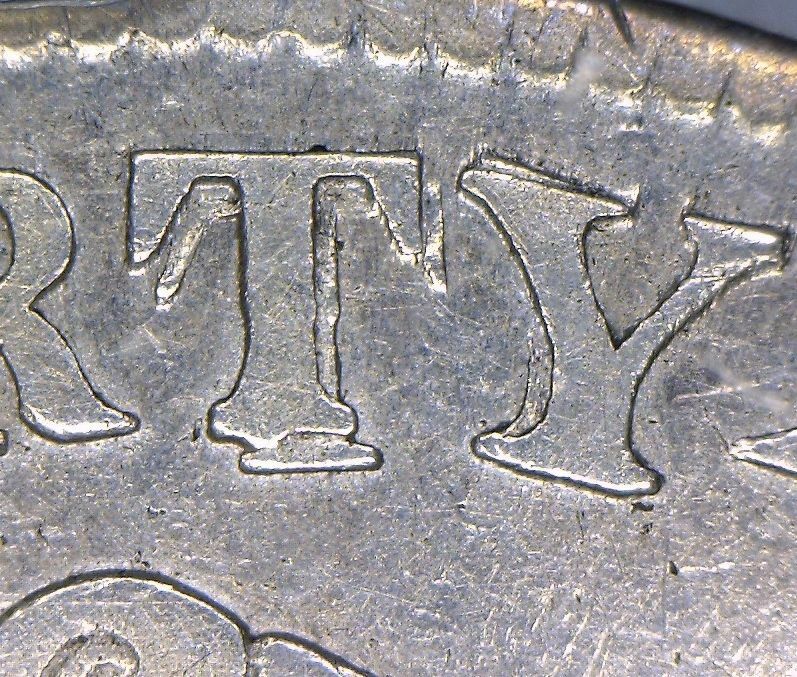 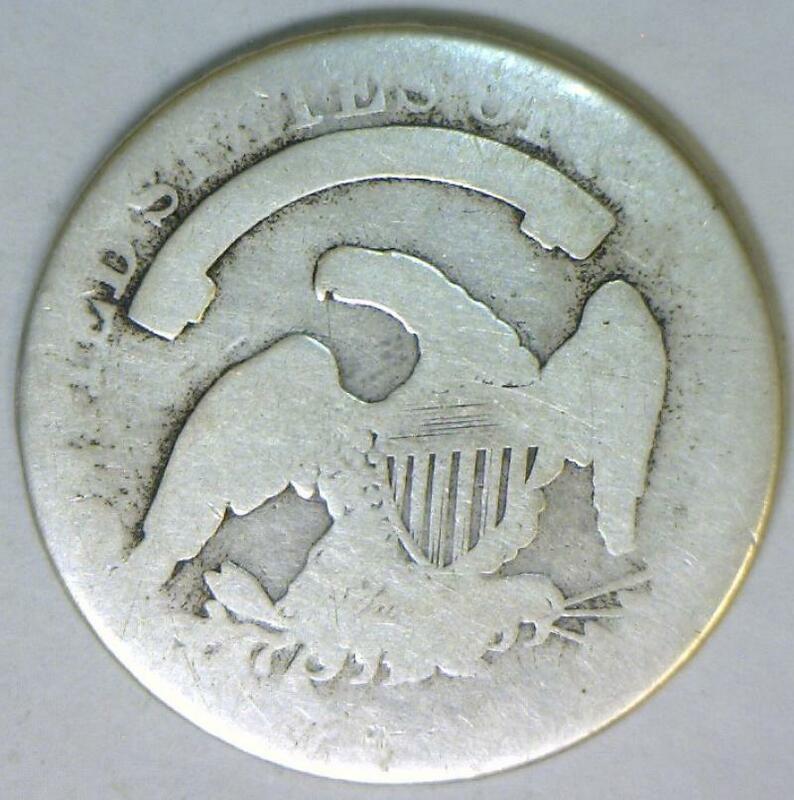 1915-S Barber Half Dollar; Just Makes F; Nice Original, Better Date! 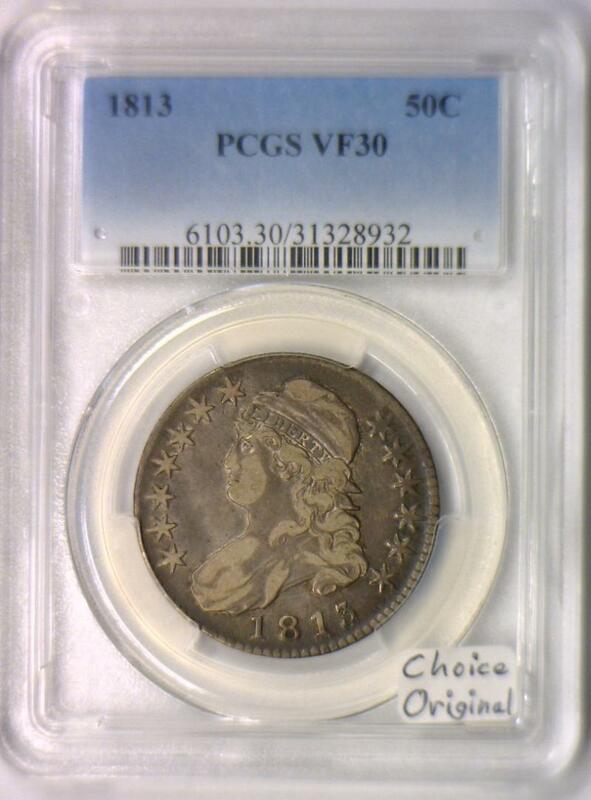 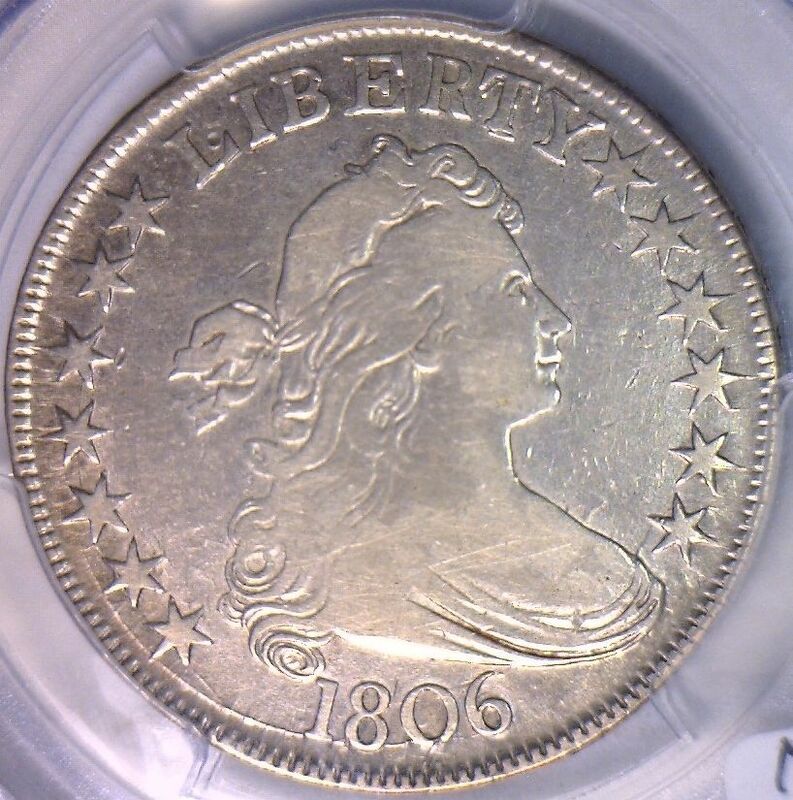 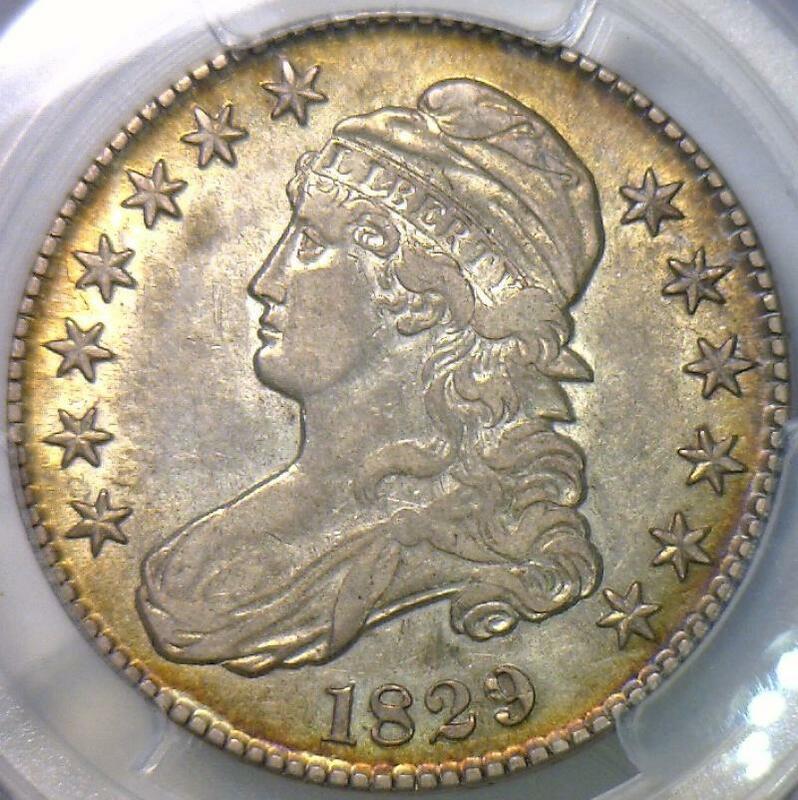 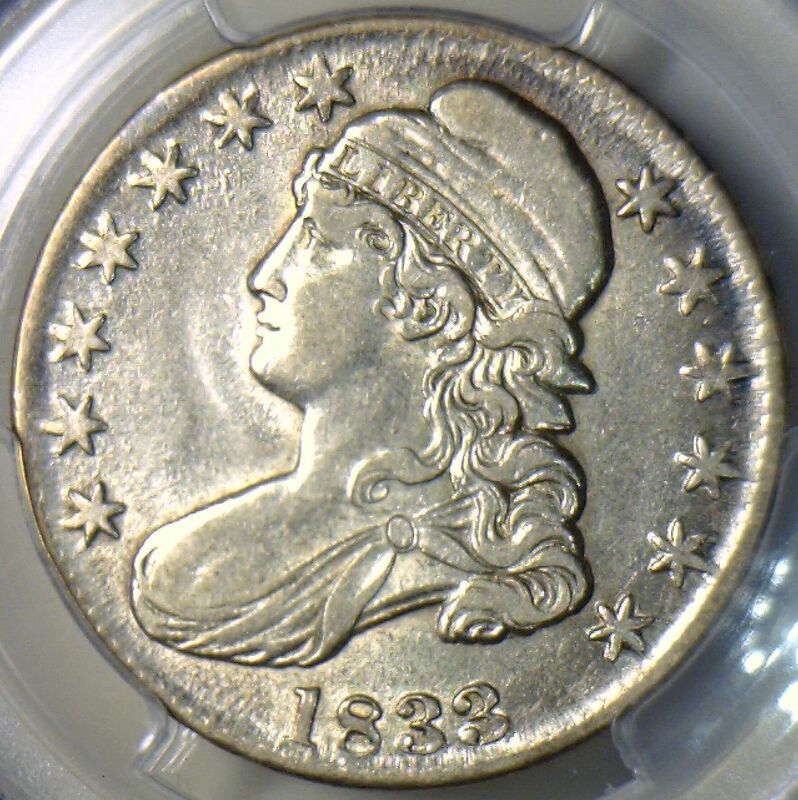 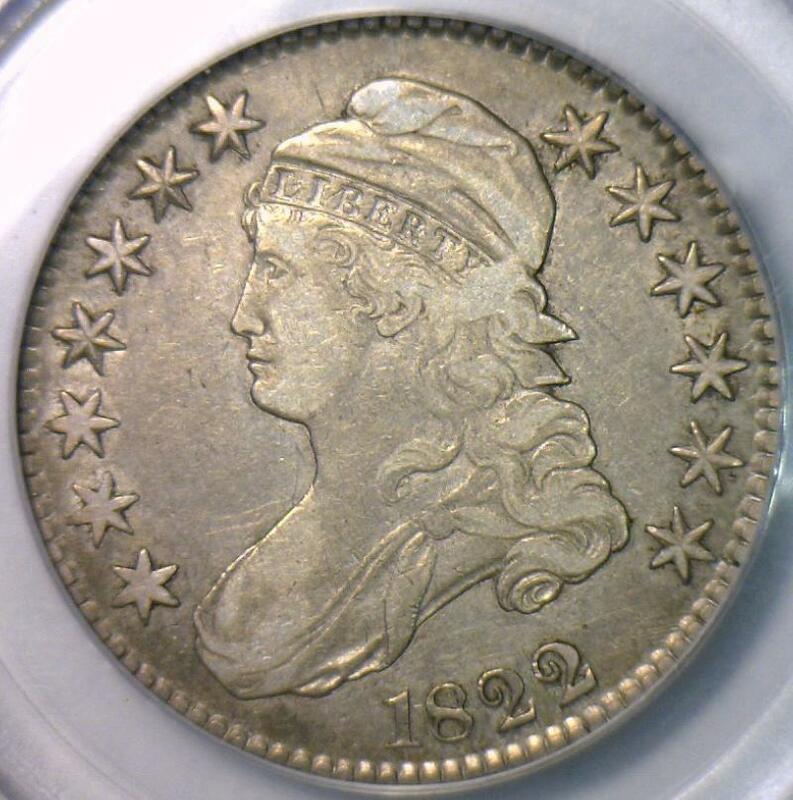 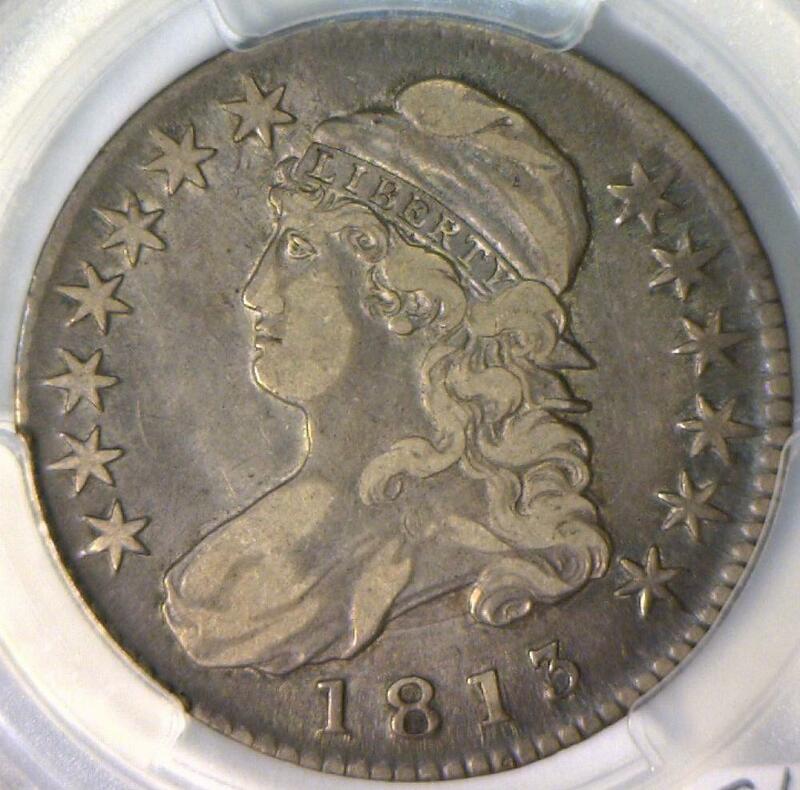 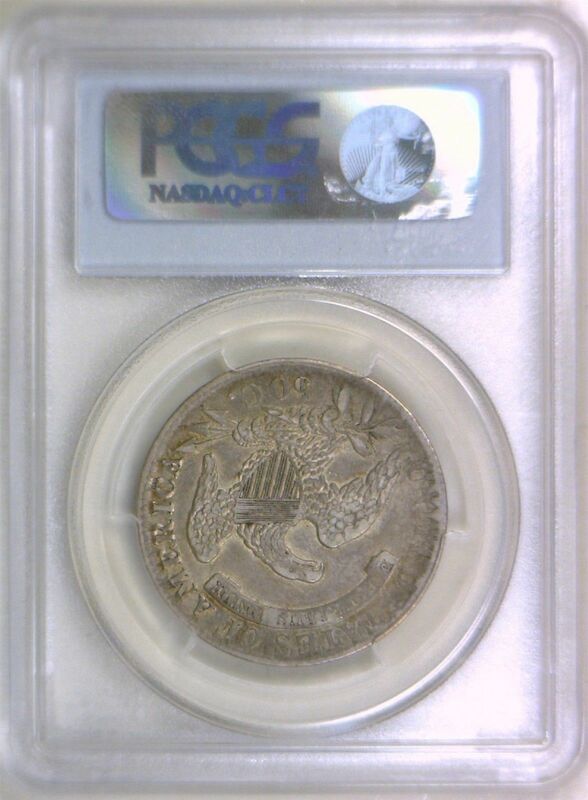 1813 Bust Half Dollar PCGS VF-30; Choice Original! 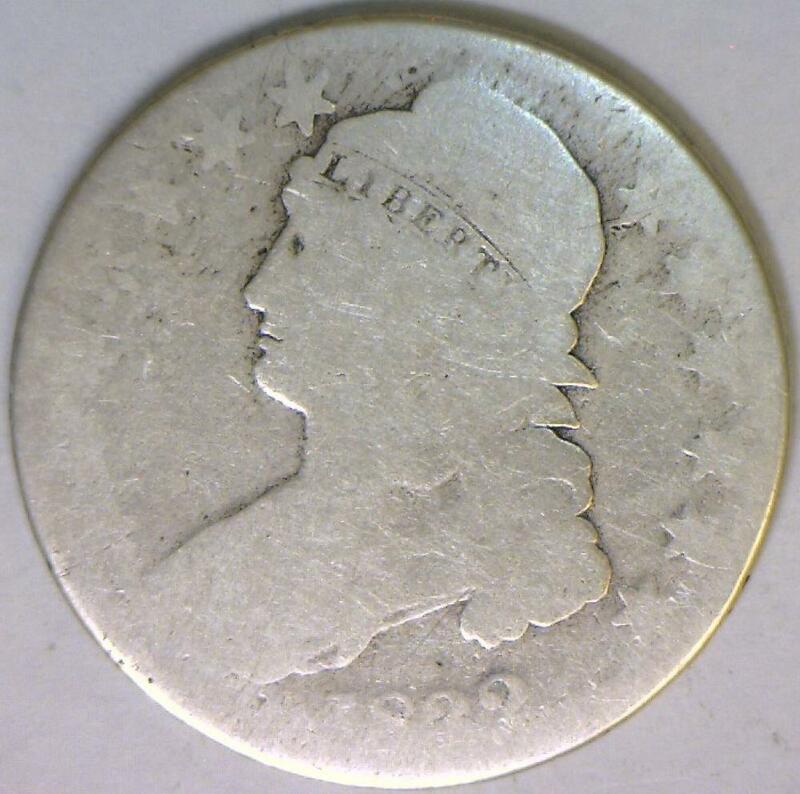 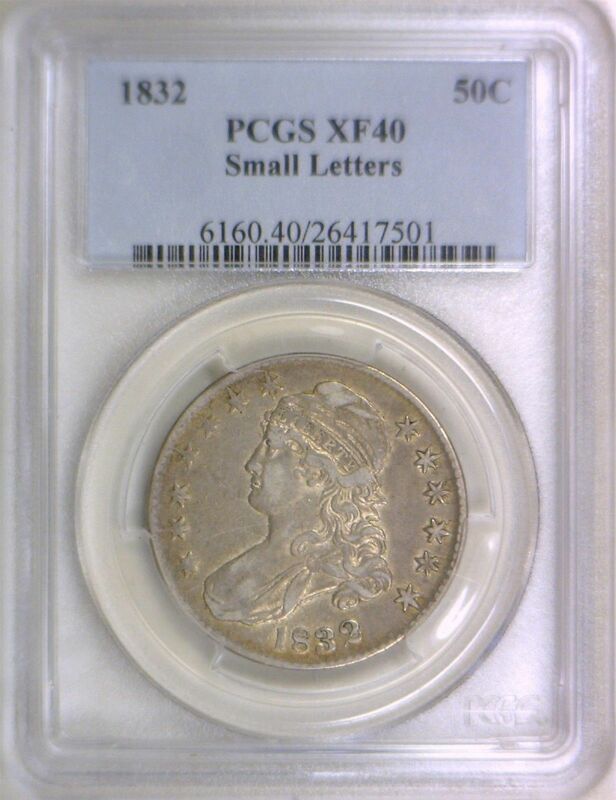 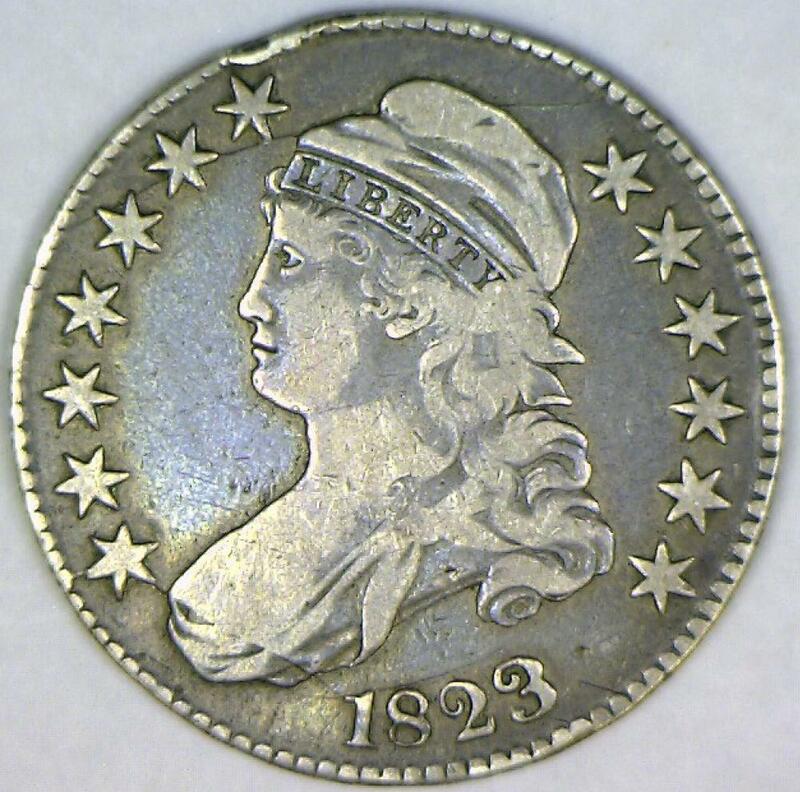 1813 Bust Half Dollar PCGS XF-45; Nice "Look"
1823 Bust Half Dollar; F-VF; O-109, R-5+, RARE! 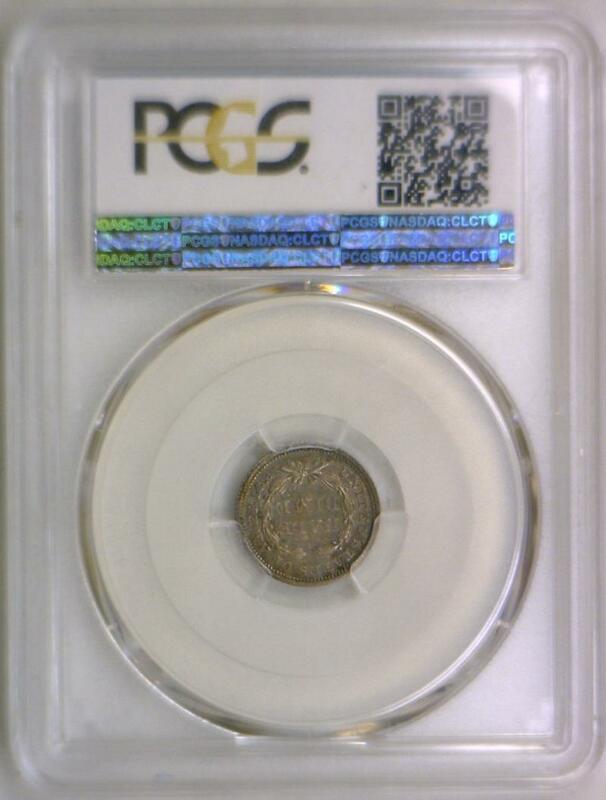 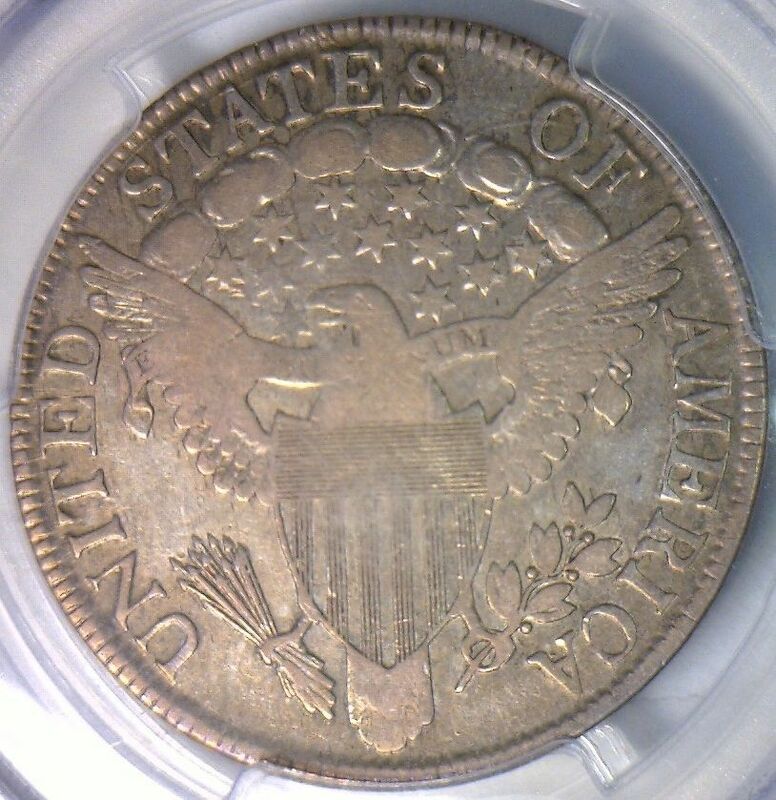 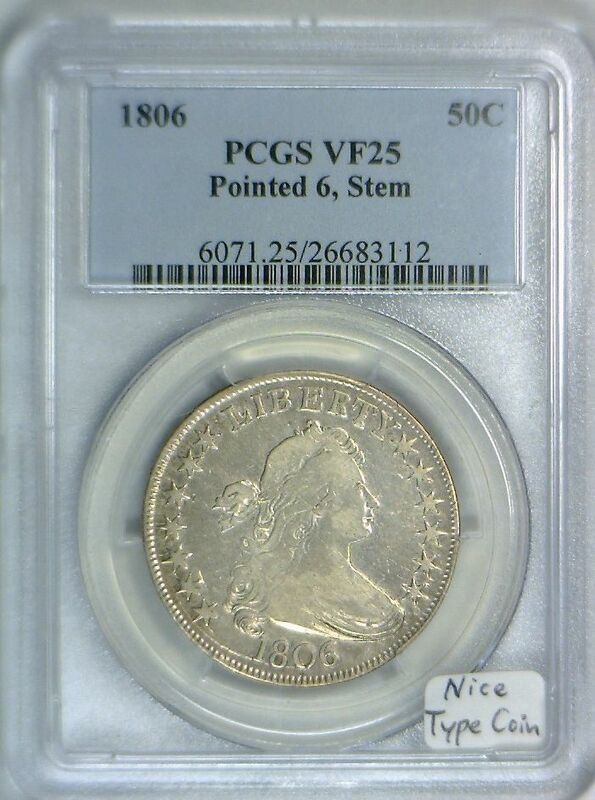 1806 Pointed 6, Stem Bust Half Dollar PCGS VF-25, Nice Type Coin! 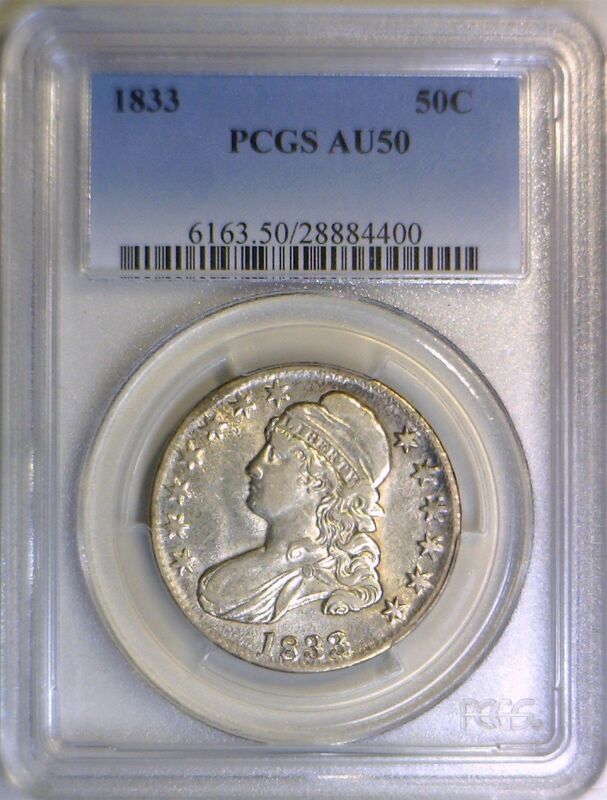 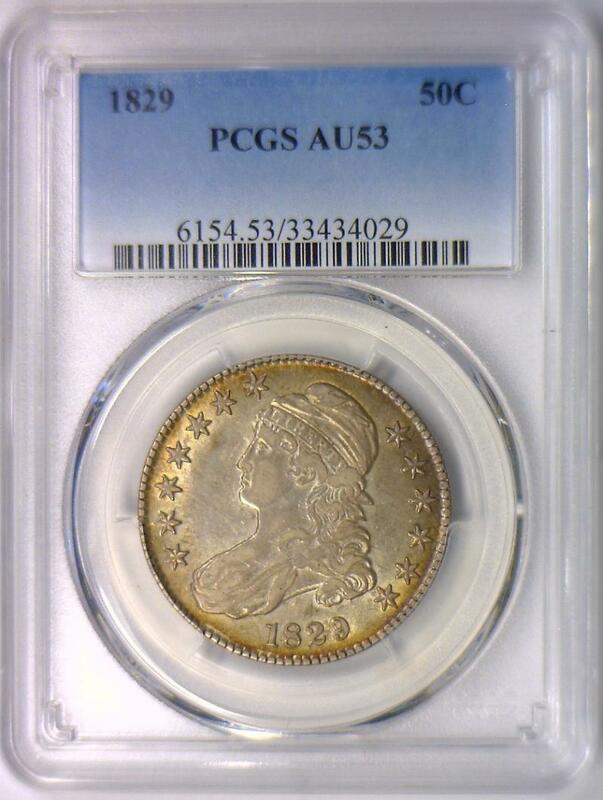 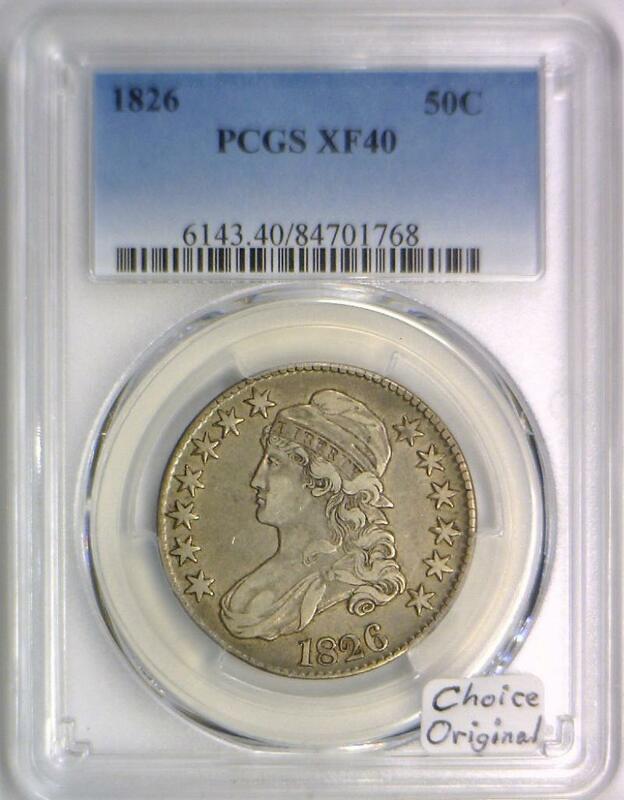 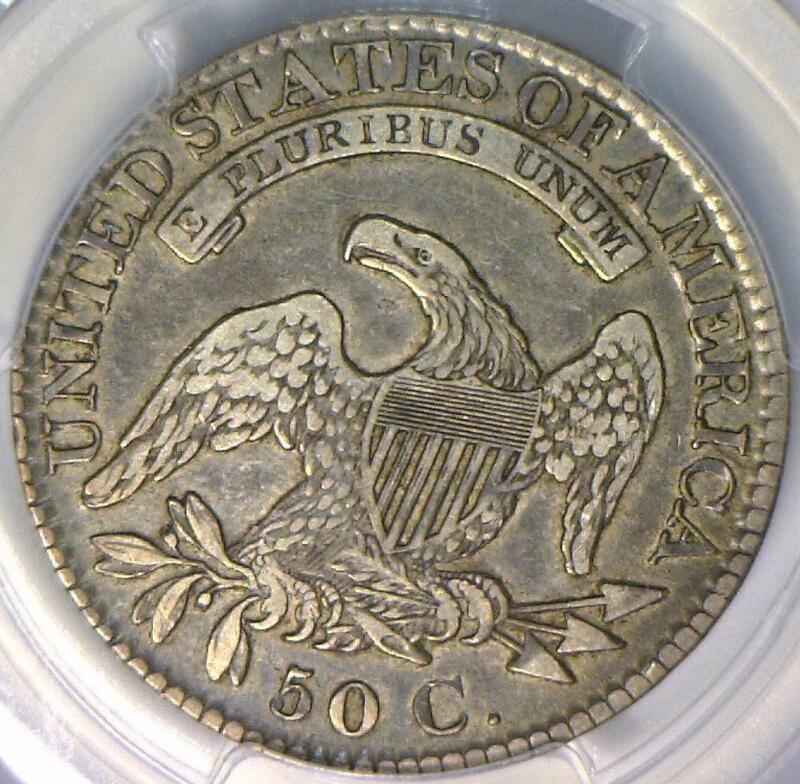 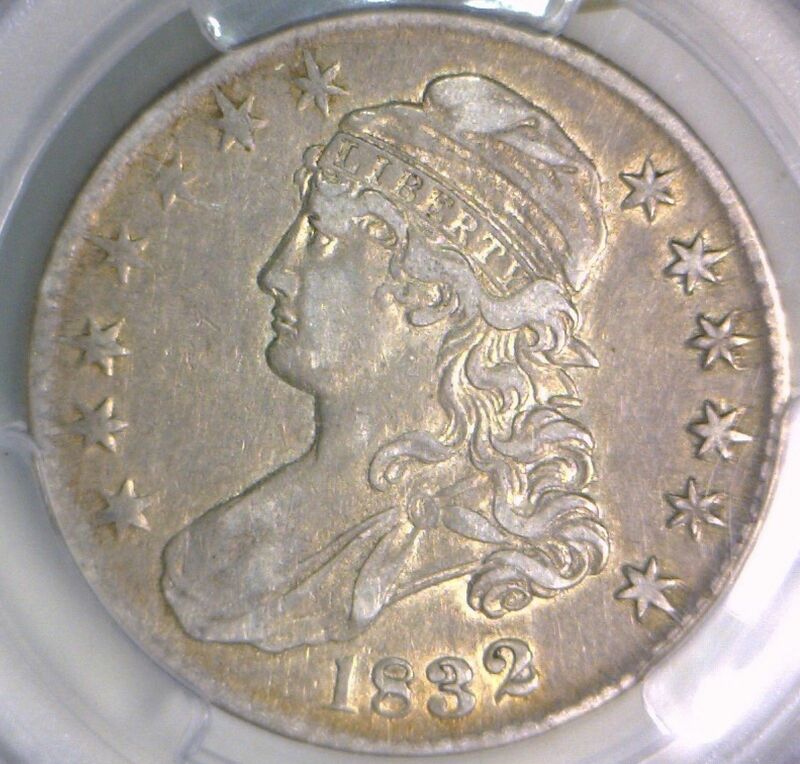 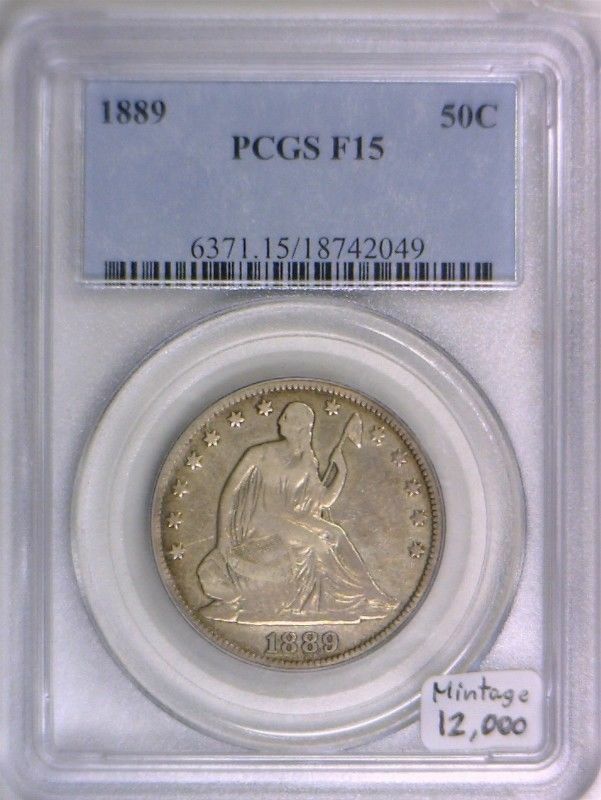 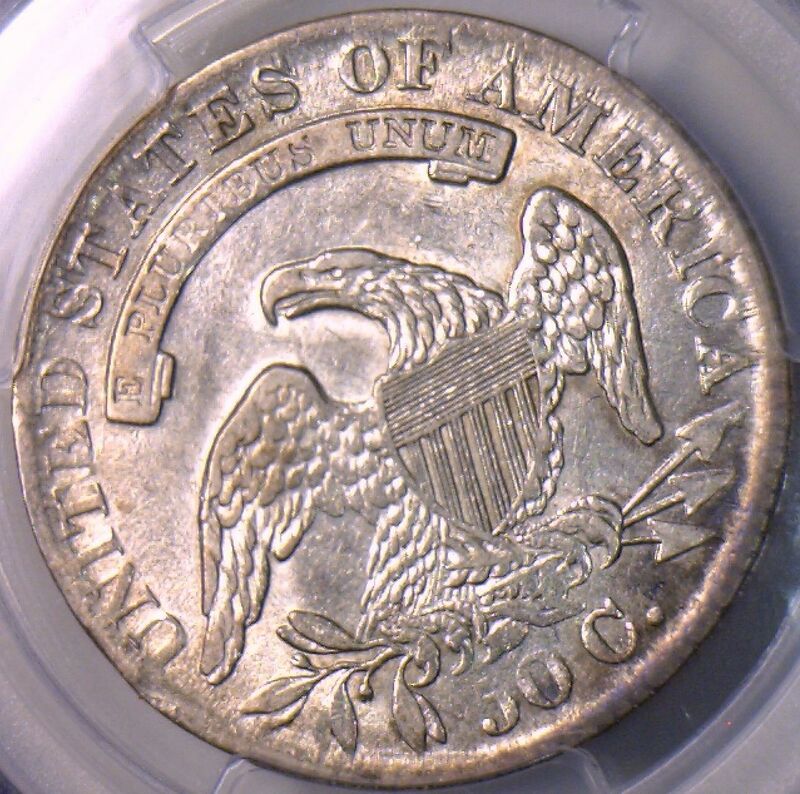 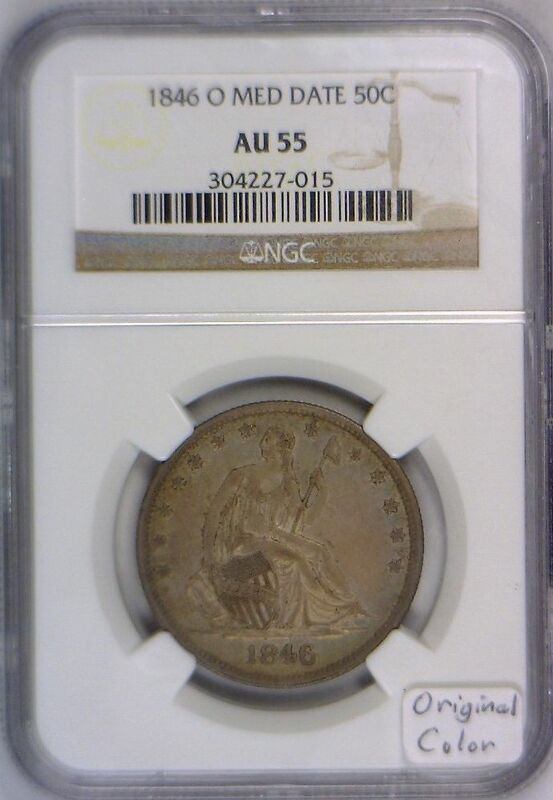 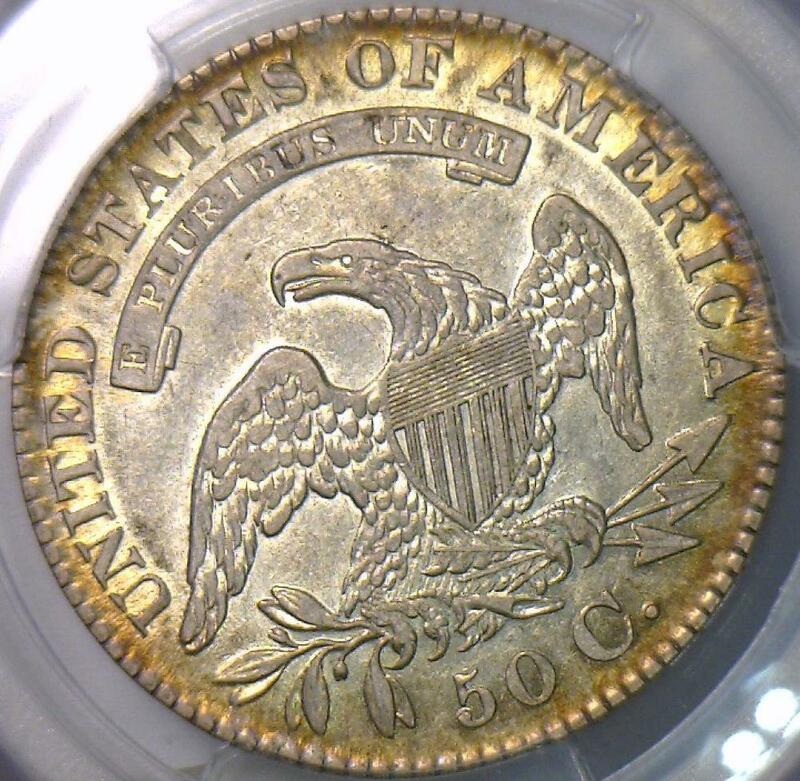 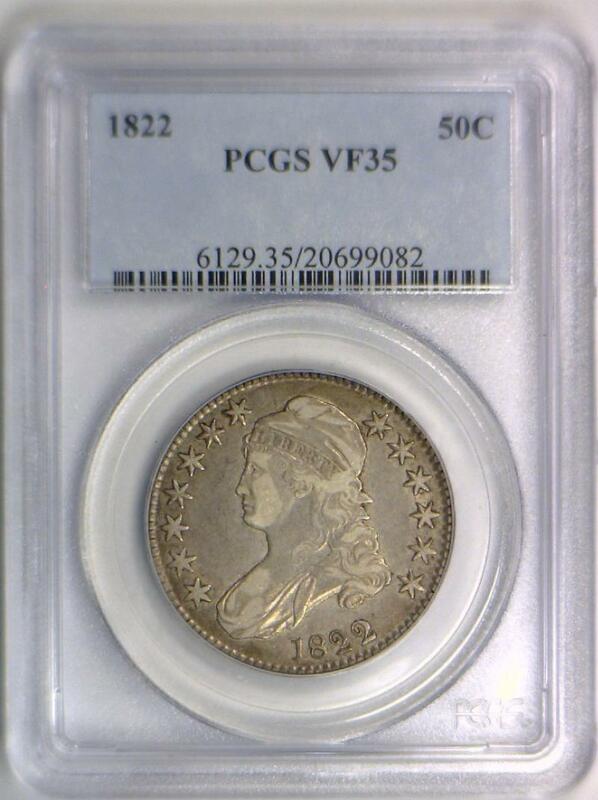 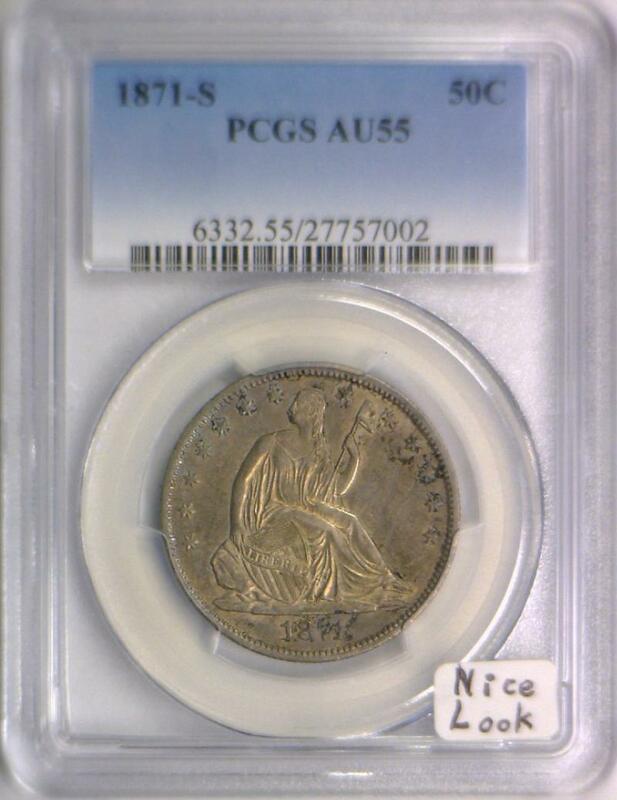 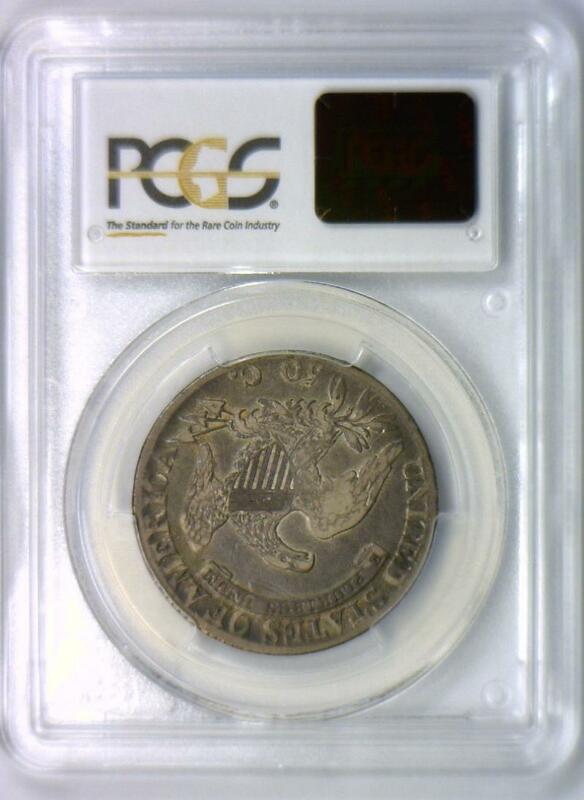 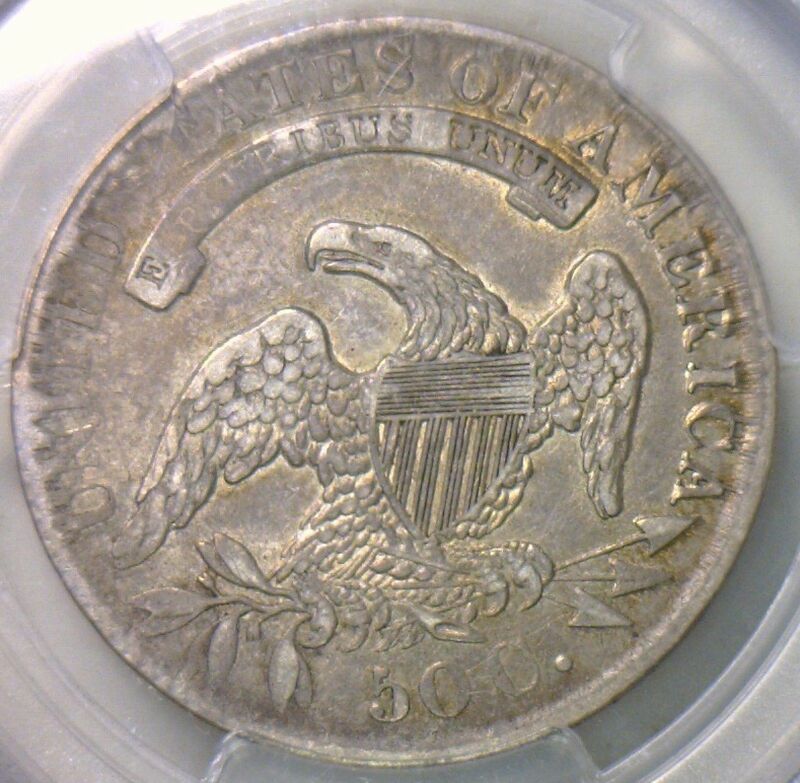 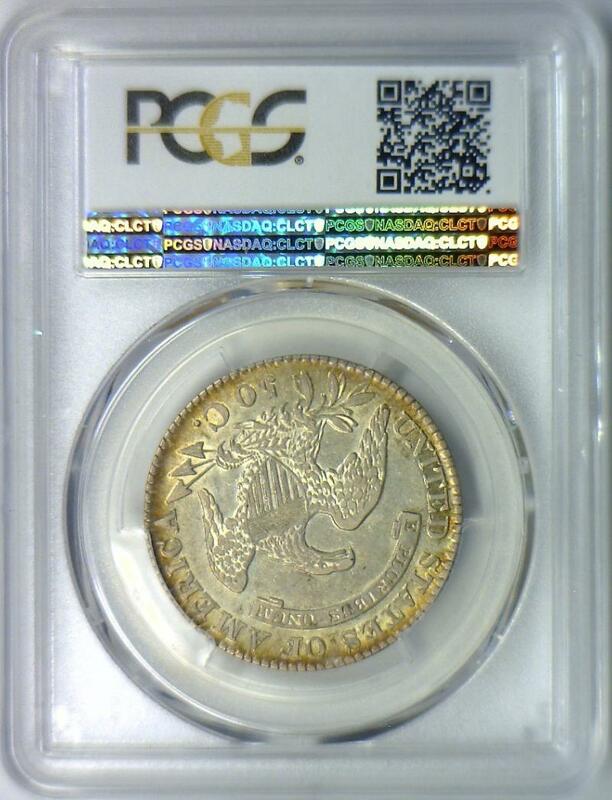 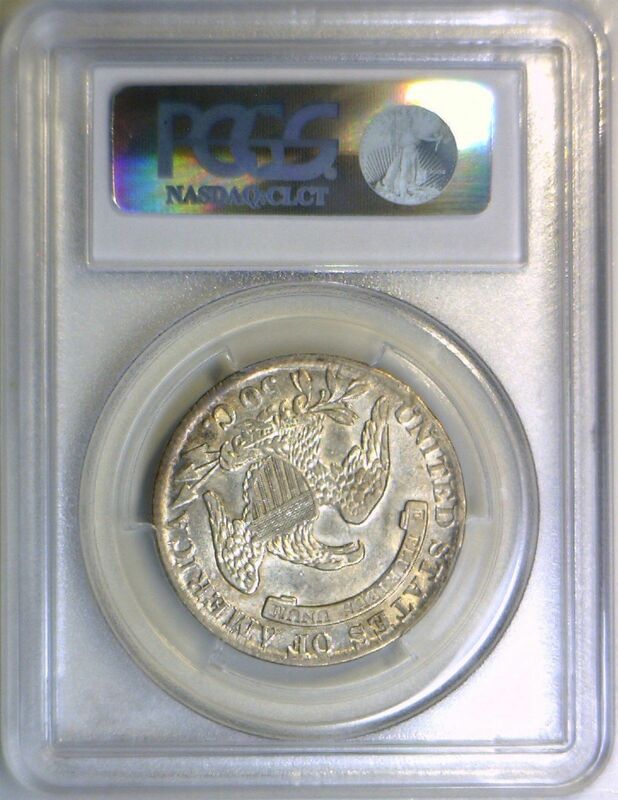 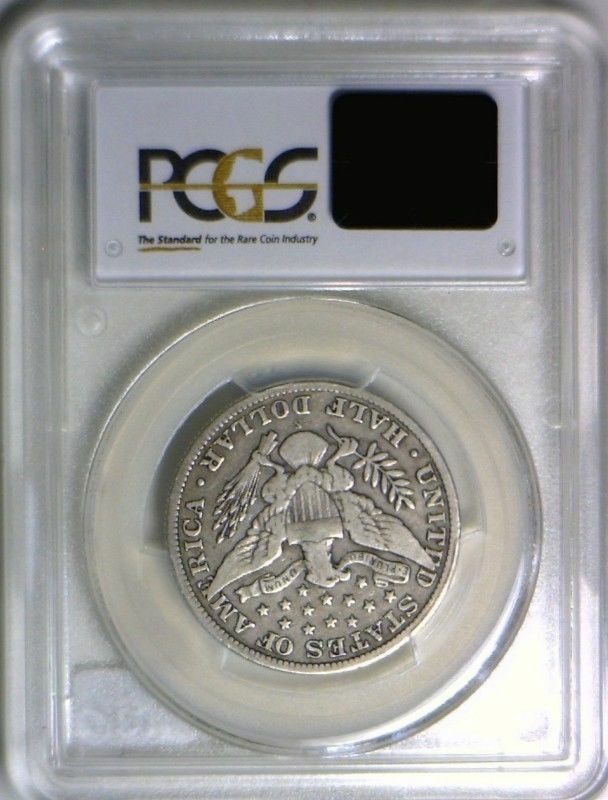 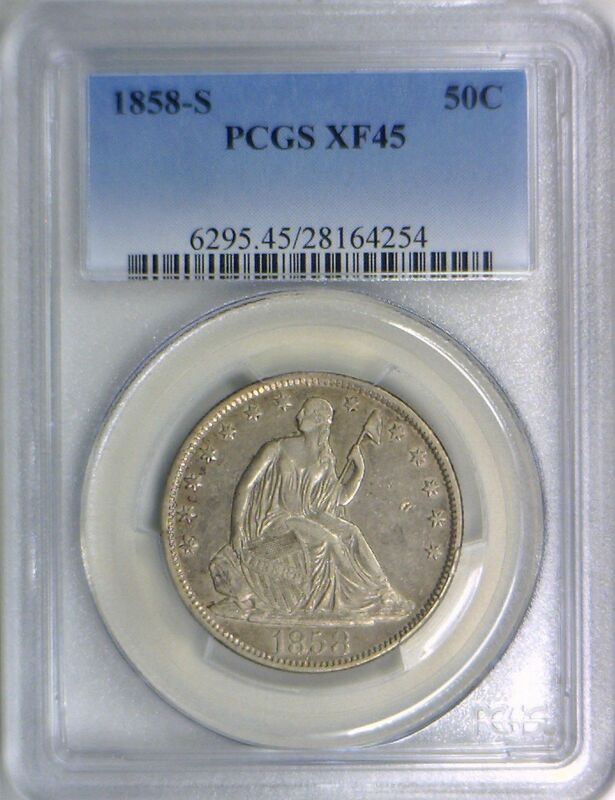 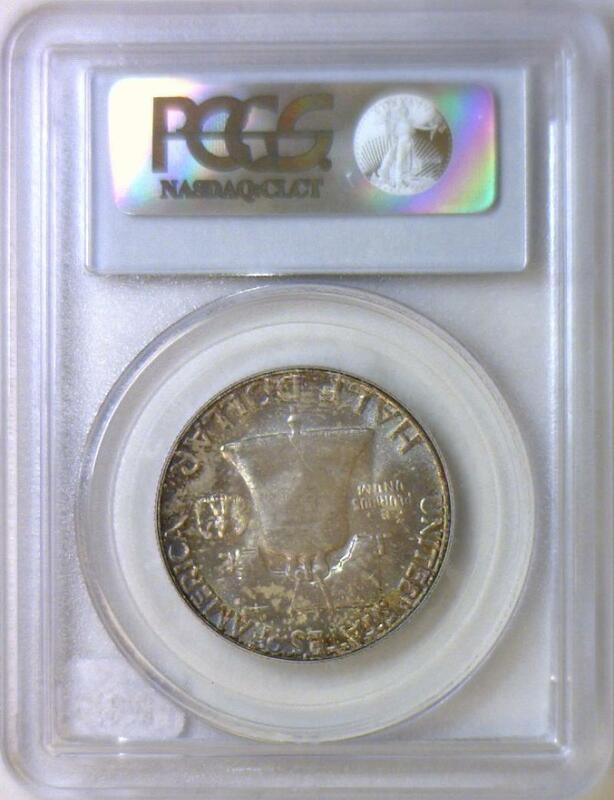 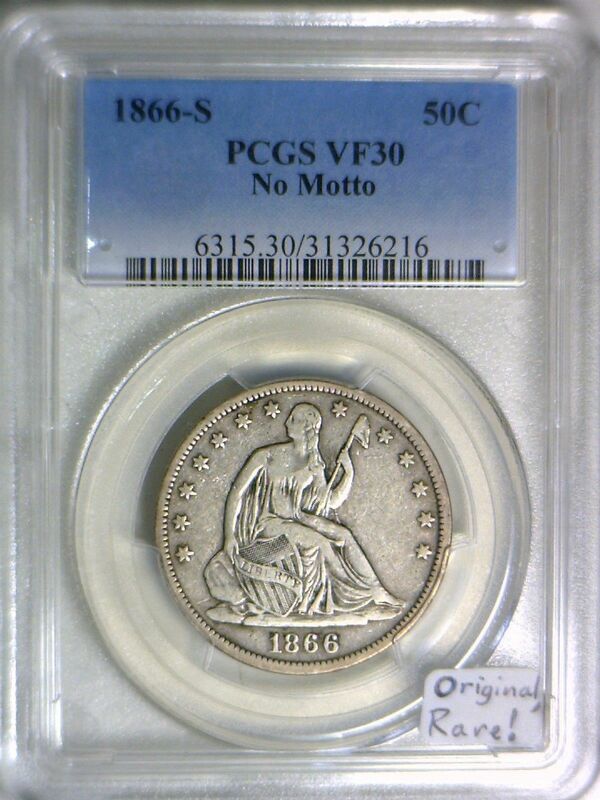 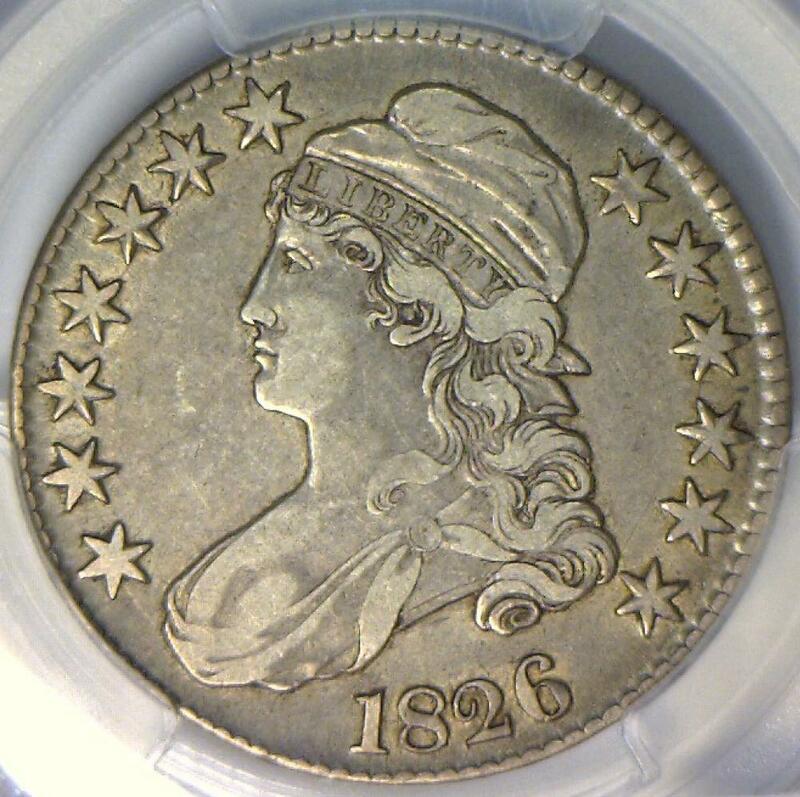 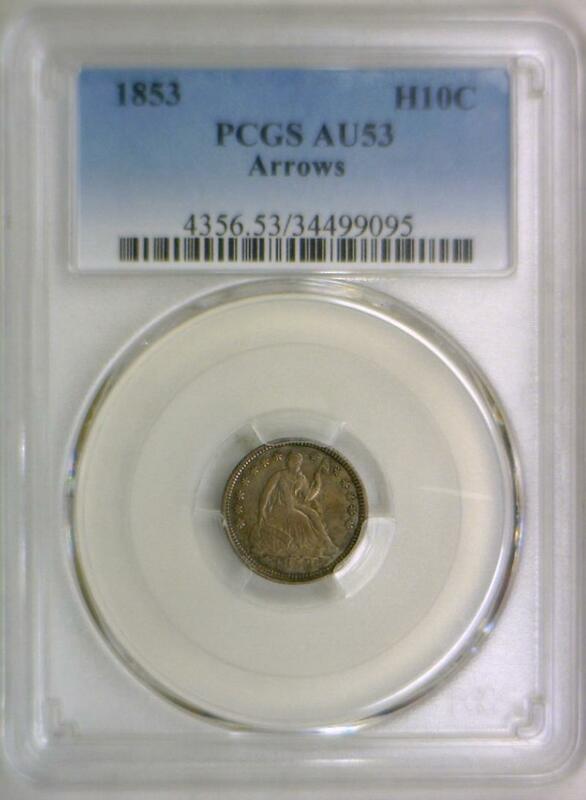 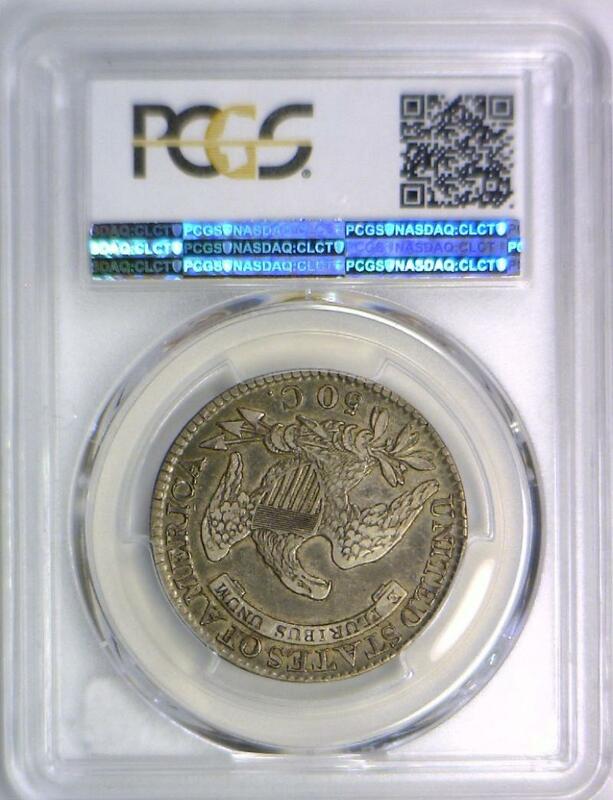 1833 Bust Half Dollar PCGS AU-50; Lots of Frosty Luster! 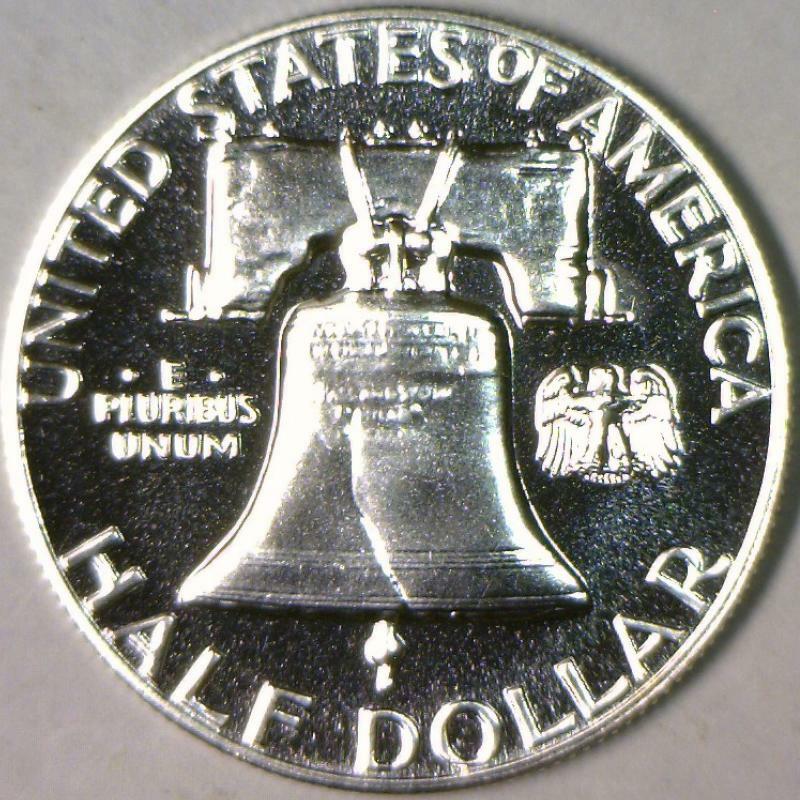 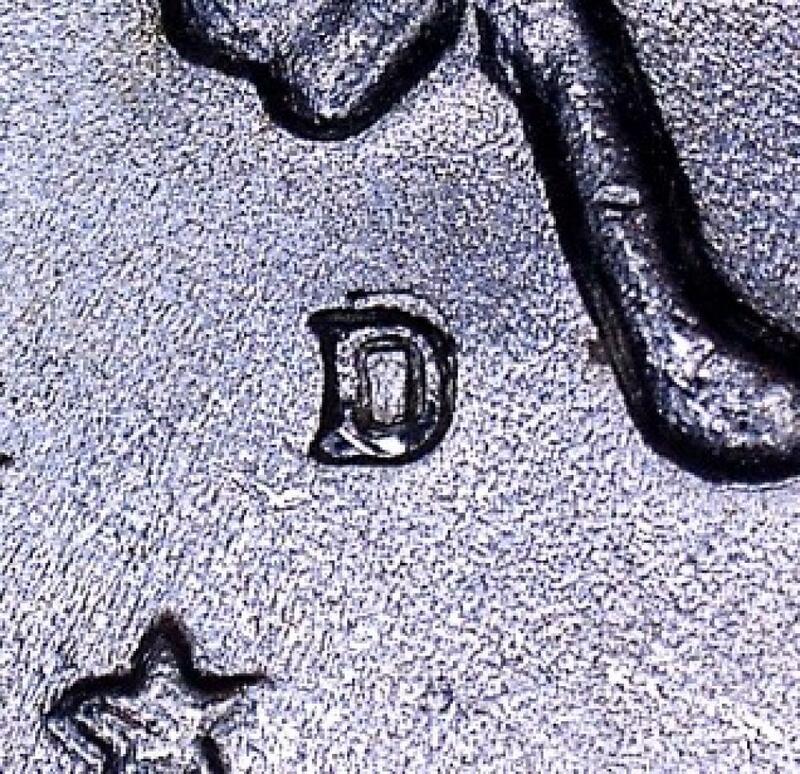 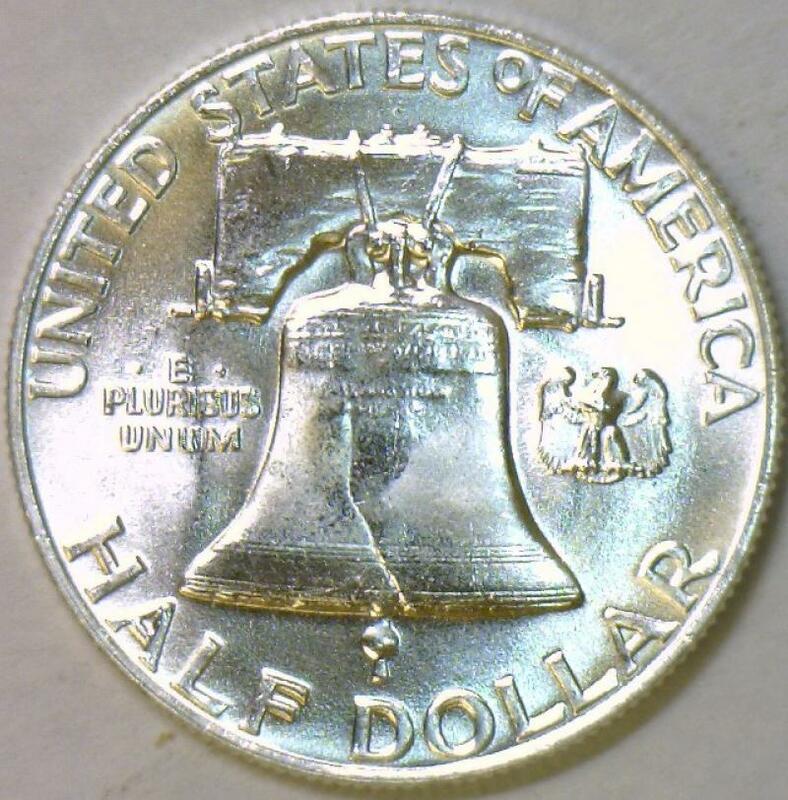 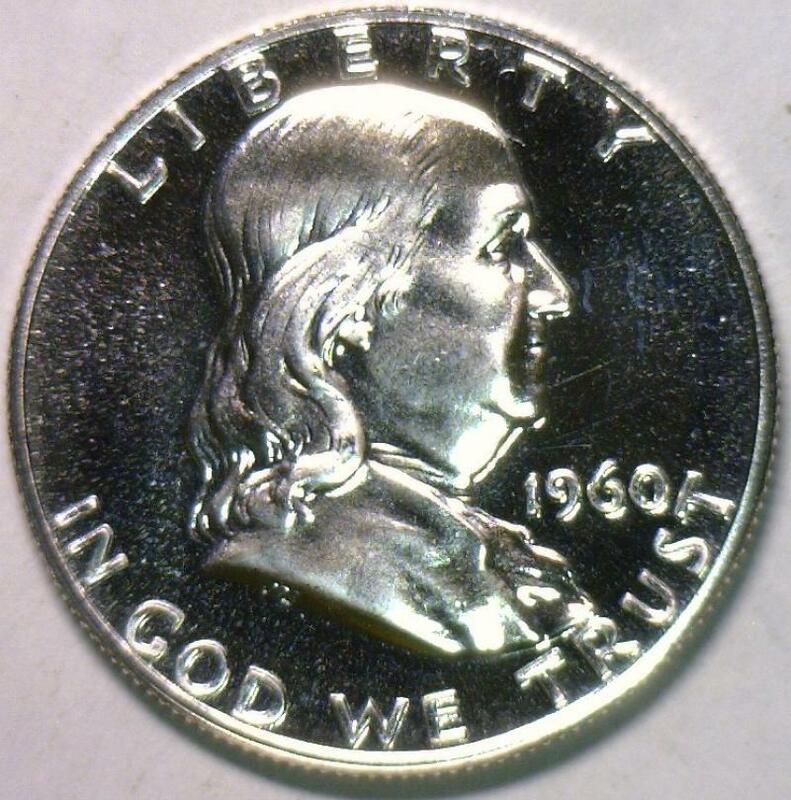 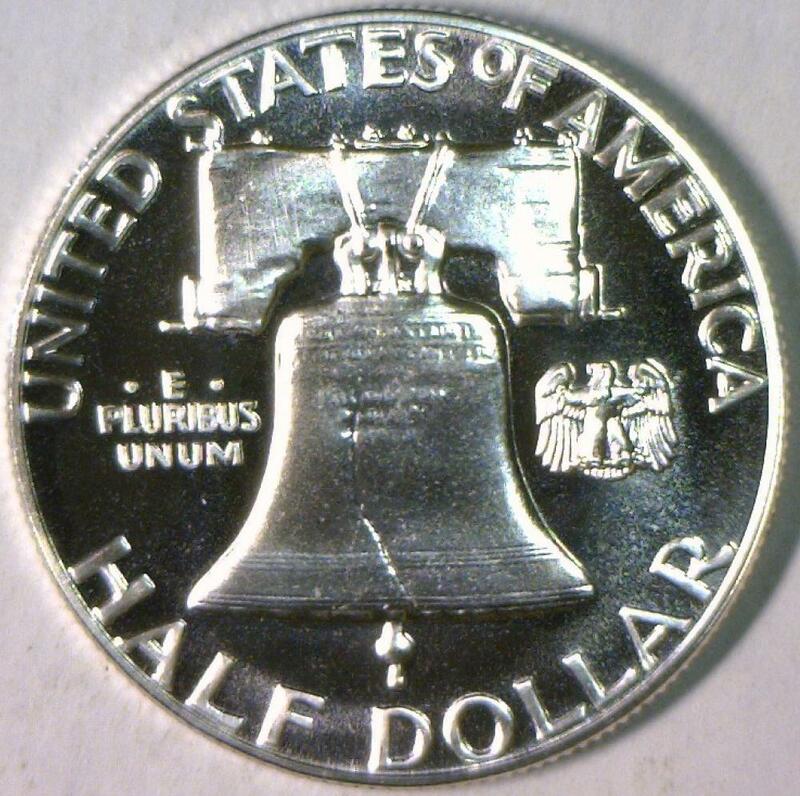 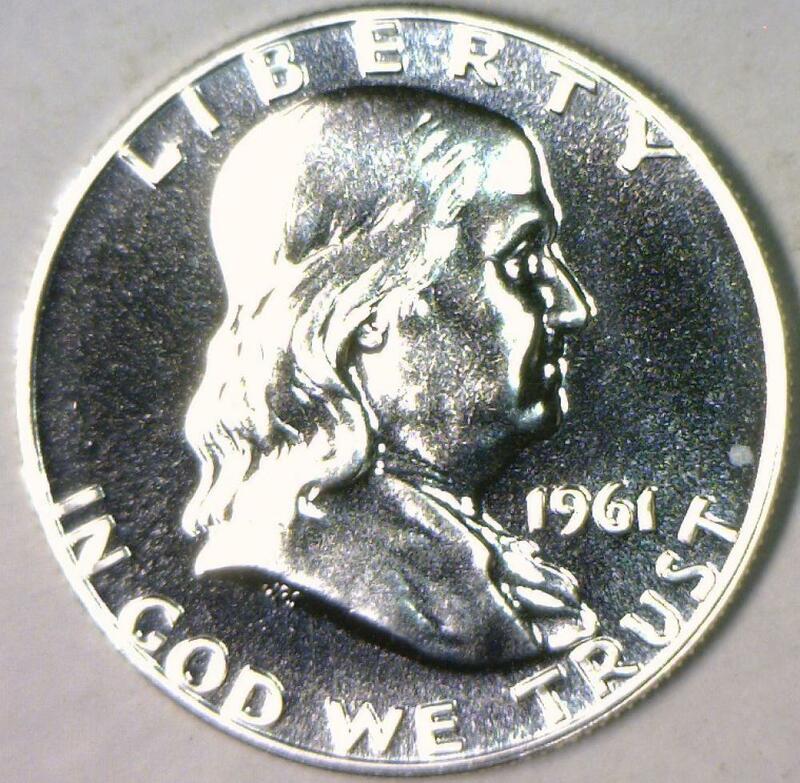 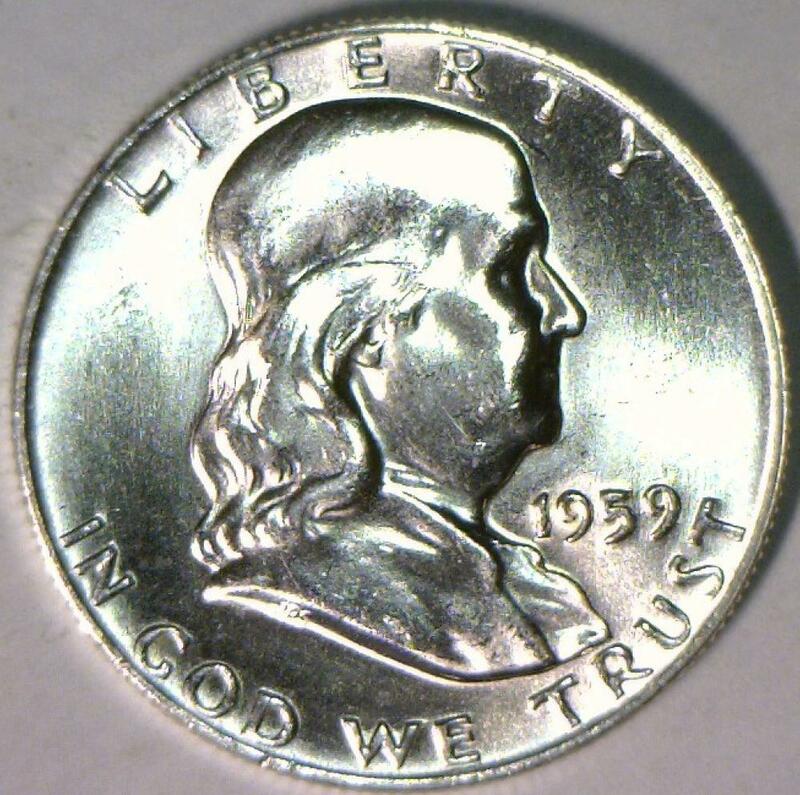 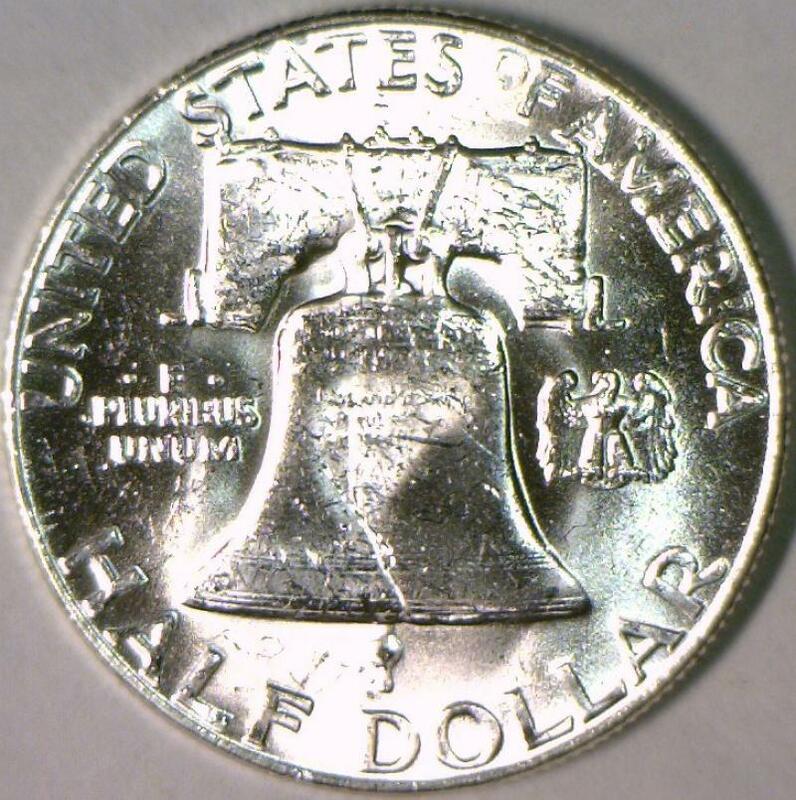 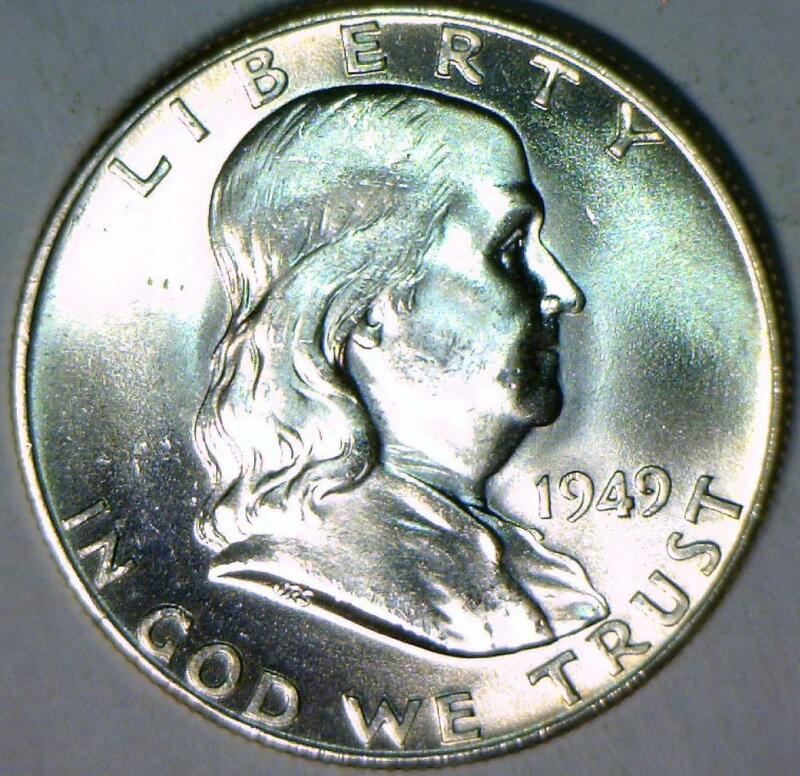 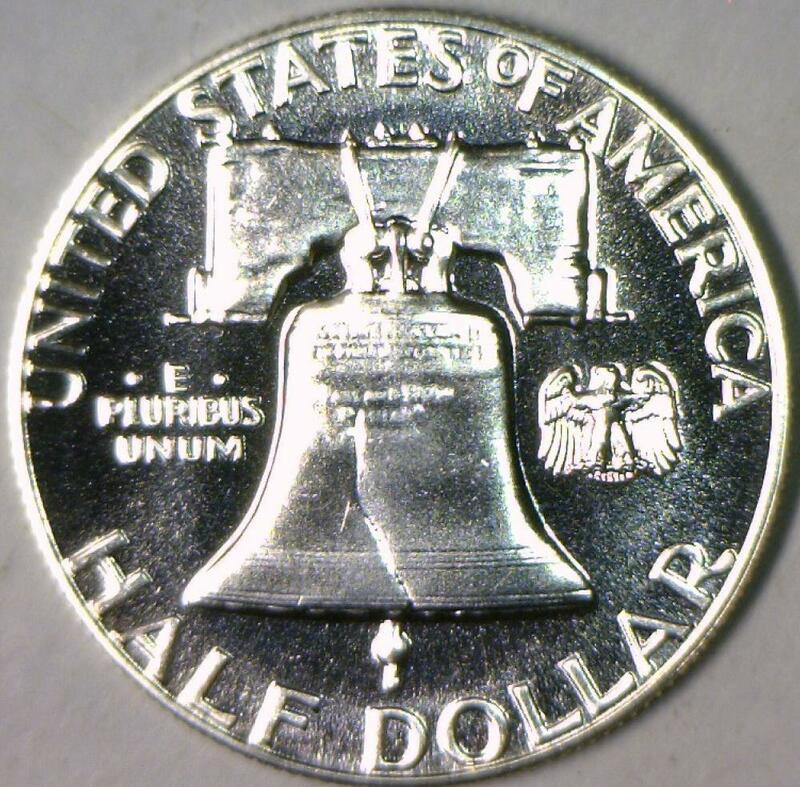 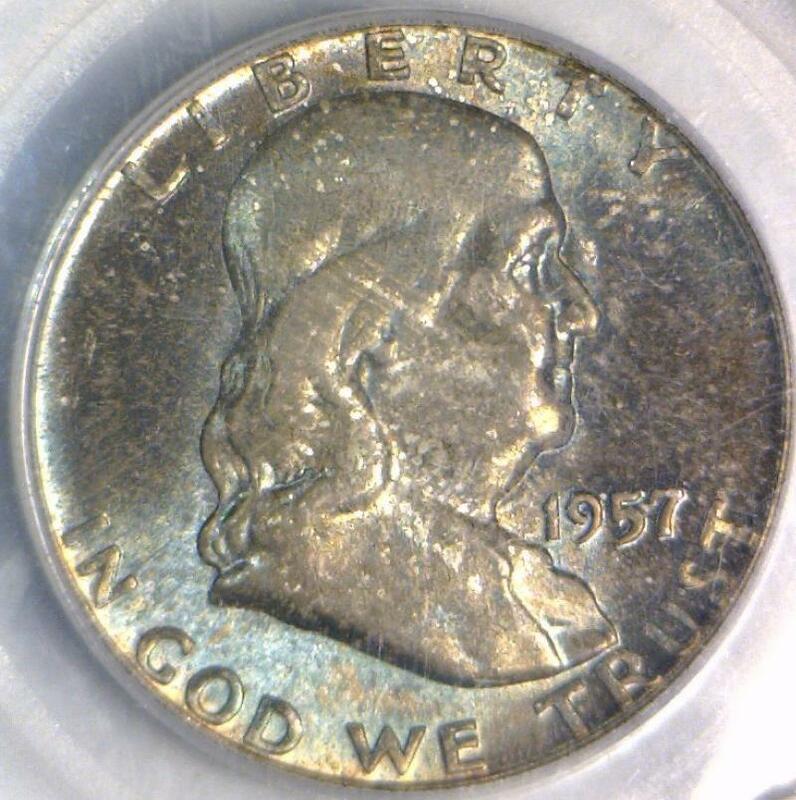 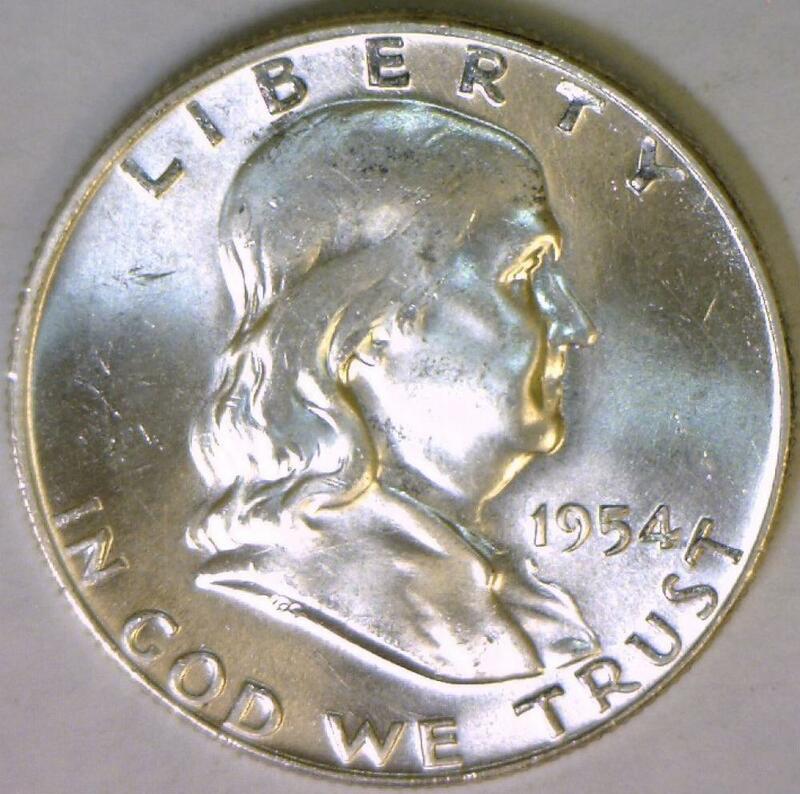 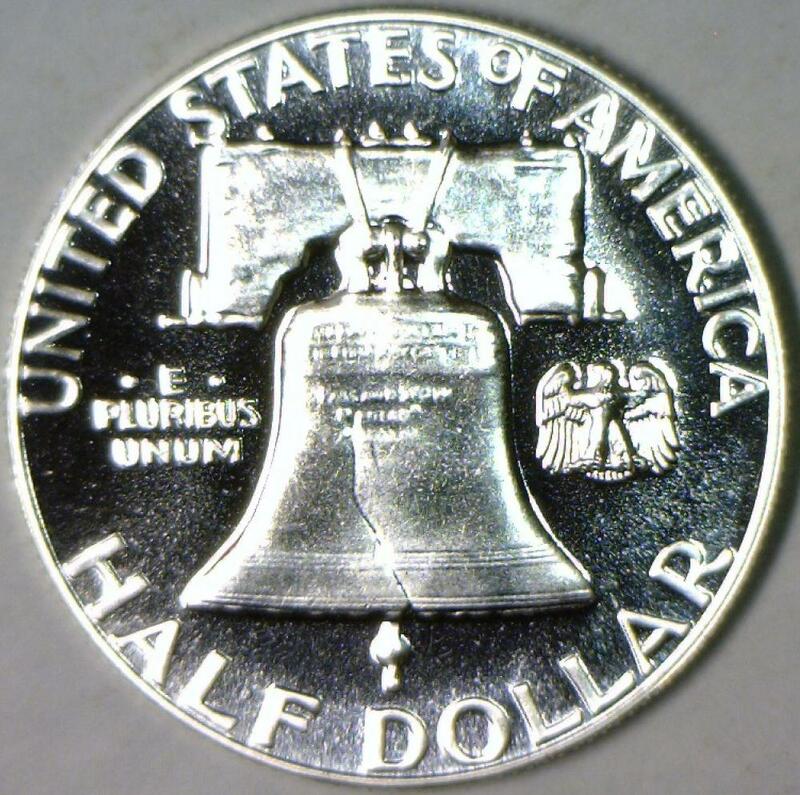 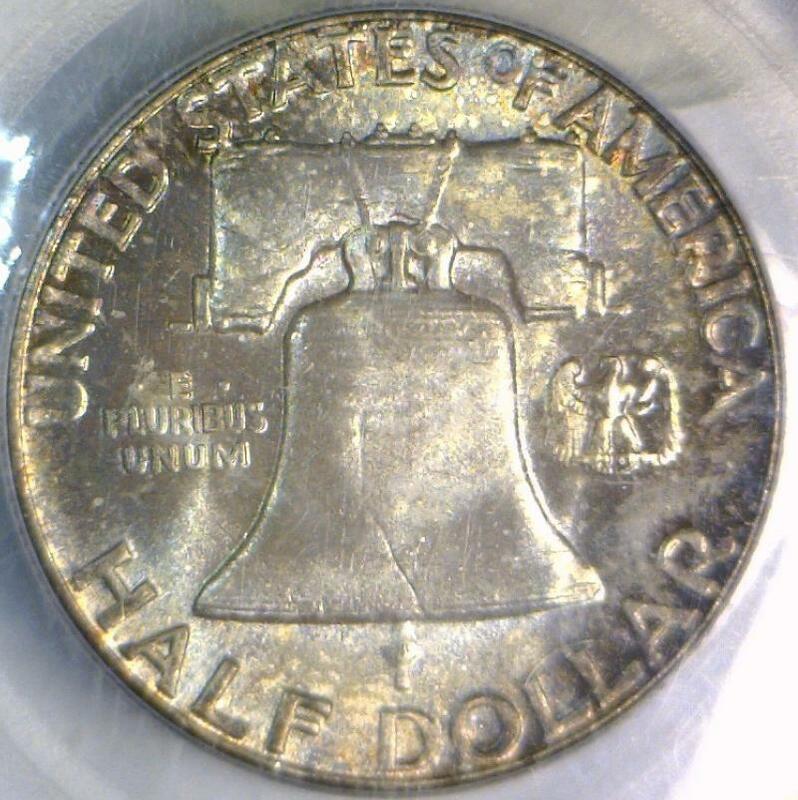 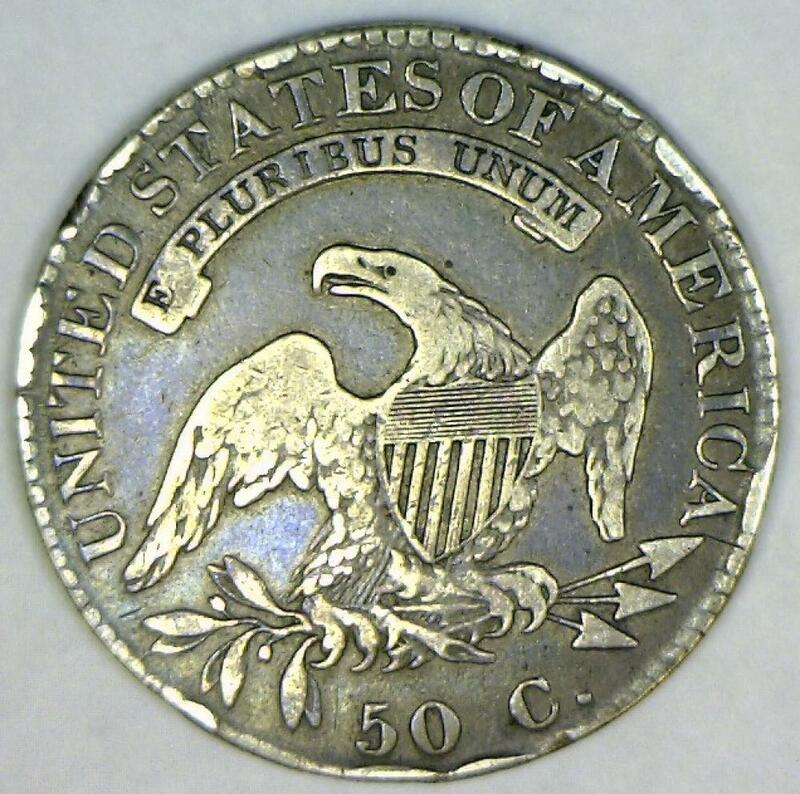 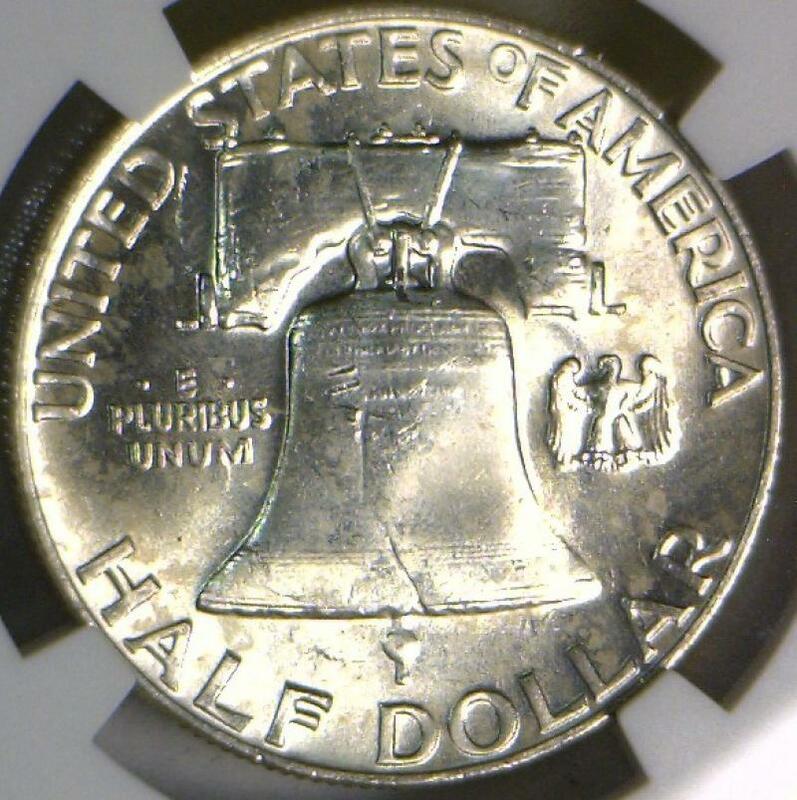 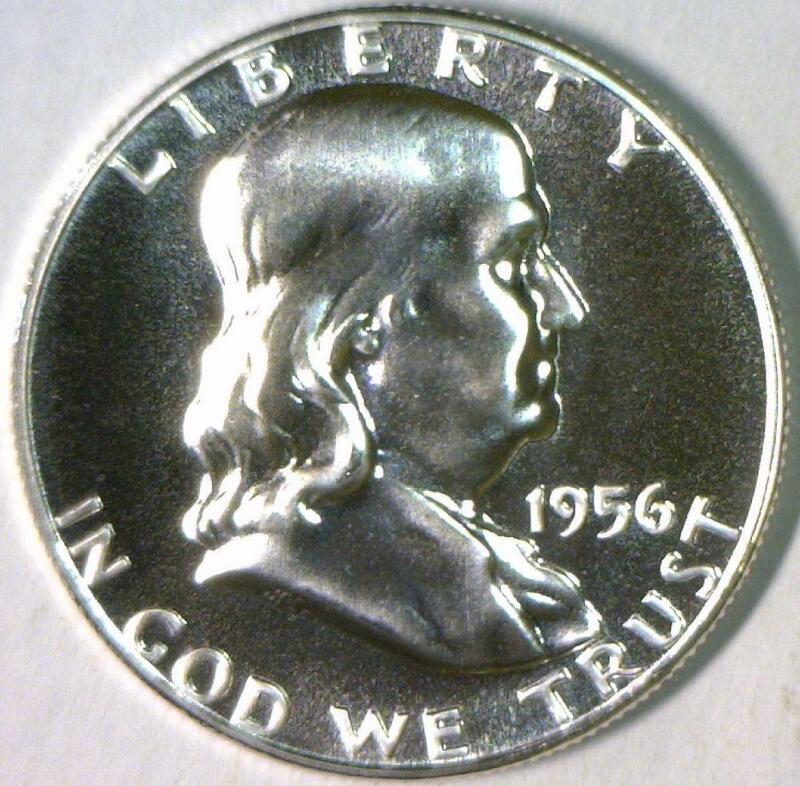 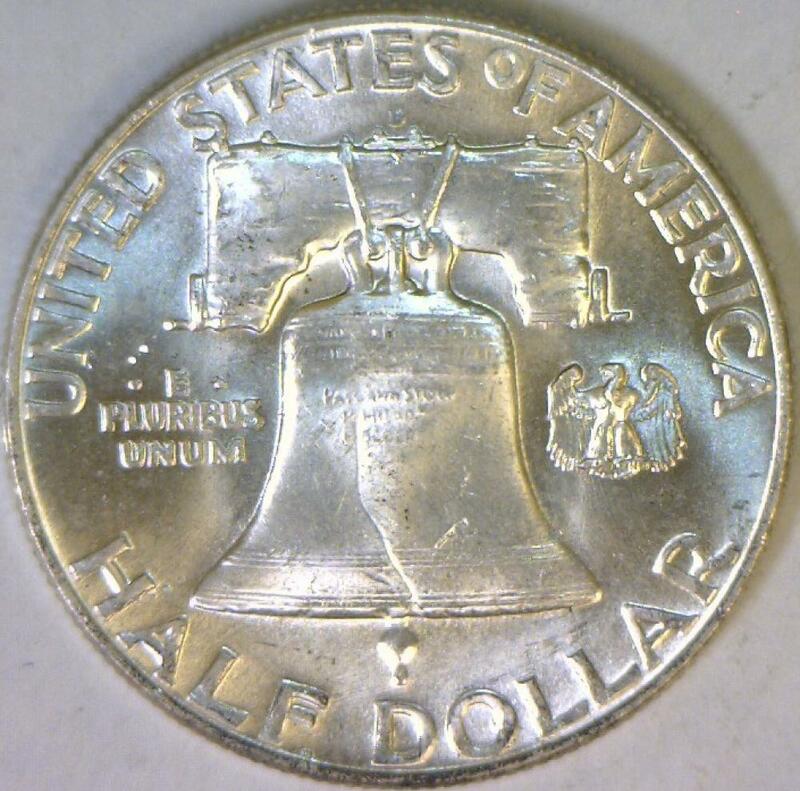 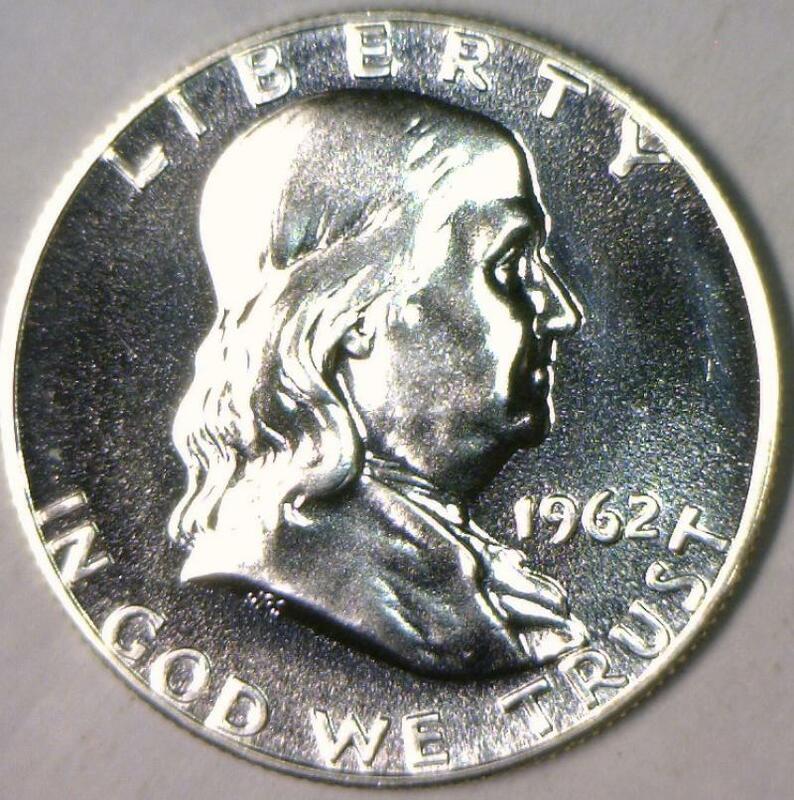 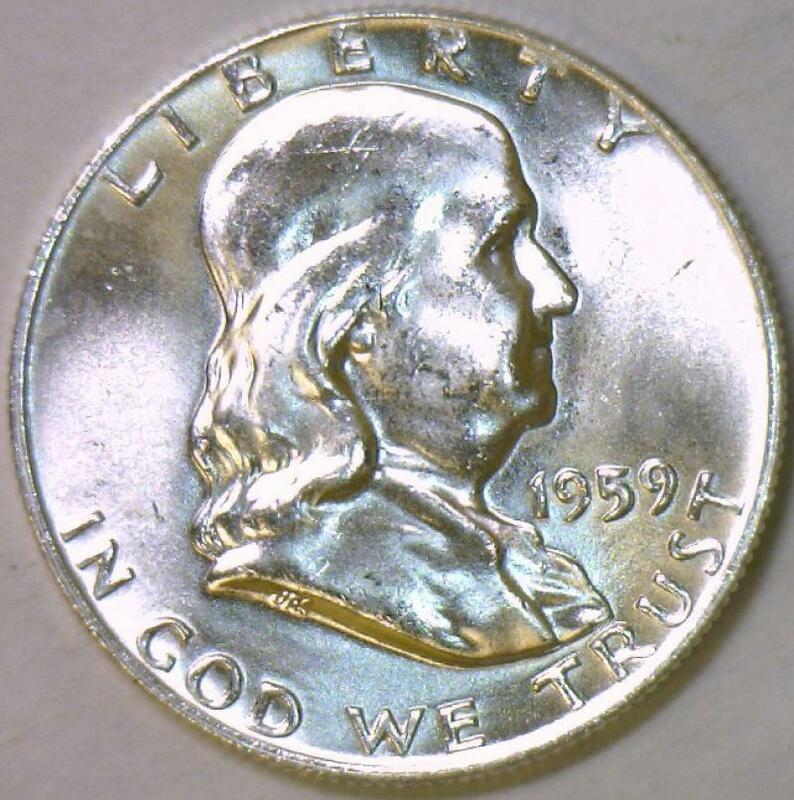 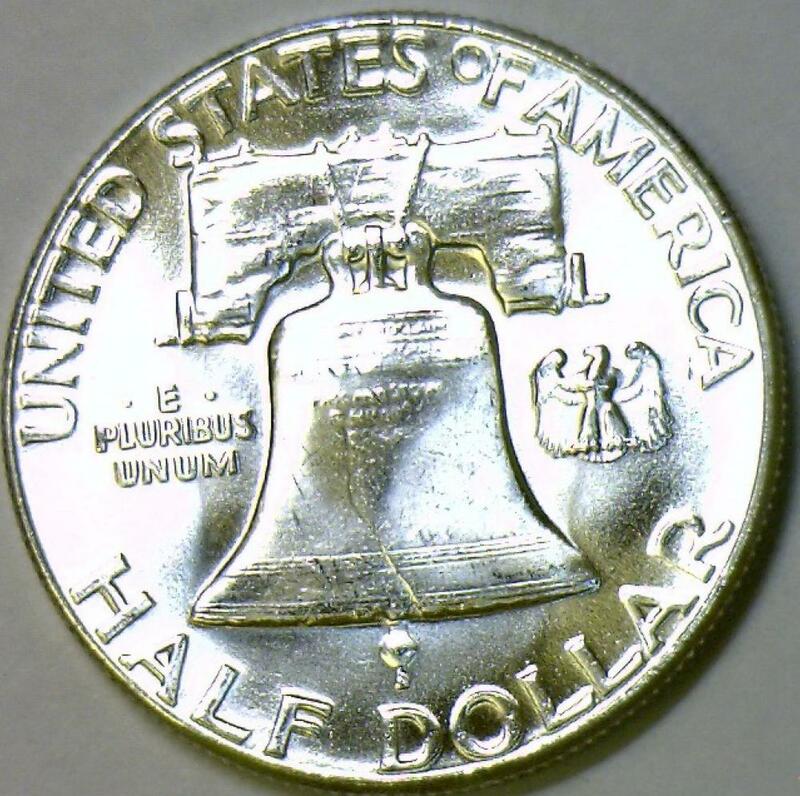 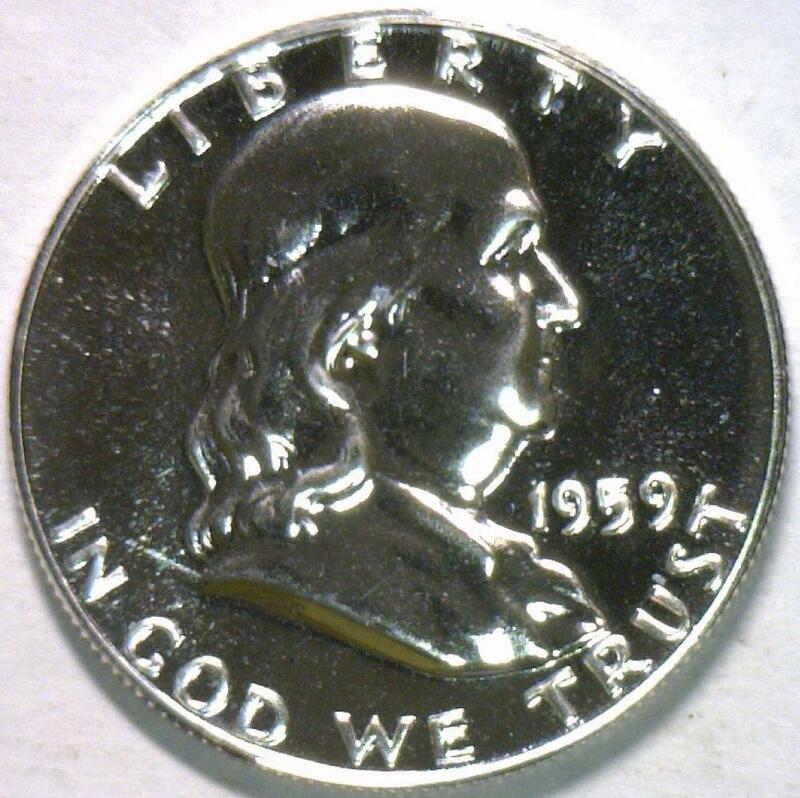 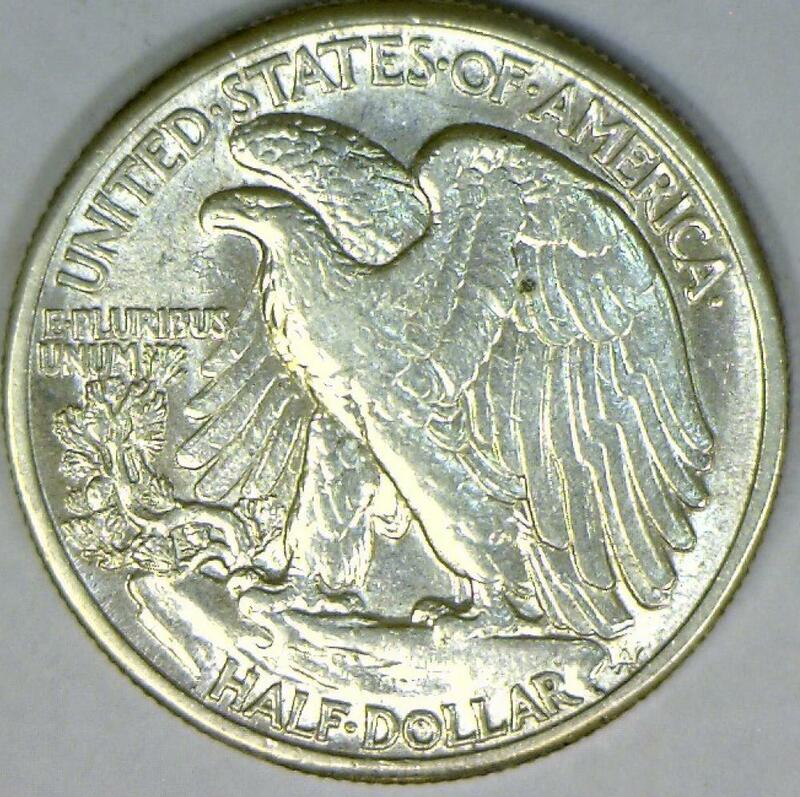 1954-D Franklin Half Dollar; Choice BU; F.B.L. 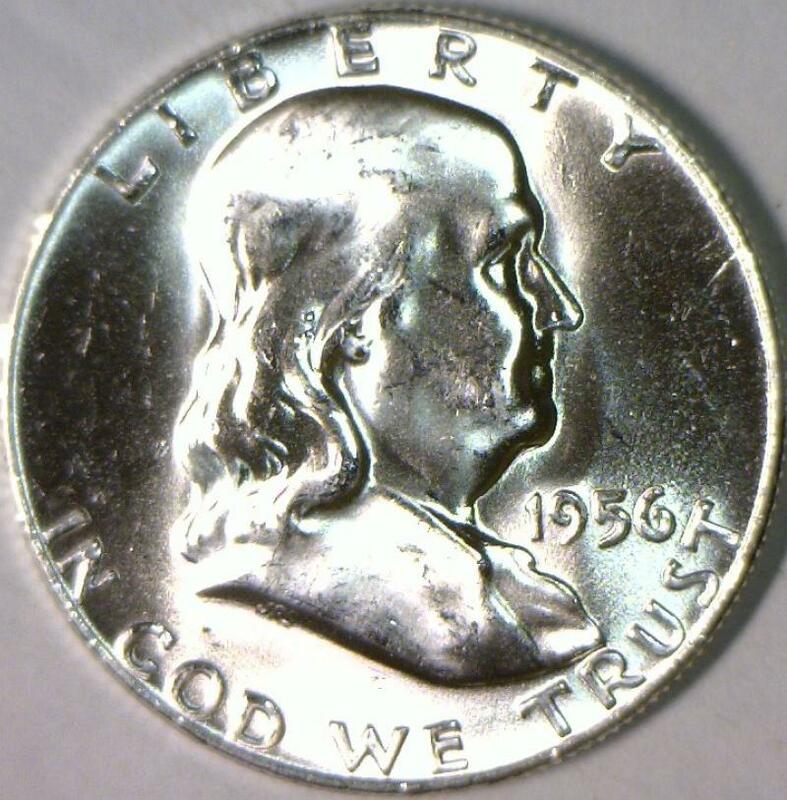 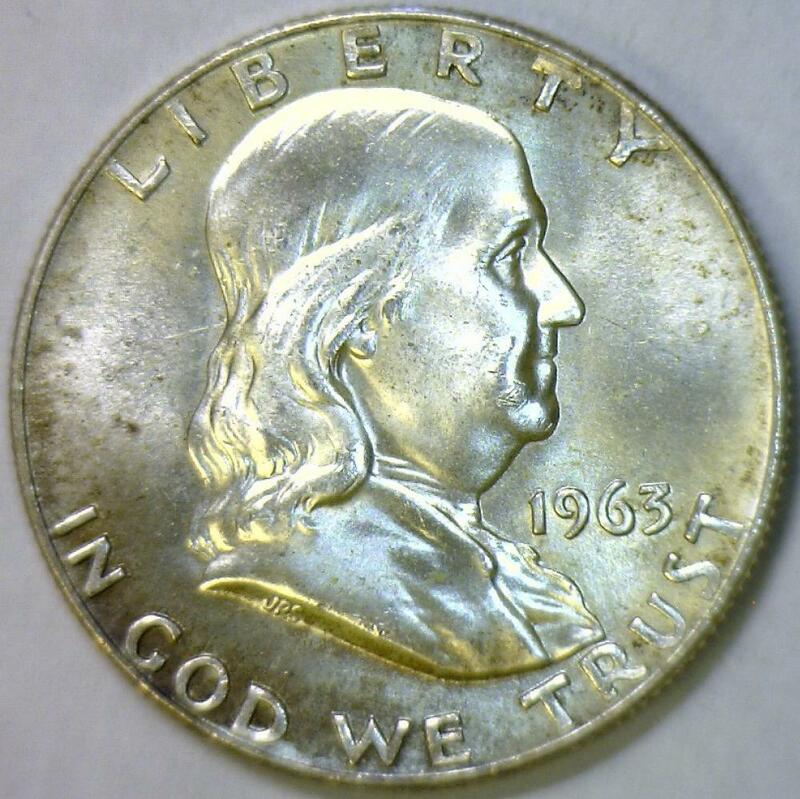 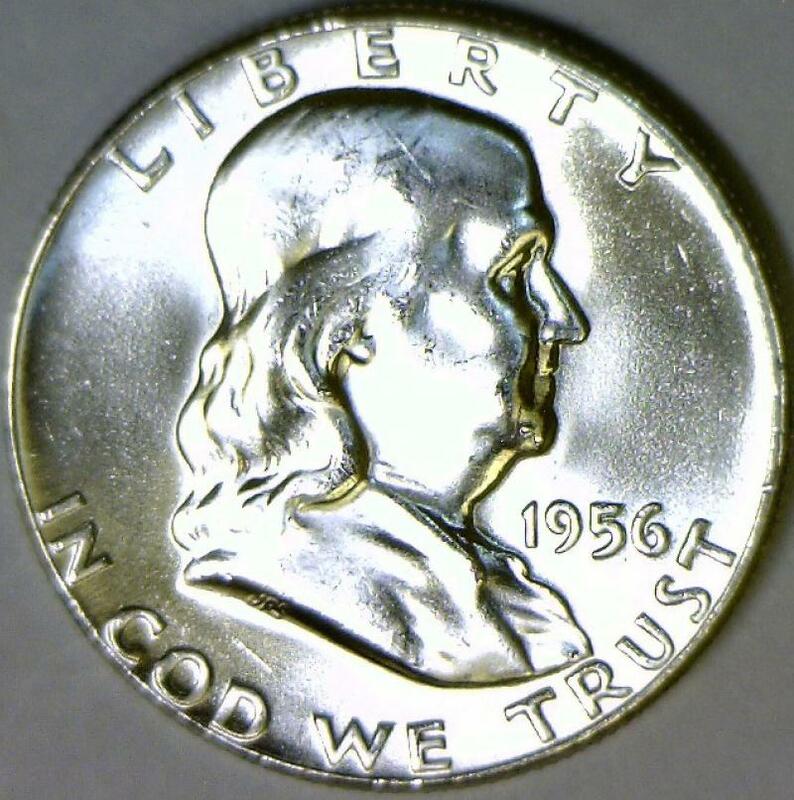 1956 Franklin Half Dollar; Choice BU++ FBL; Frosty White! 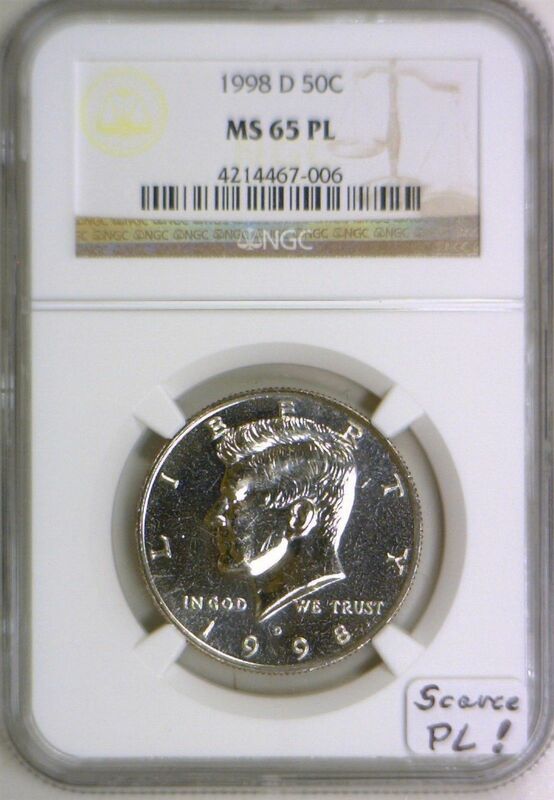 1959-D Franklin Half Dollar PCGS MS-65 FBL; Premium Quality White! 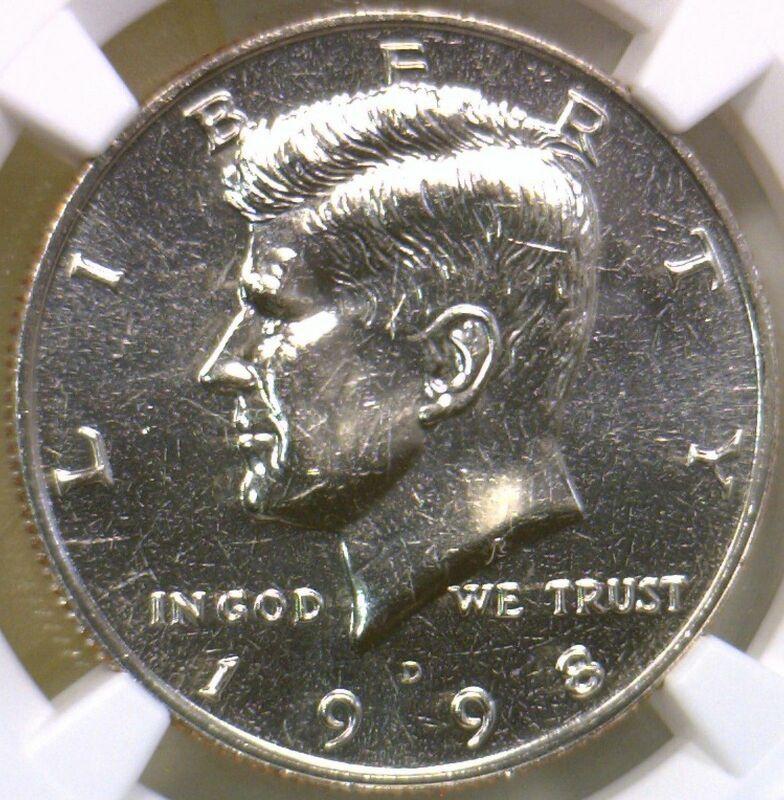 1998-D Kennedy Half Dollar NGC MS-65 PL; Scarce PL! 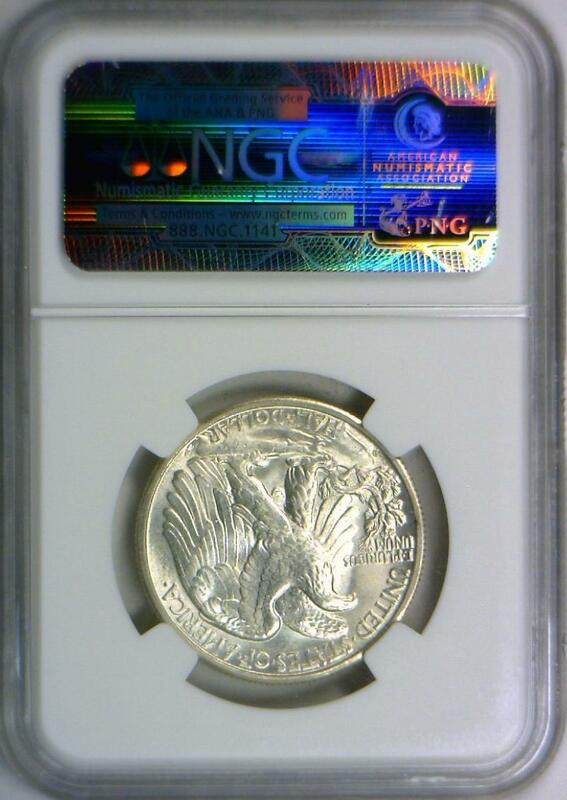 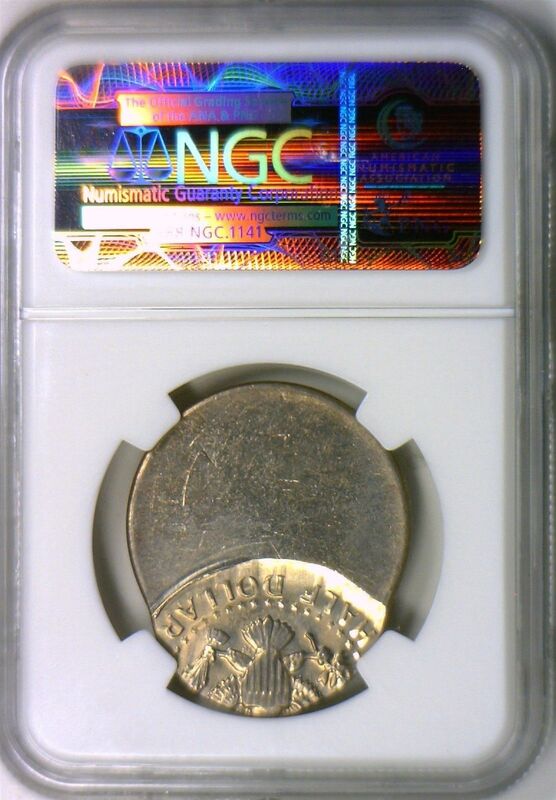 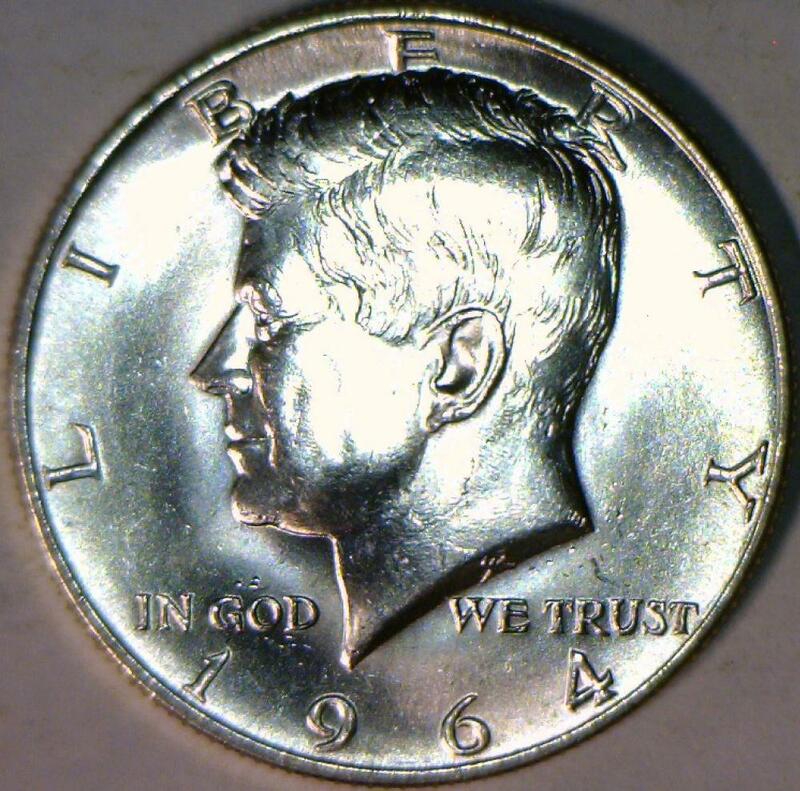 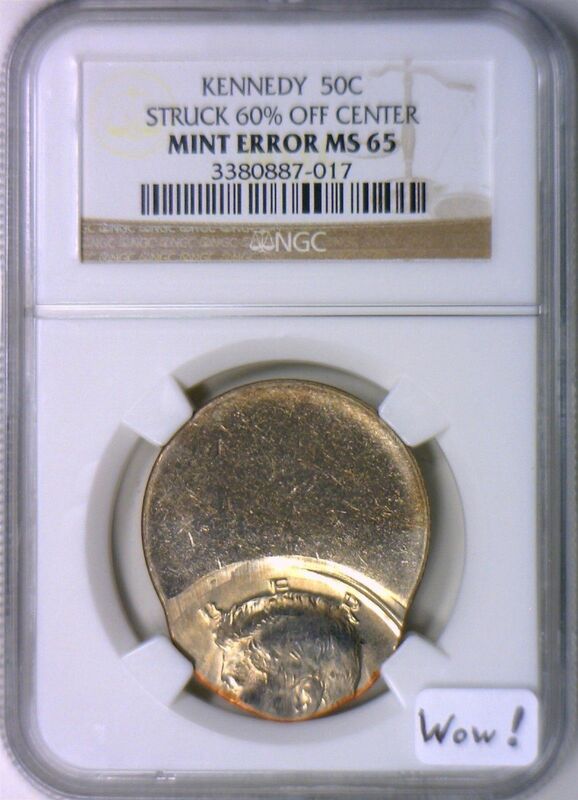 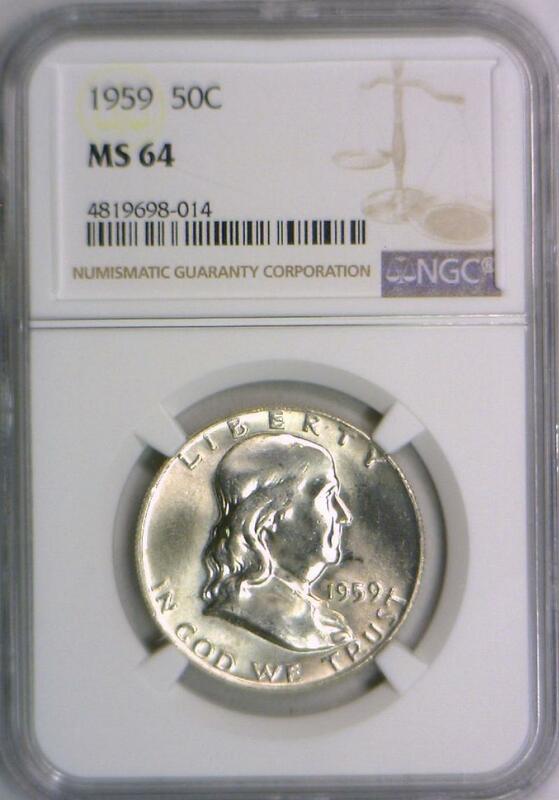 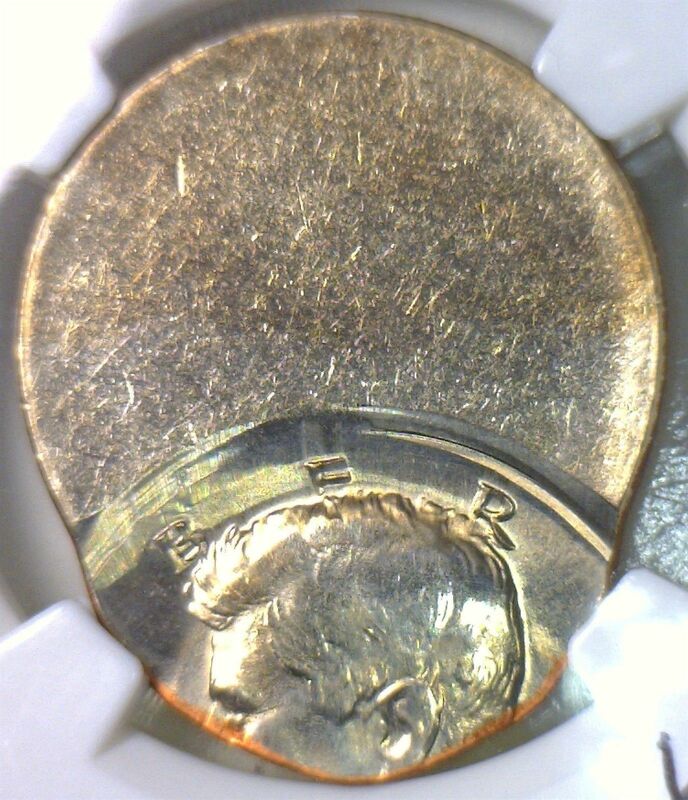 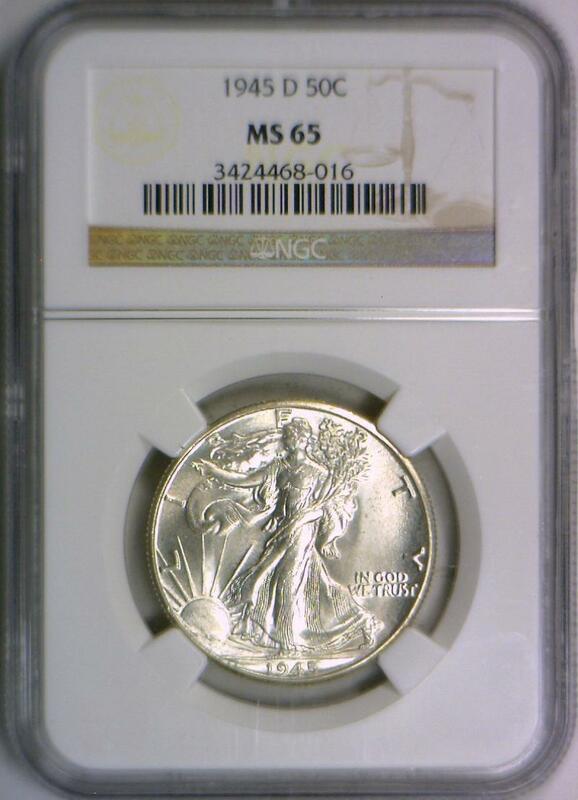 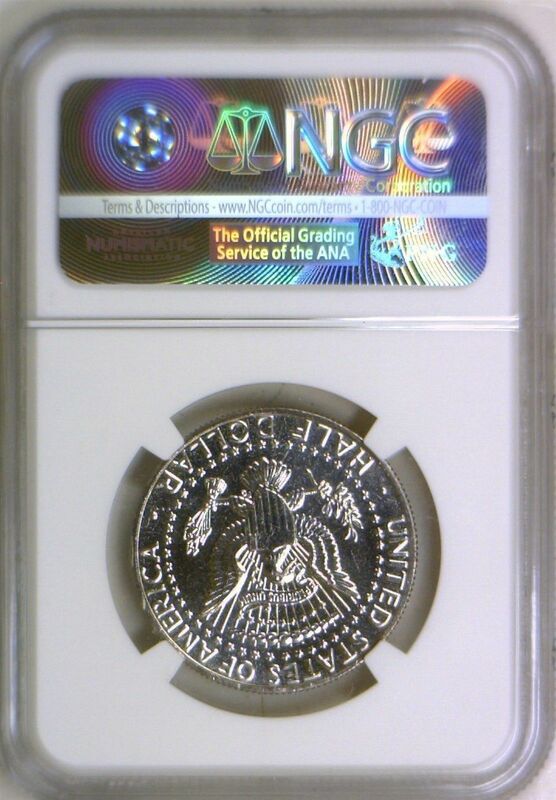 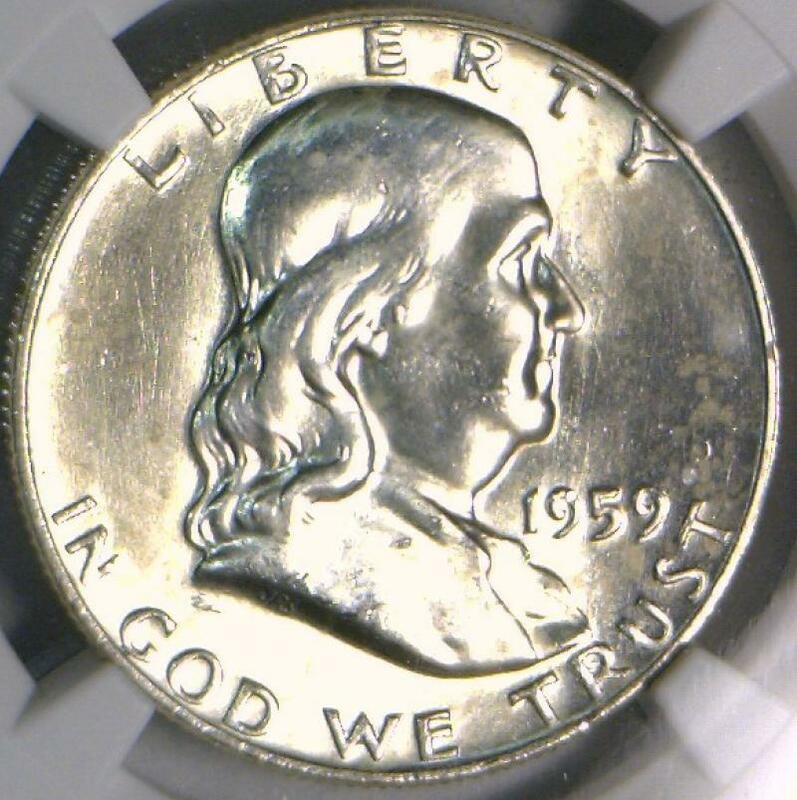 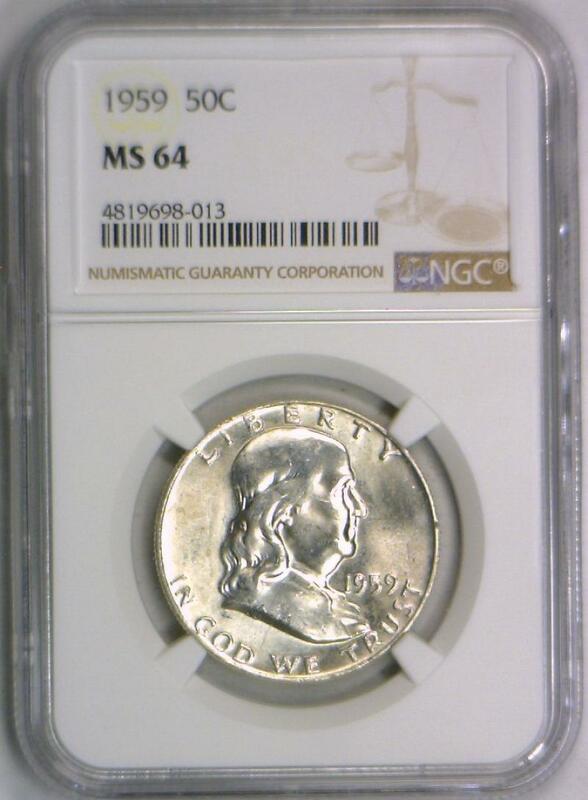 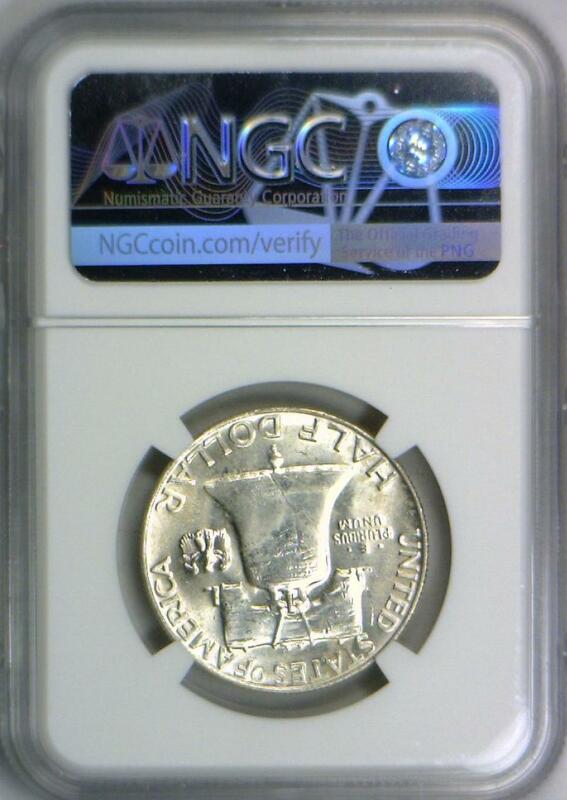 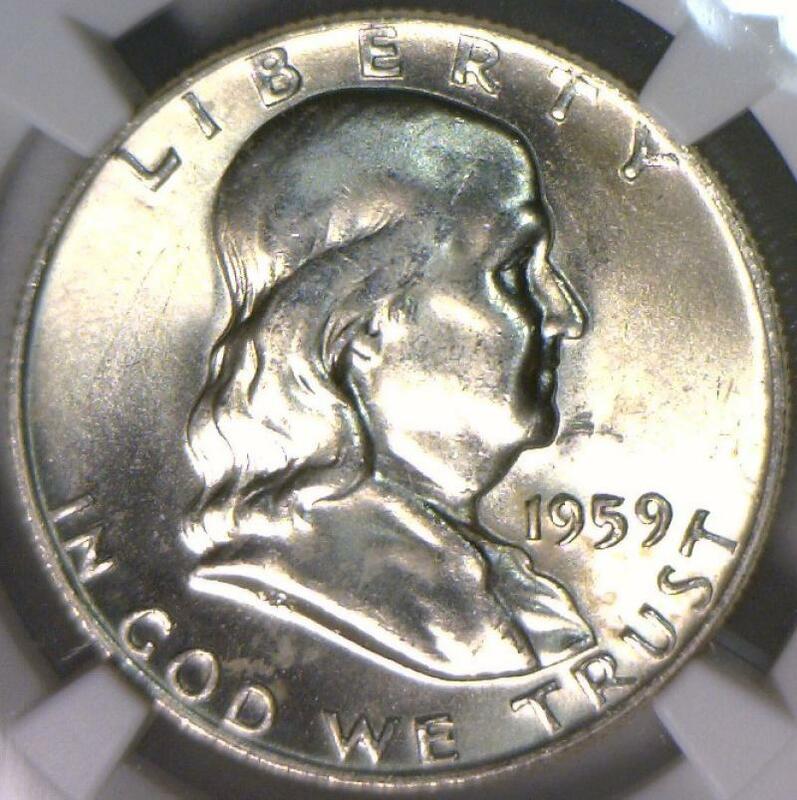 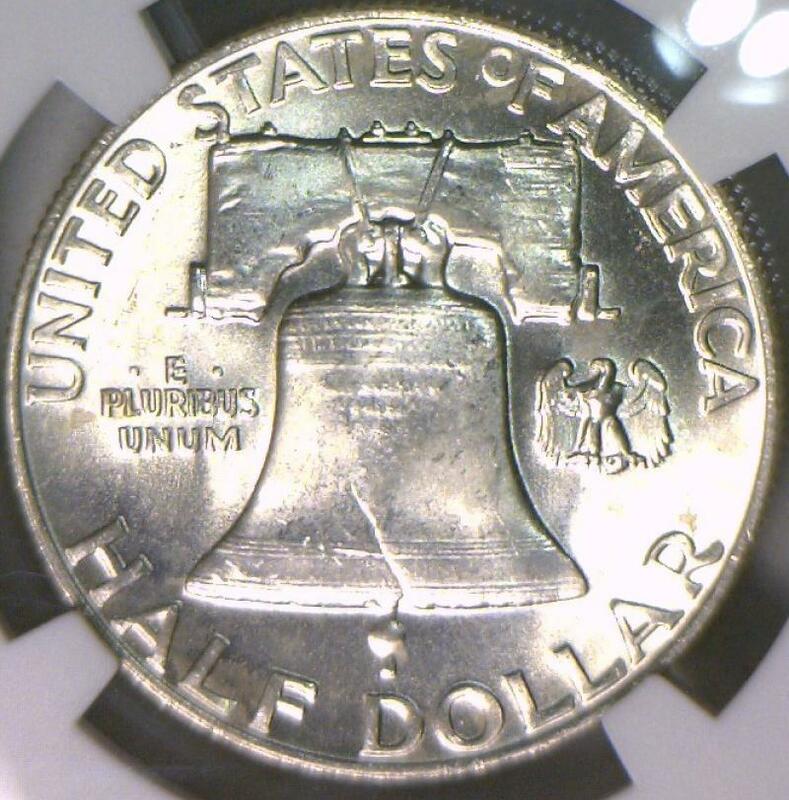 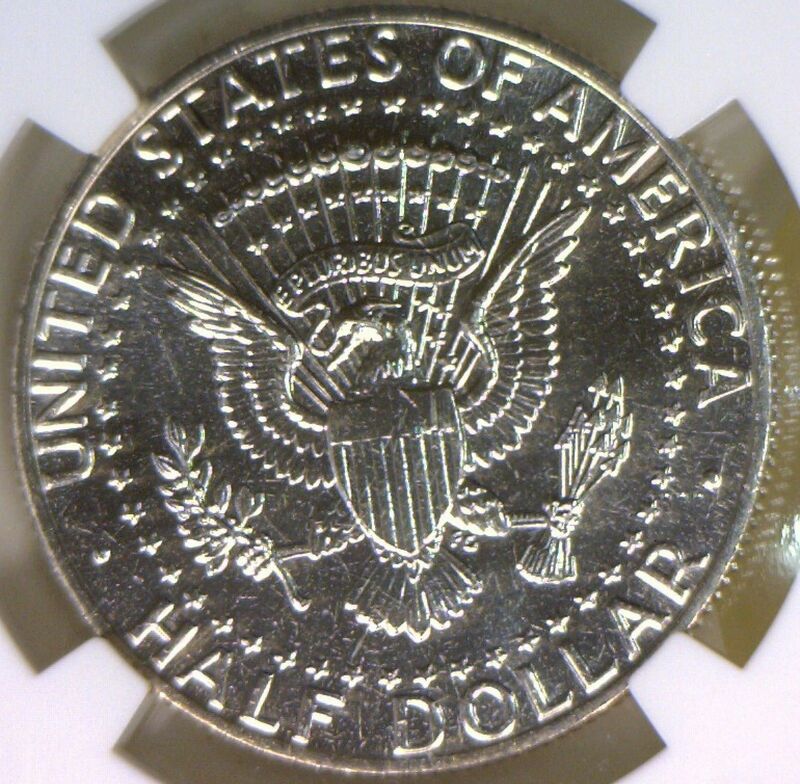 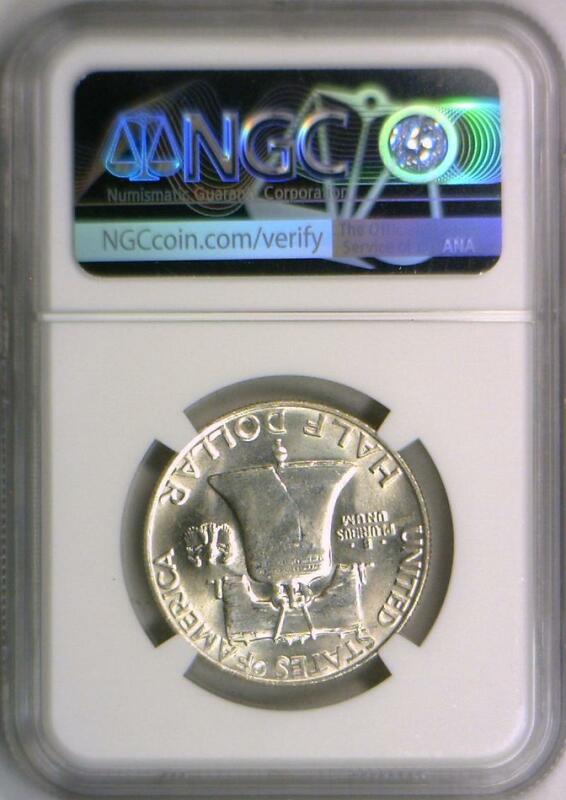 Kennedy Half Dollar Struck 60% Off-Center Mint Error NGC MS-65; Wow! 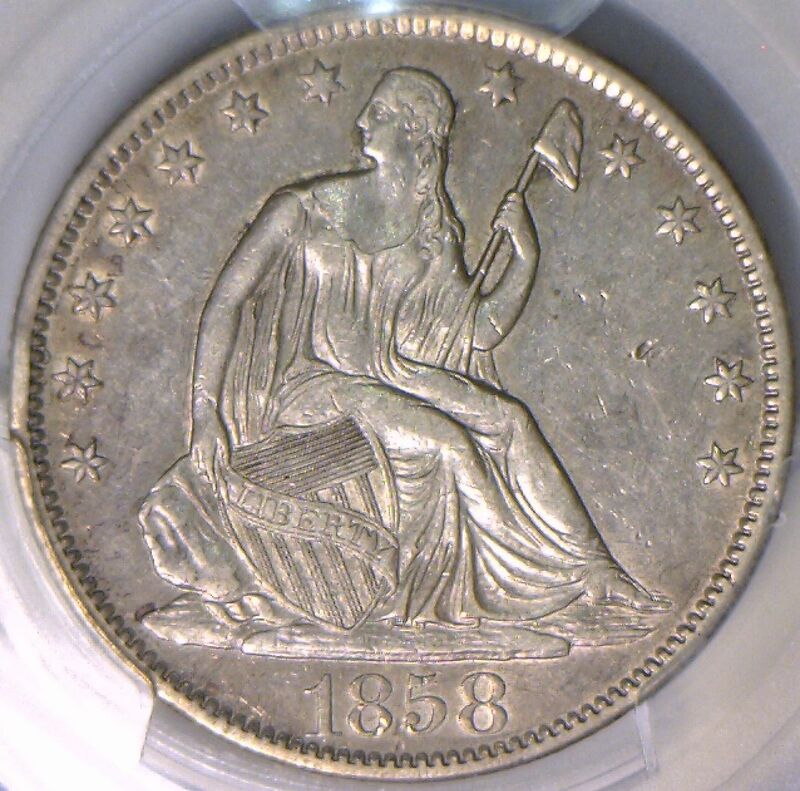 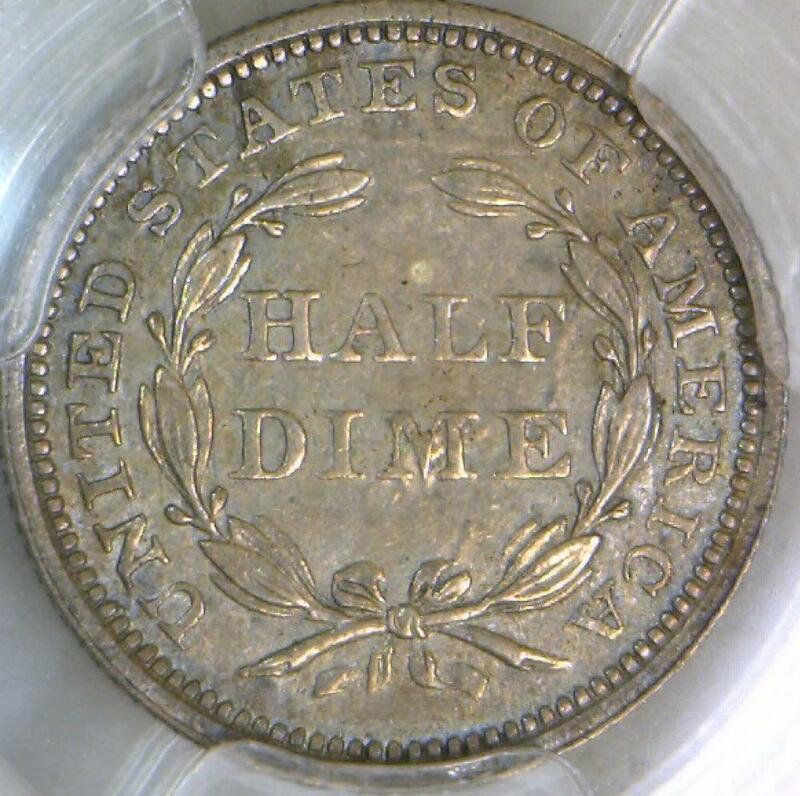 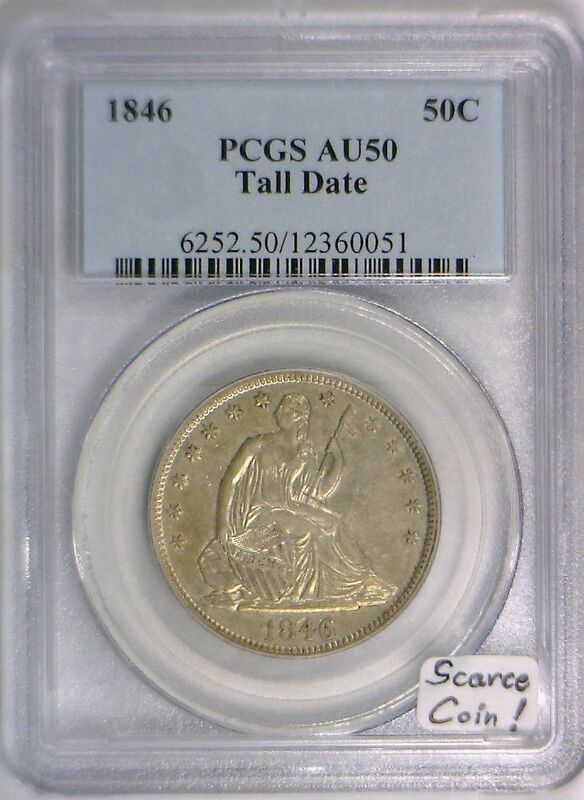 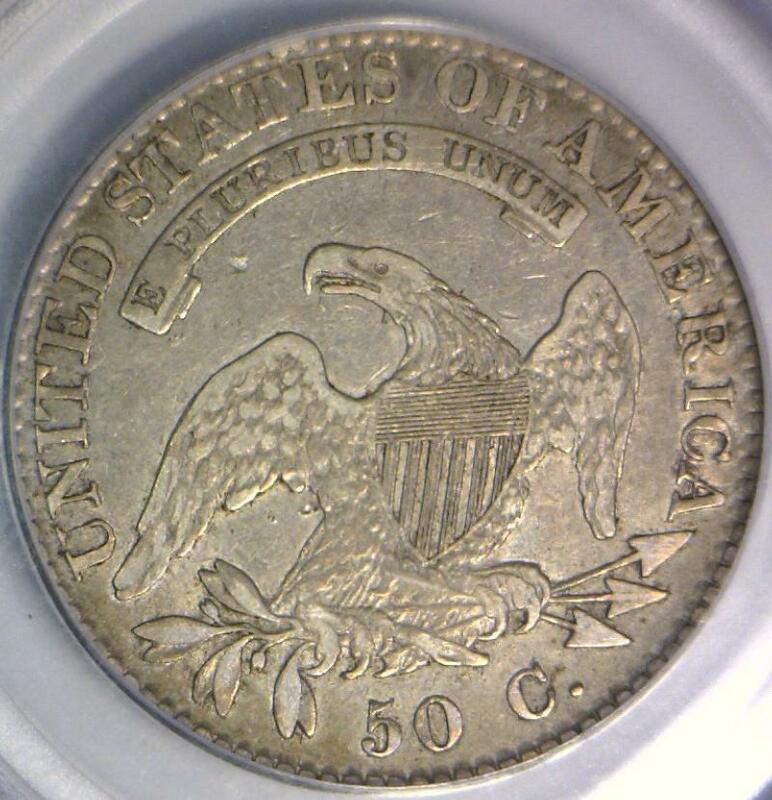 1846 Tall Date Seated Liberty Half Dollar PCGS AU-50 Scarce Coin! 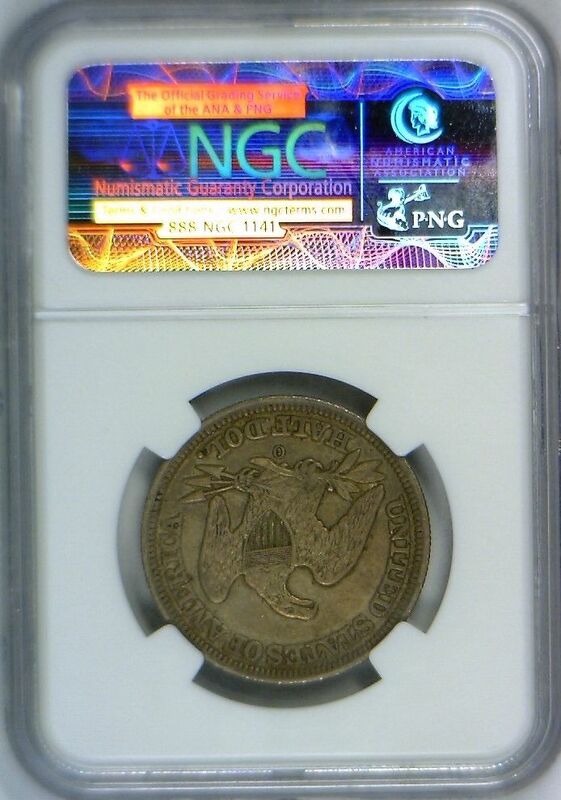 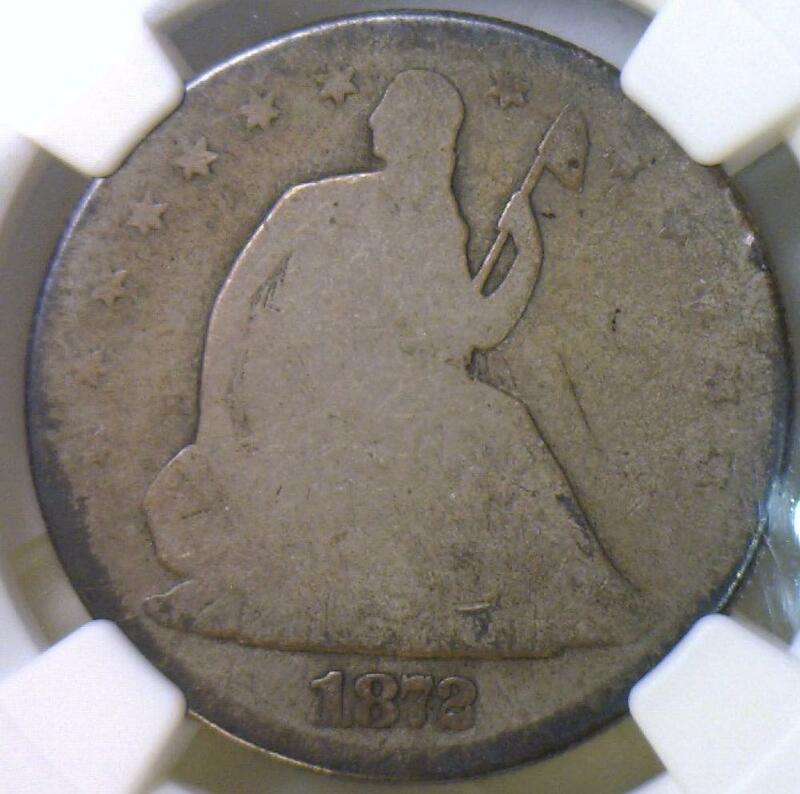 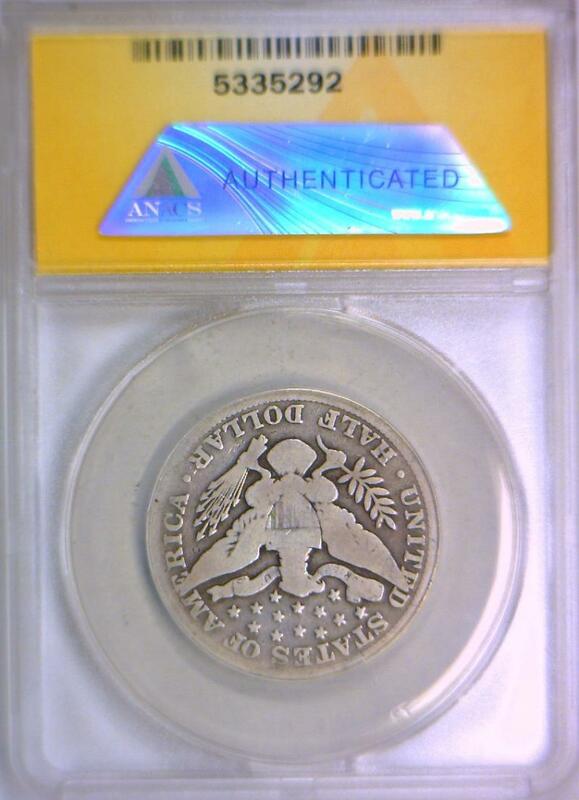 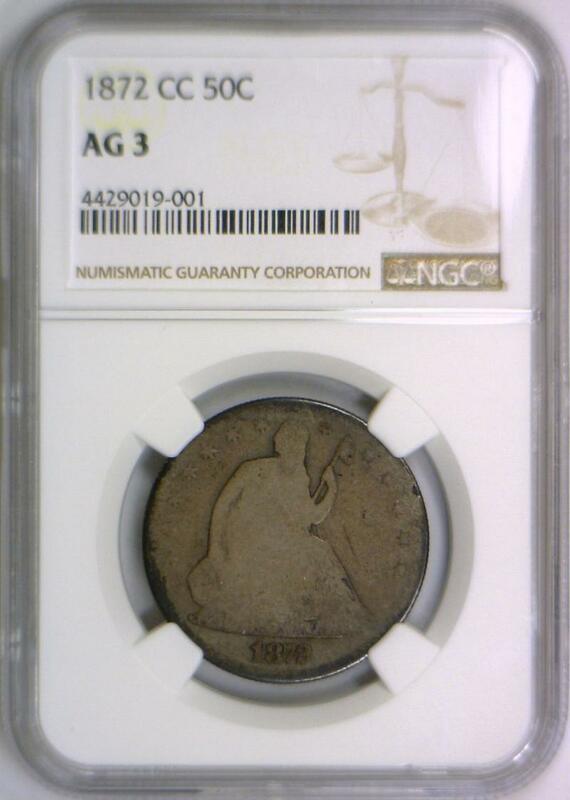 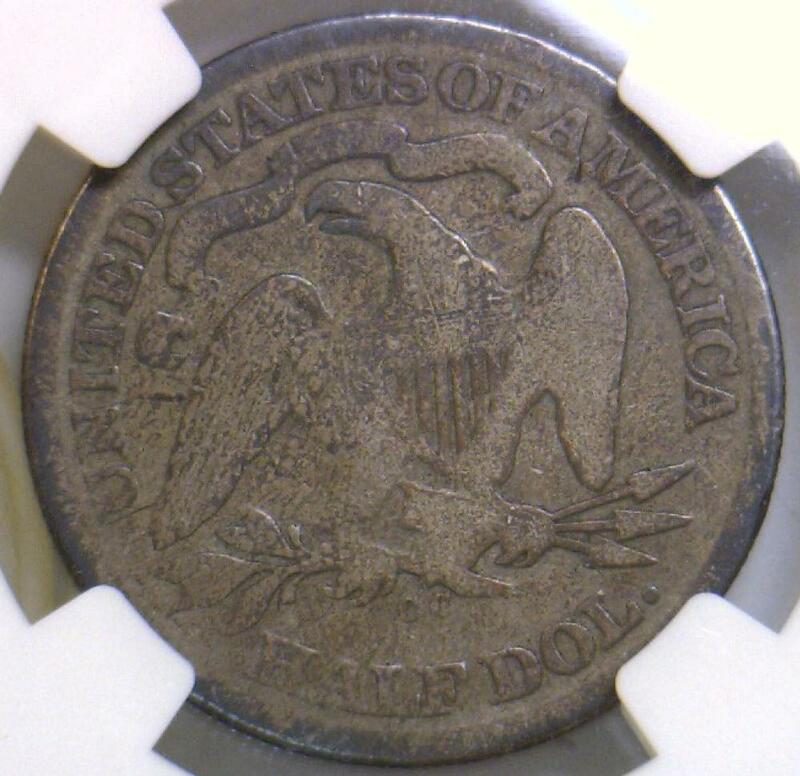 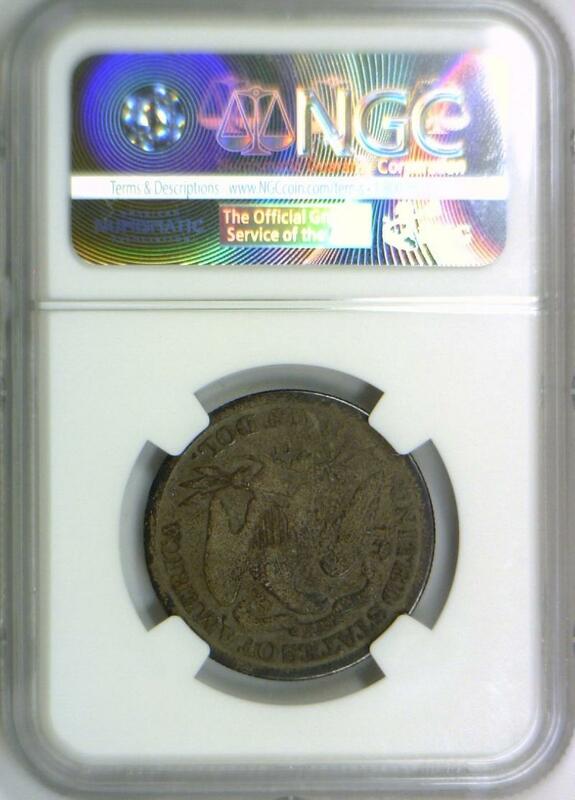 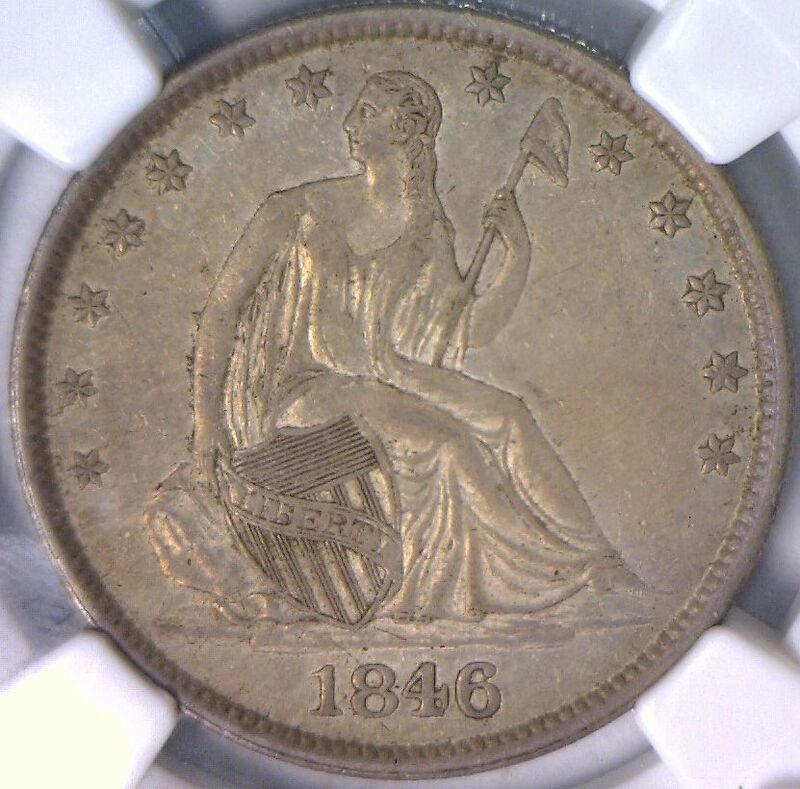 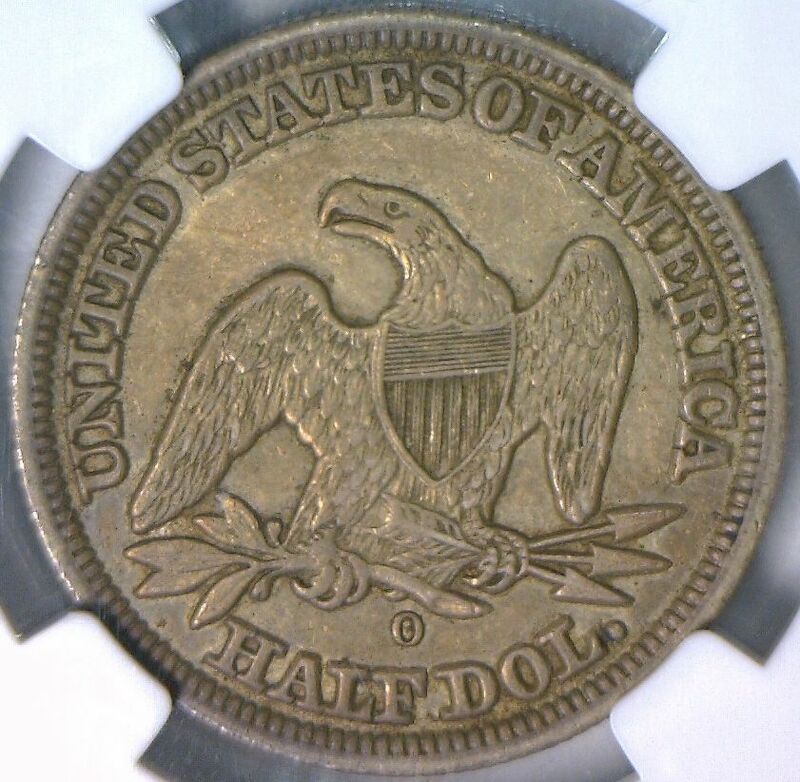 1846-O Med Date Seated Liberty Half Dollar NGC AU-55 Original Color! 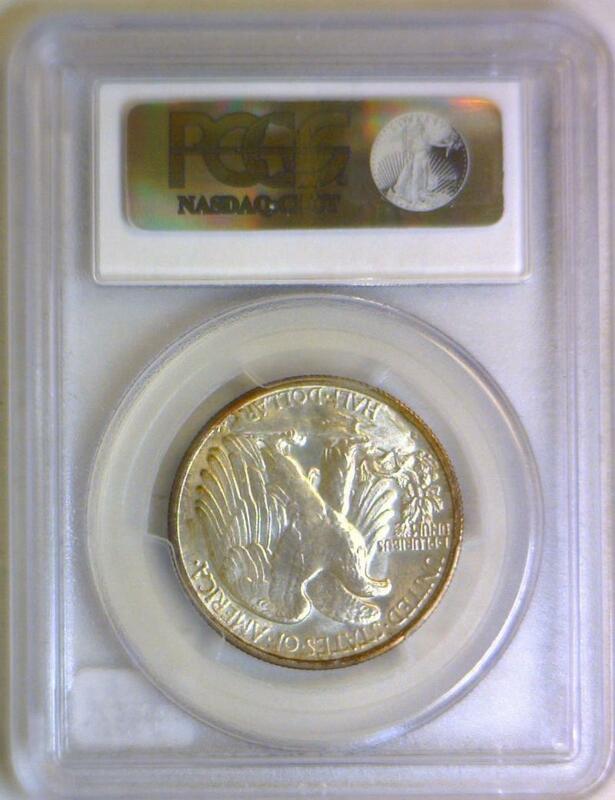 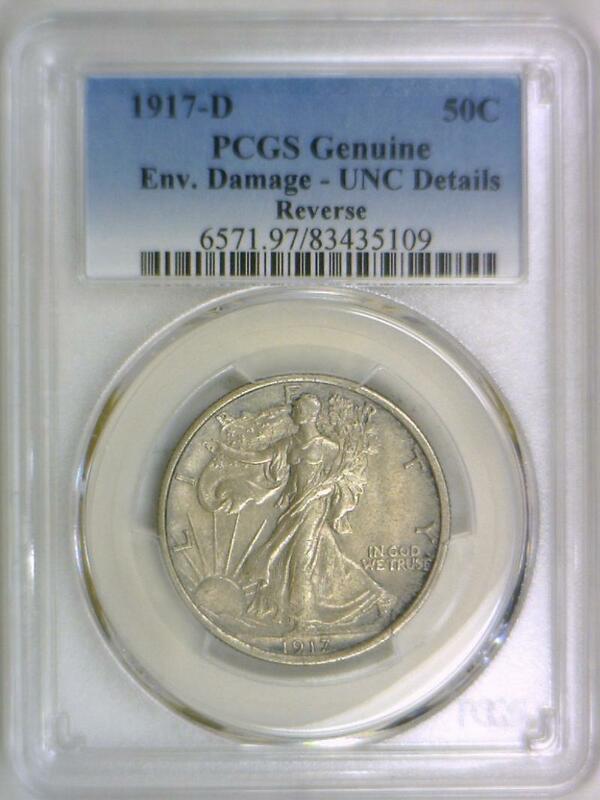 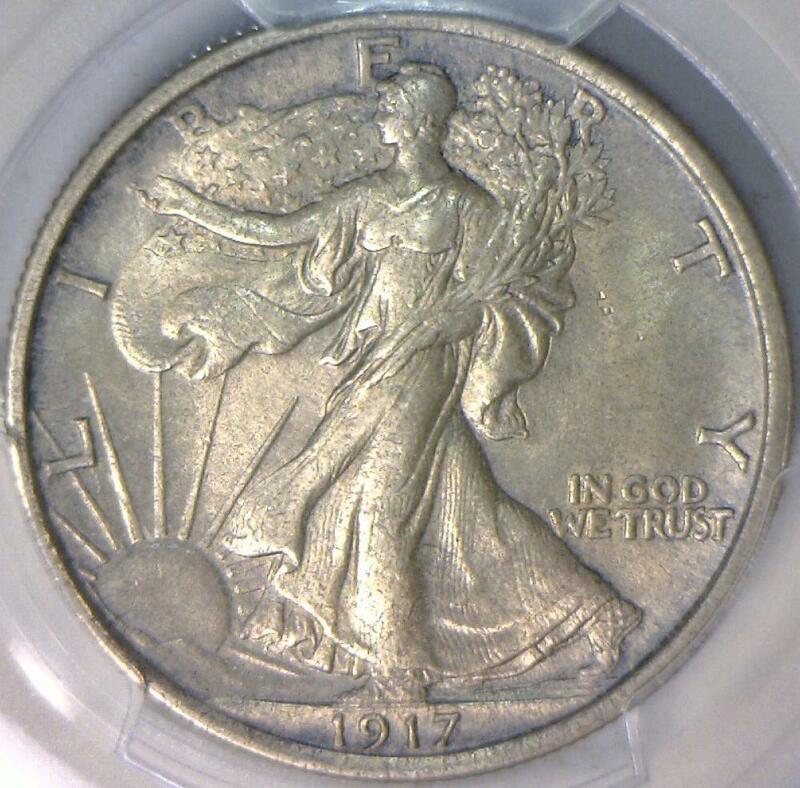 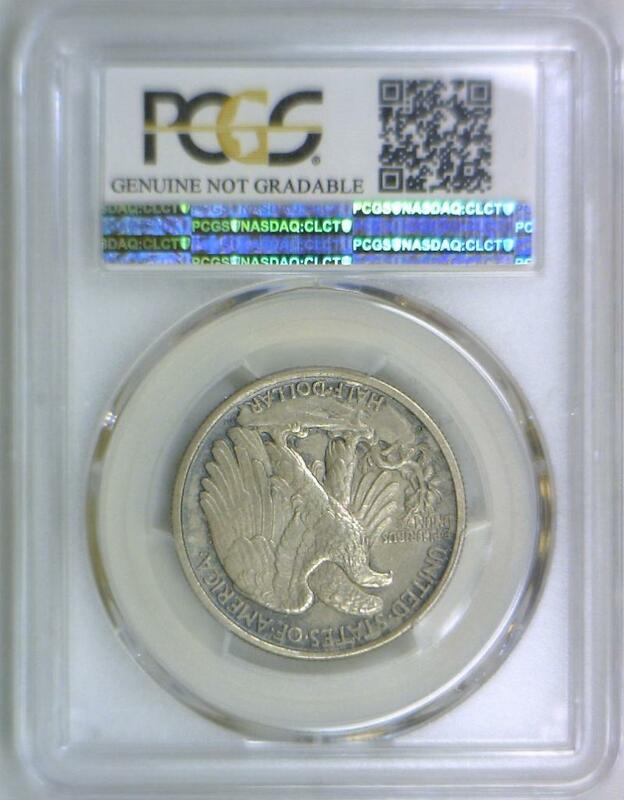 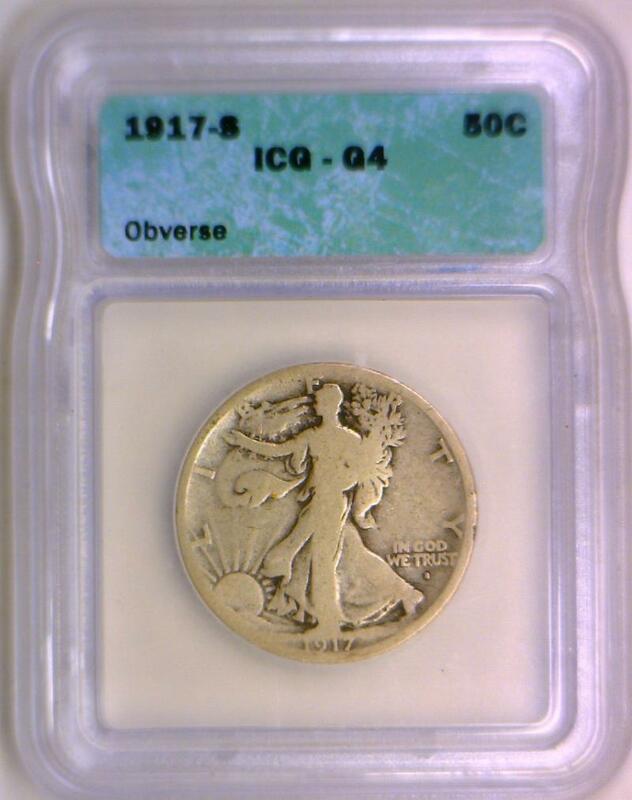 1921 Walking Liberty Half Dollar PCGS-G-4; Nice Original! 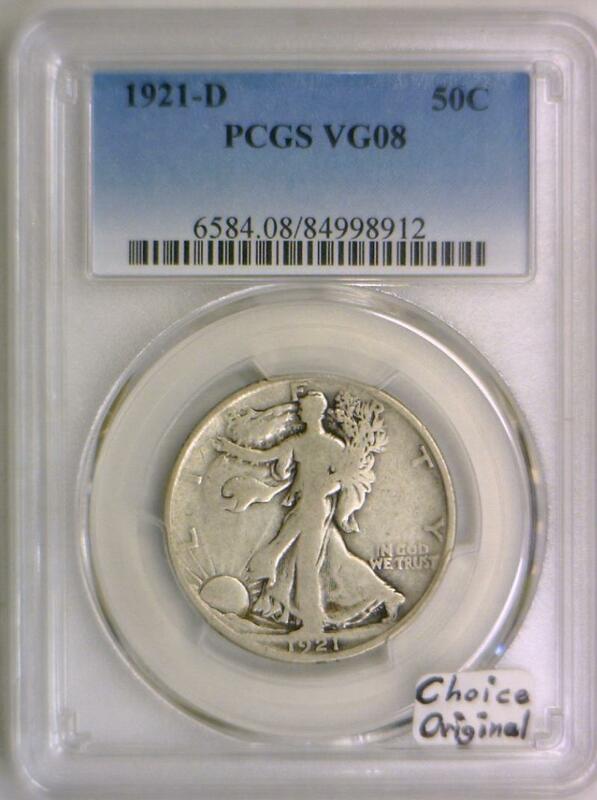 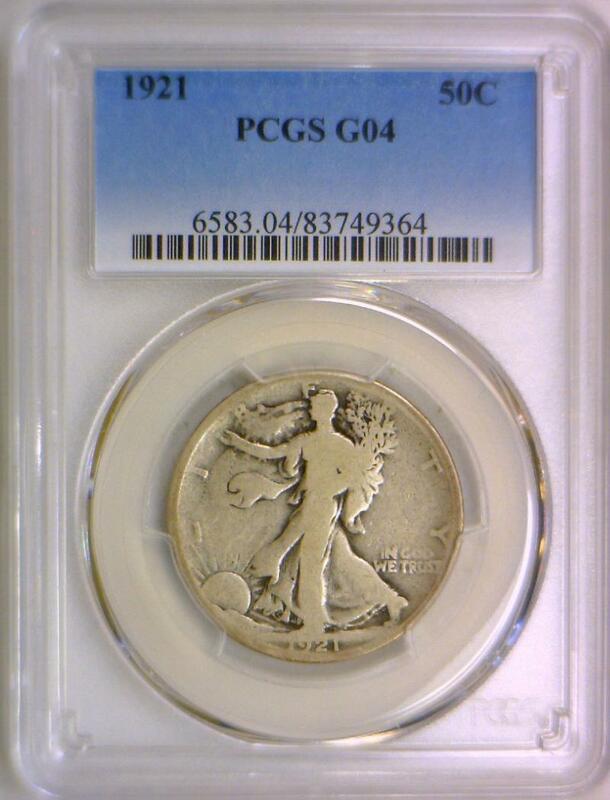 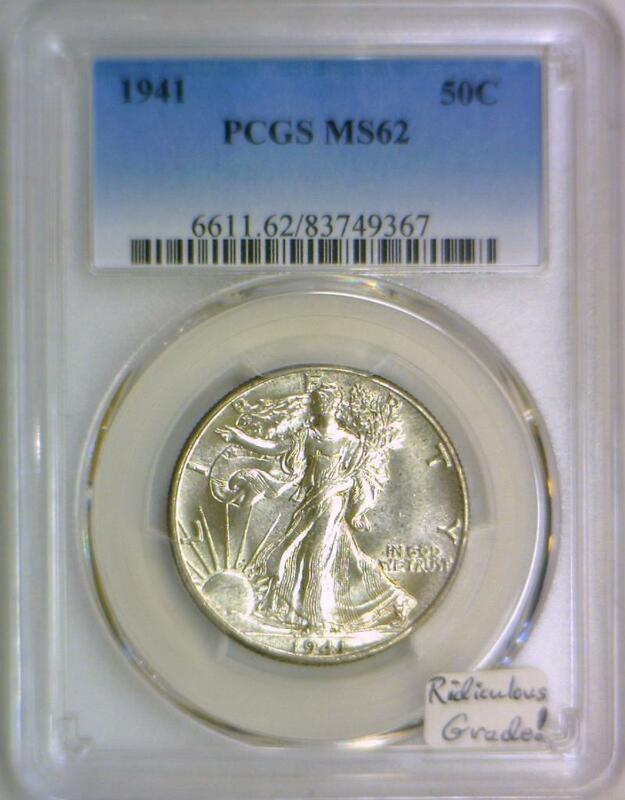 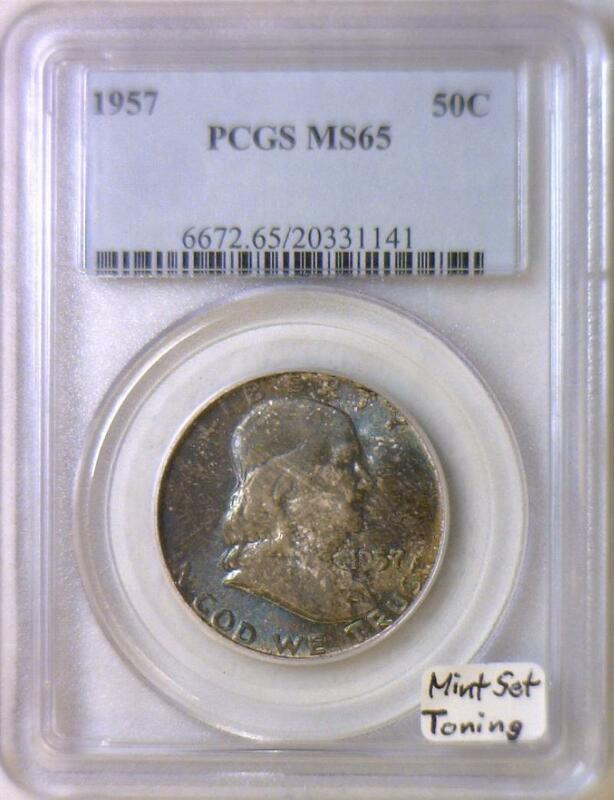 1941 Walking Liberty Half Dollar PCGS MS-62; Ridiculous Grade! 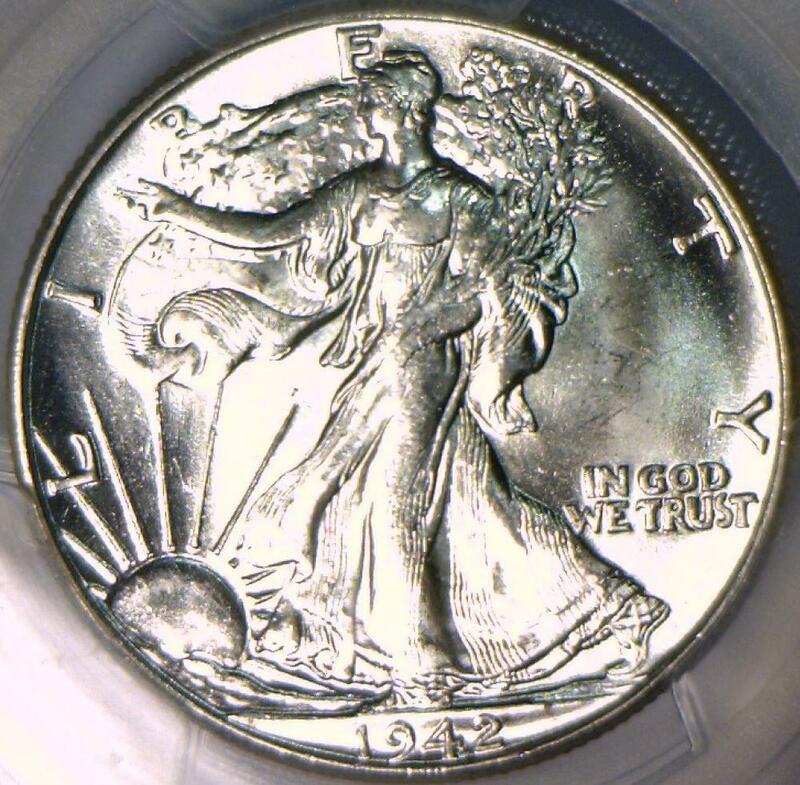 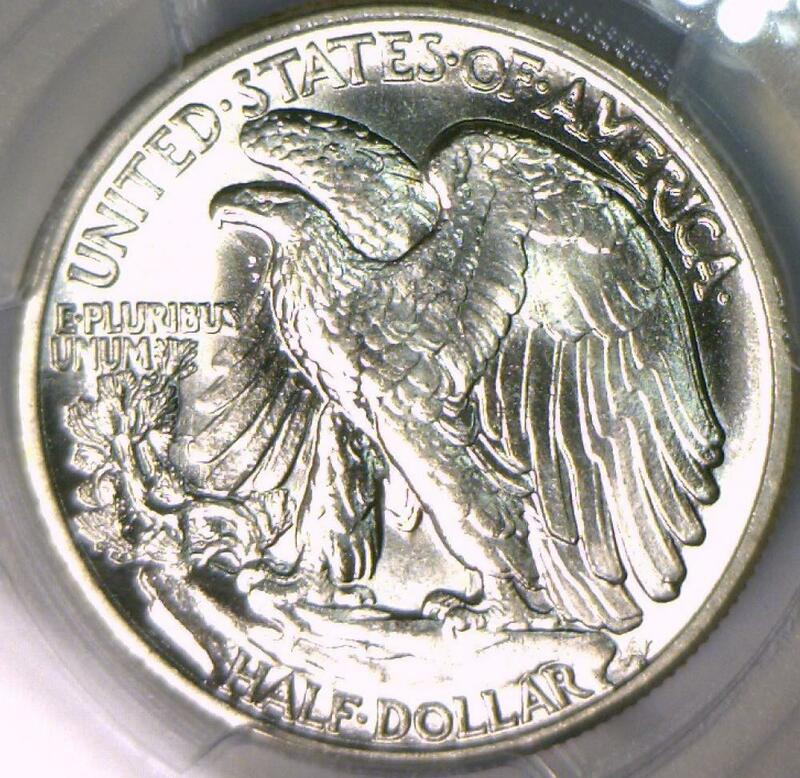 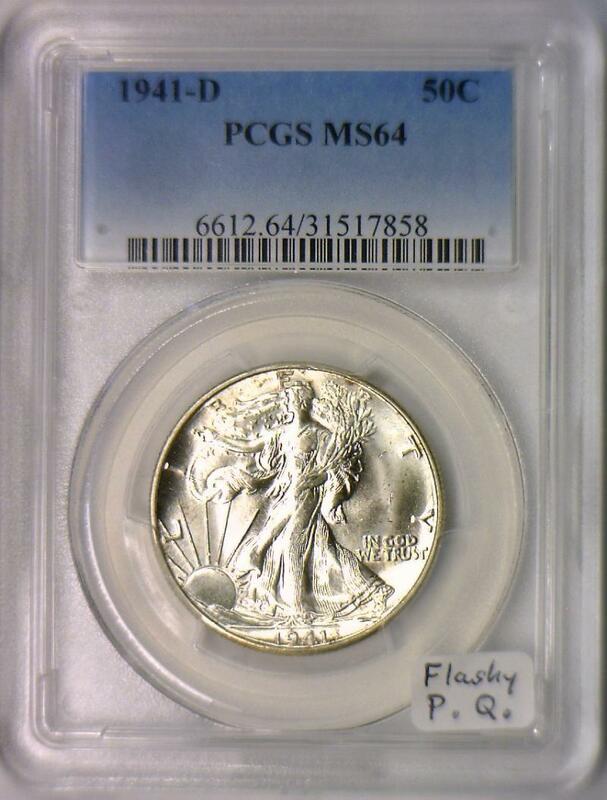 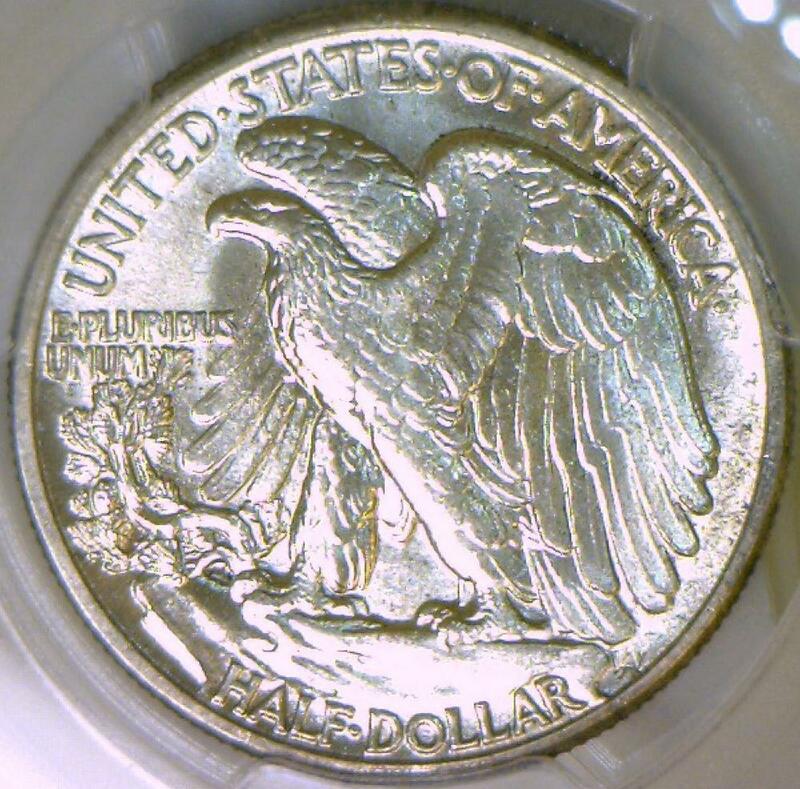 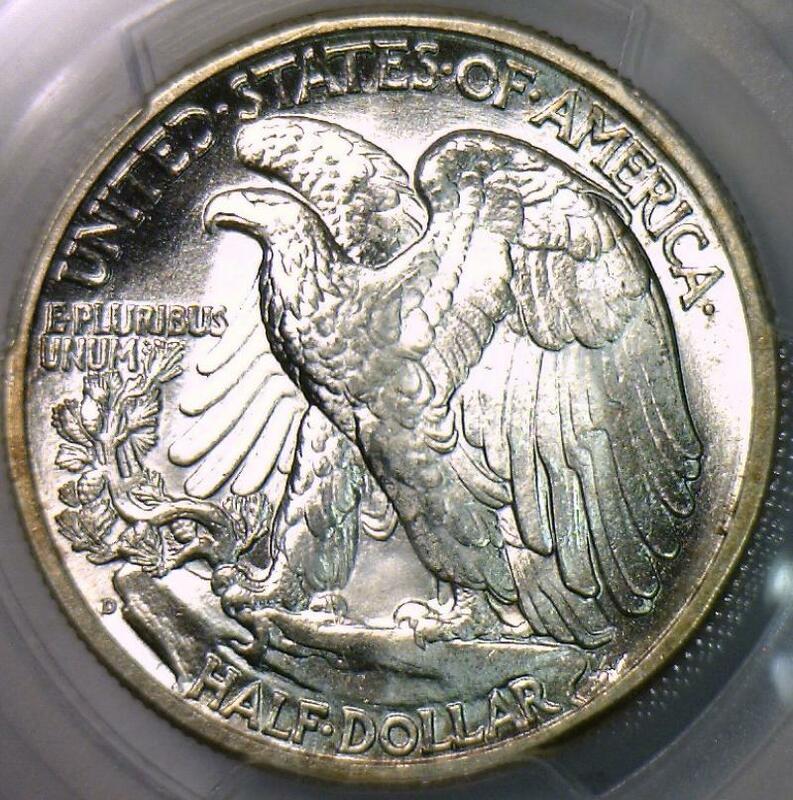 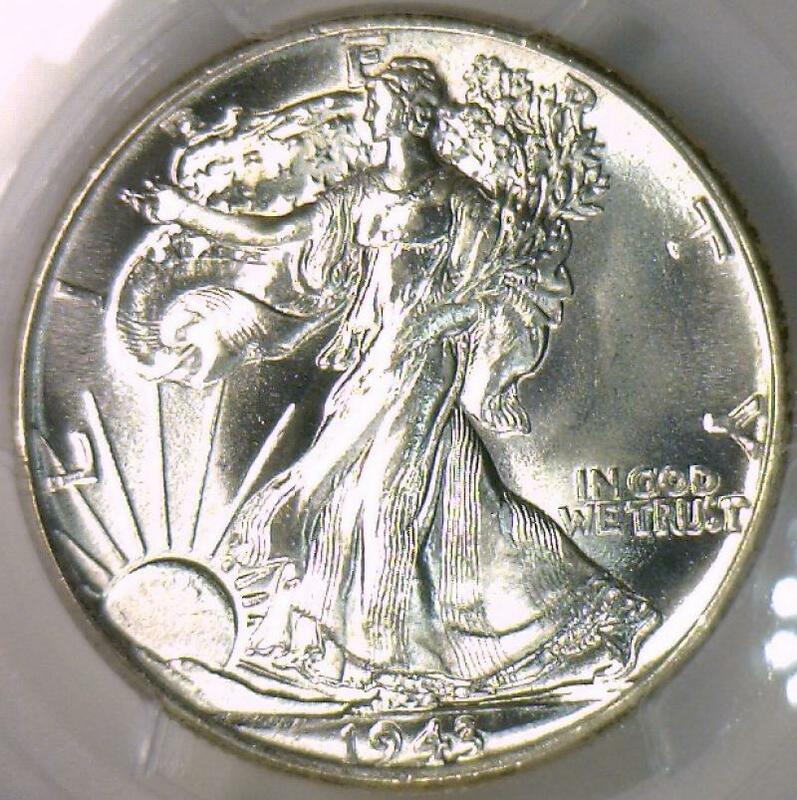 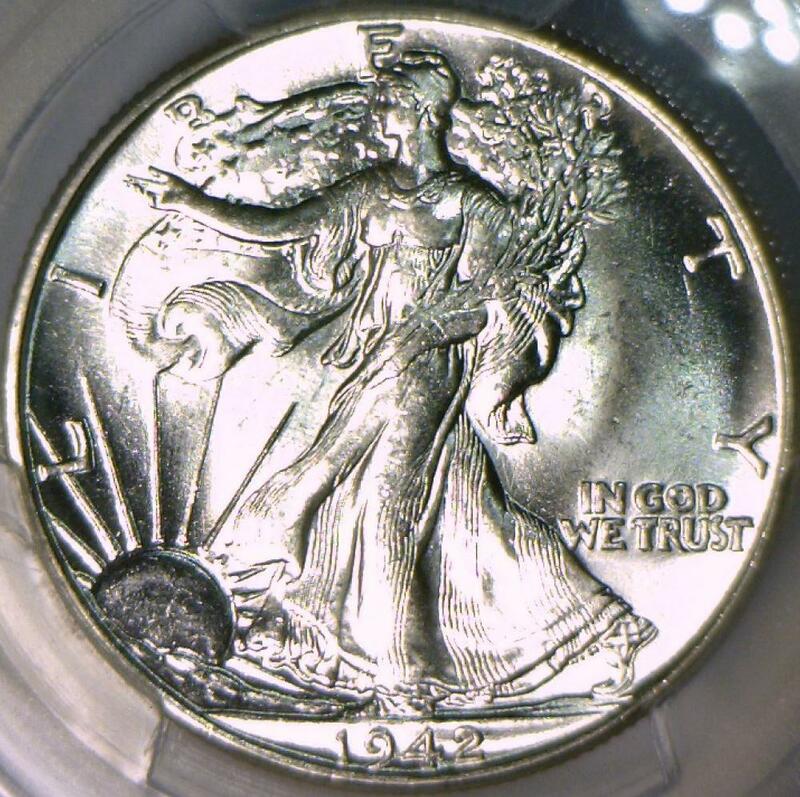 1941-D Walking Liberty Half Dollar PCGS MS-64; Flashy P.Q. 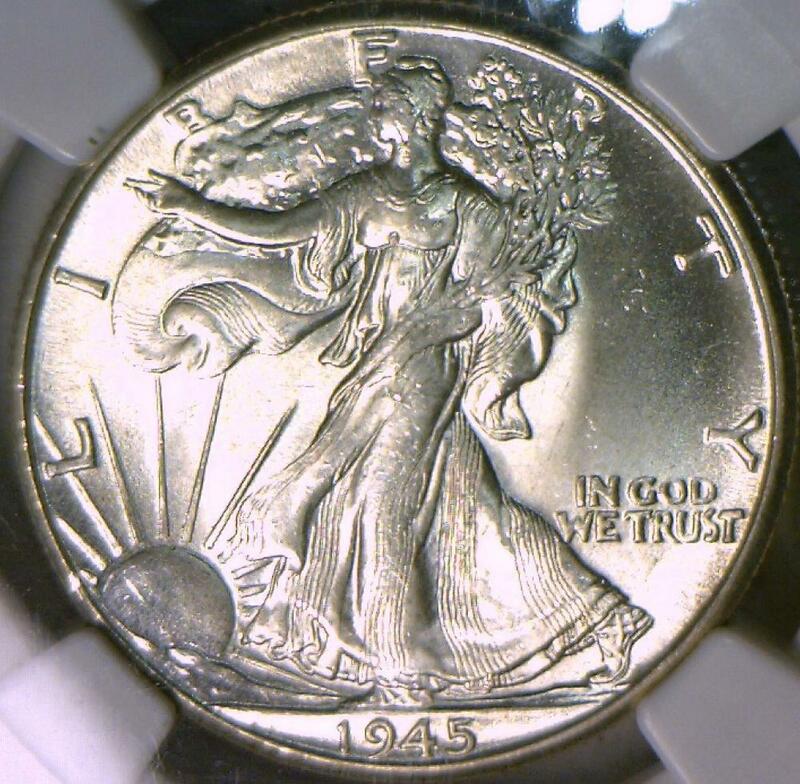 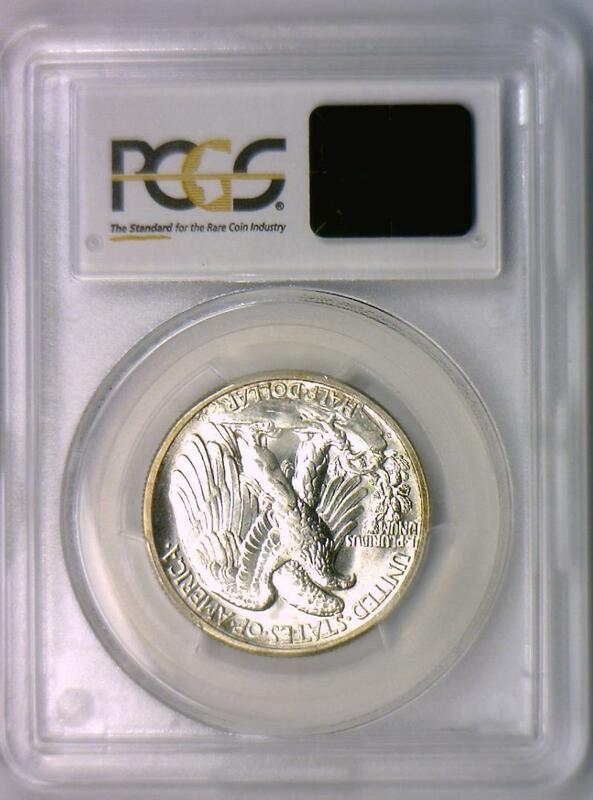 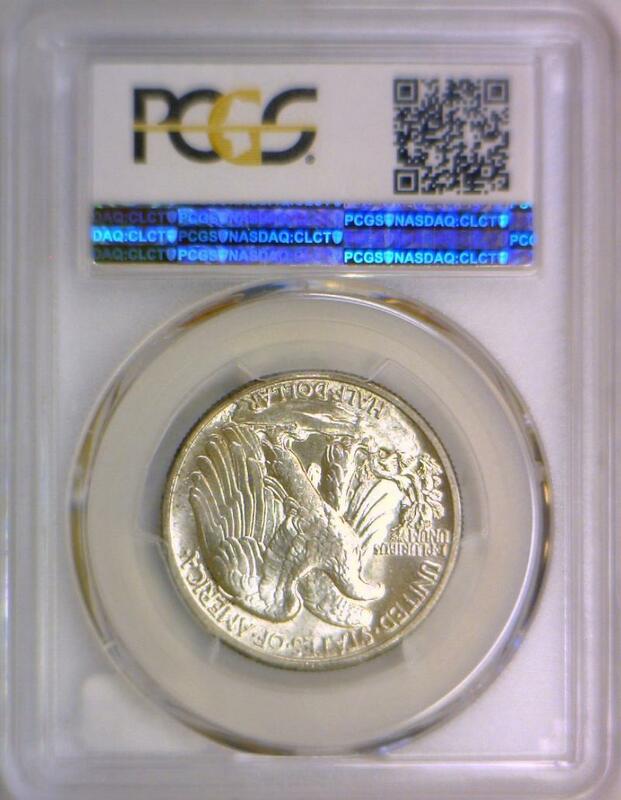 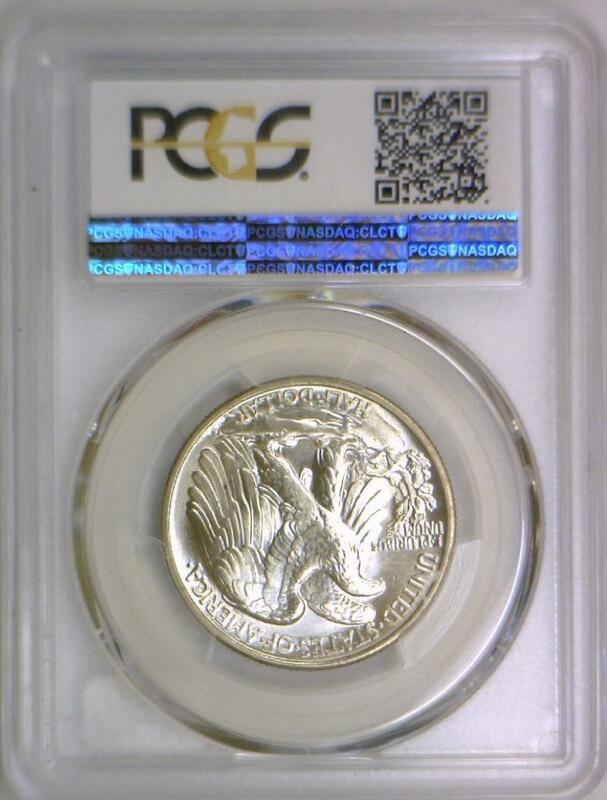 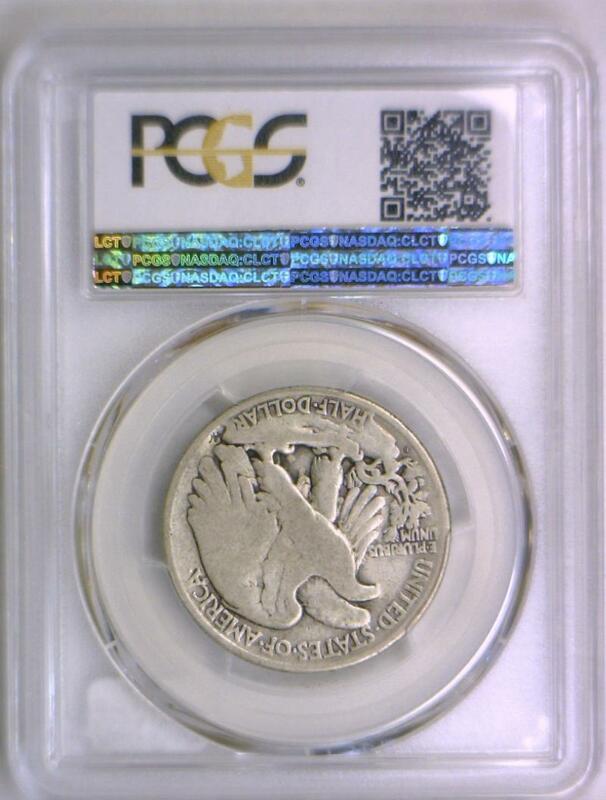 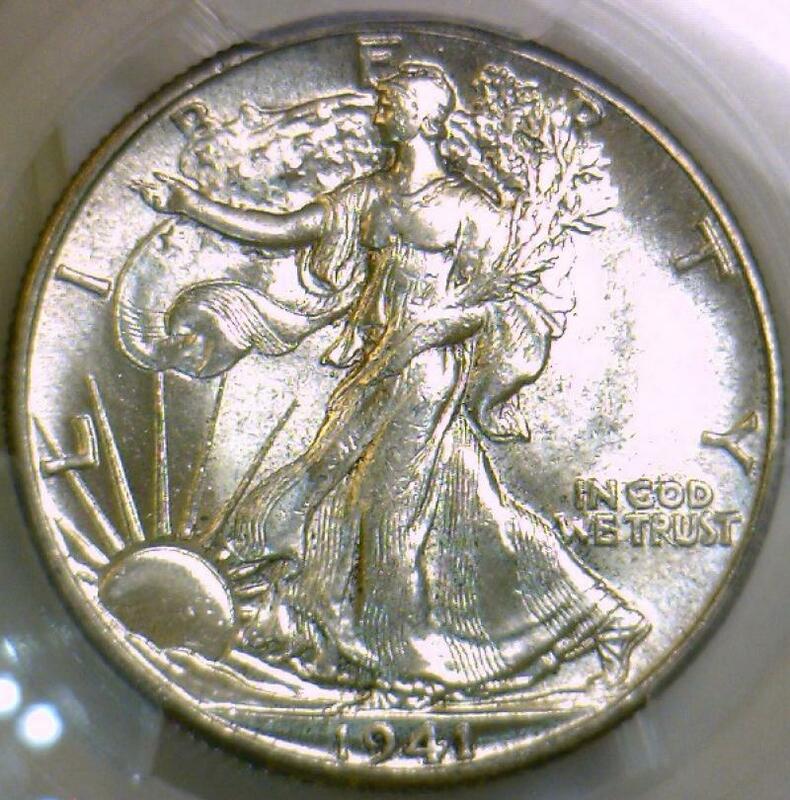 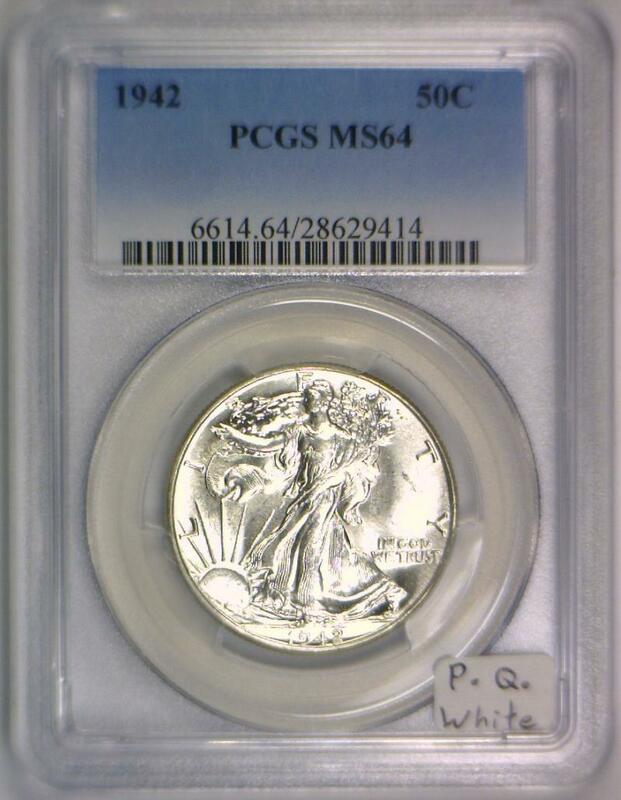 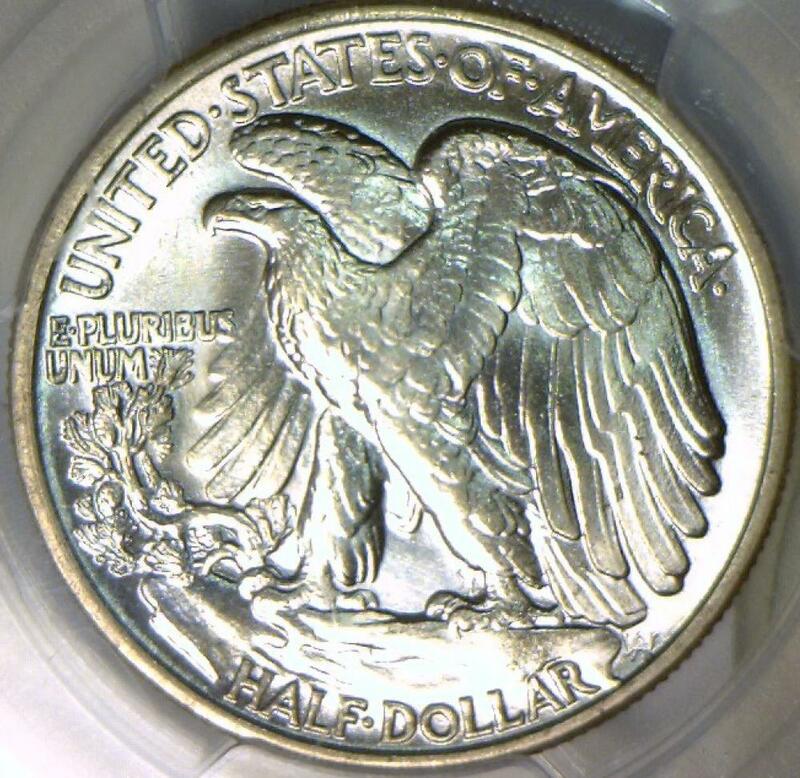 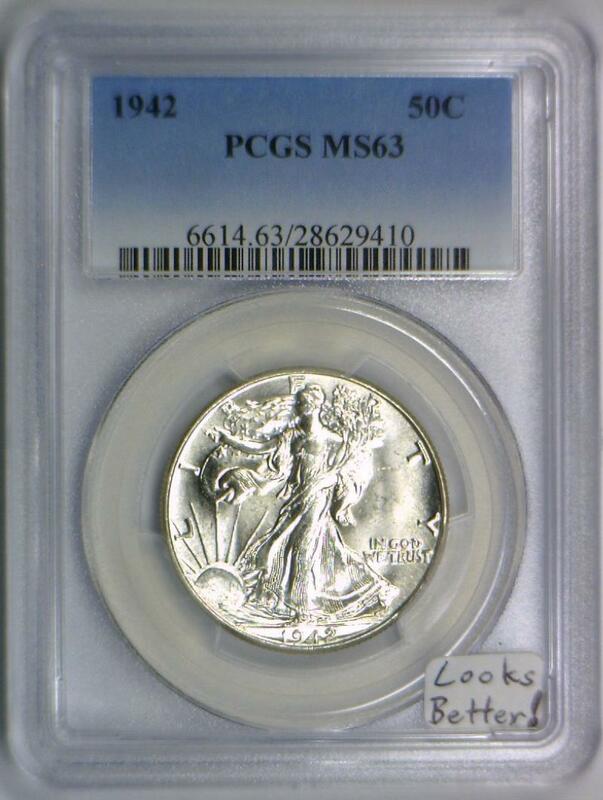 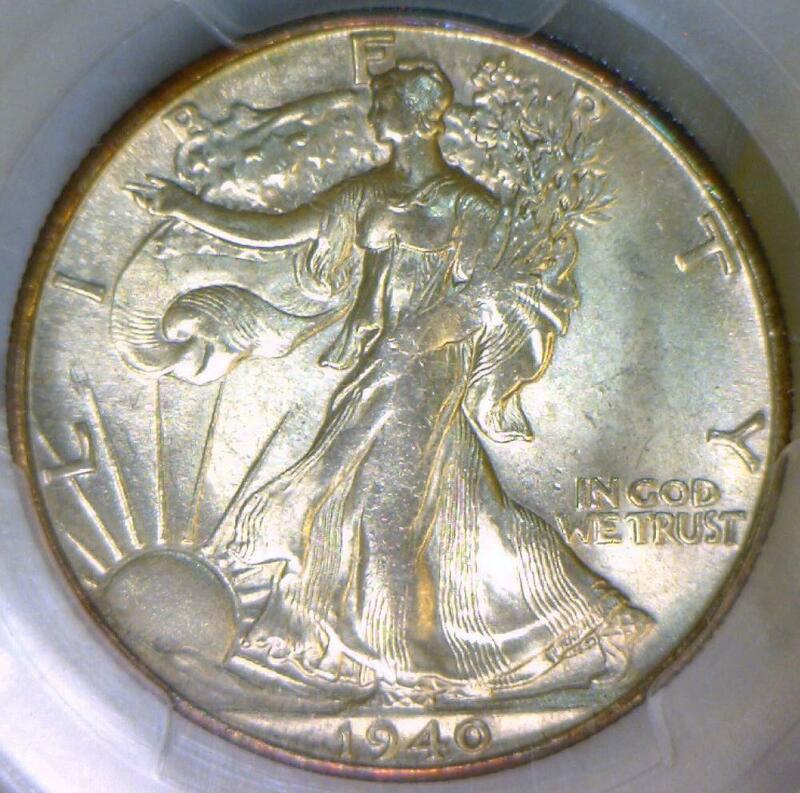 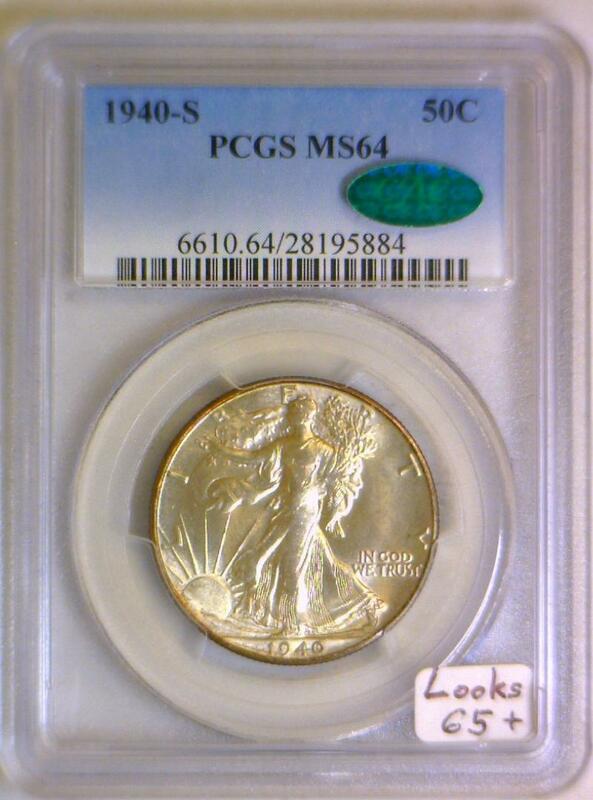 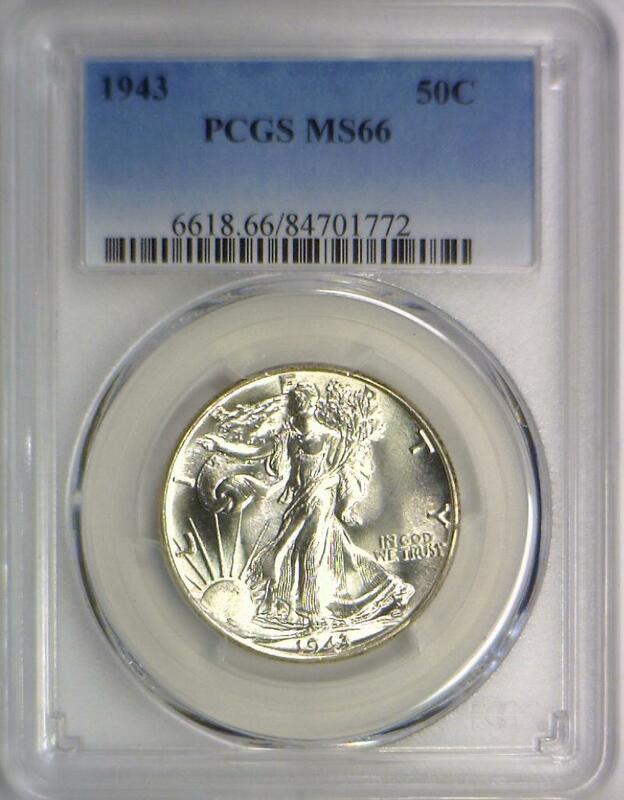 1942 Walking Liberty Half Dollar PCGS MS-63; Looks Better! 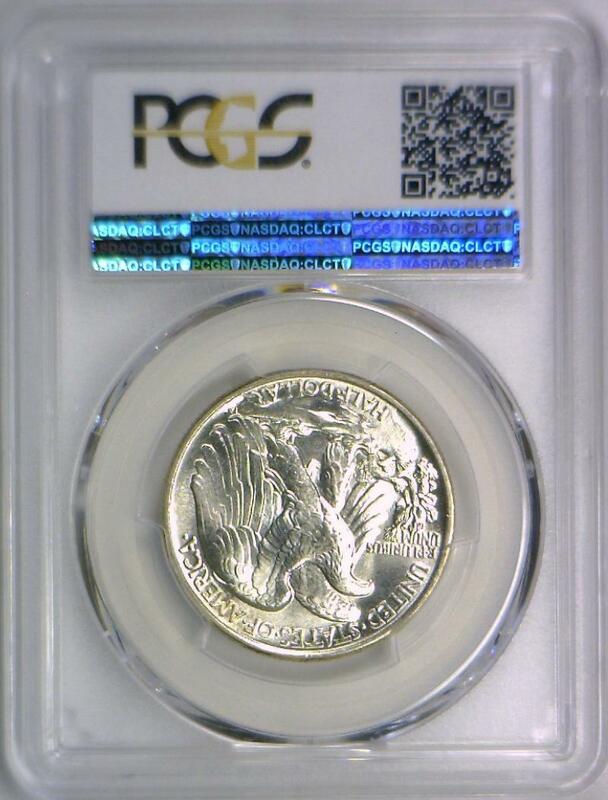 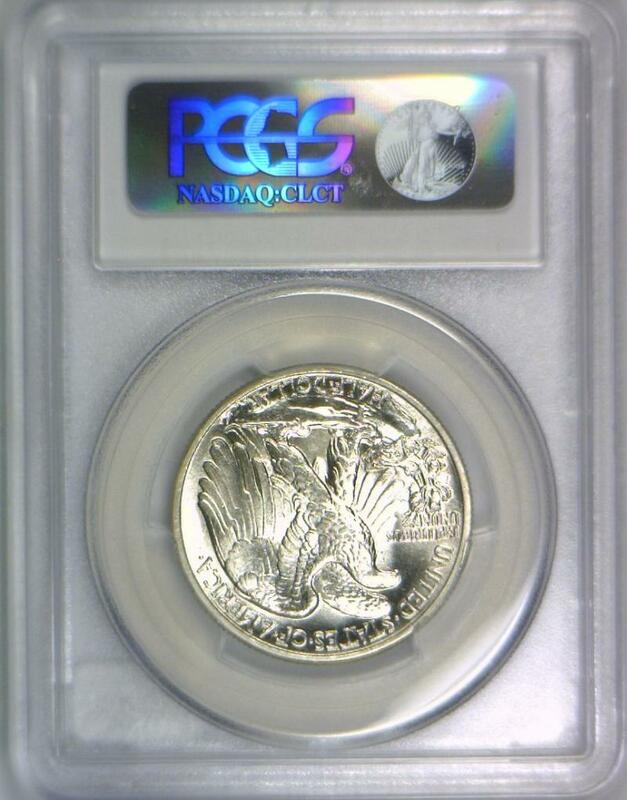 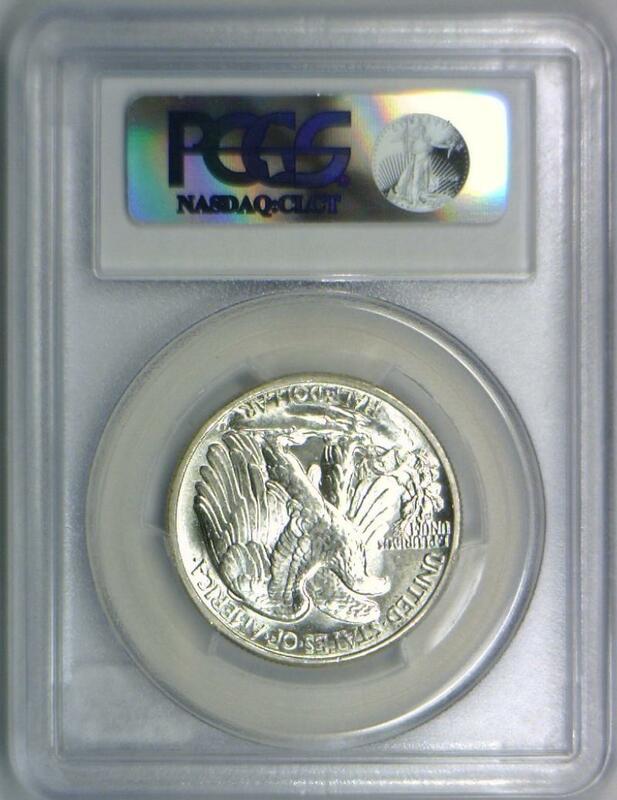 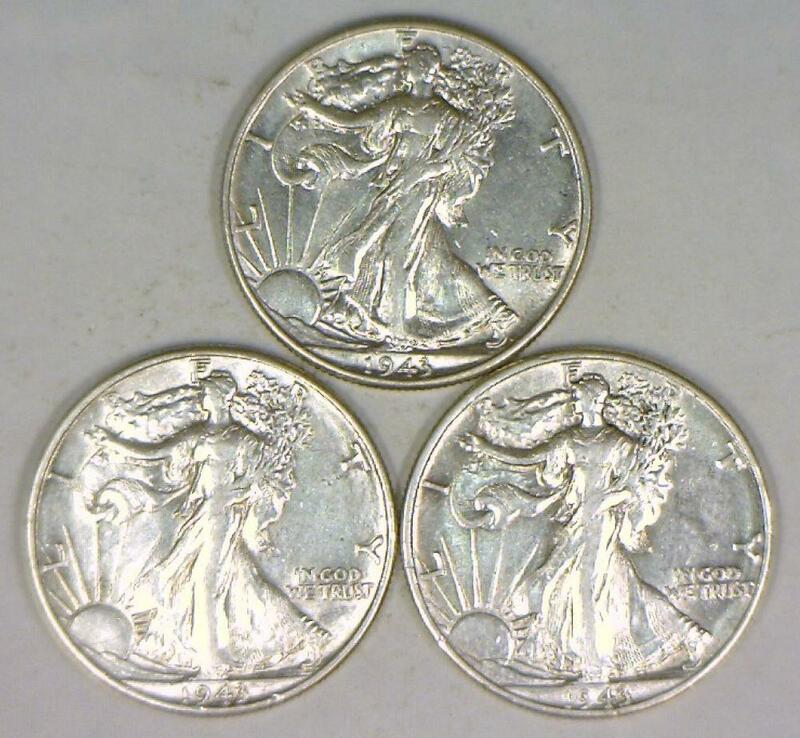 1942 Walking Liberty Half Dollar PCGS MS-64; Premium Quality, White! 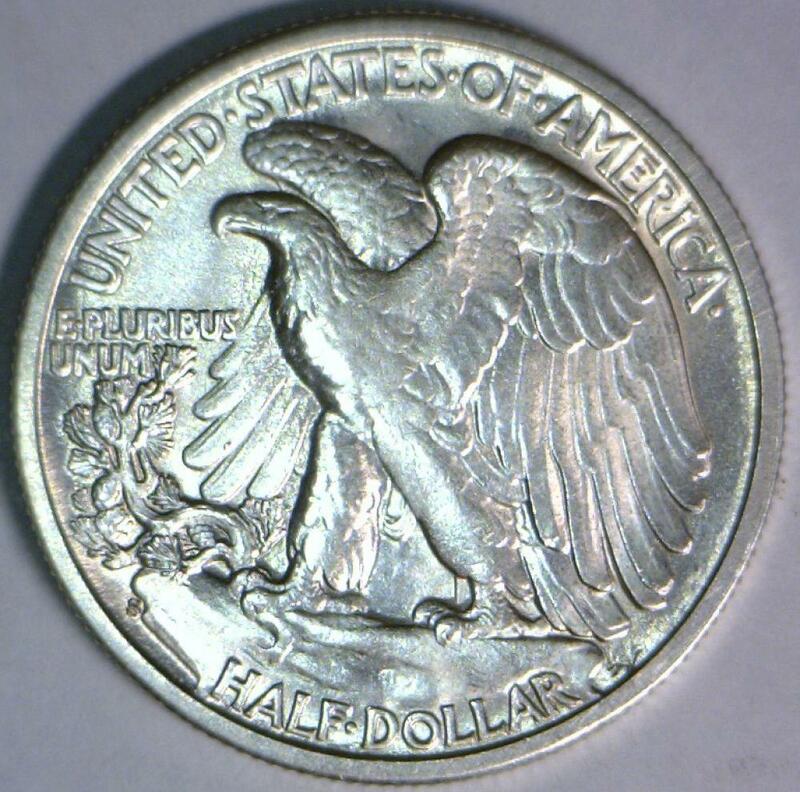 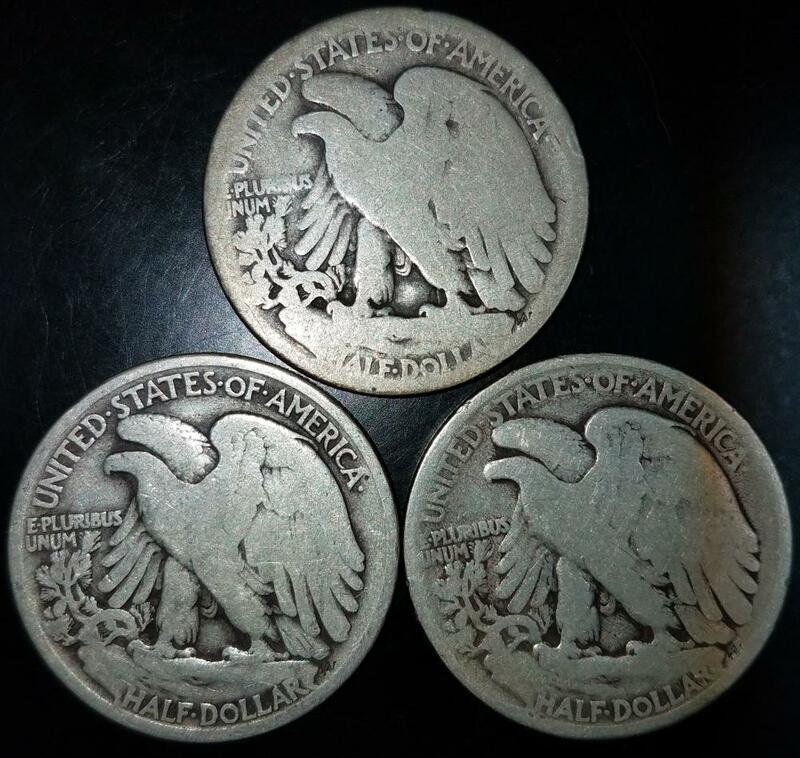 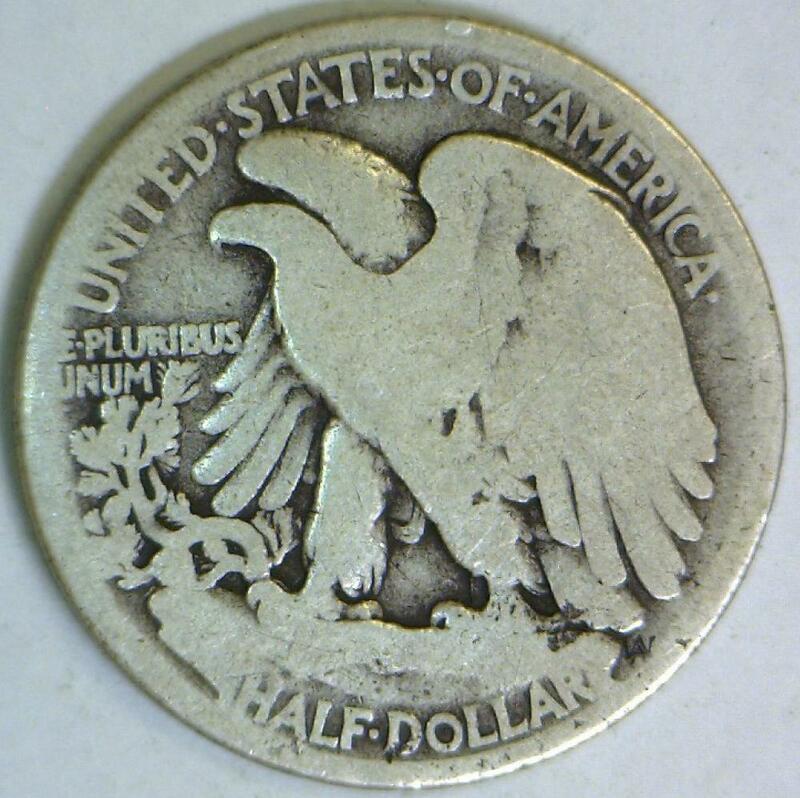 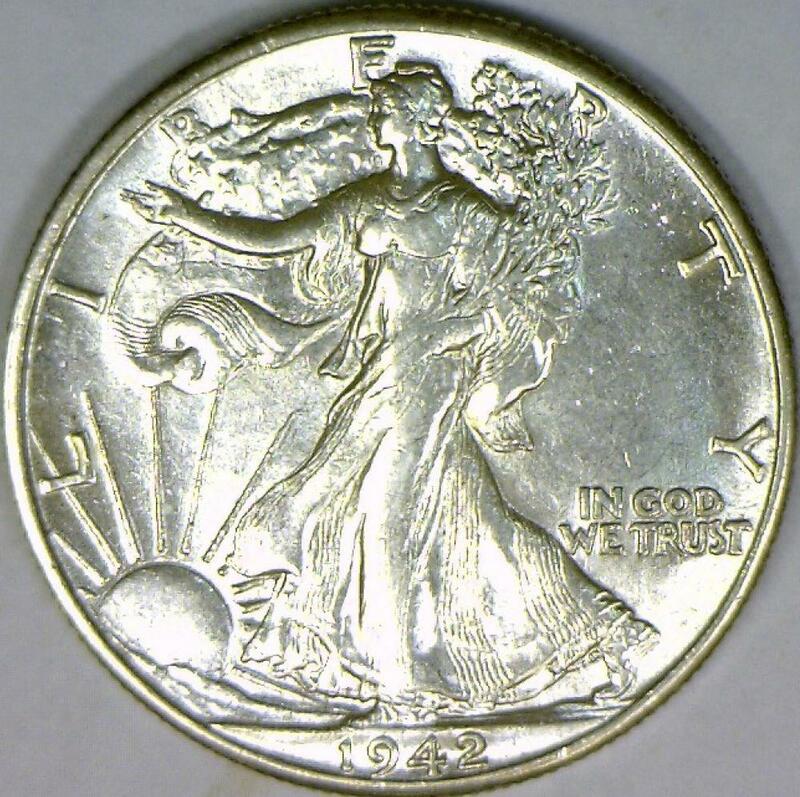 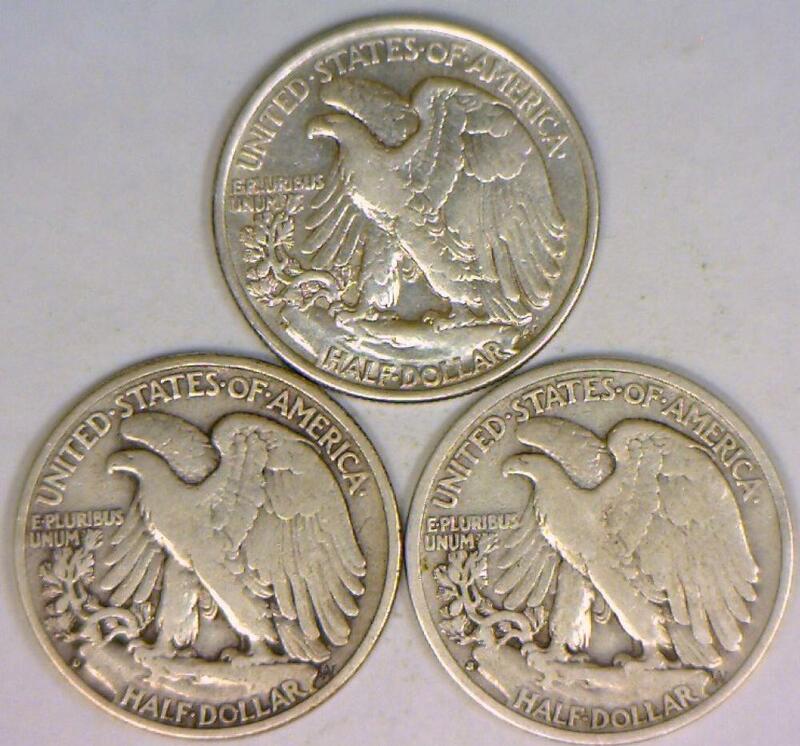 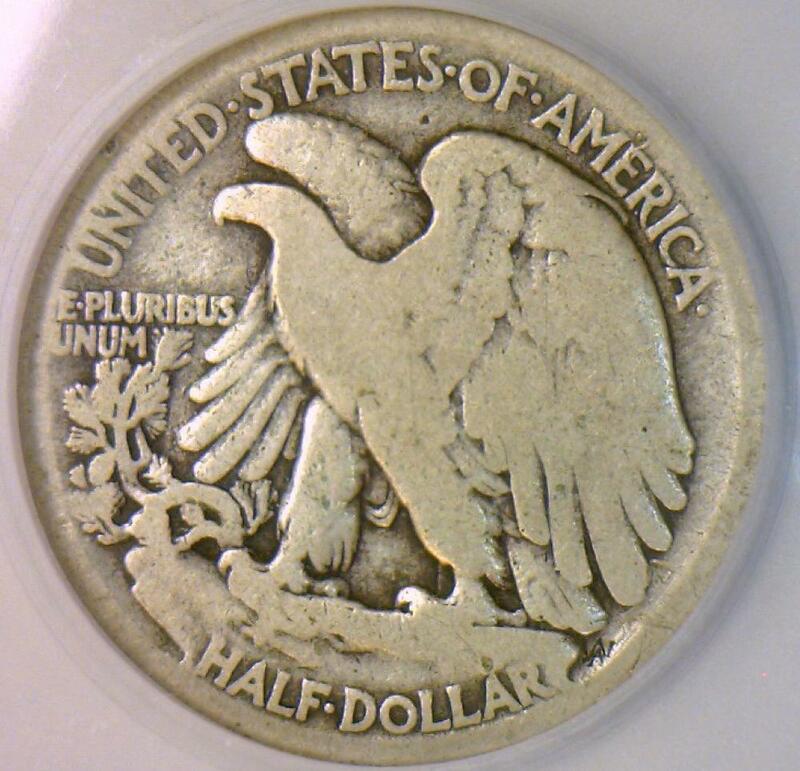 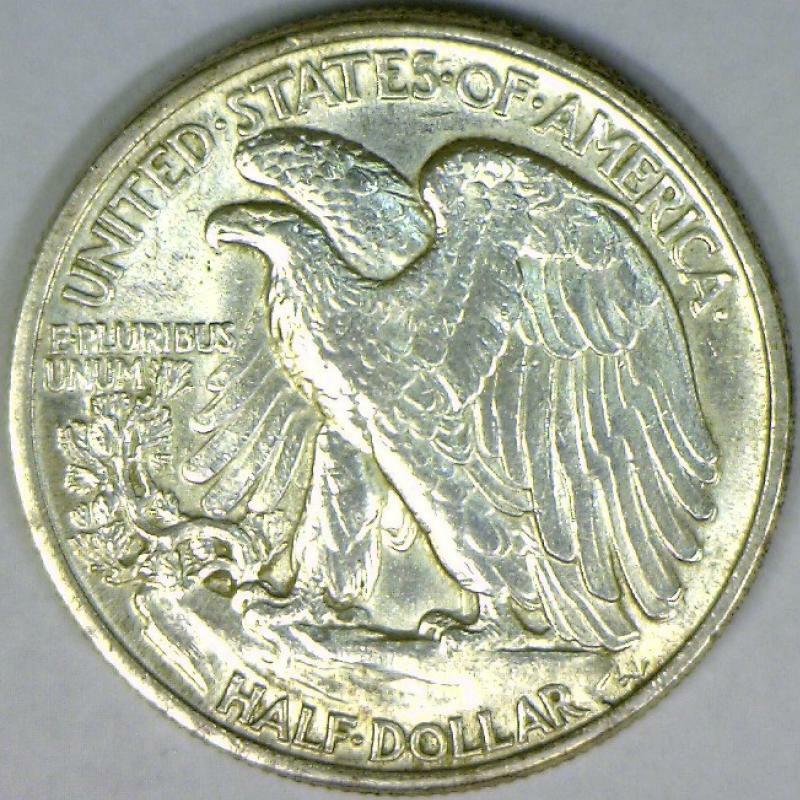 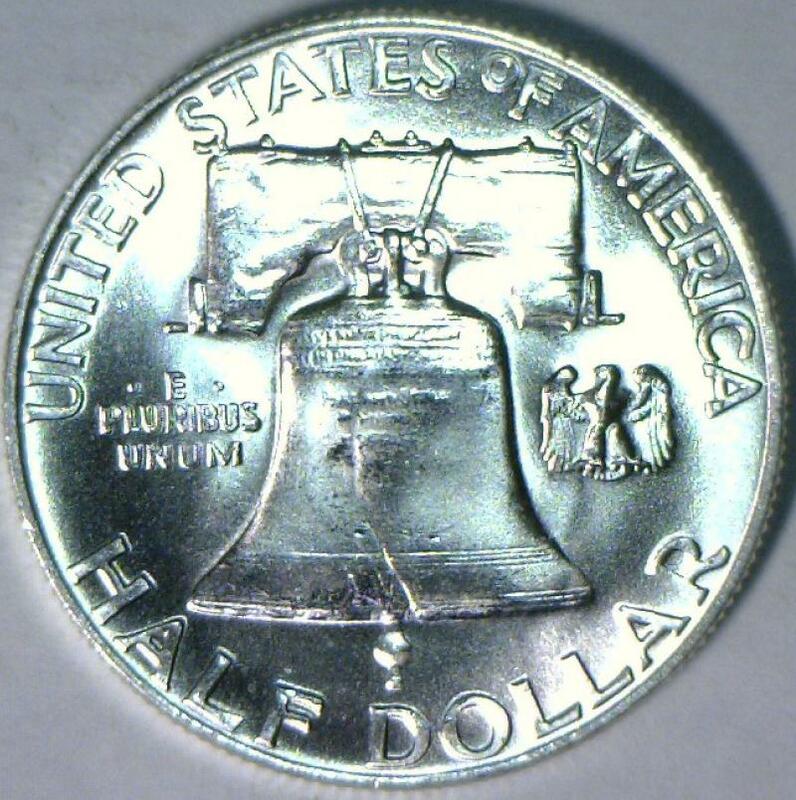 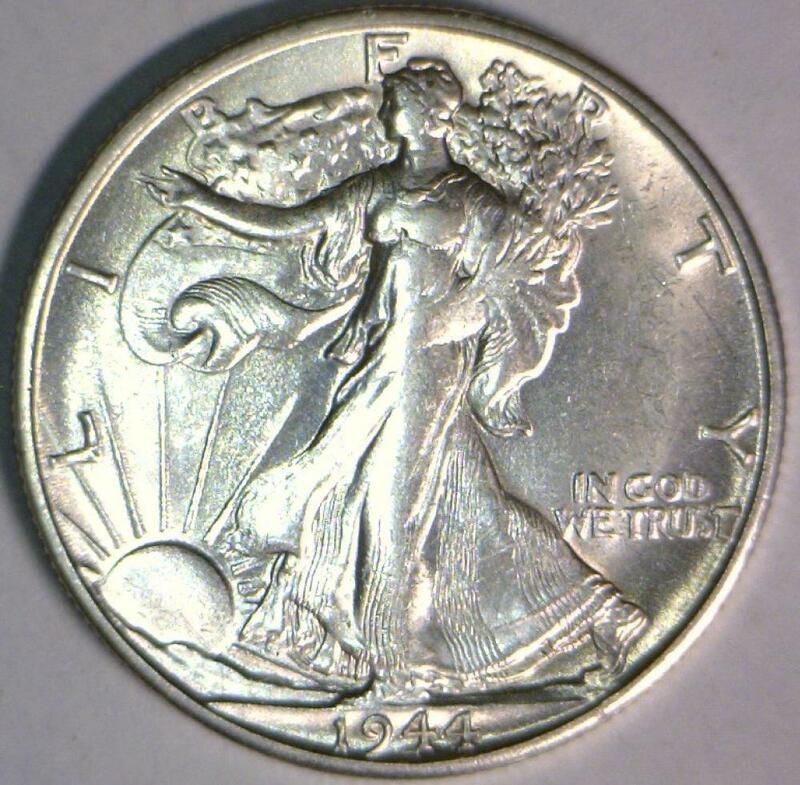 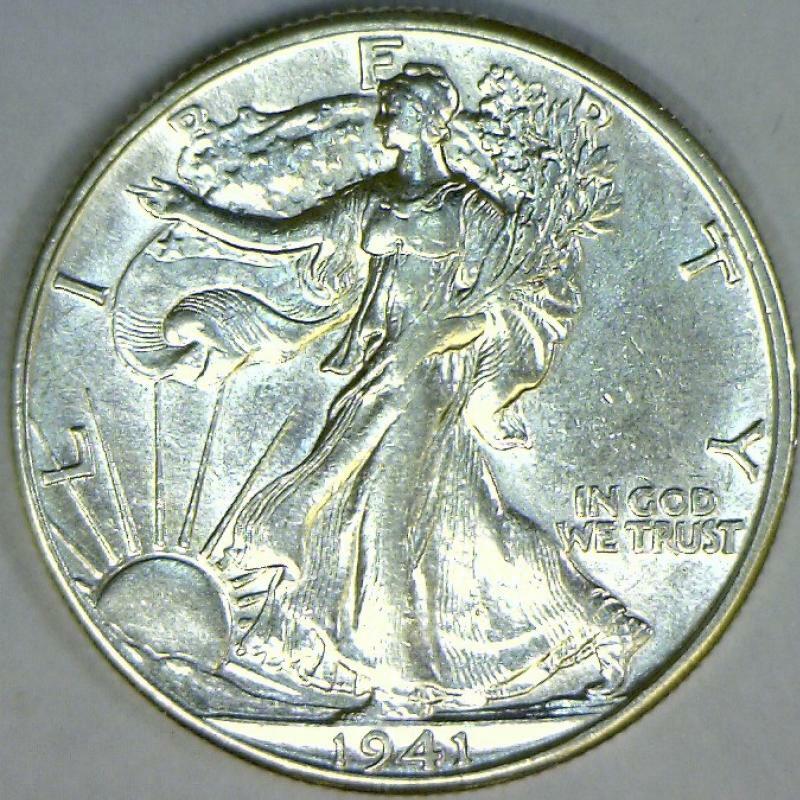 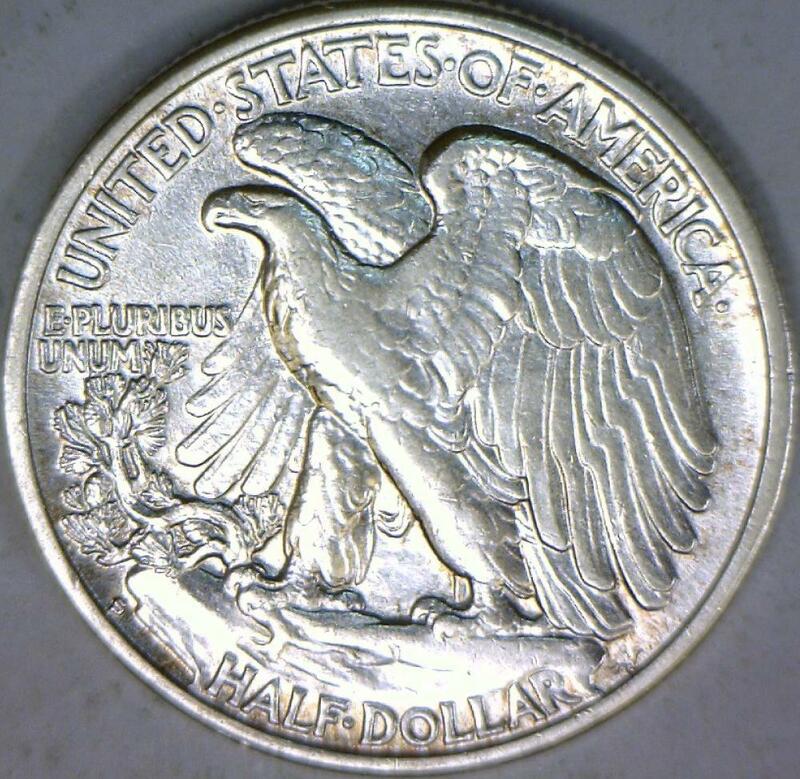 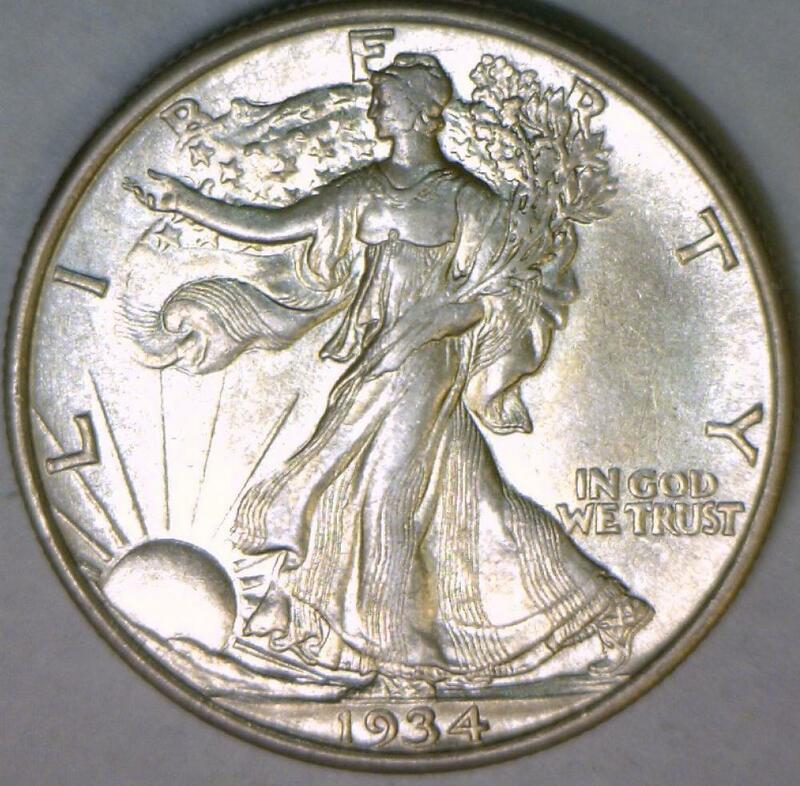 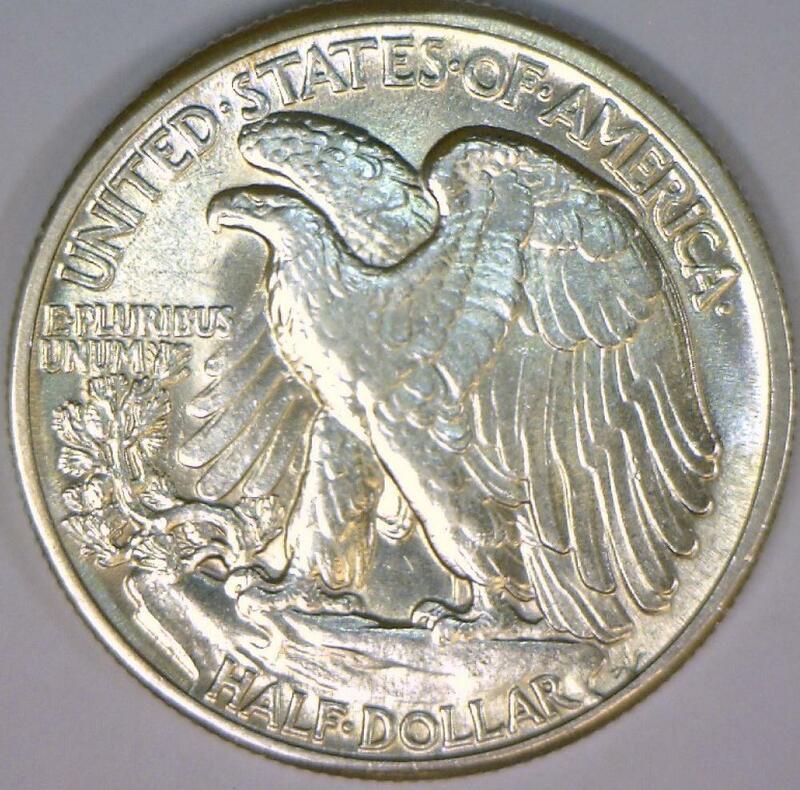 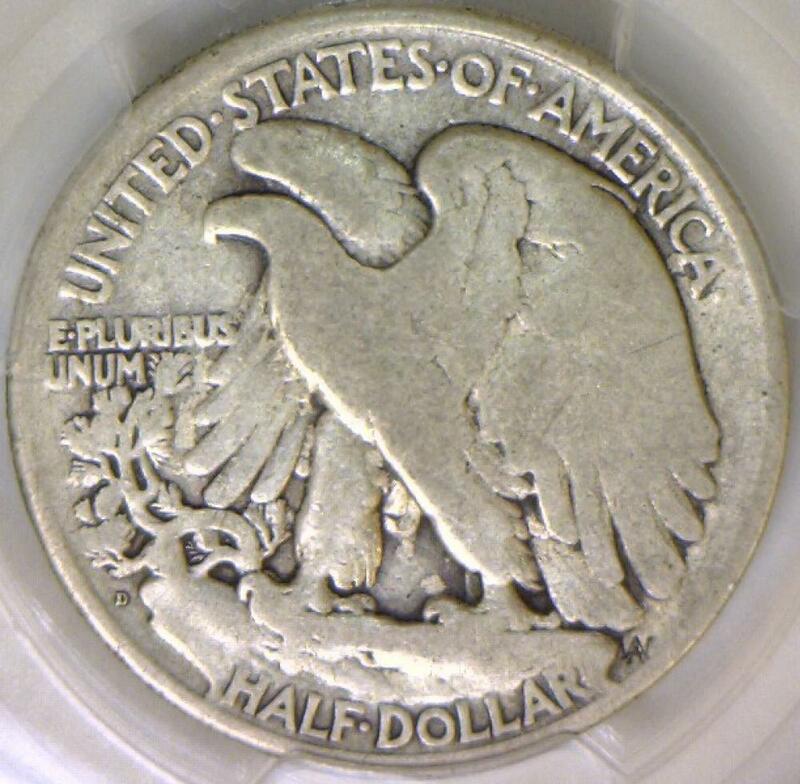 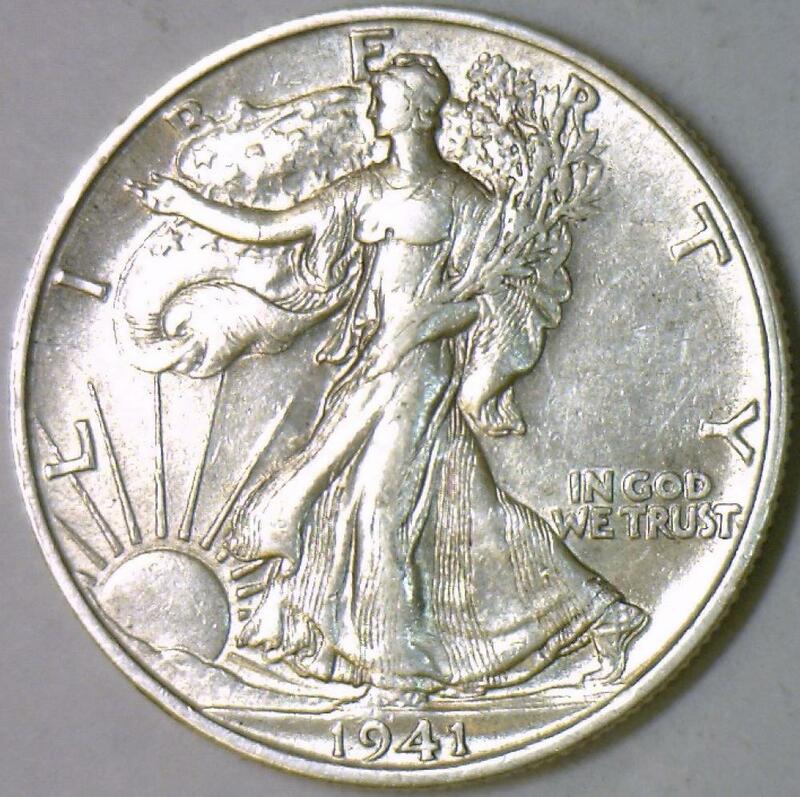 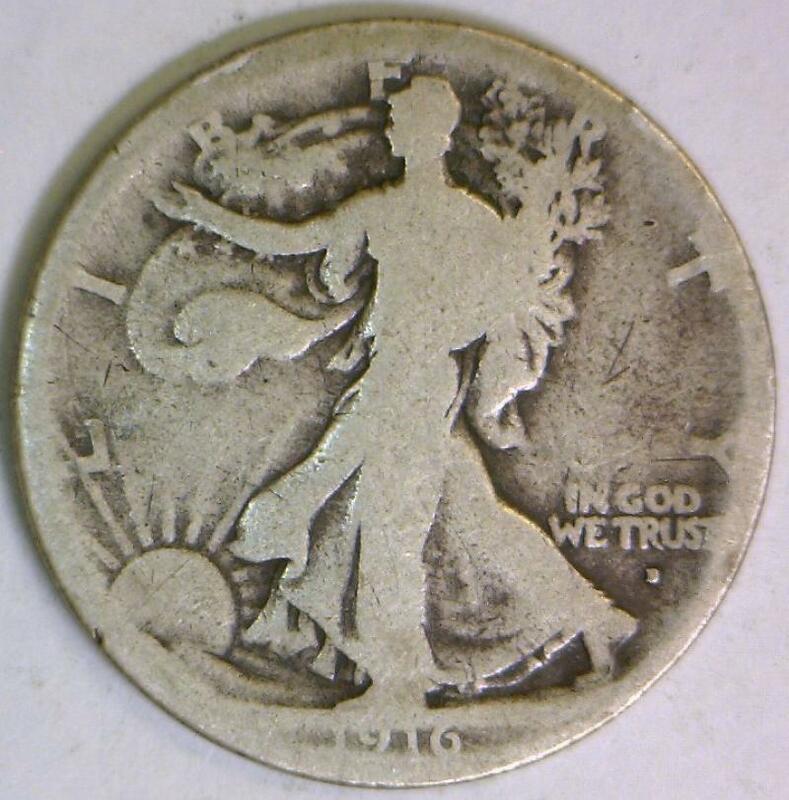 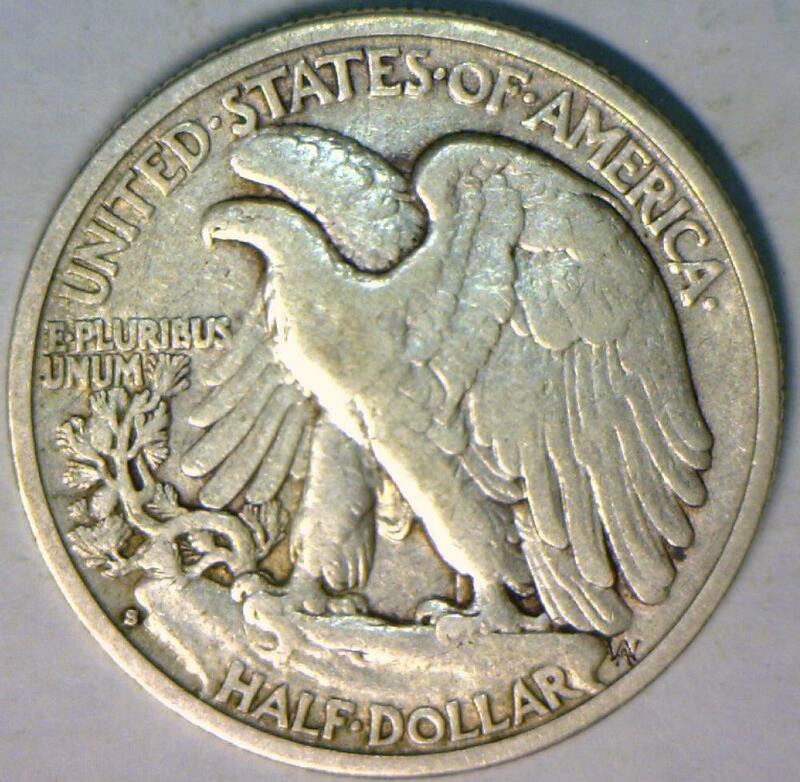 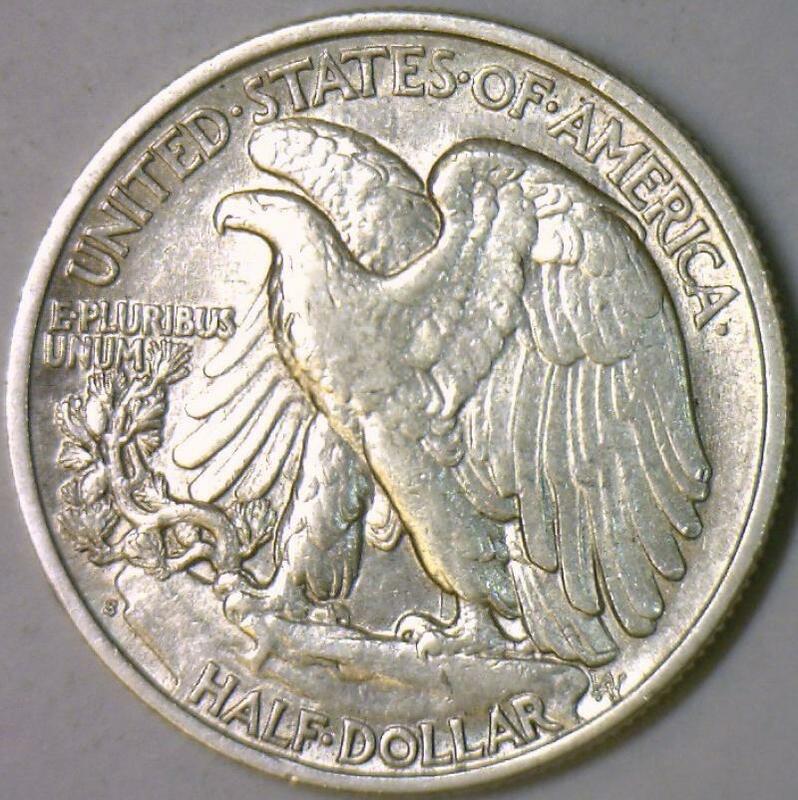 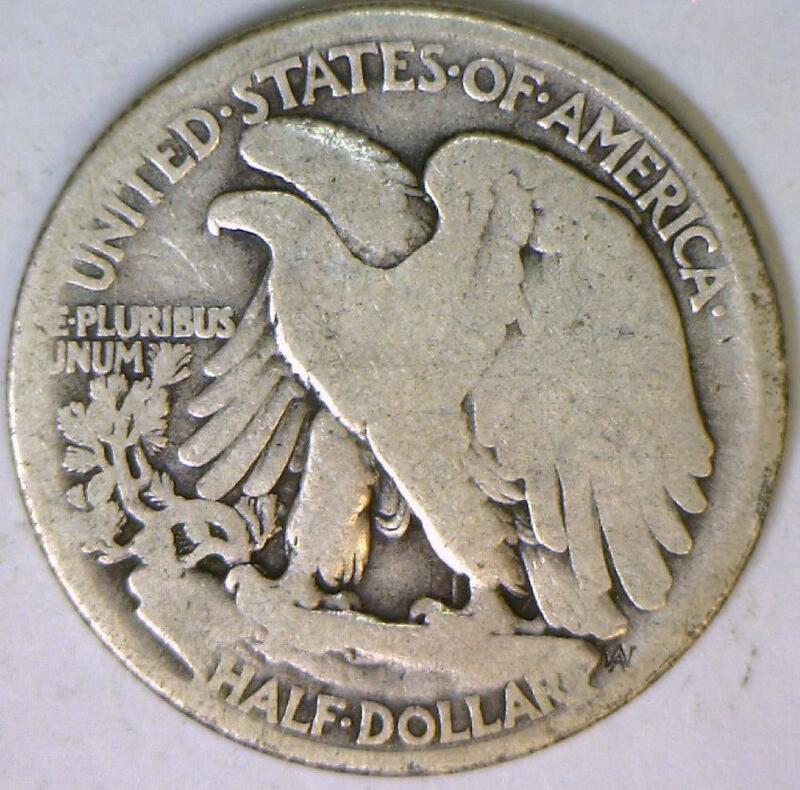 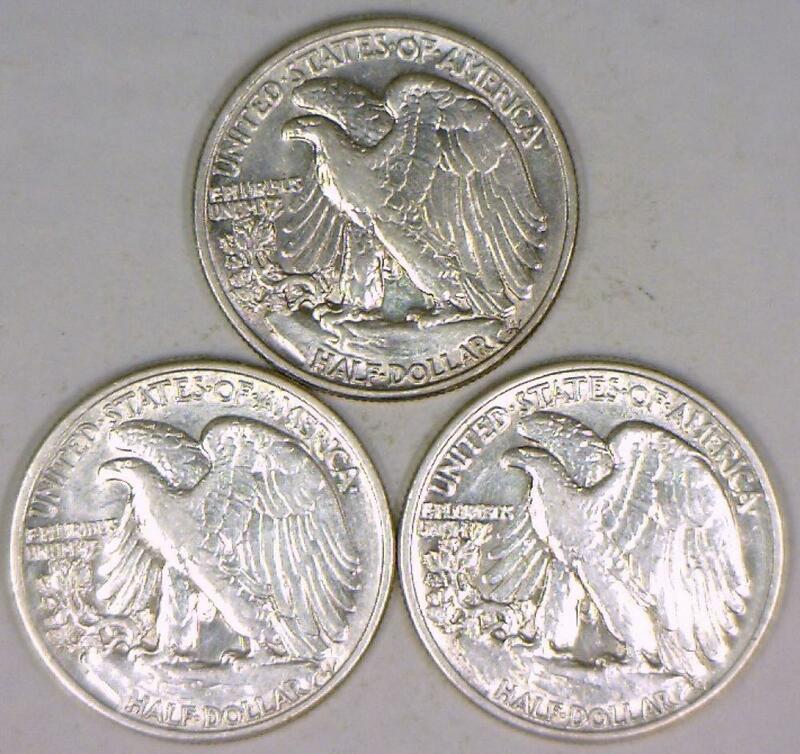 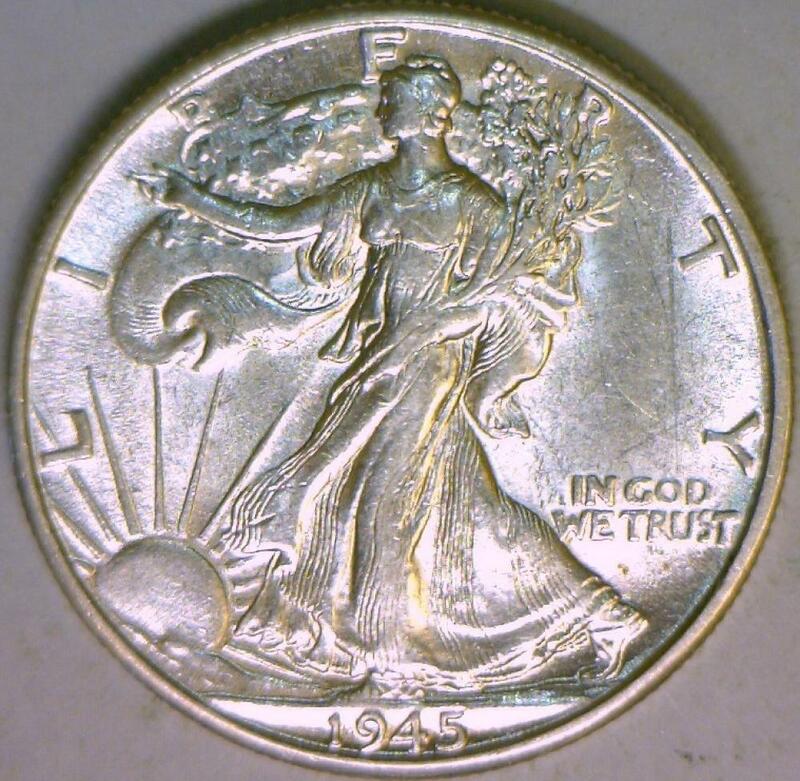 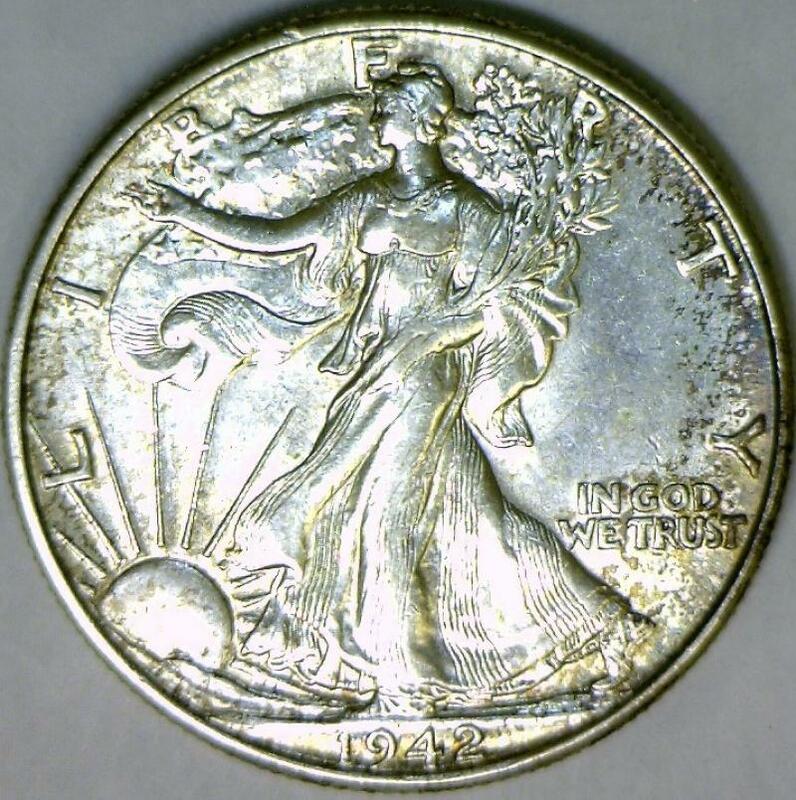 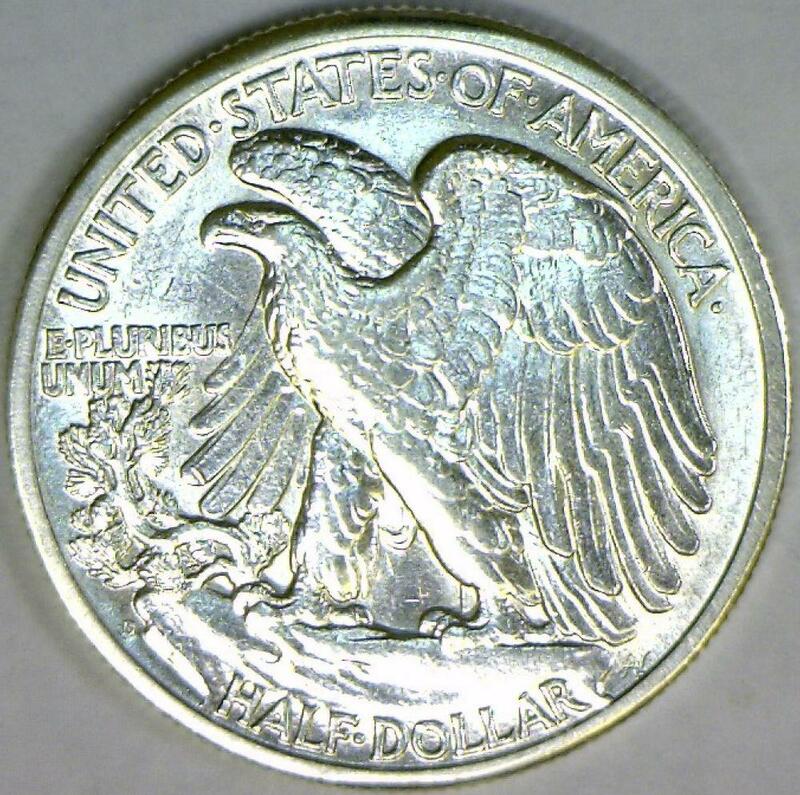 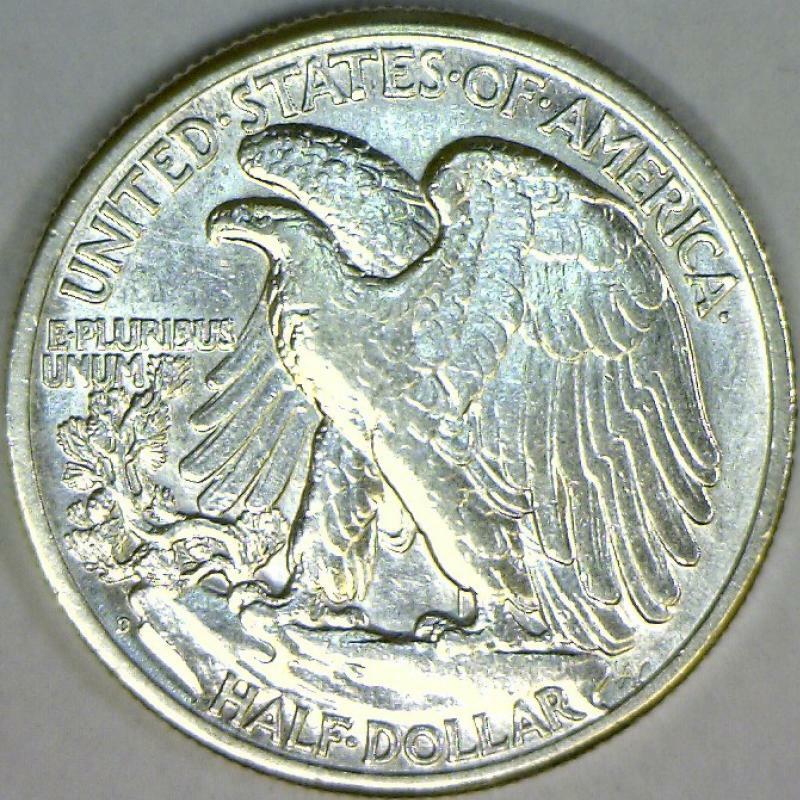 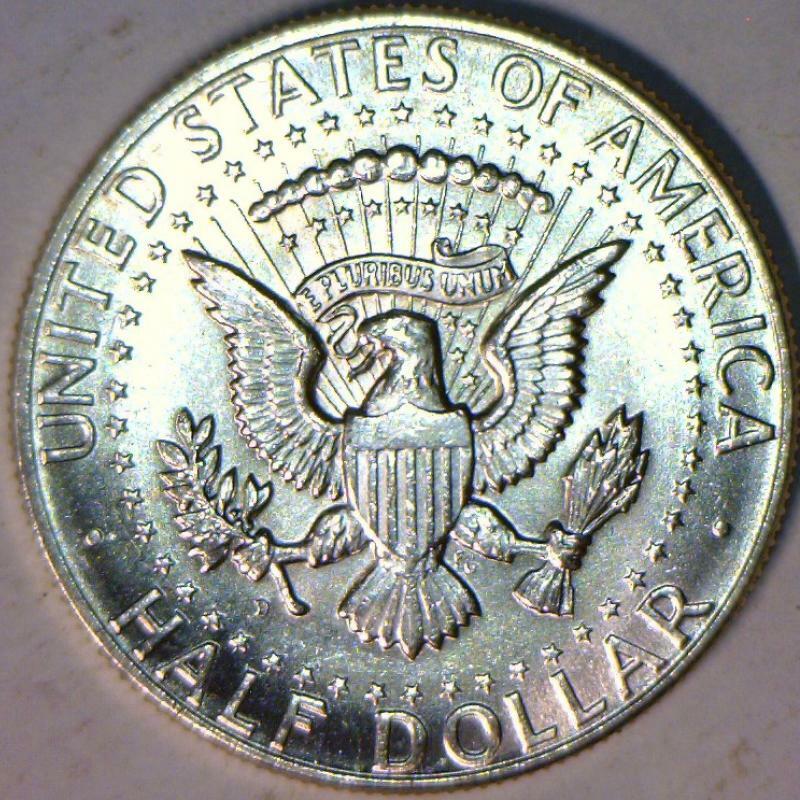 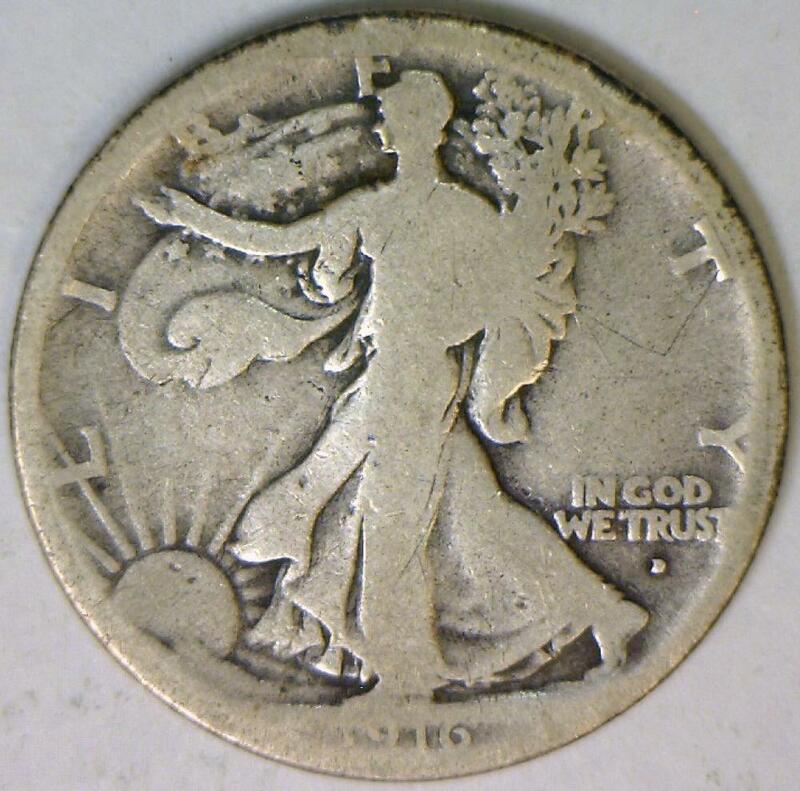 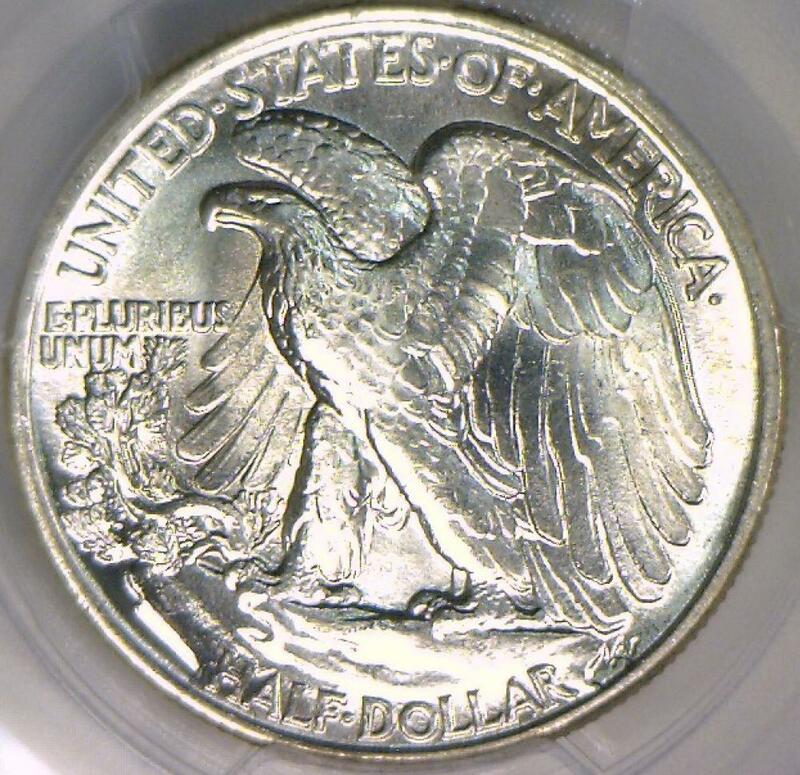 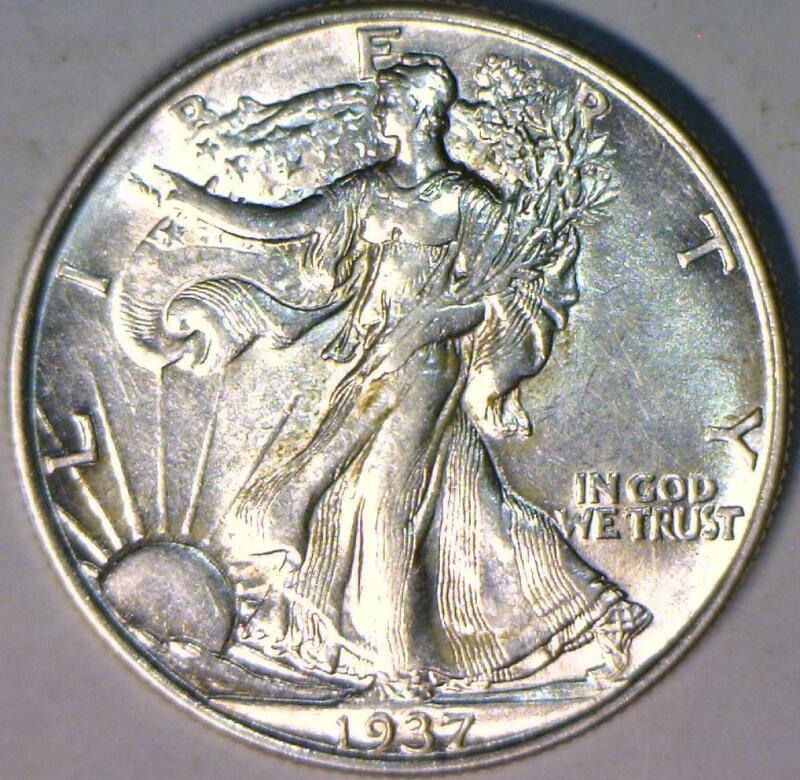 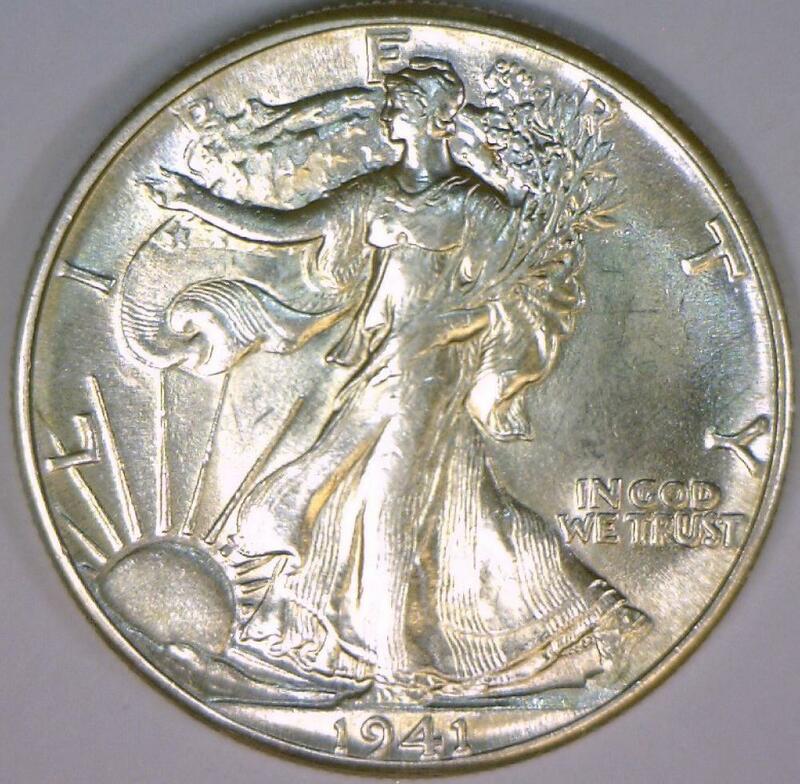 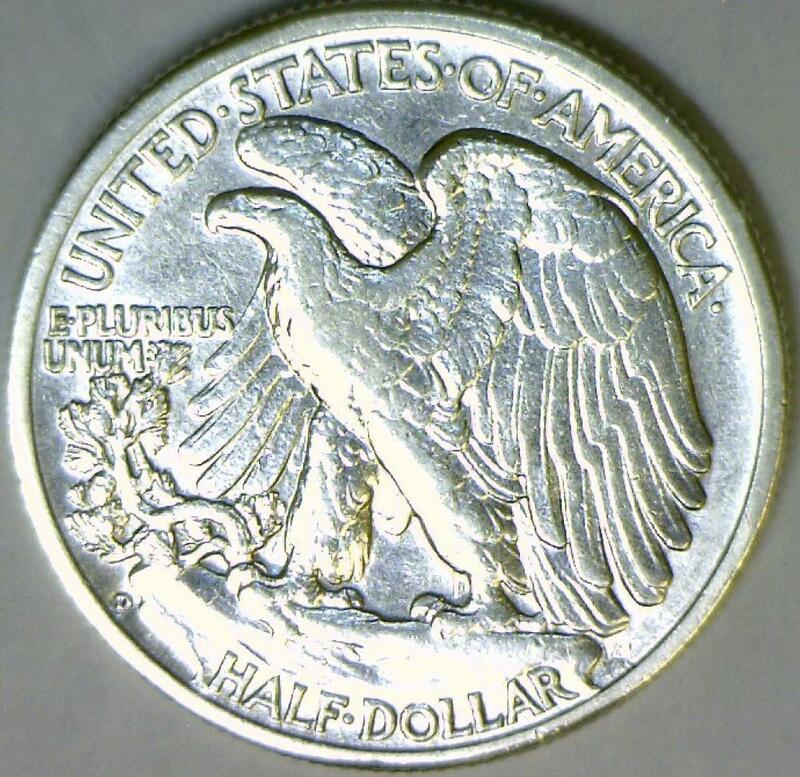 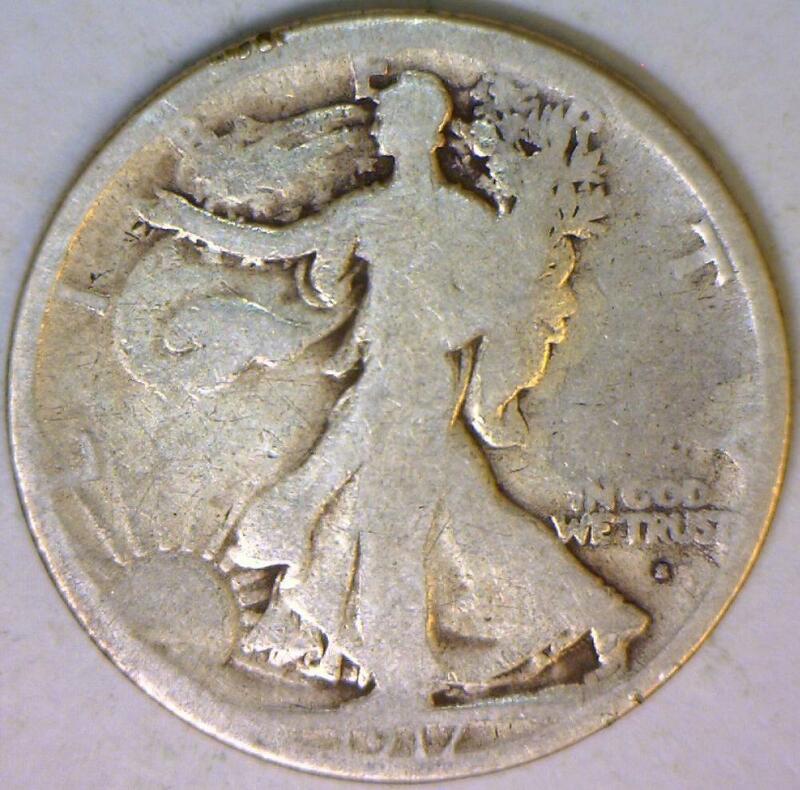 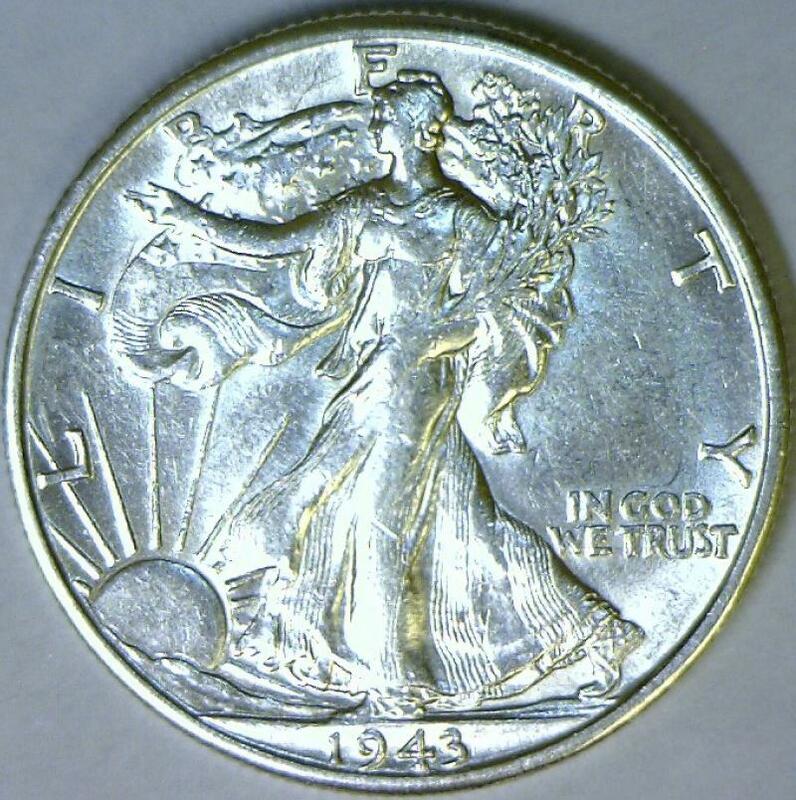 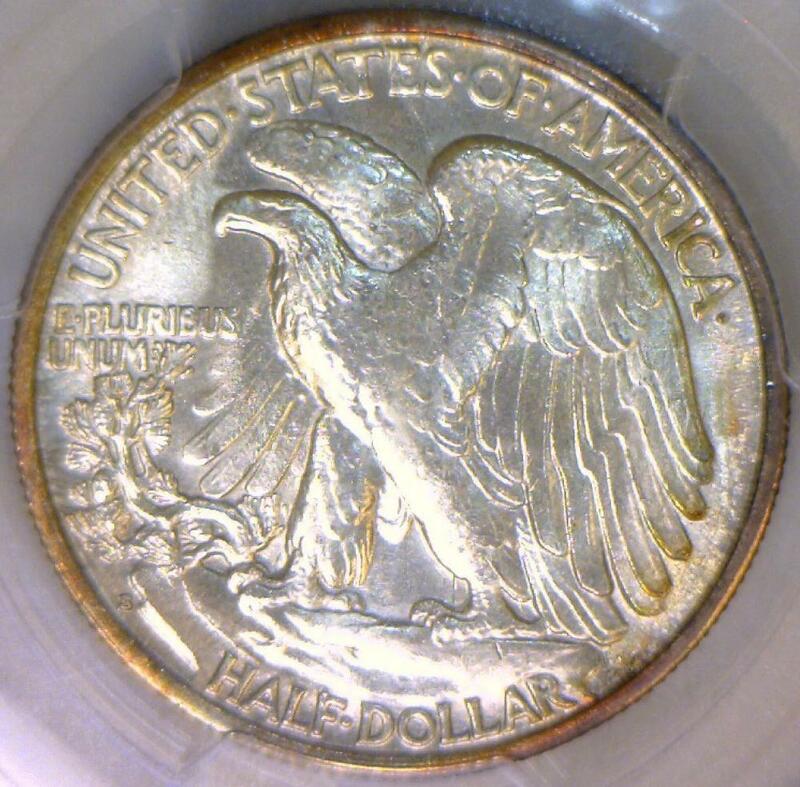 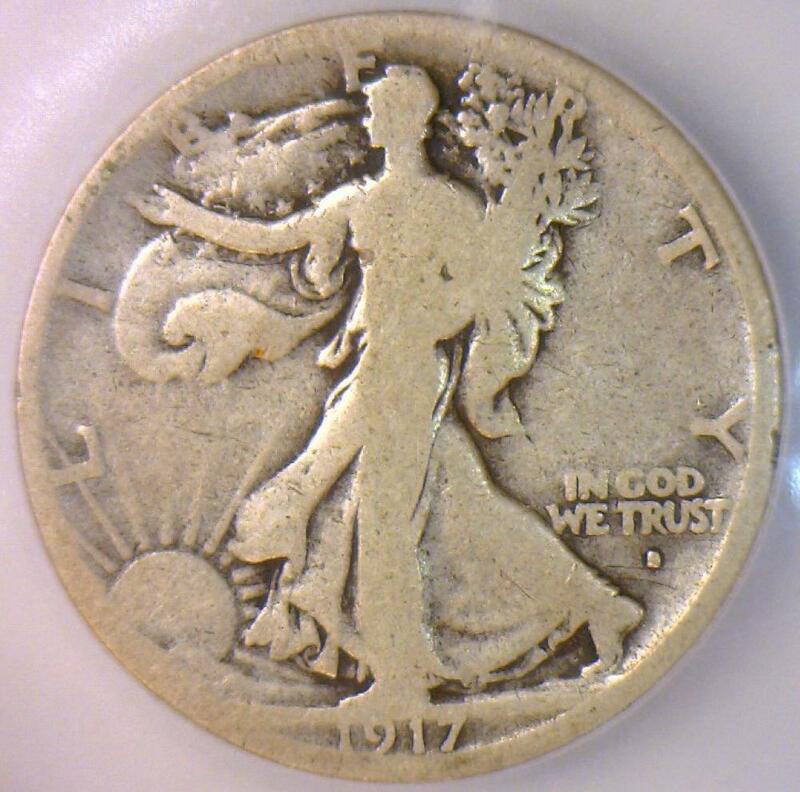 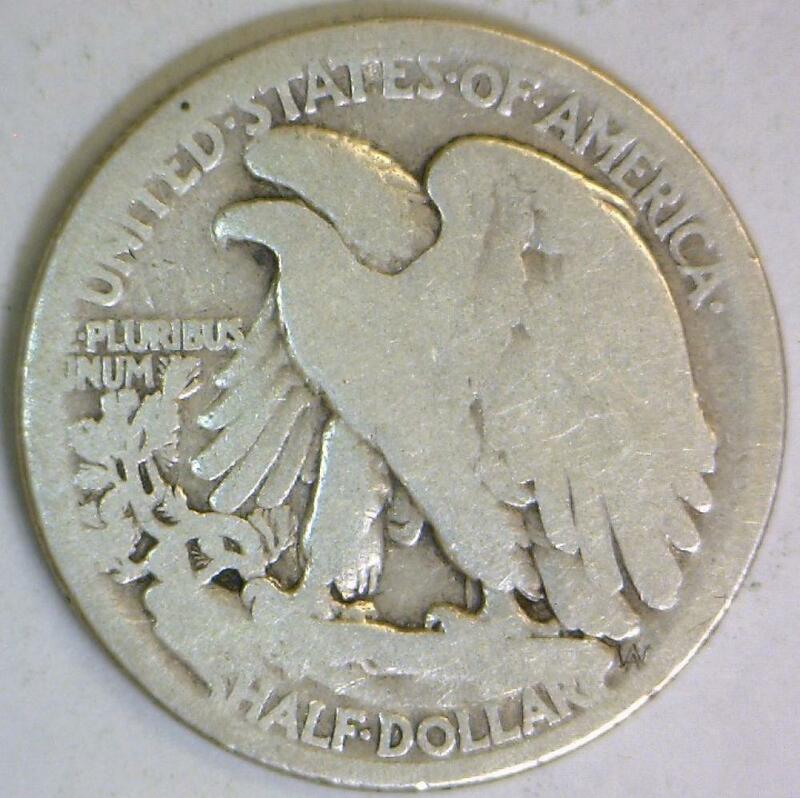 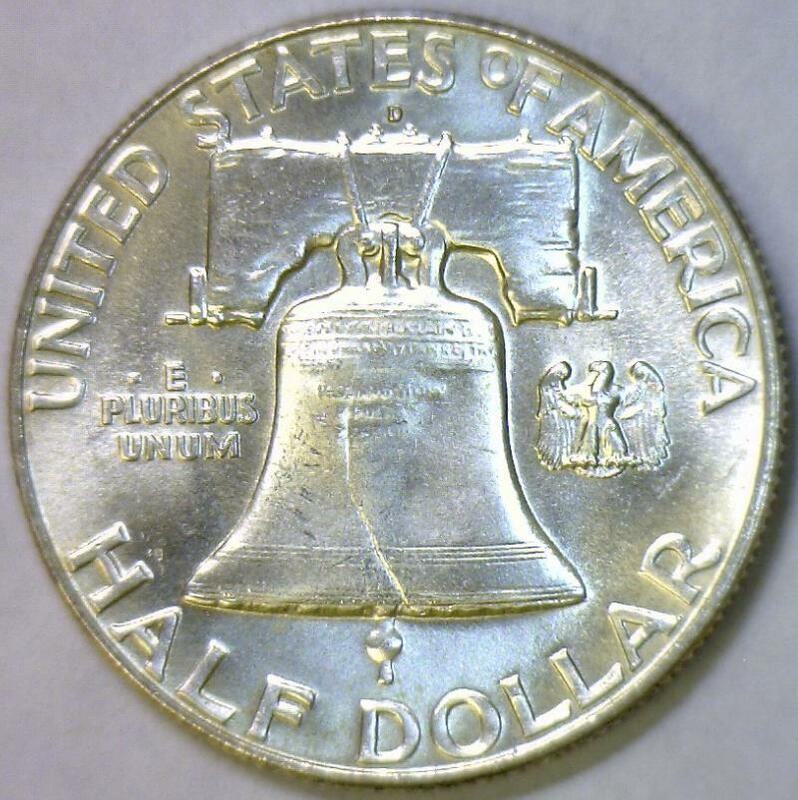 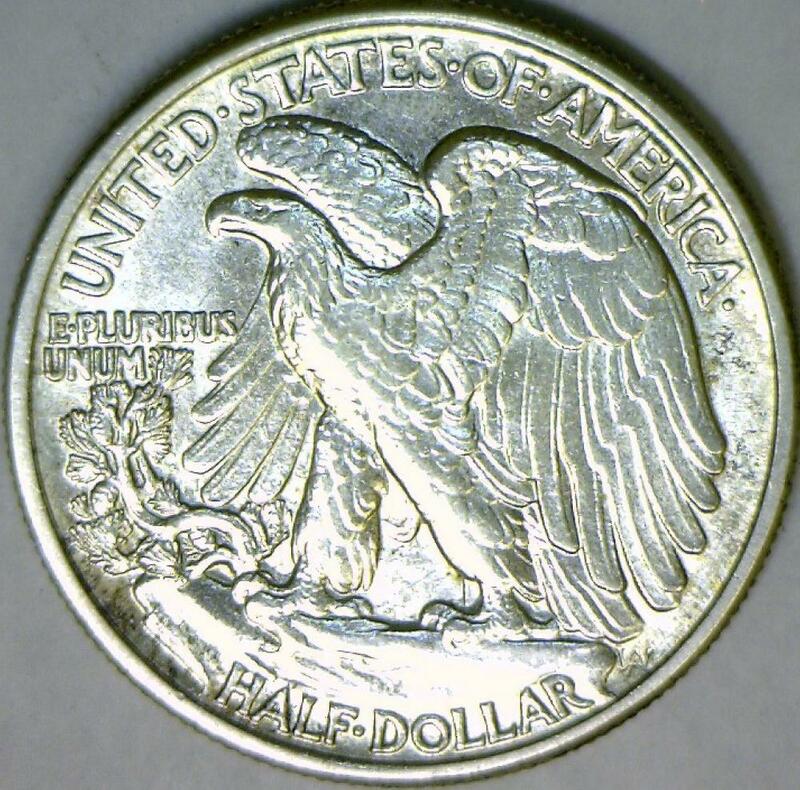 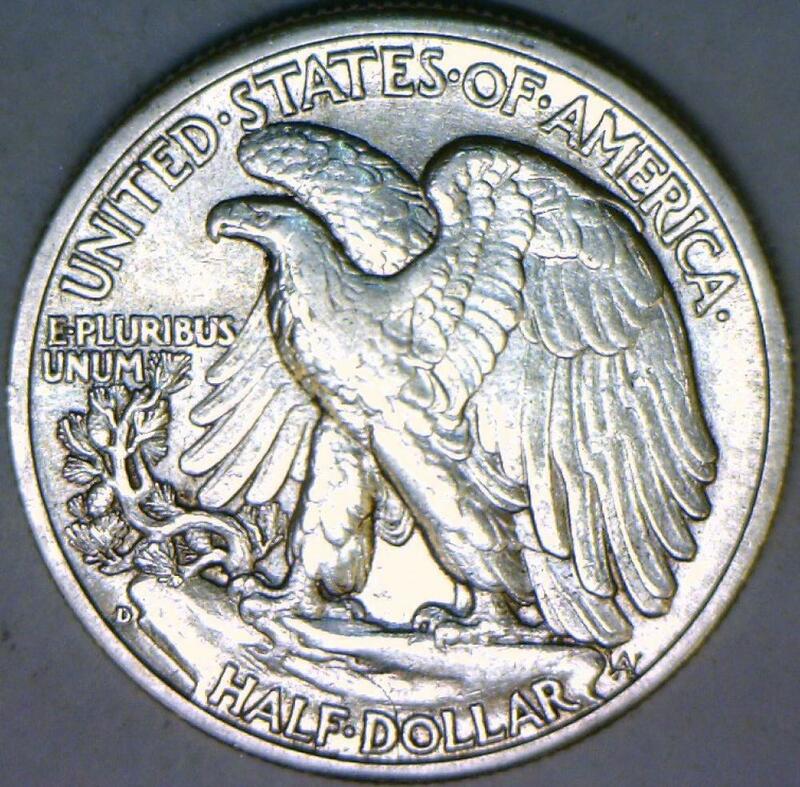 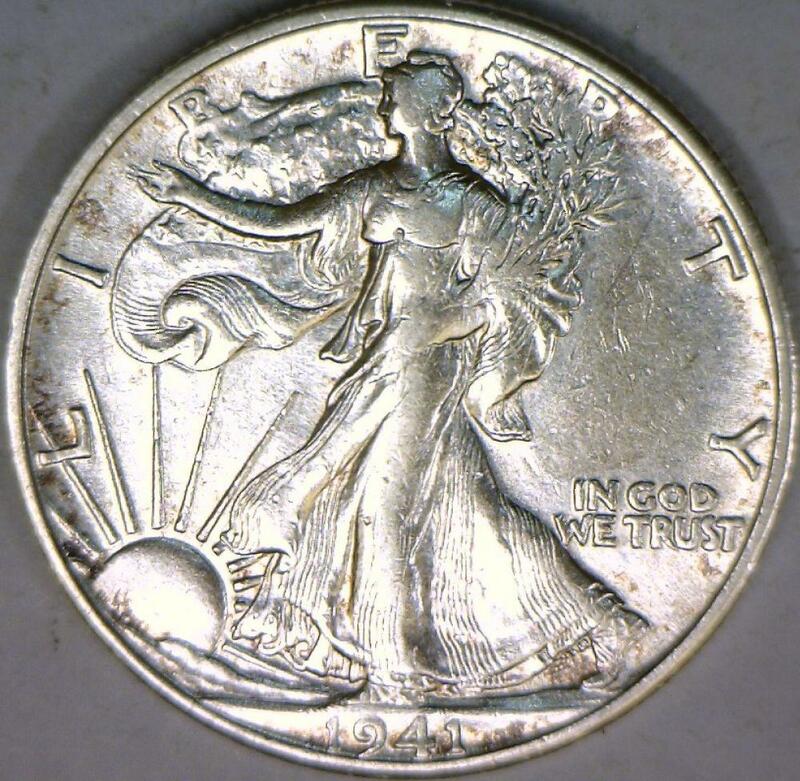 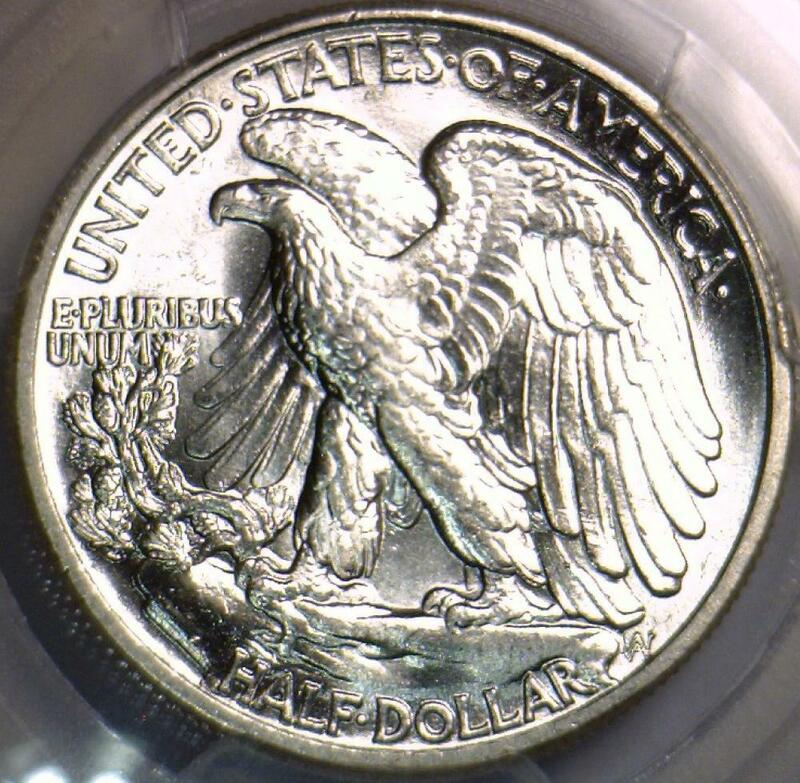 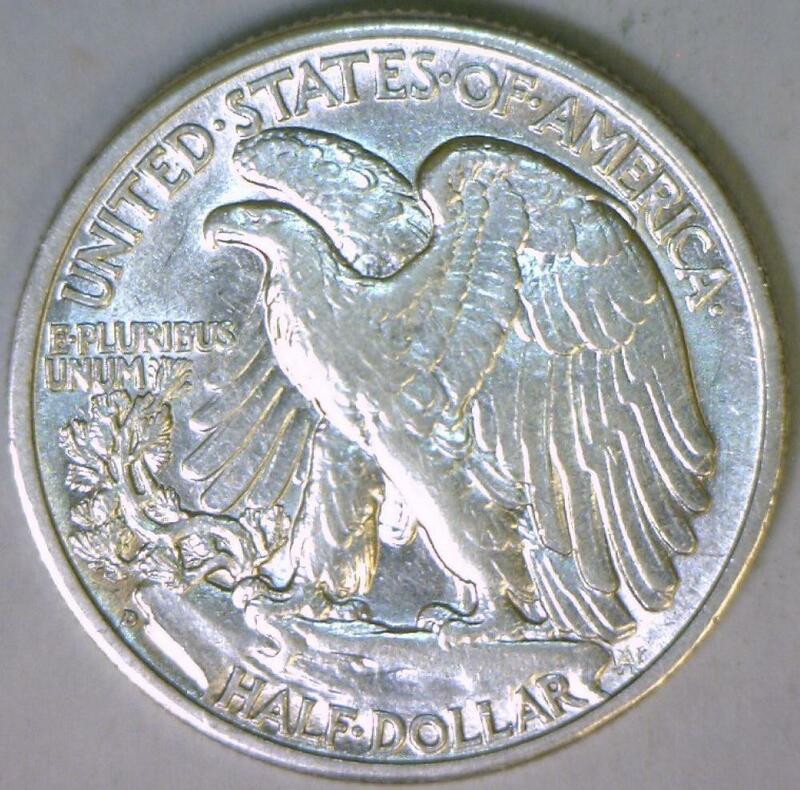 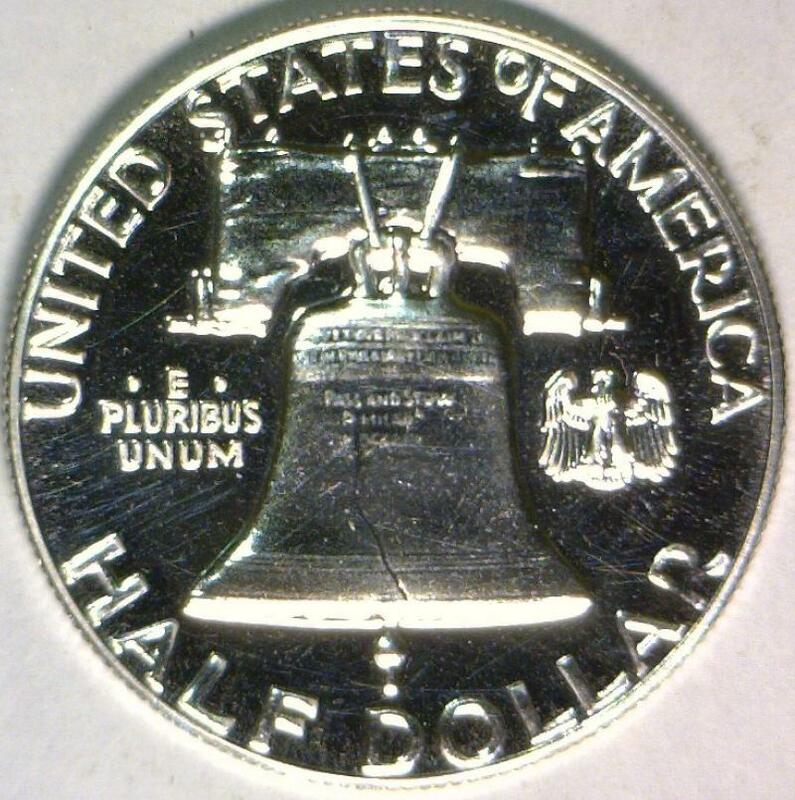 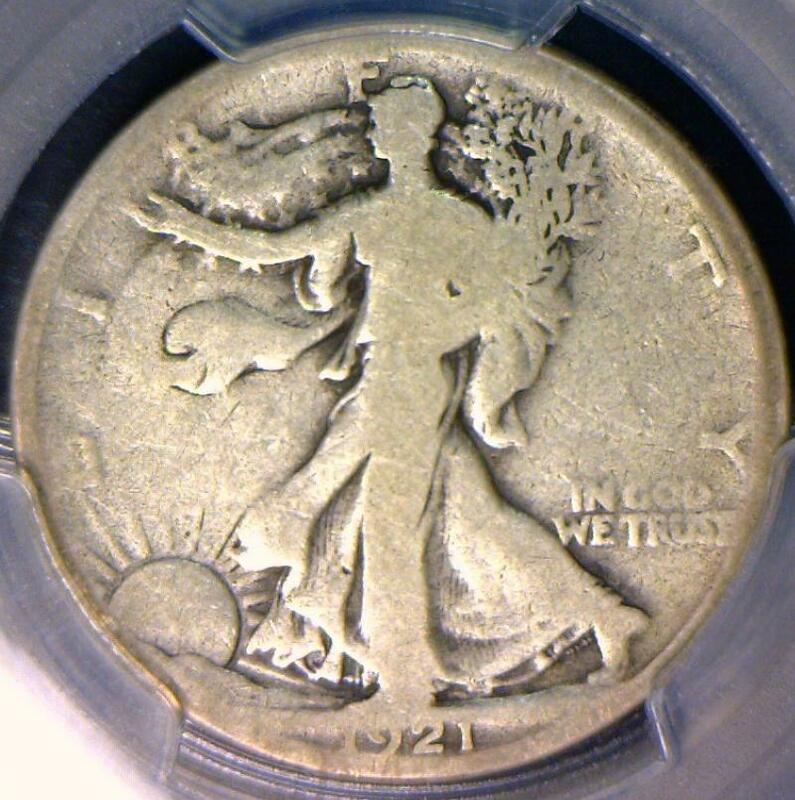 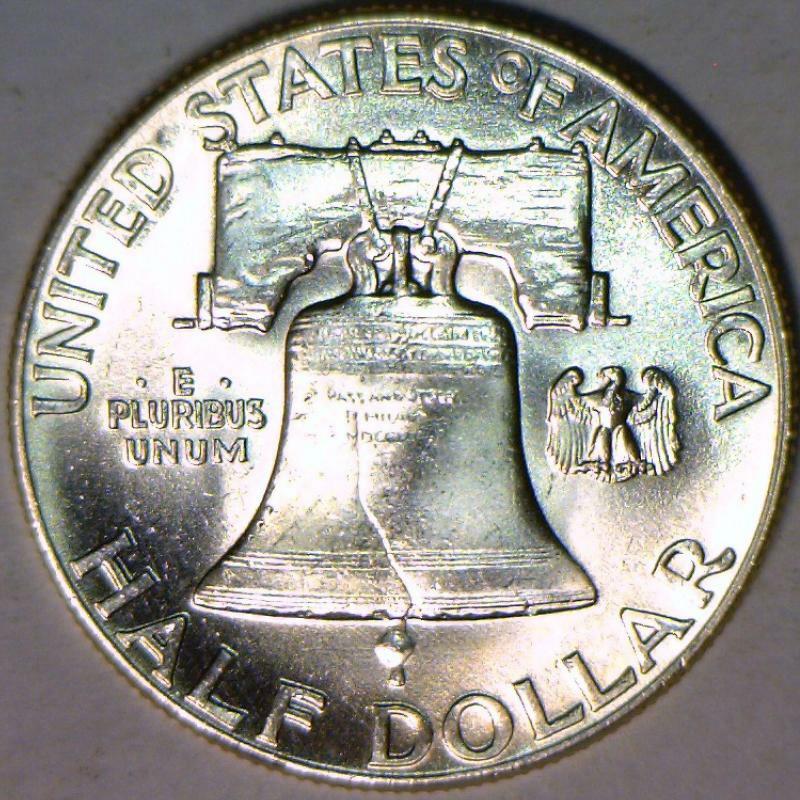 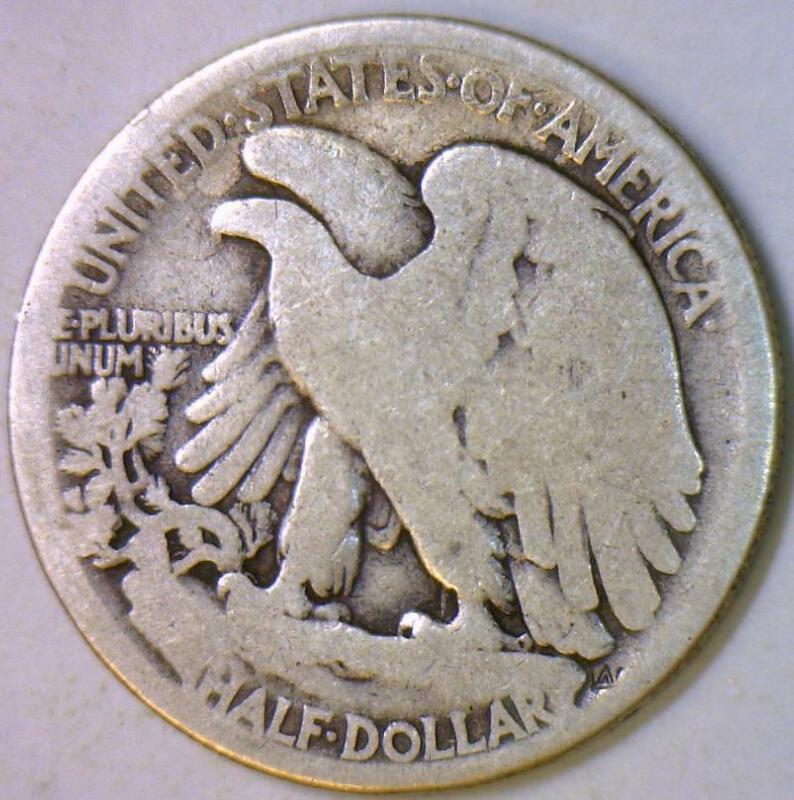 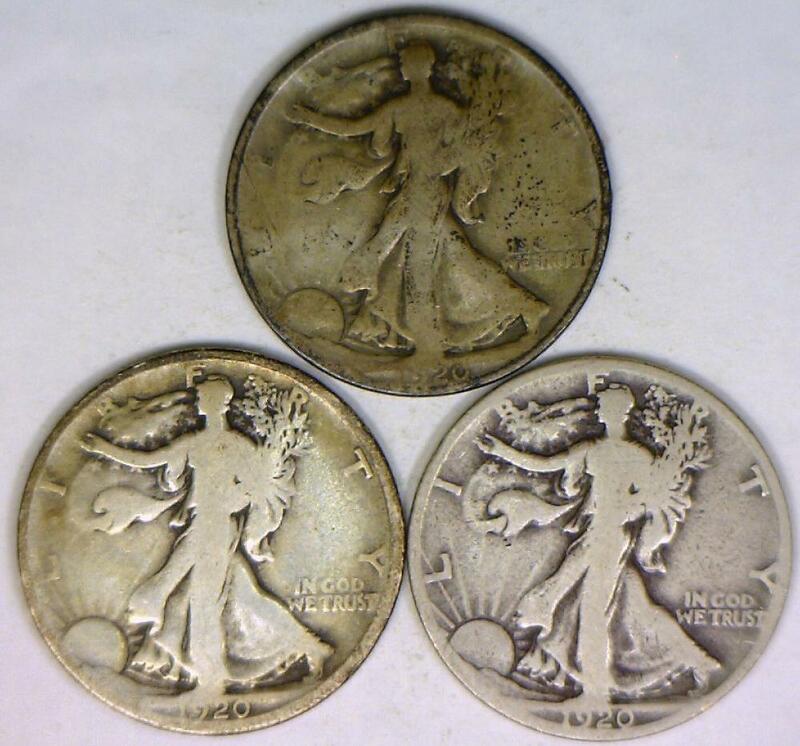 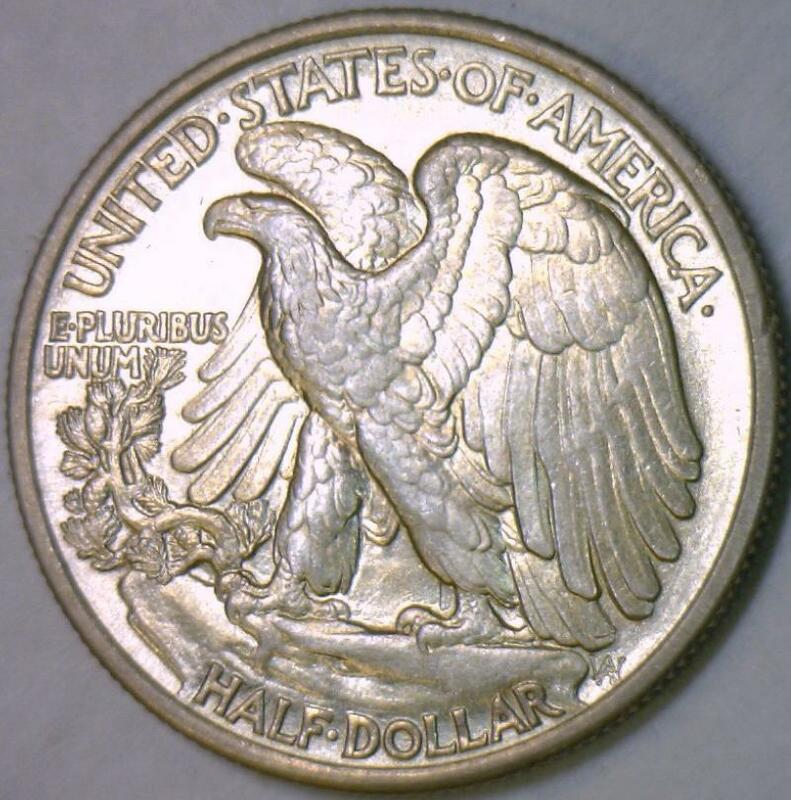 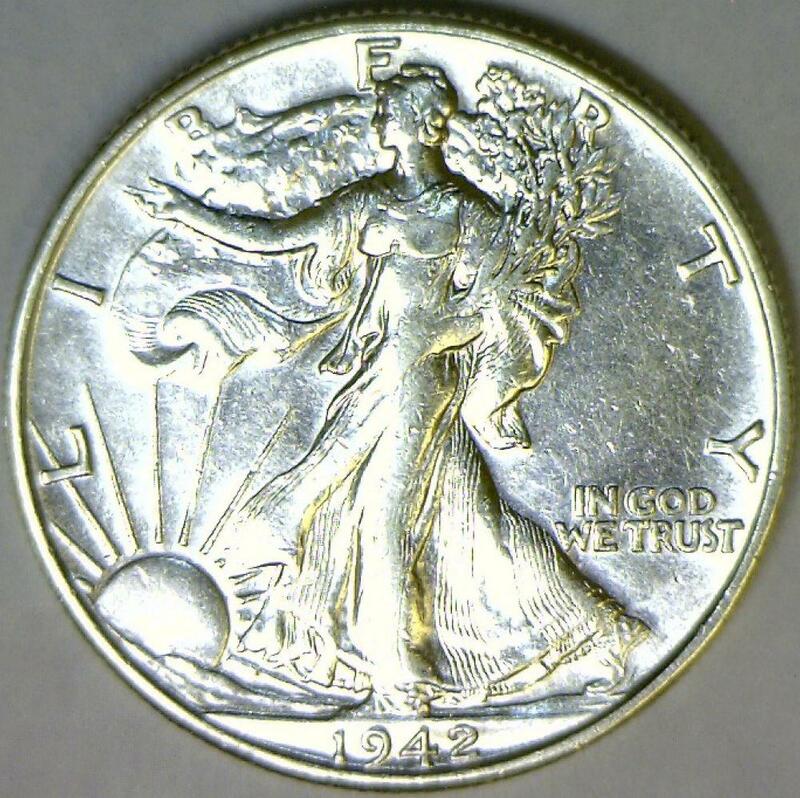 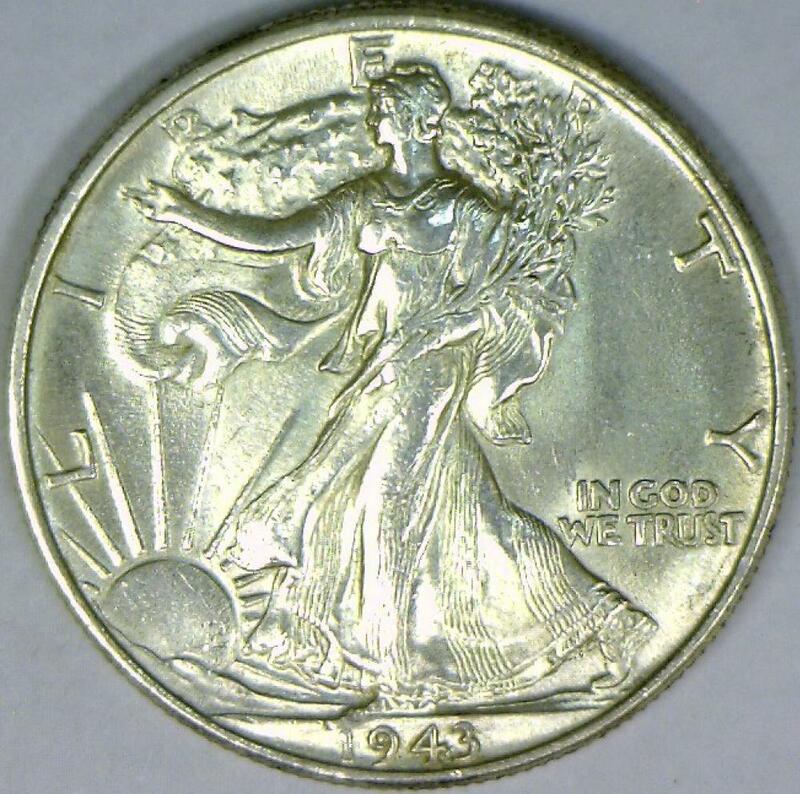 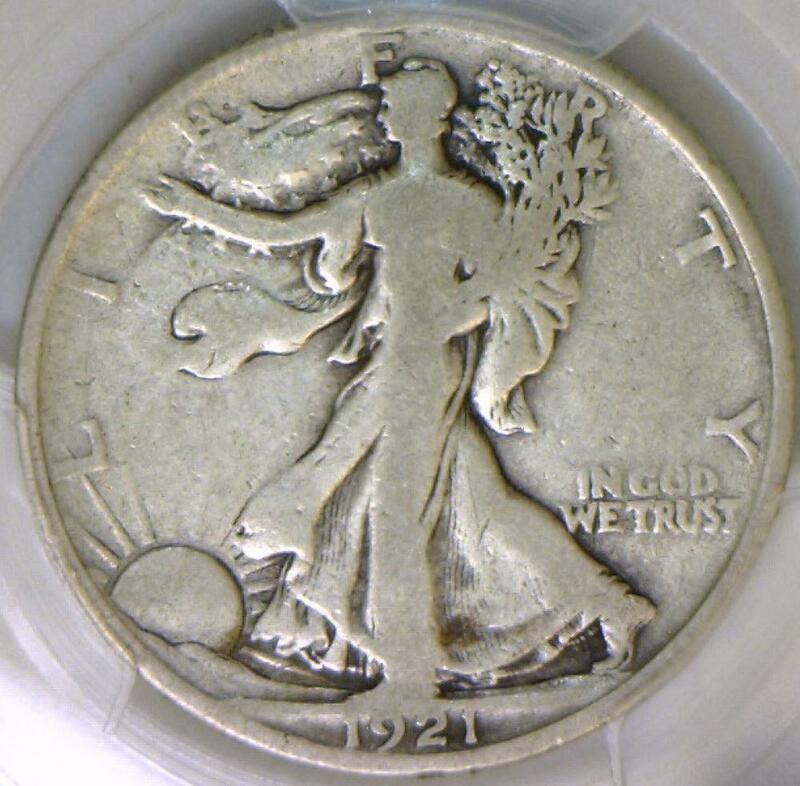 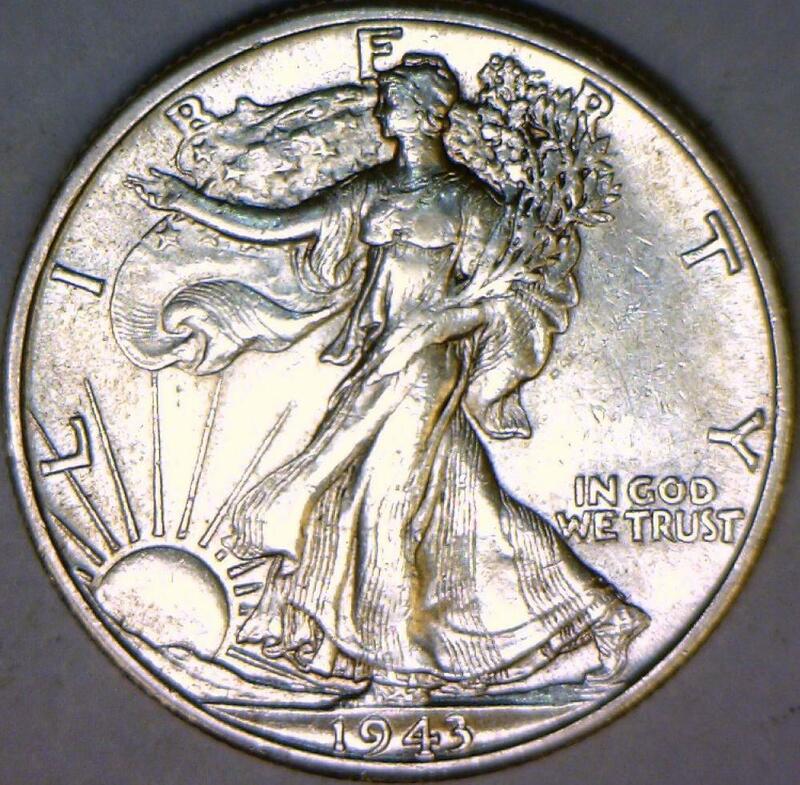 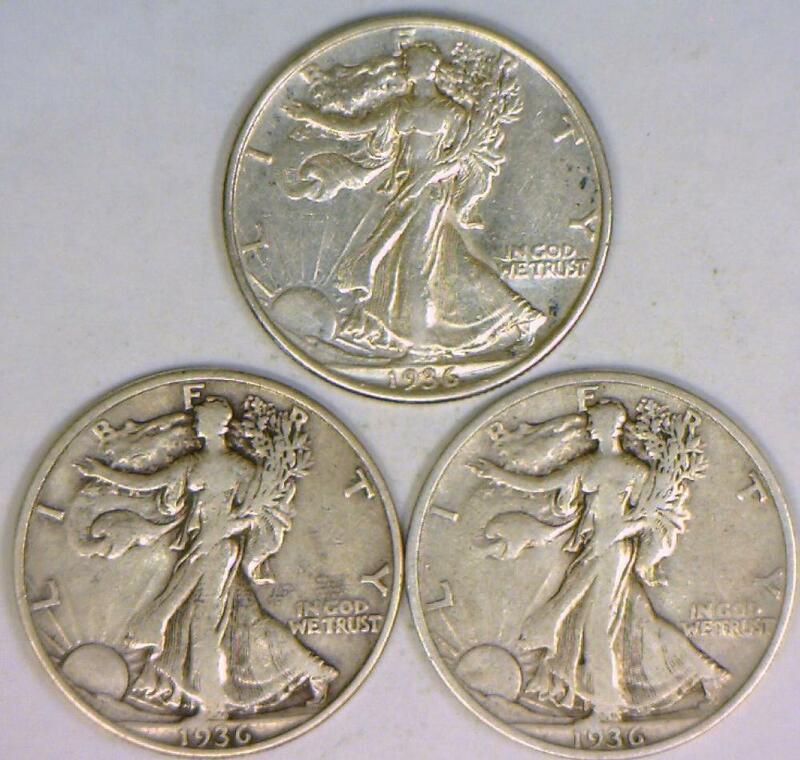 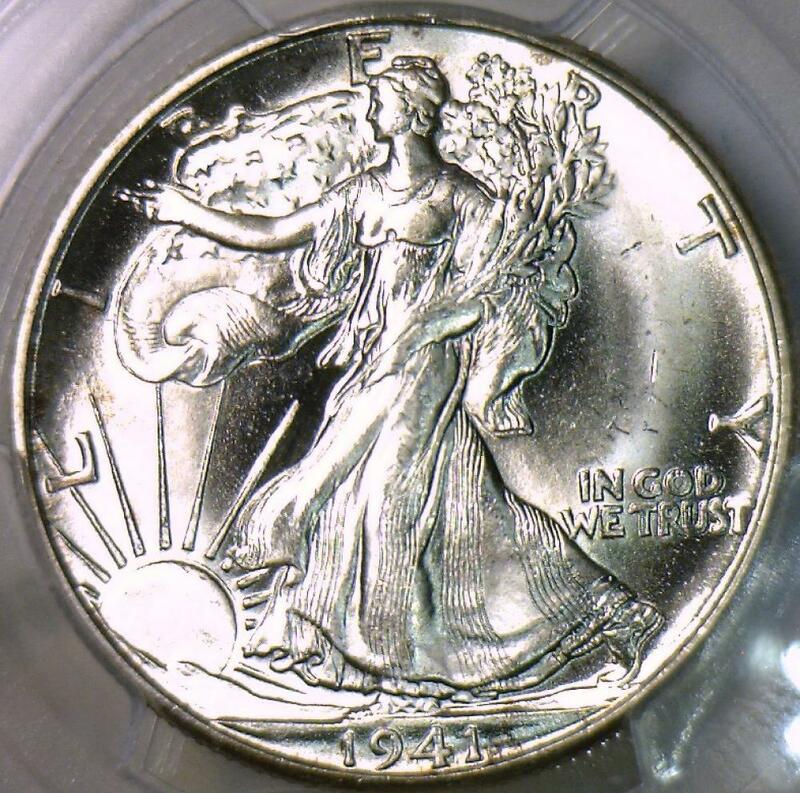 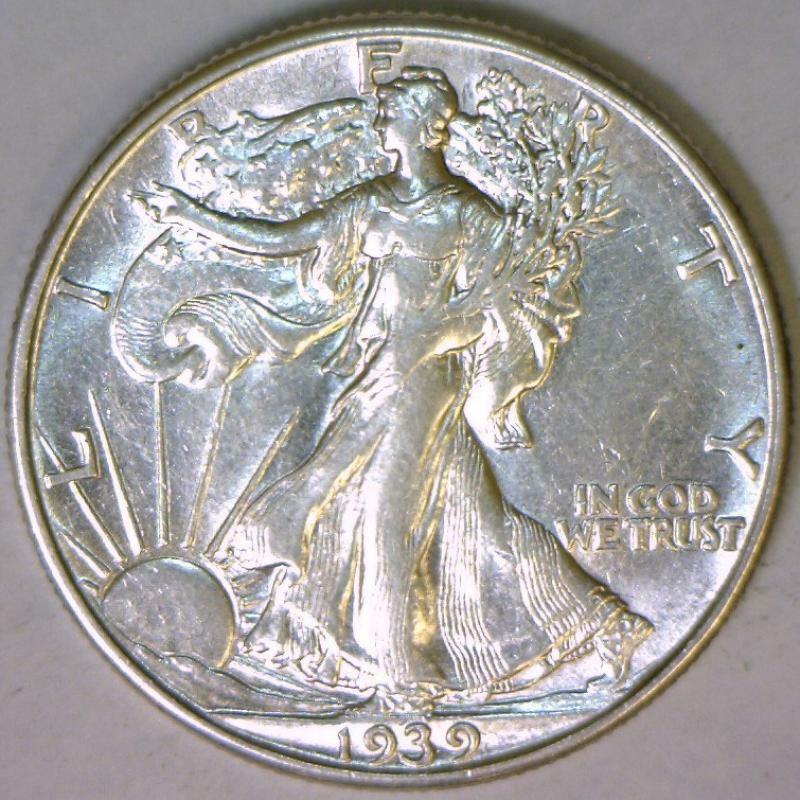 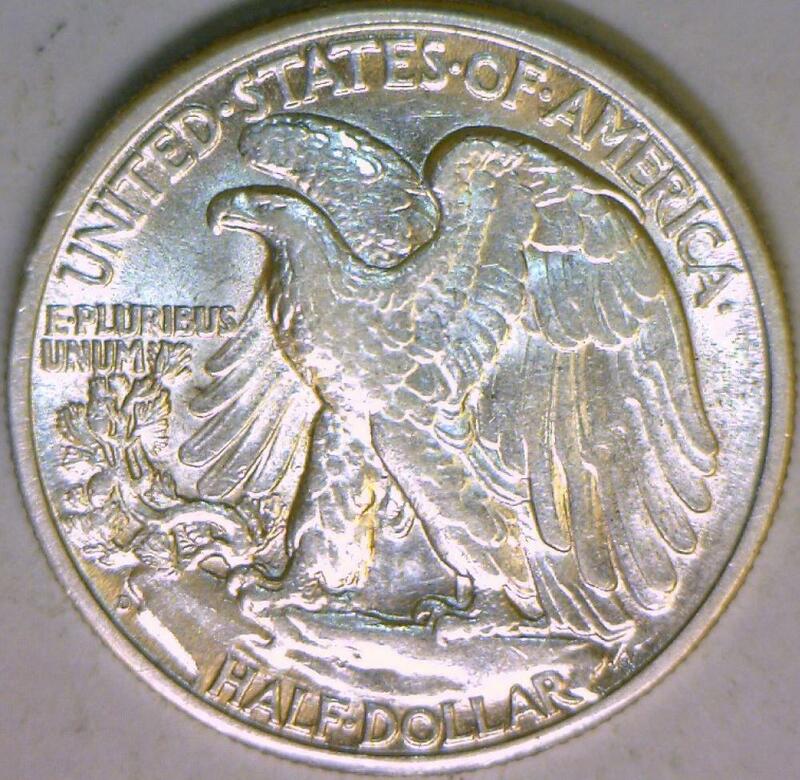 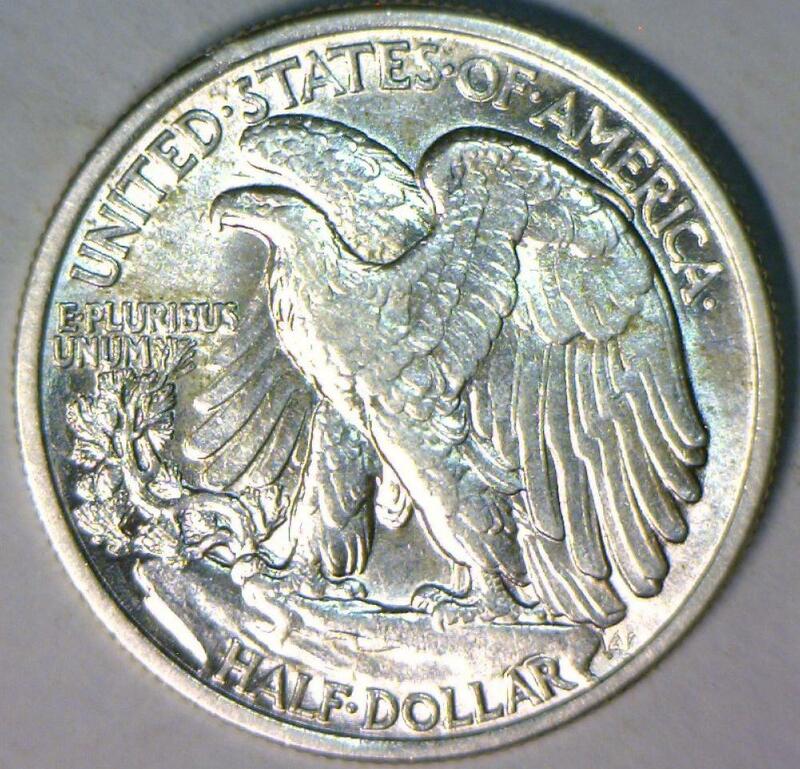 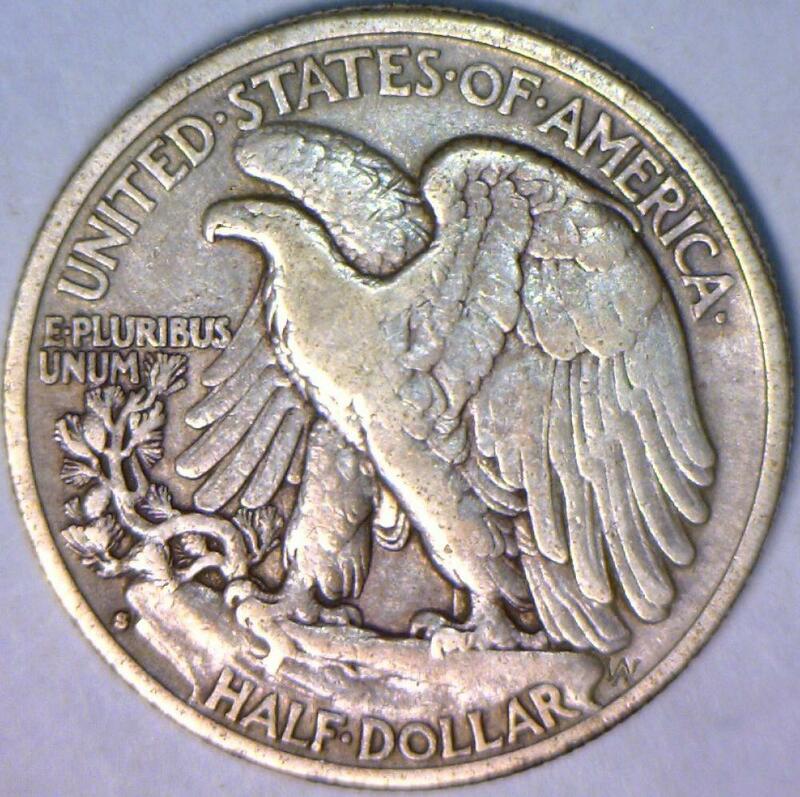 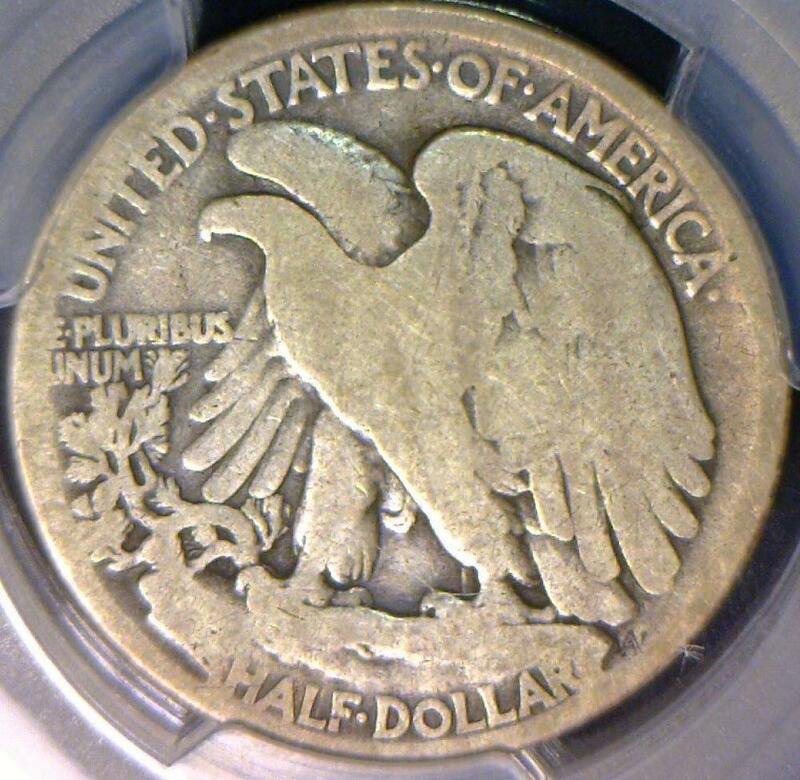 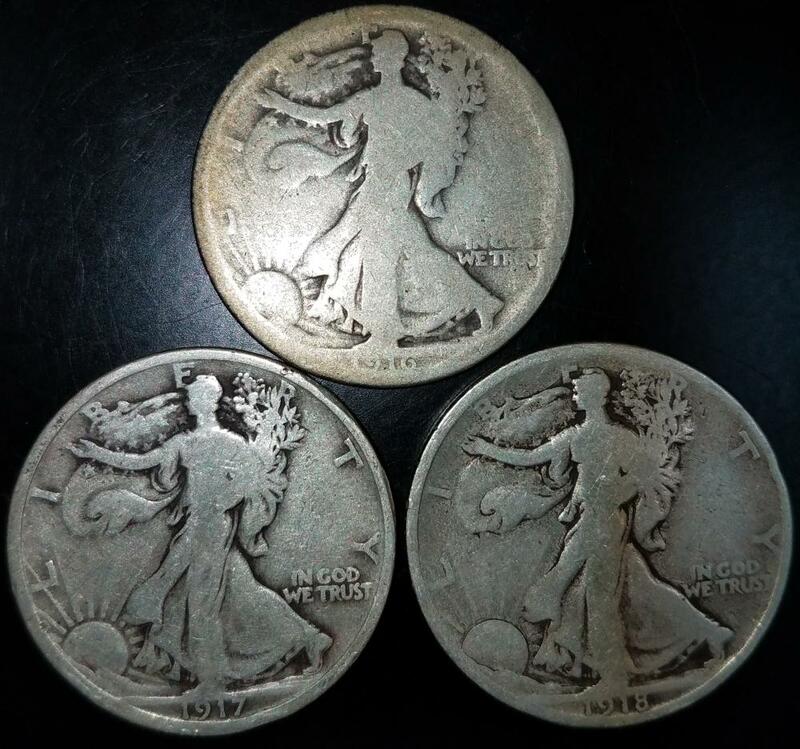 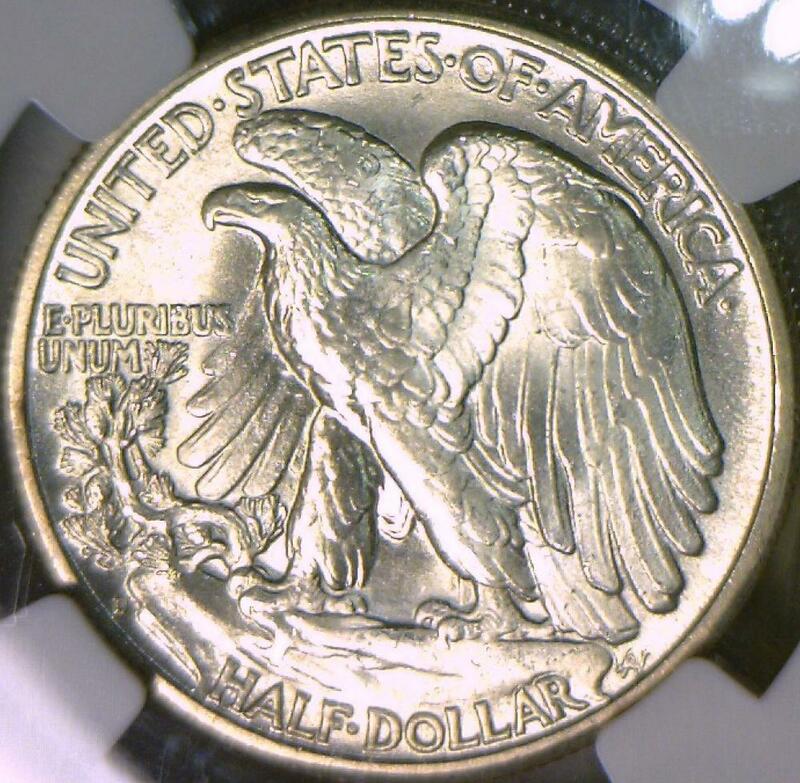 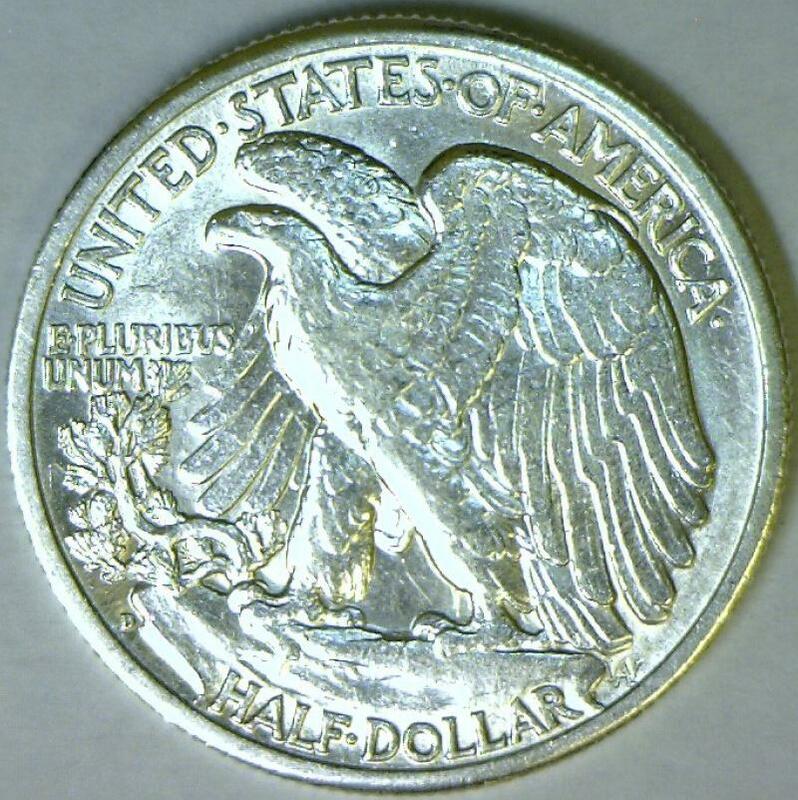 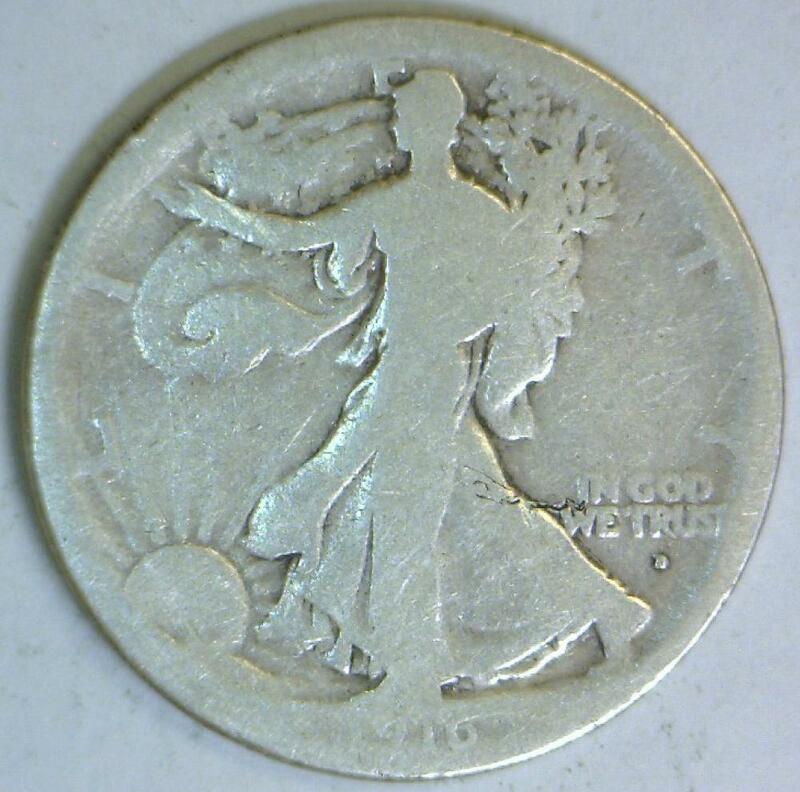 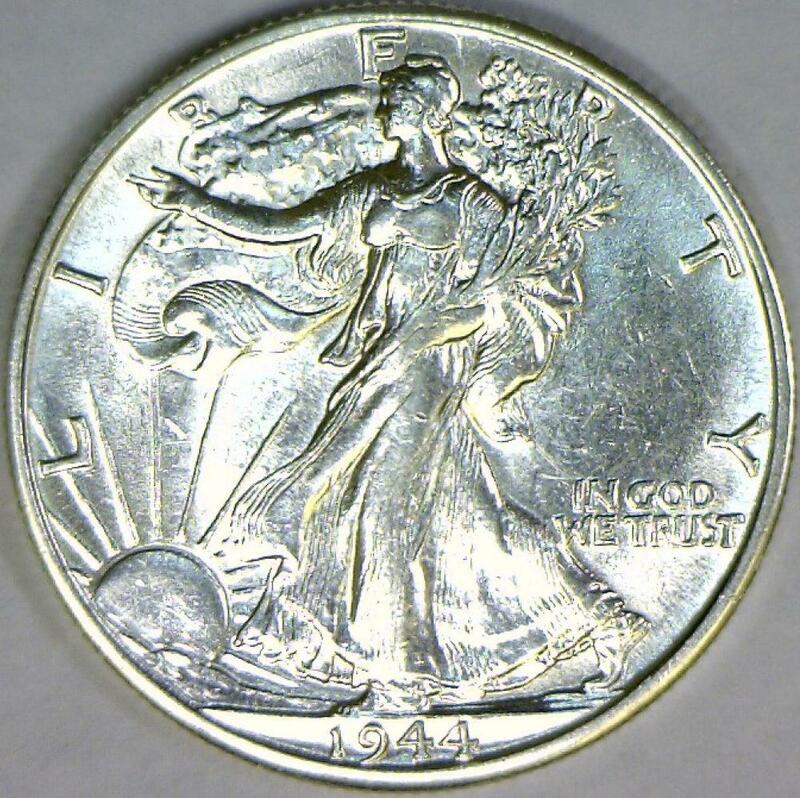 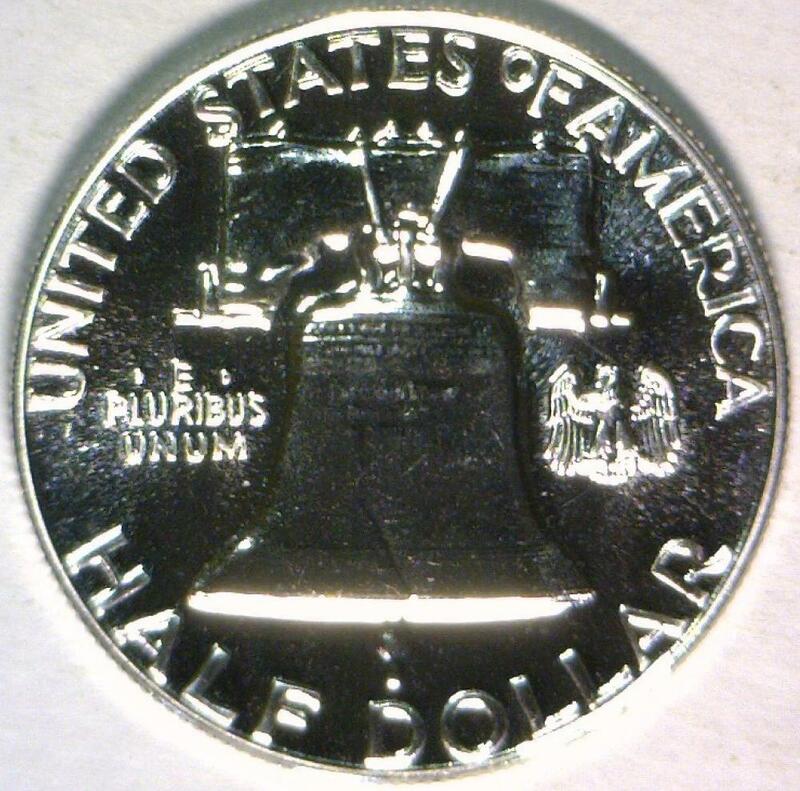 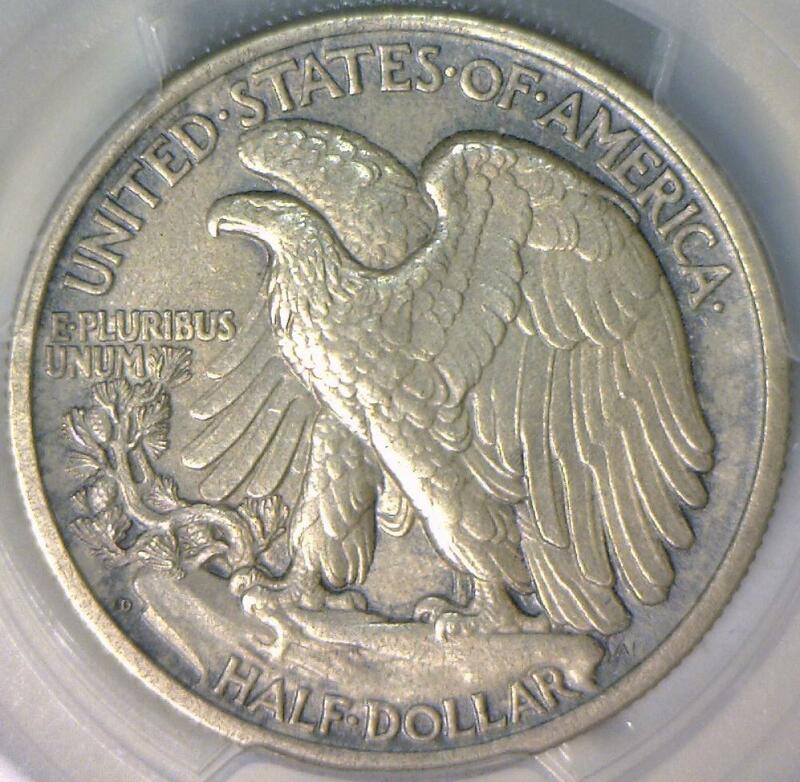 1942 Walking Liberty Half Dollar; Choice AU-Unc. 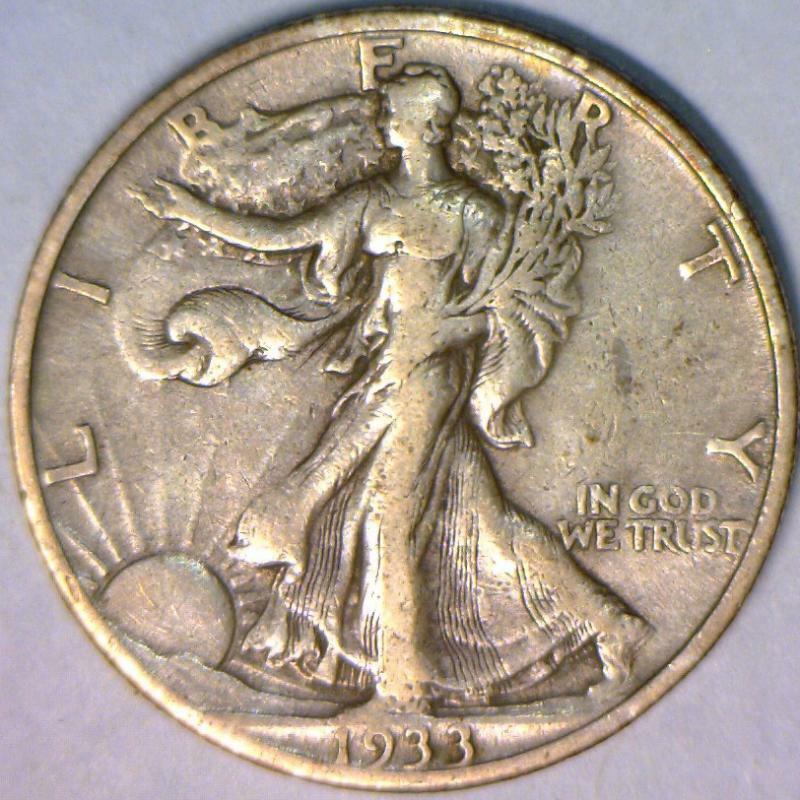 ; Lightly Toned. 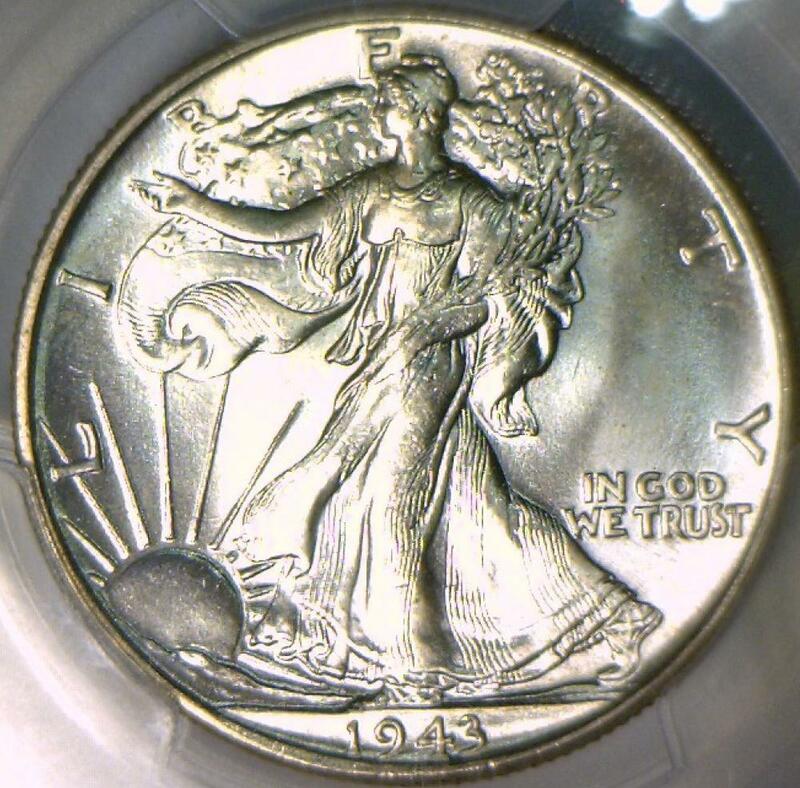 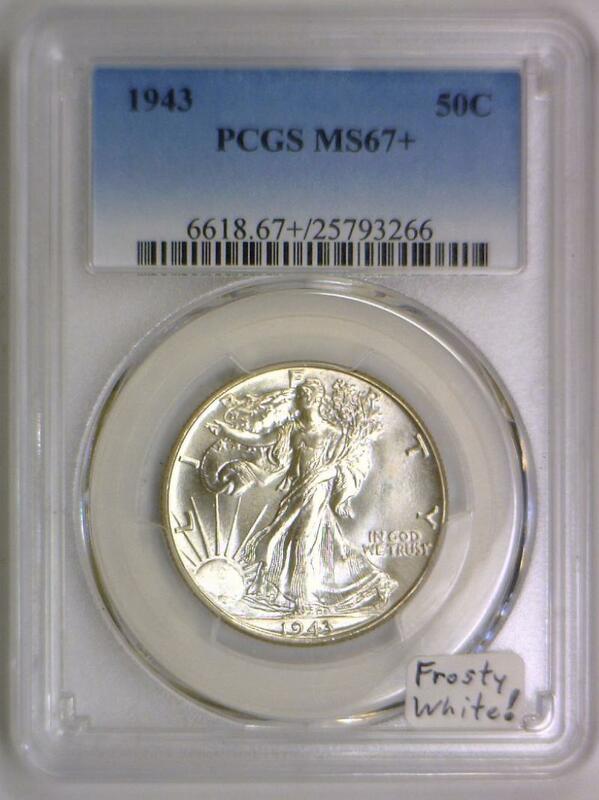 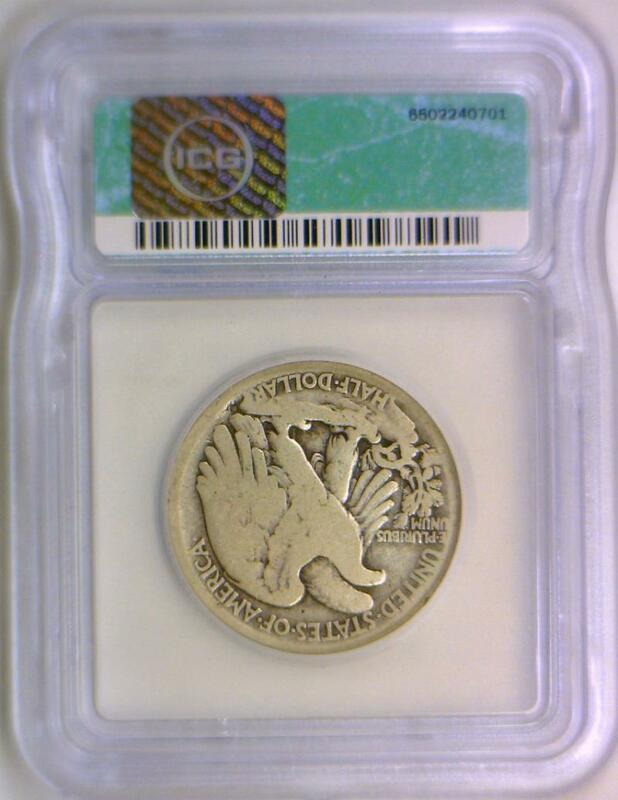 1943 Walking Liberty Half Dollar PCGS MS-67+ Frosty White!